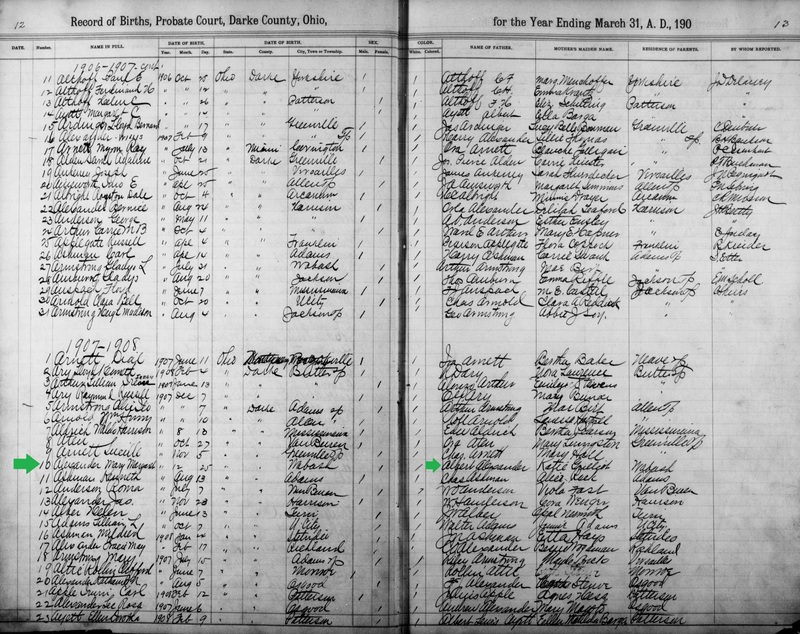 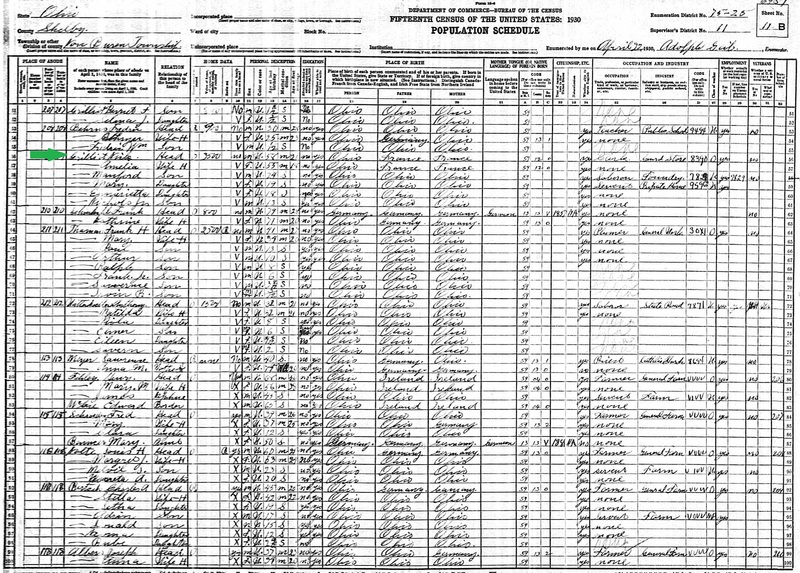 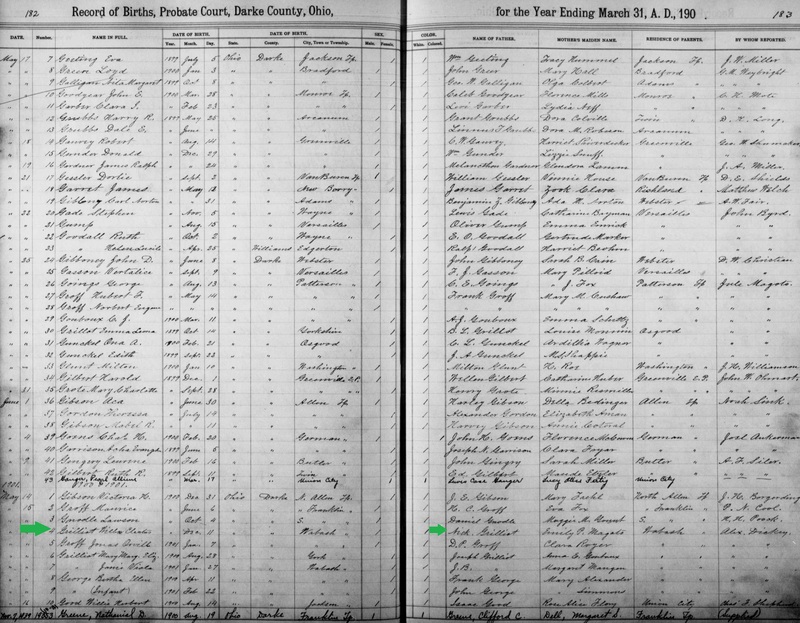 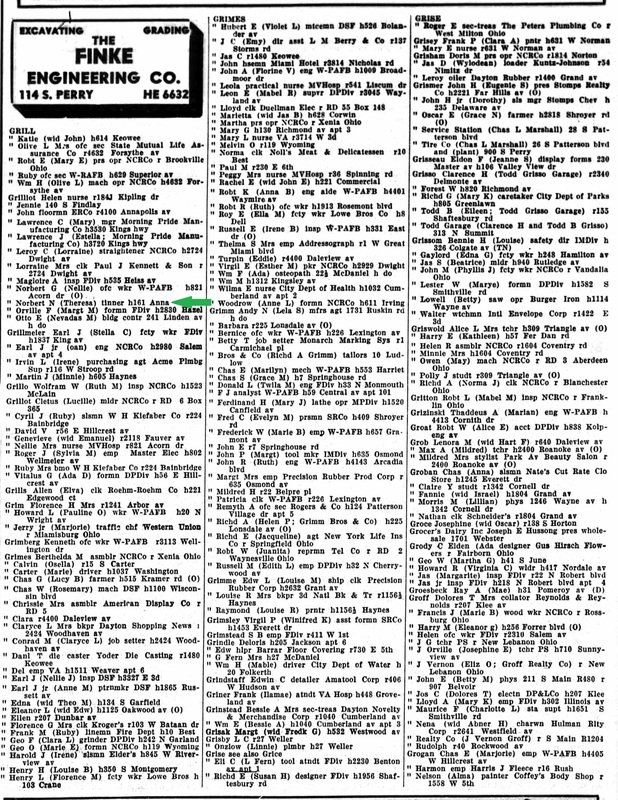 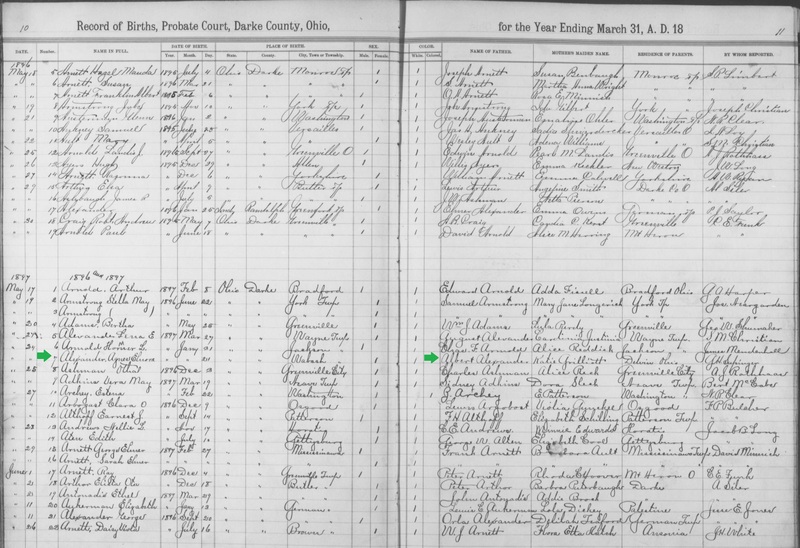 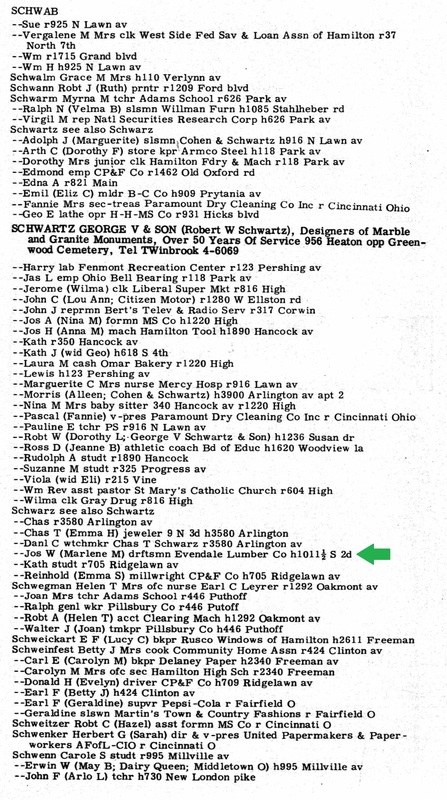 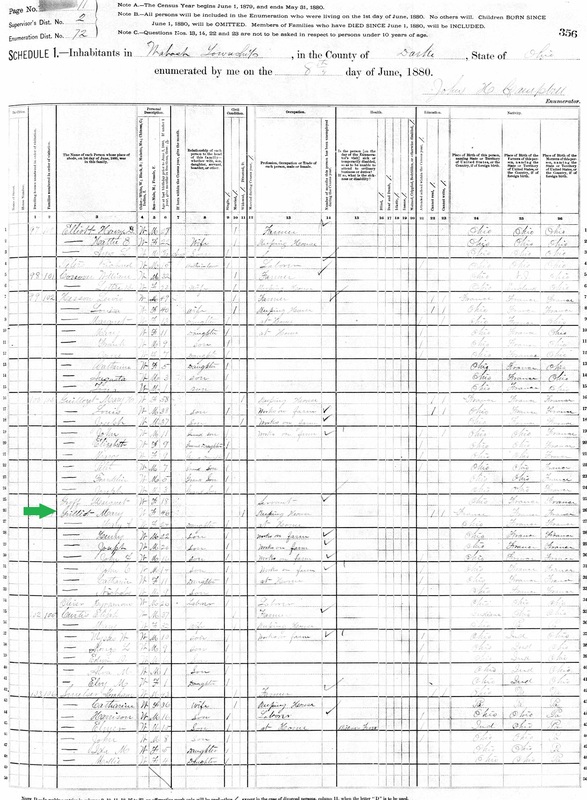 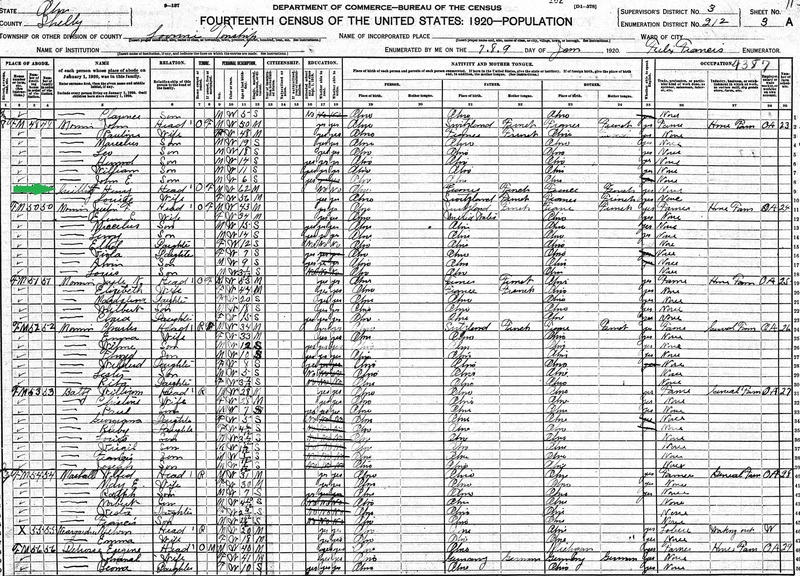 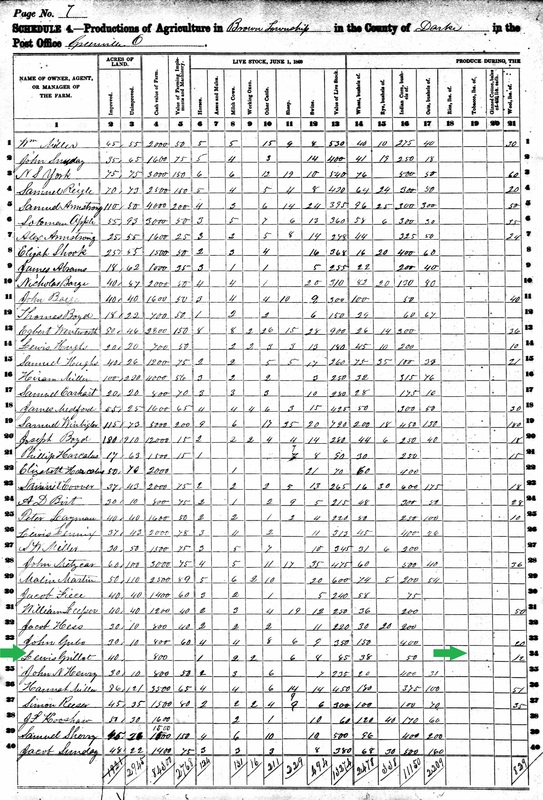 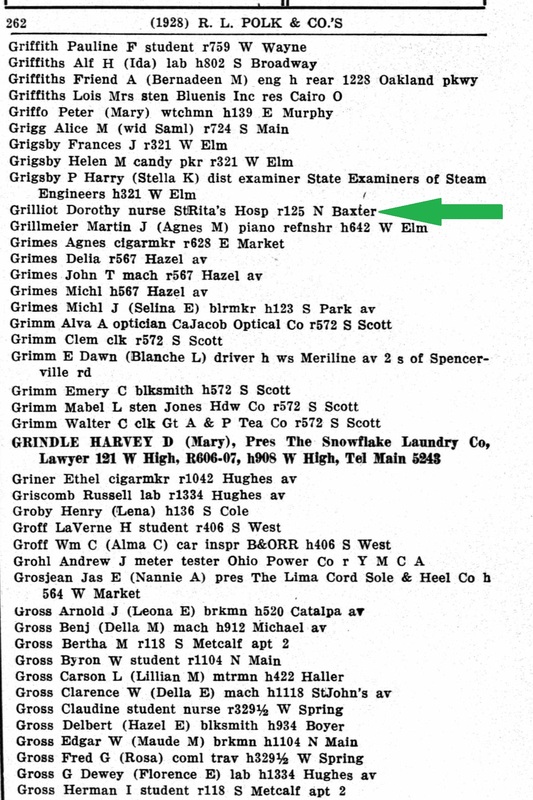 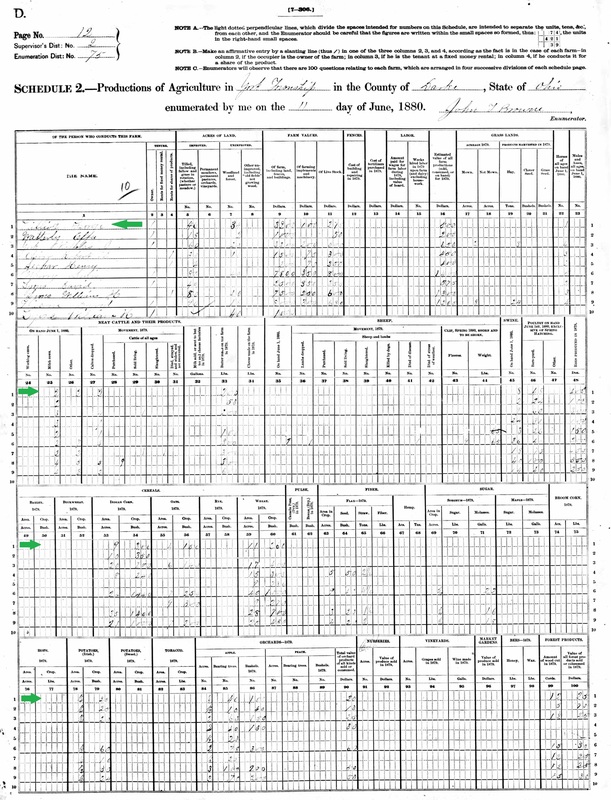 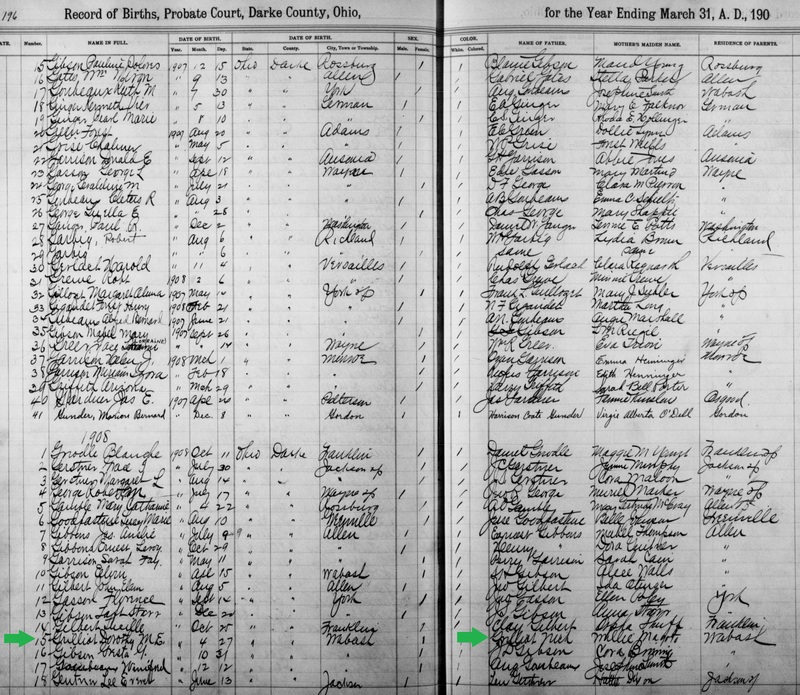 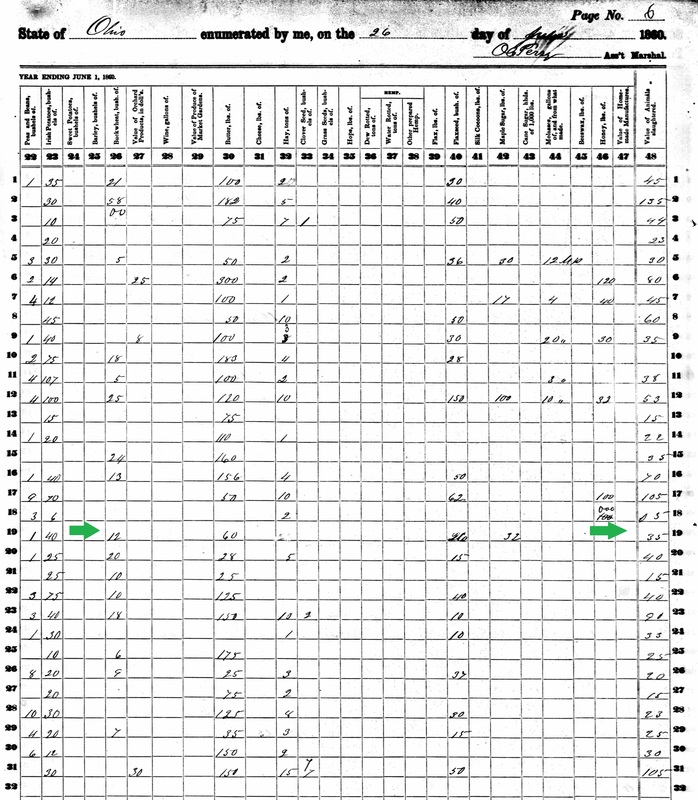 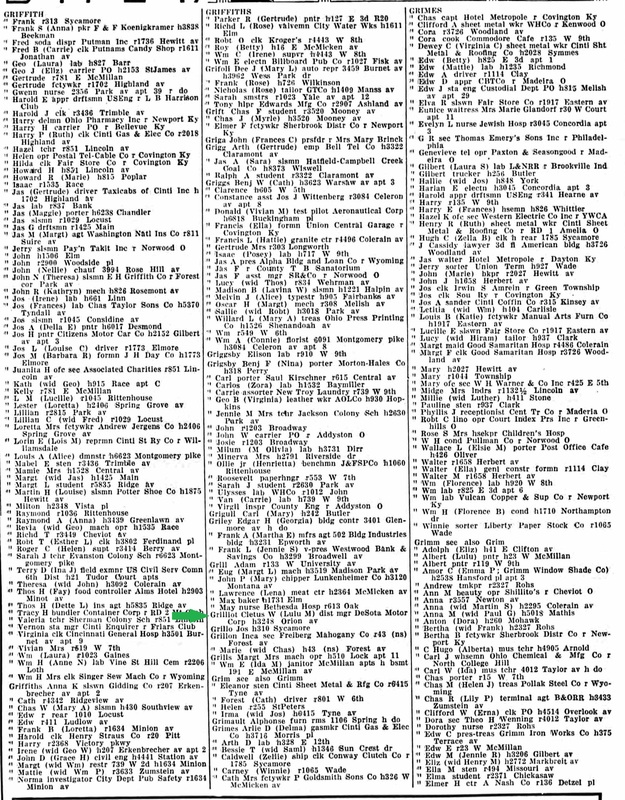 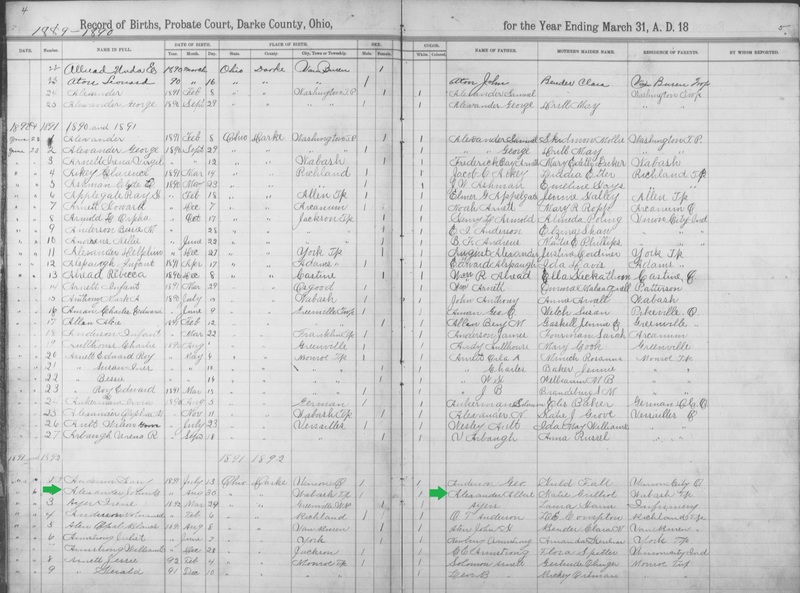 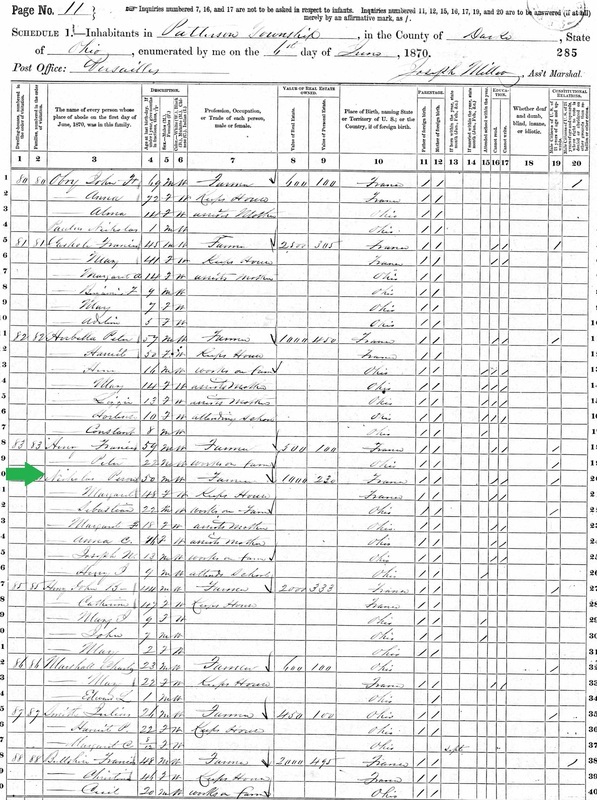 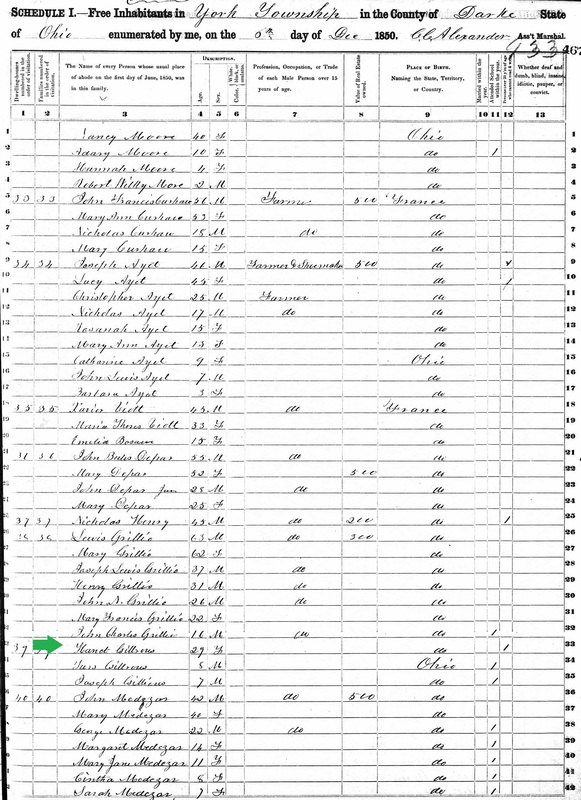 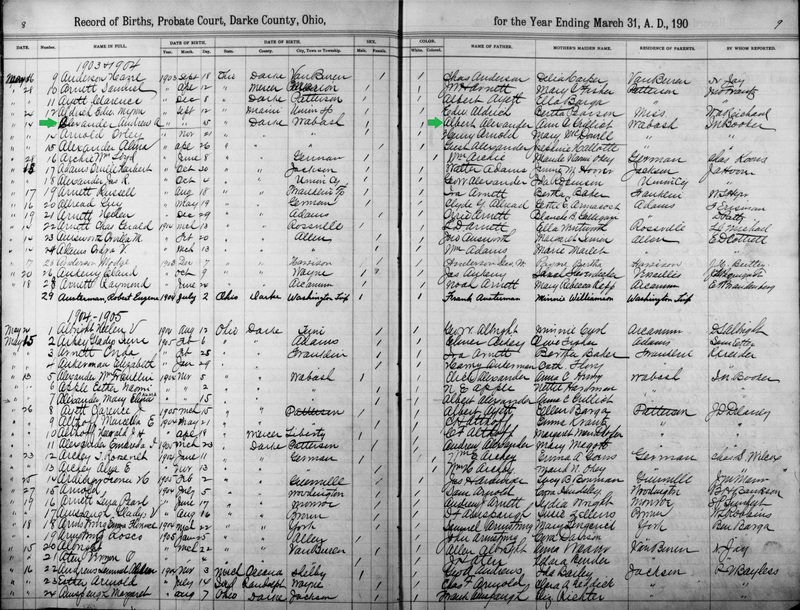 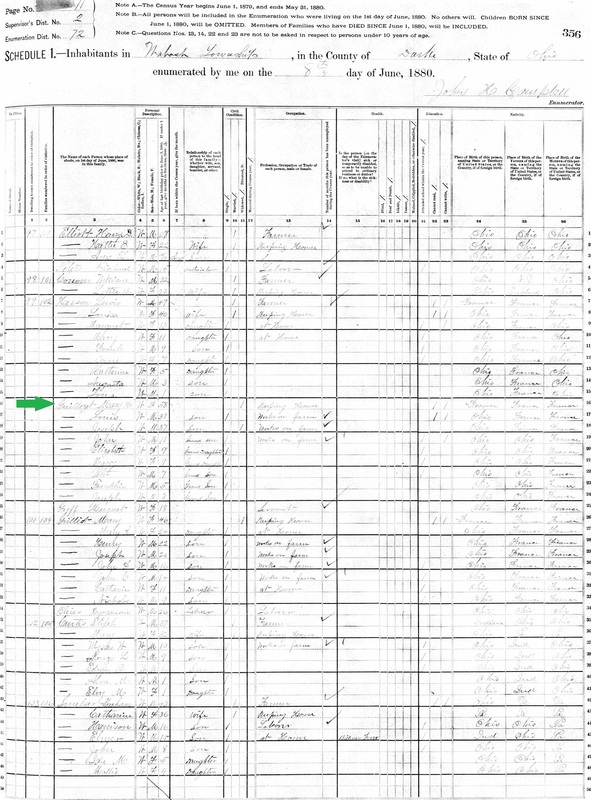 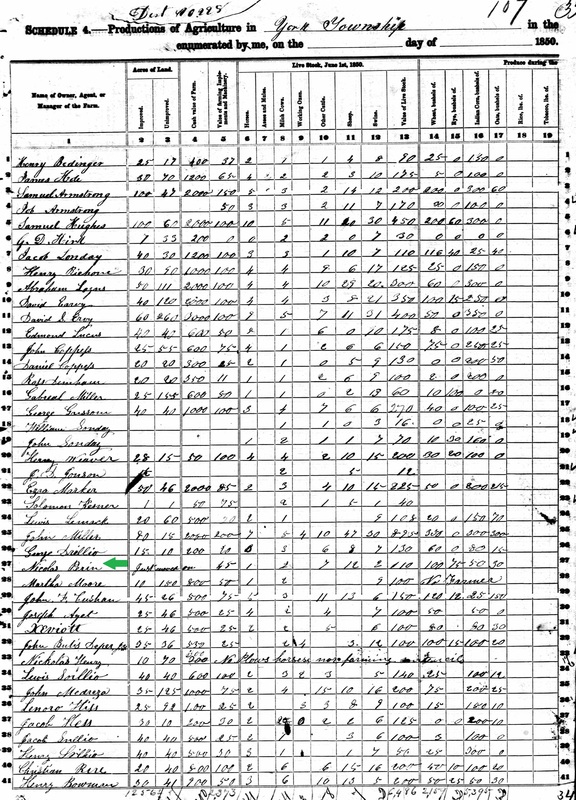 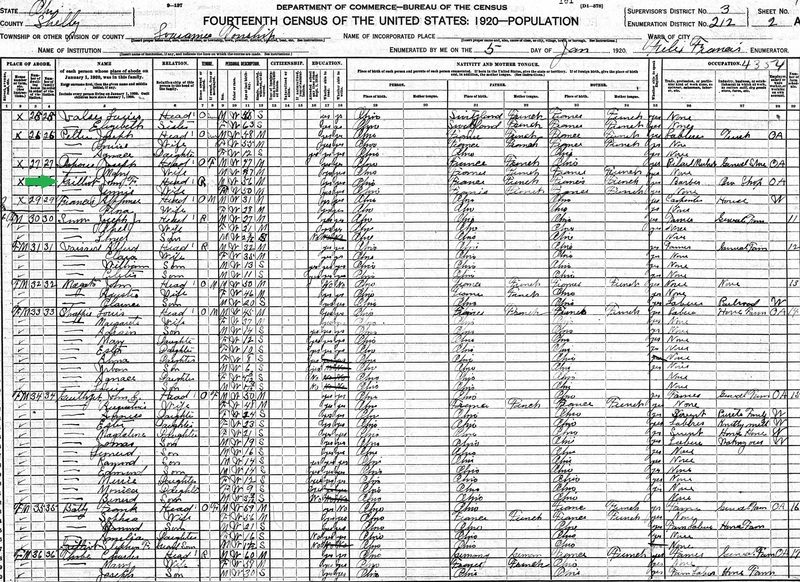 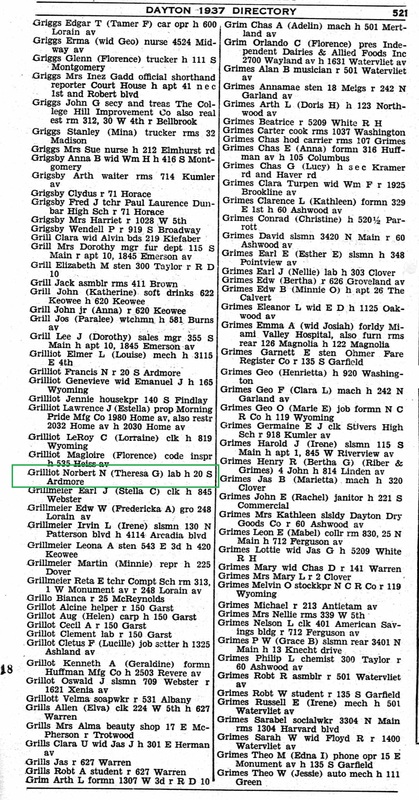 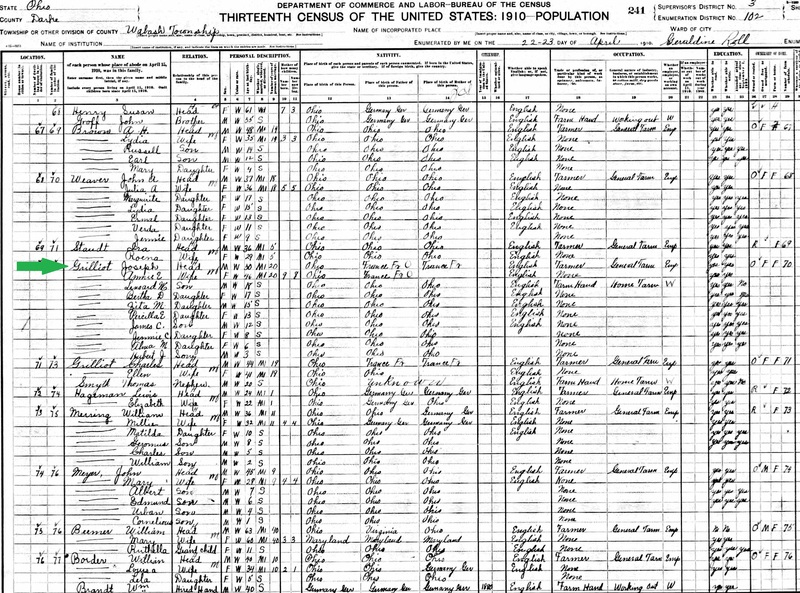 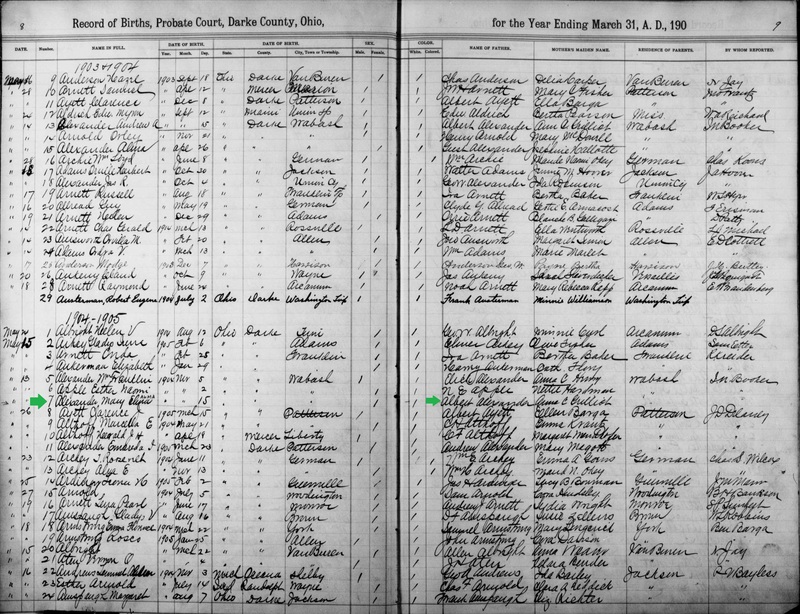 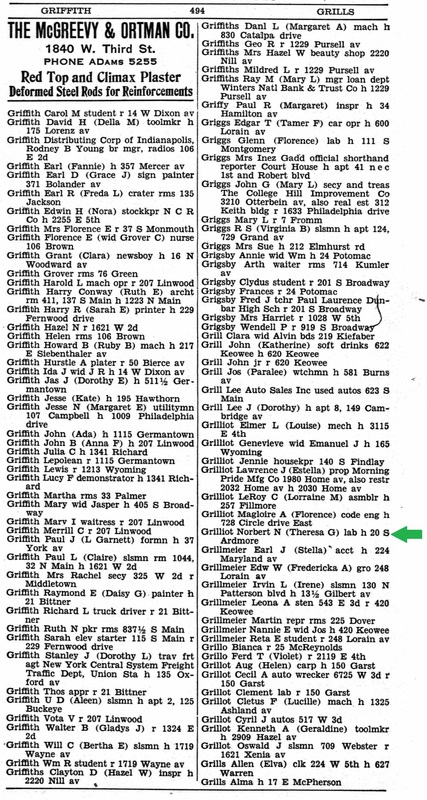 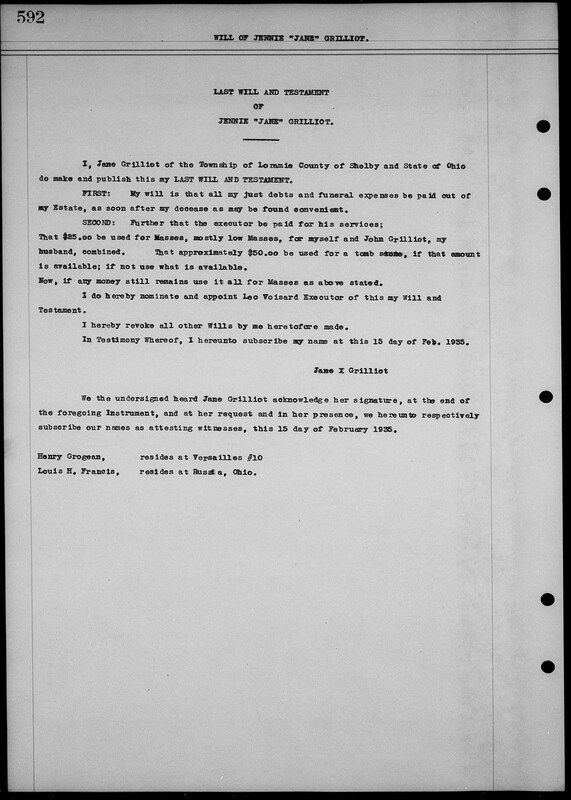 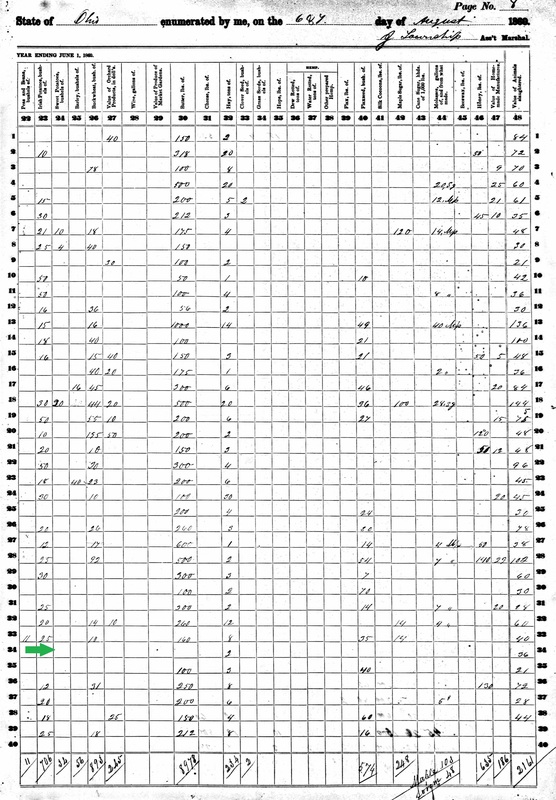 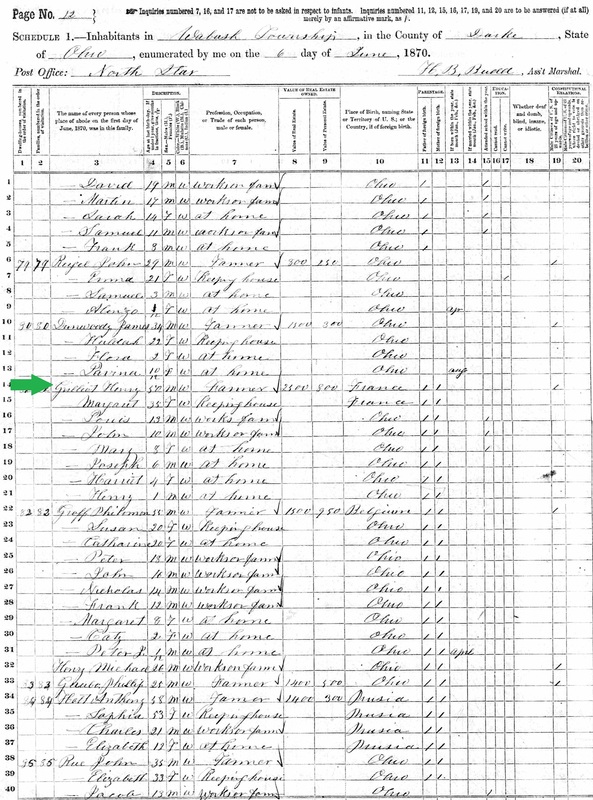 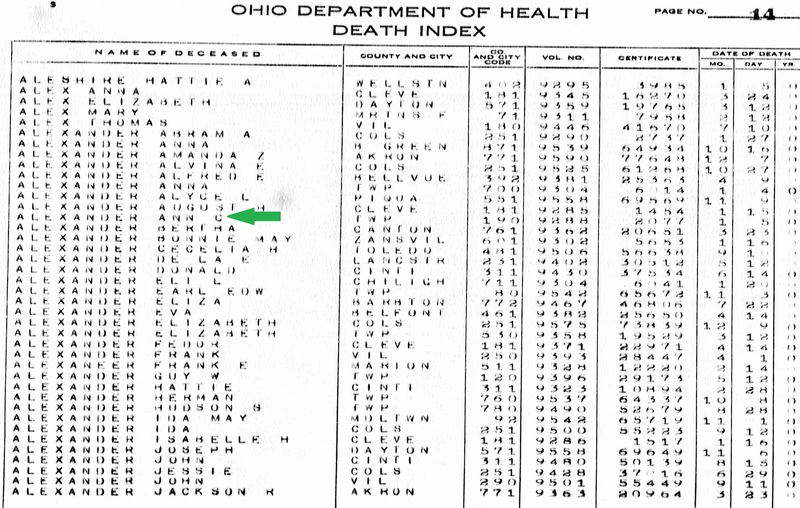 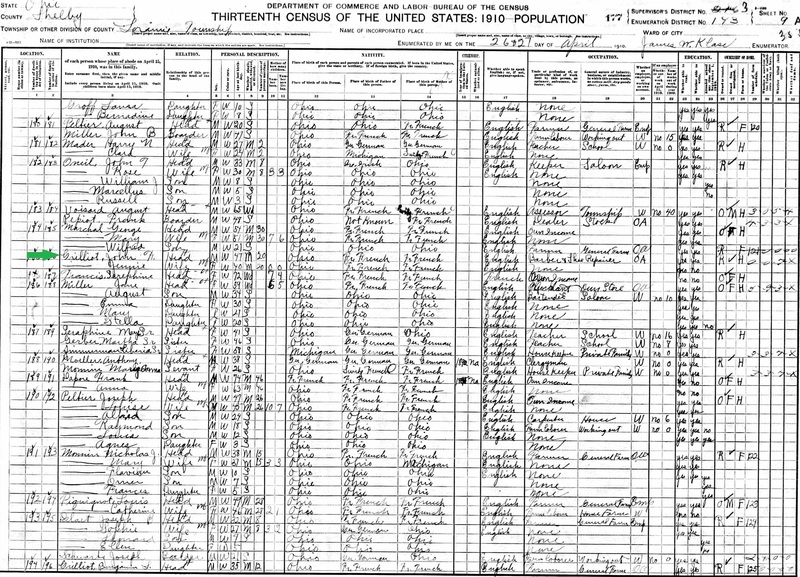 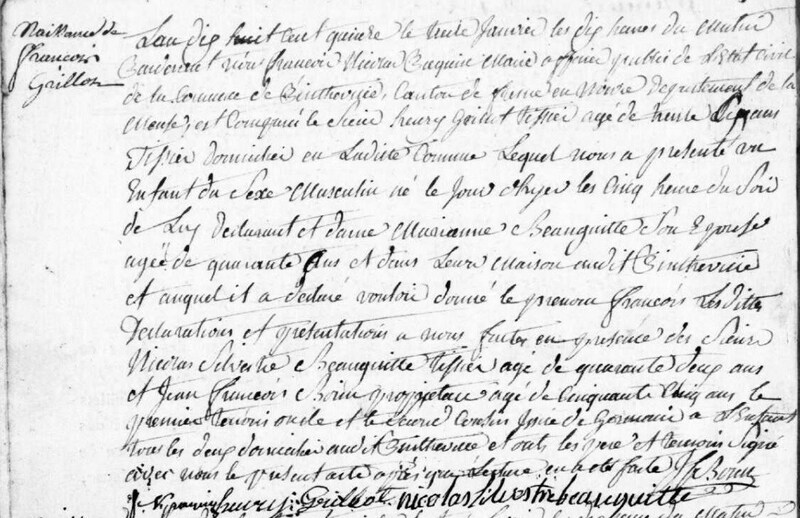 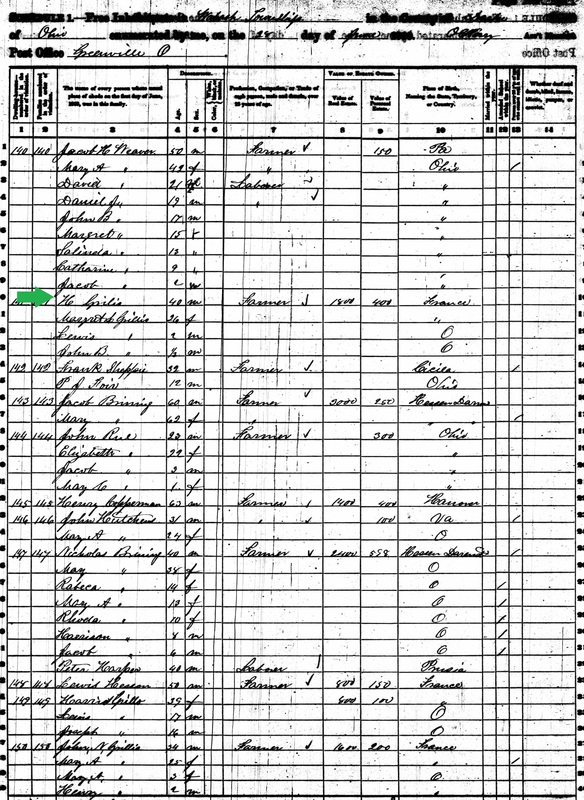 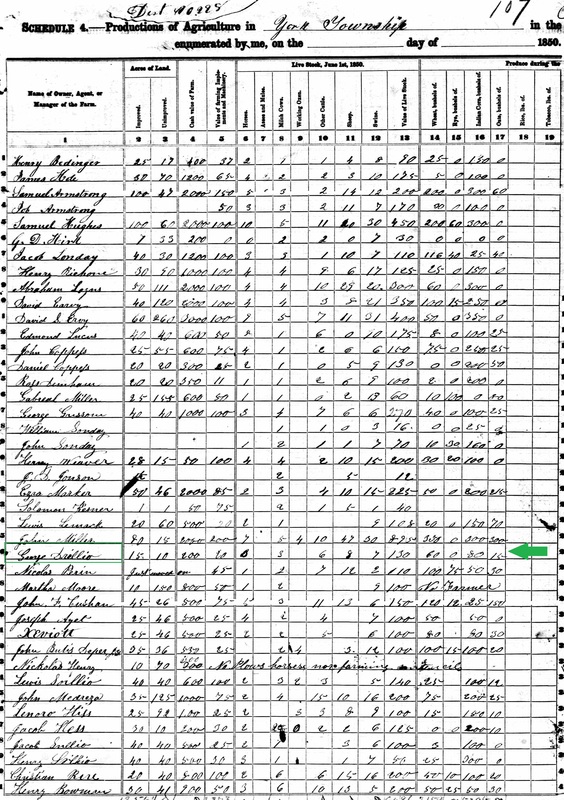 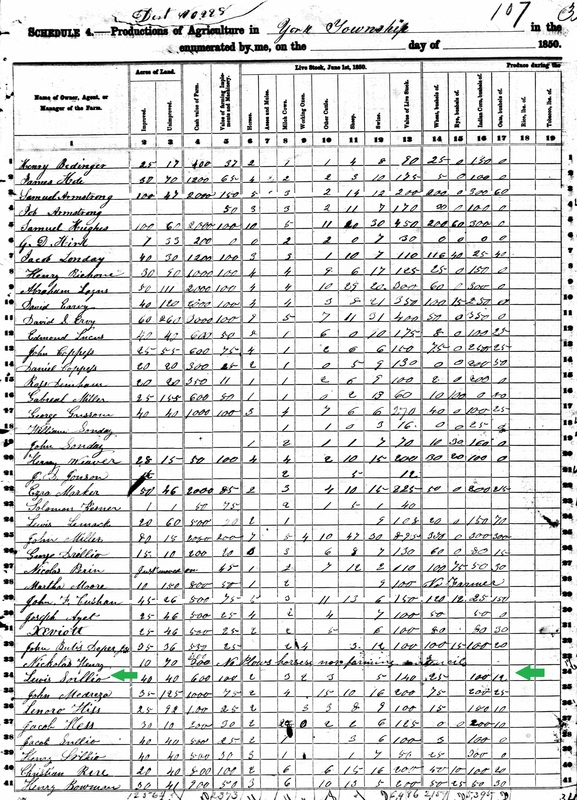 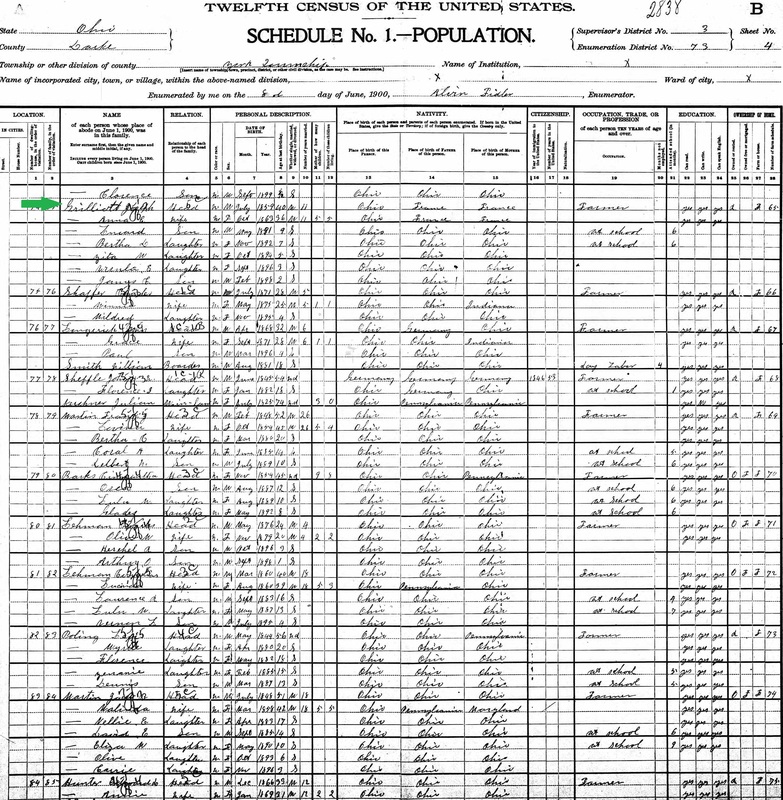 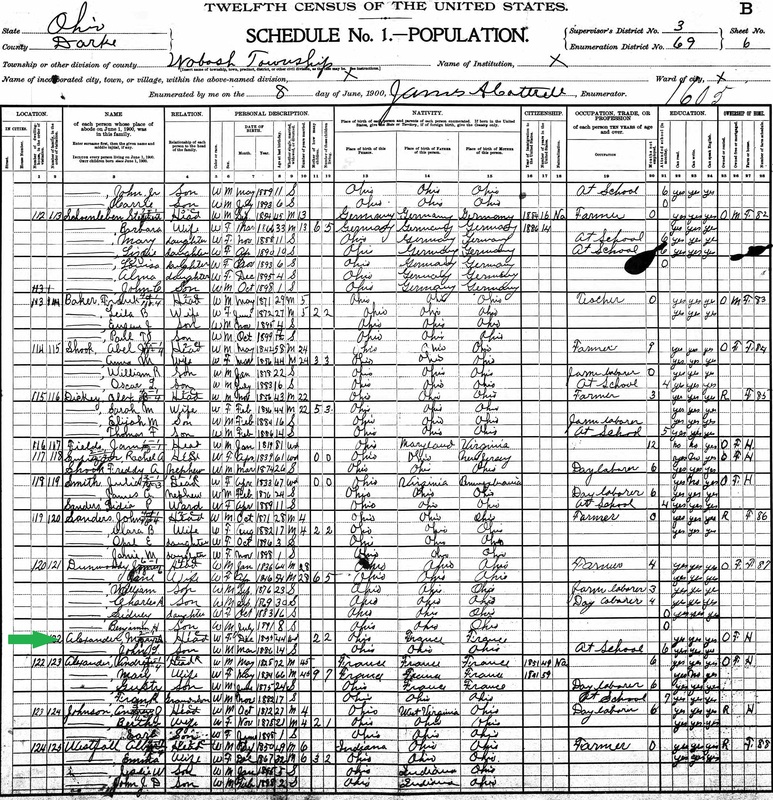 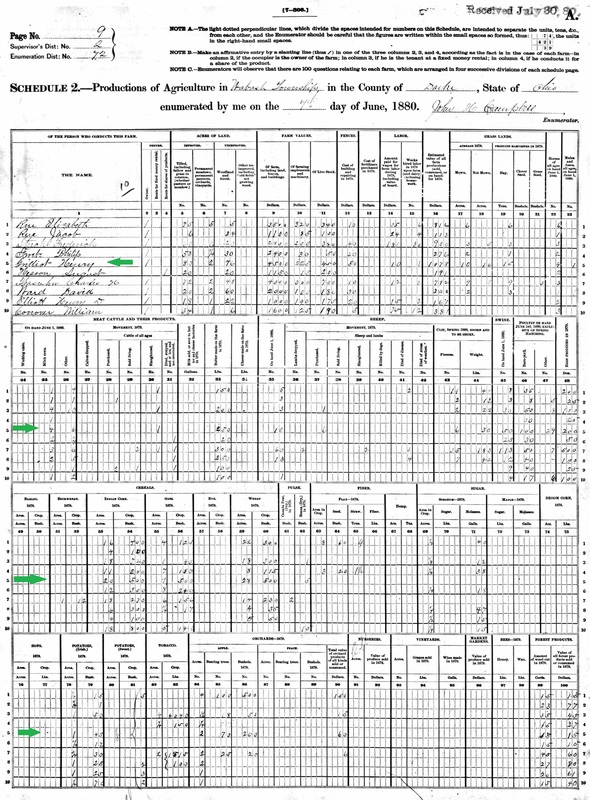 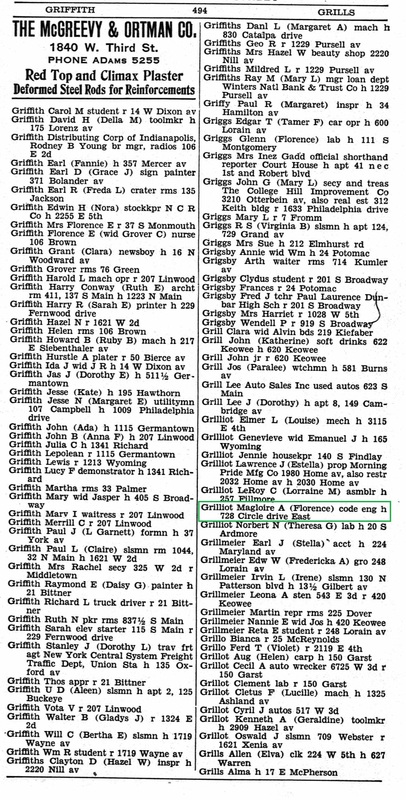 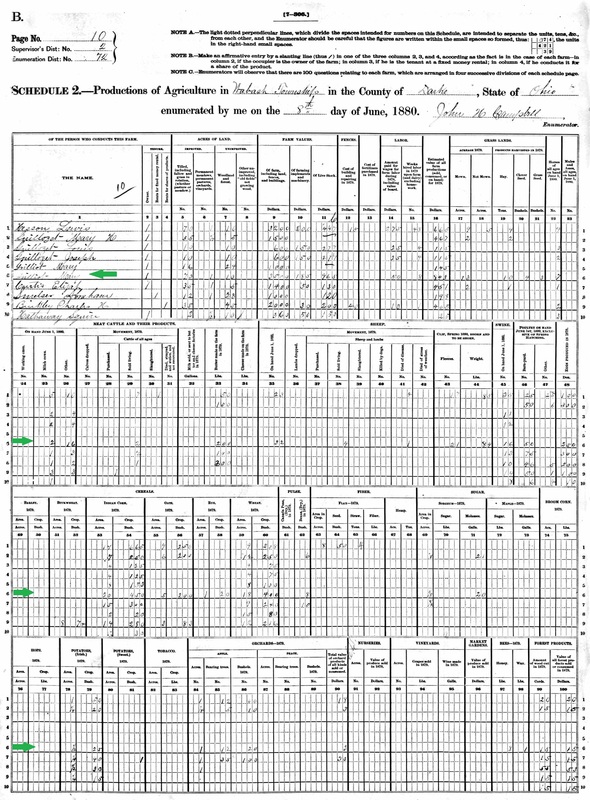 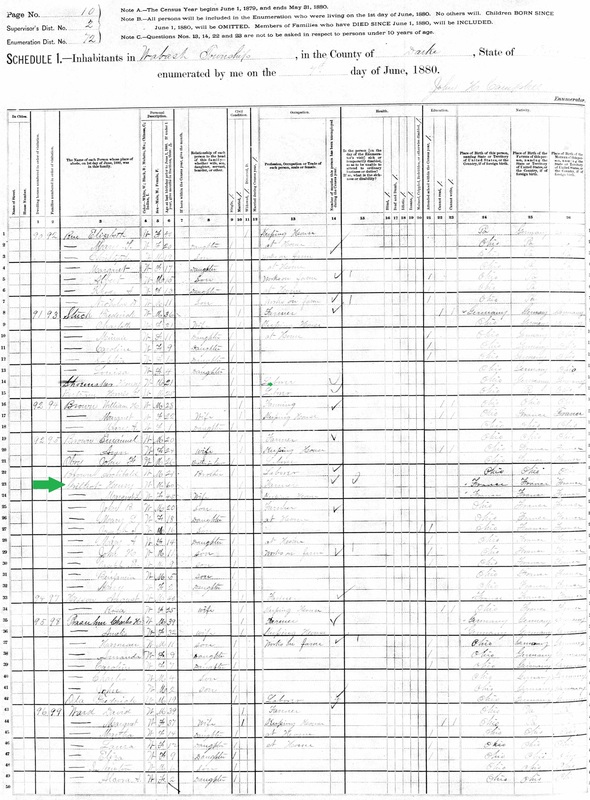 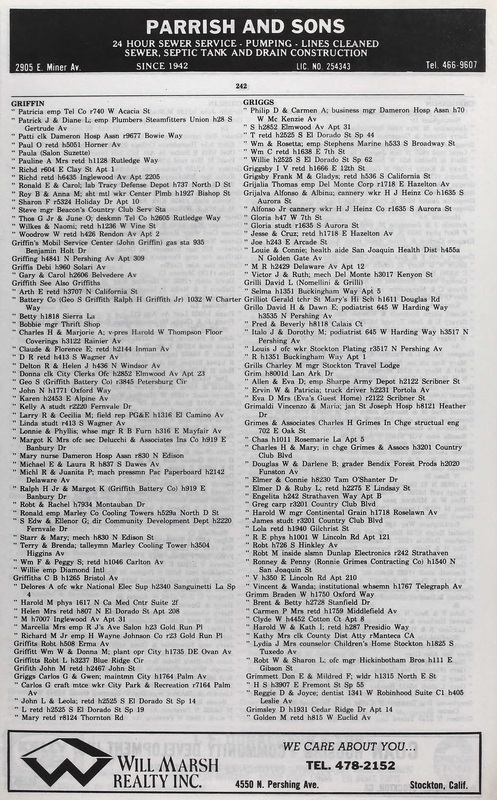 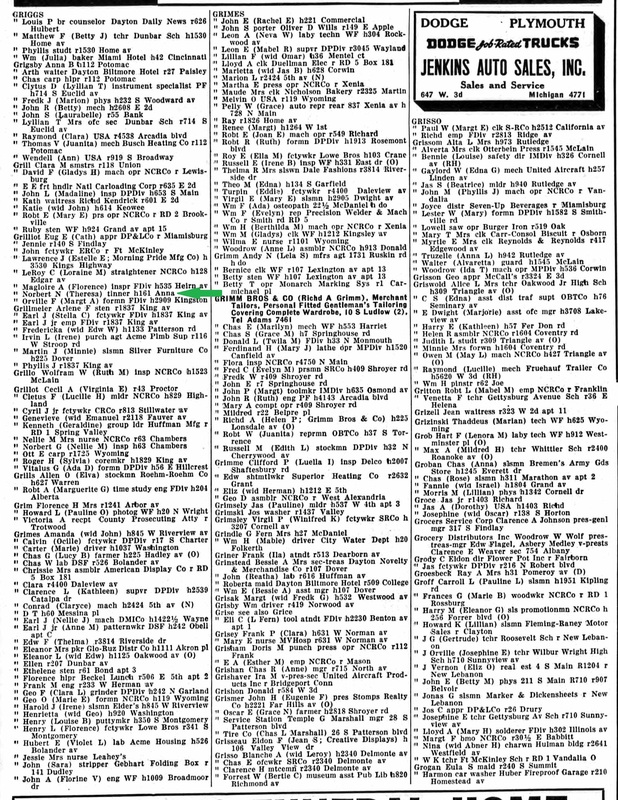 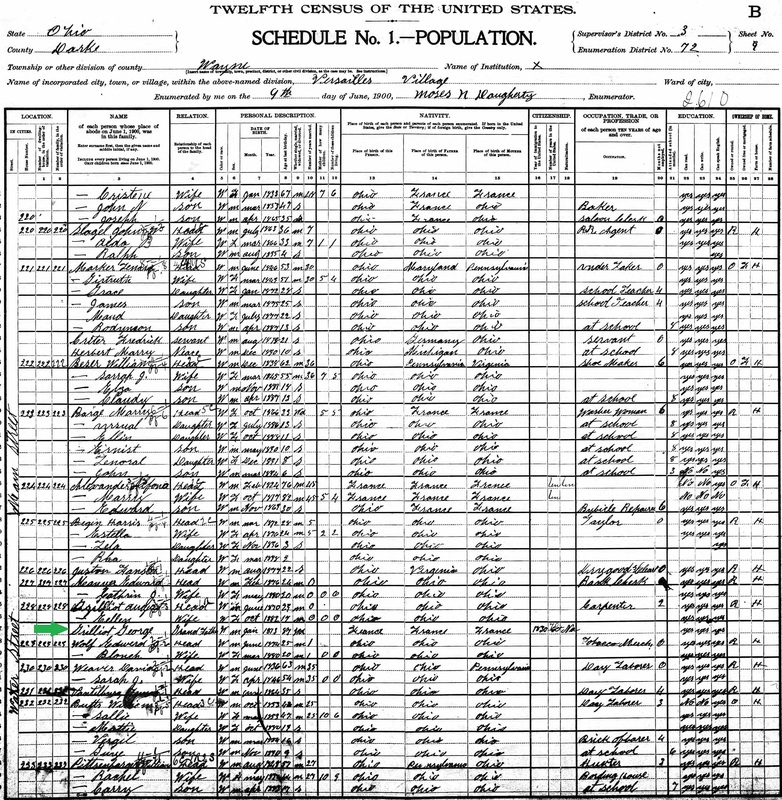 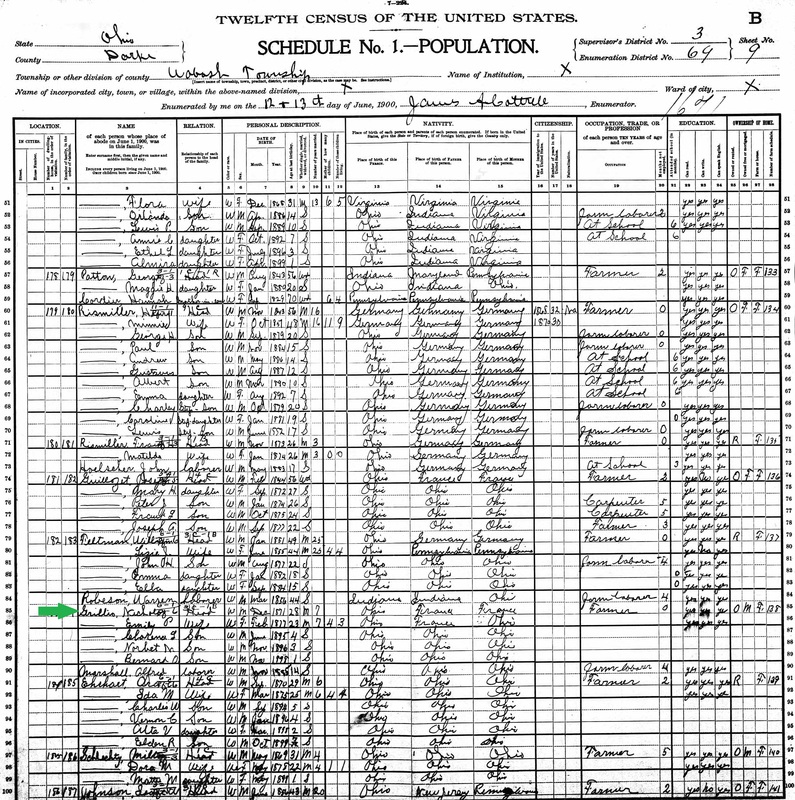 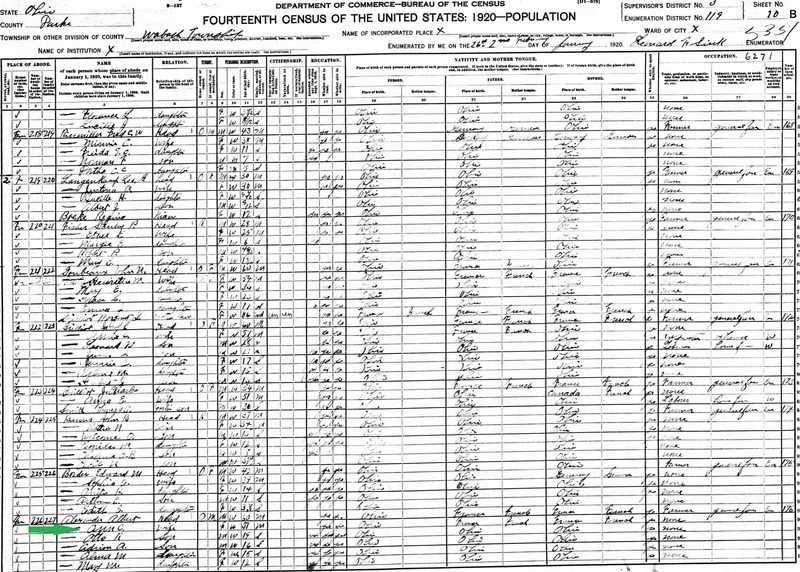 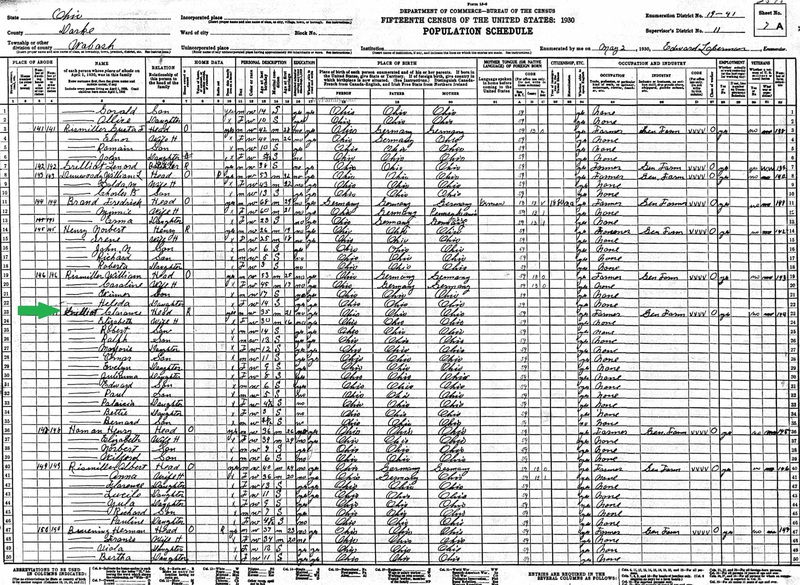 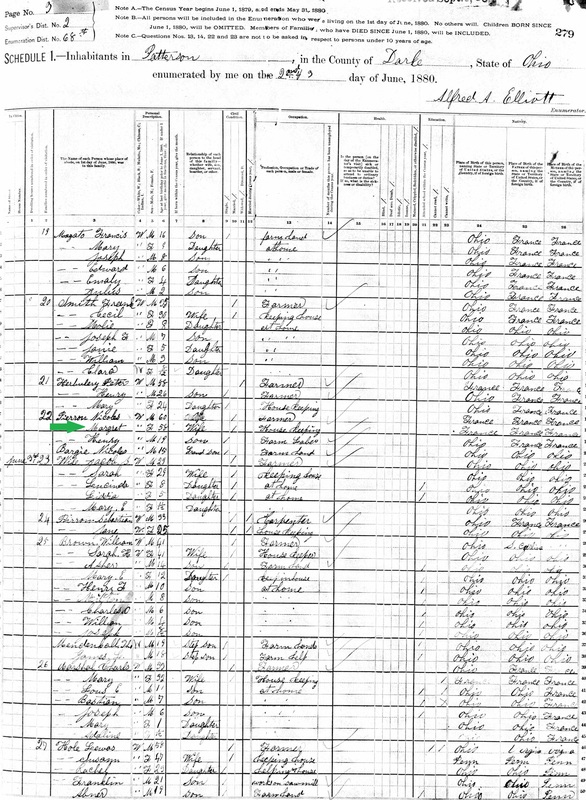 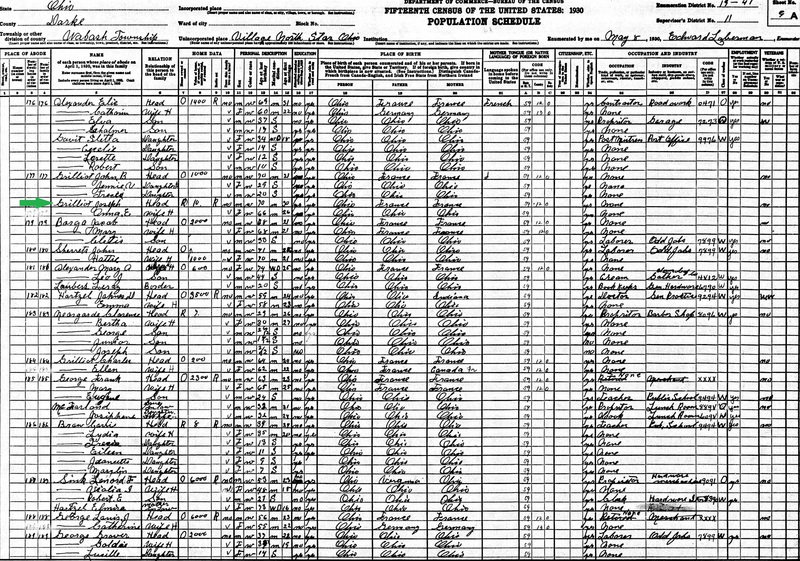 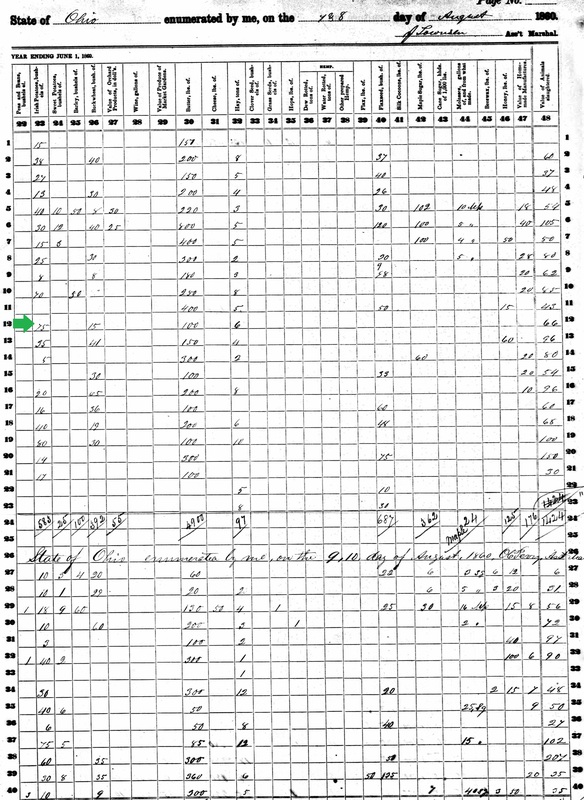 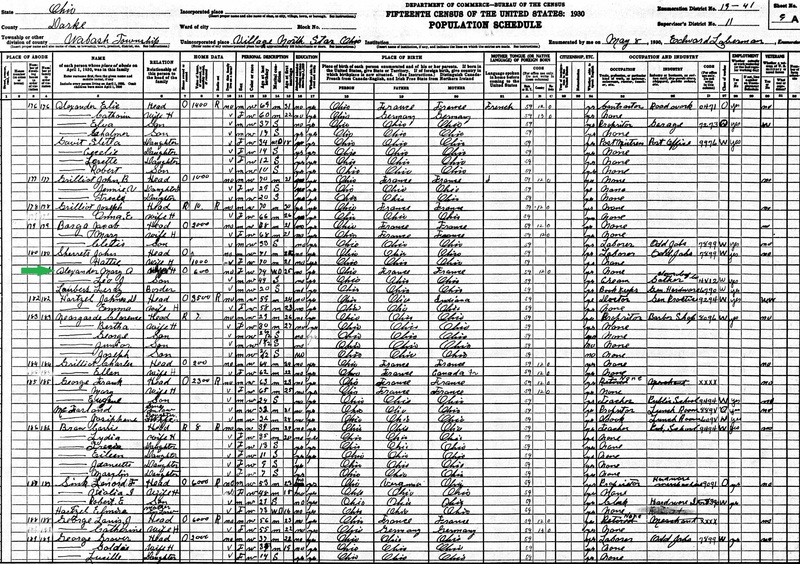 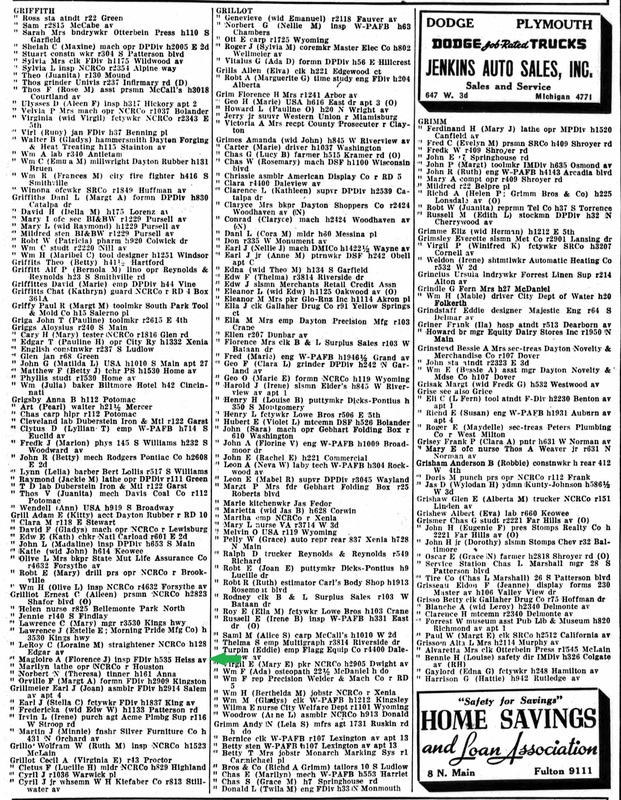 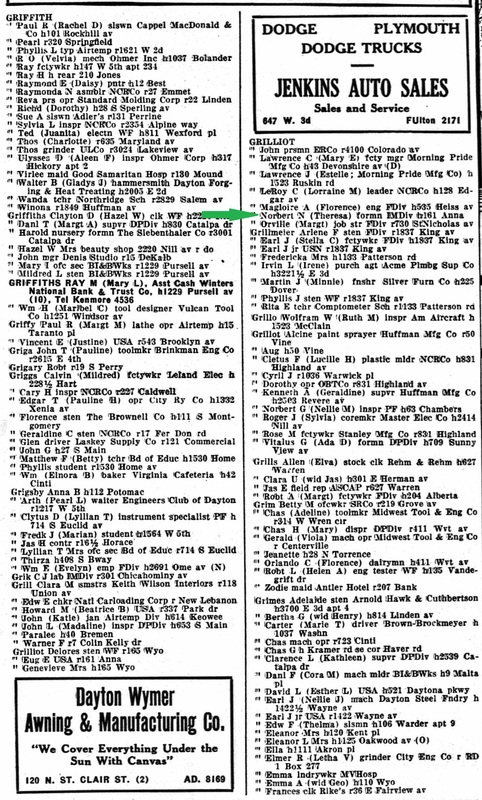 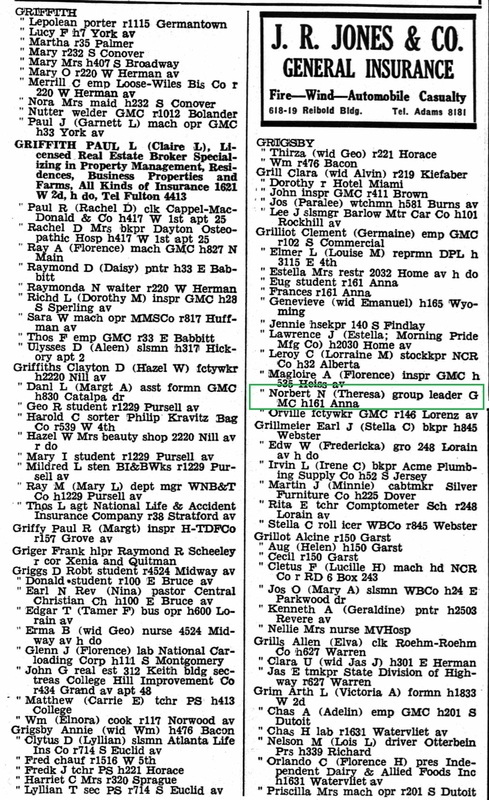 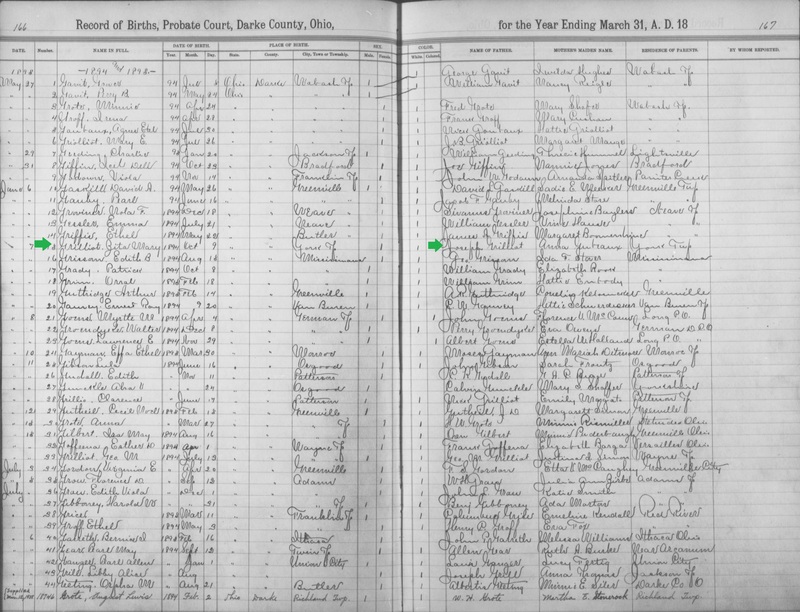 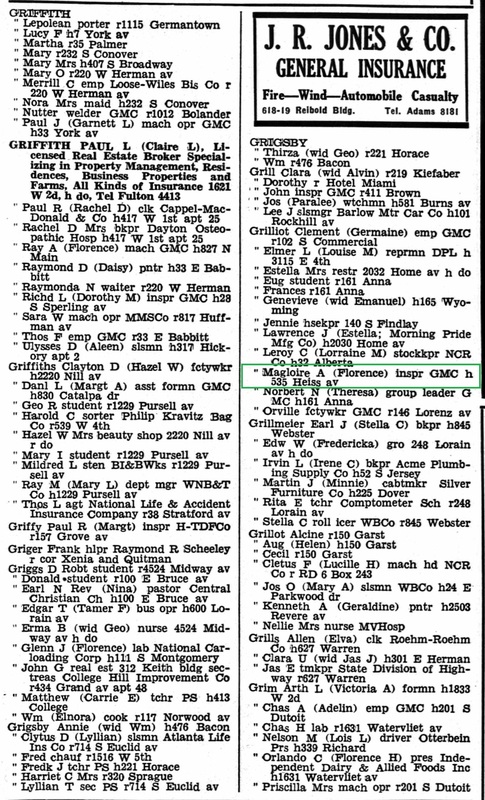 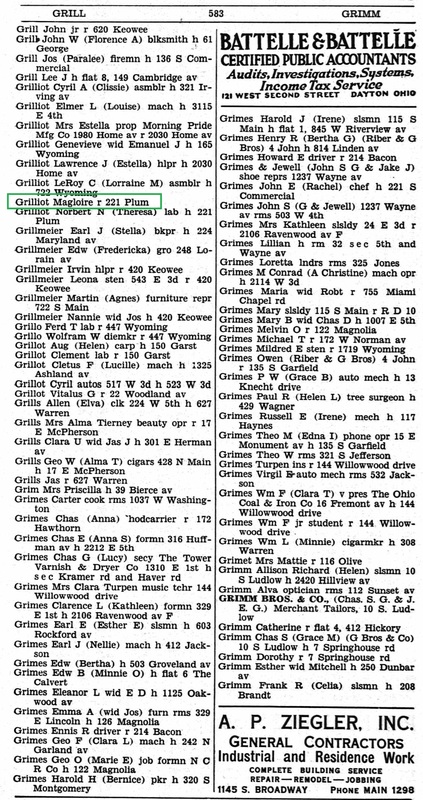 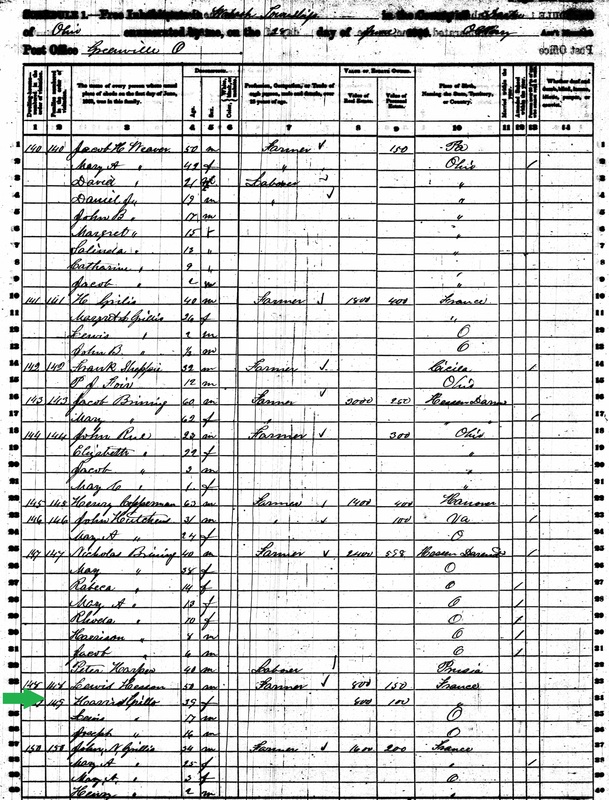 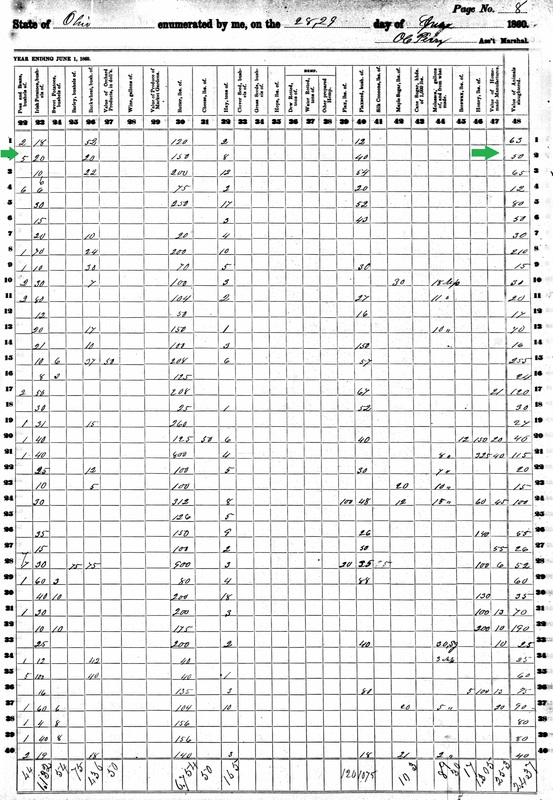 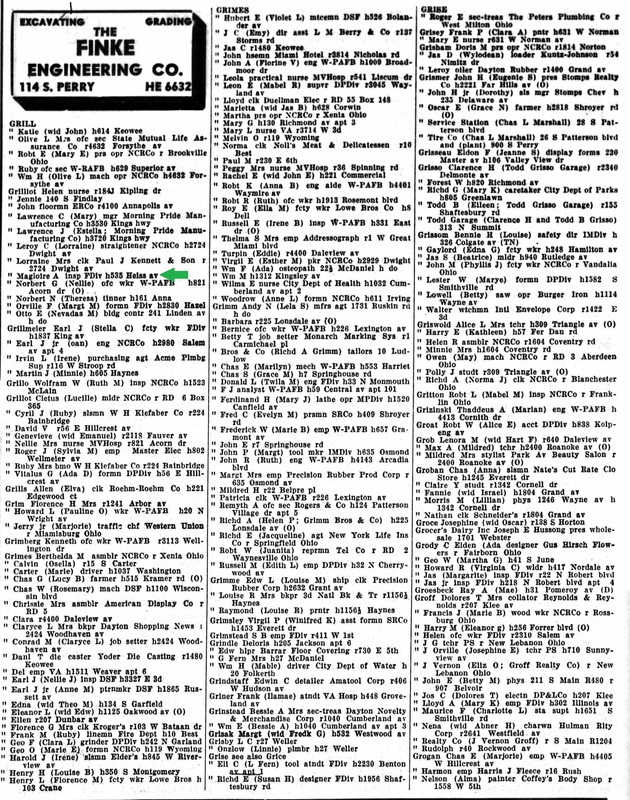 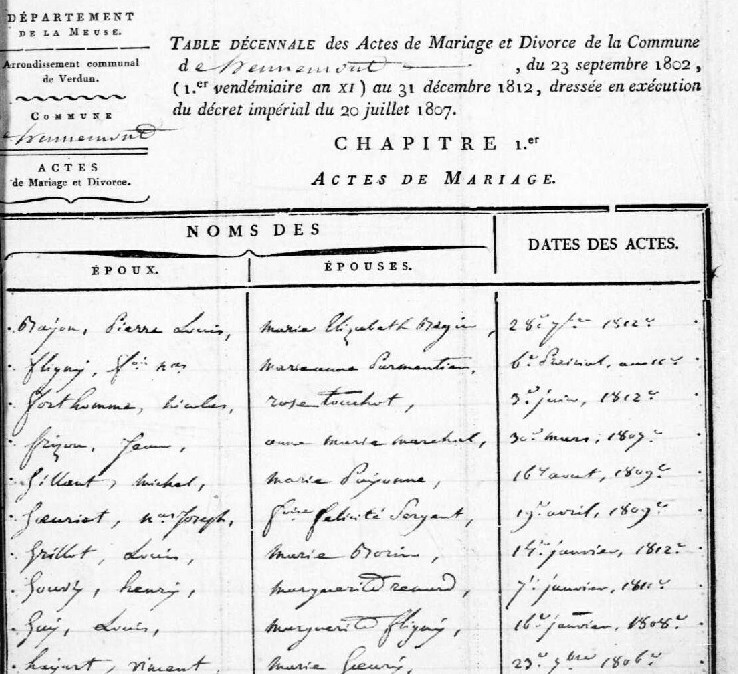 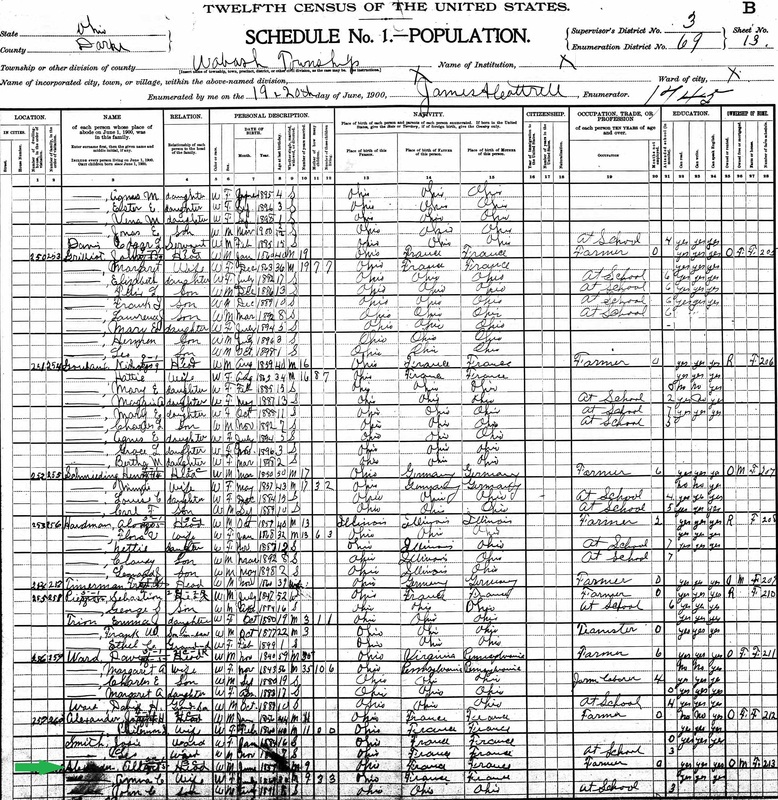 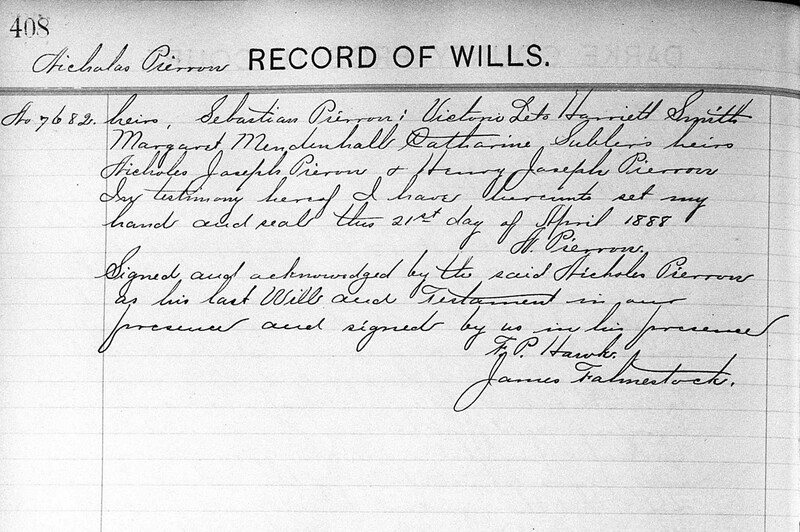 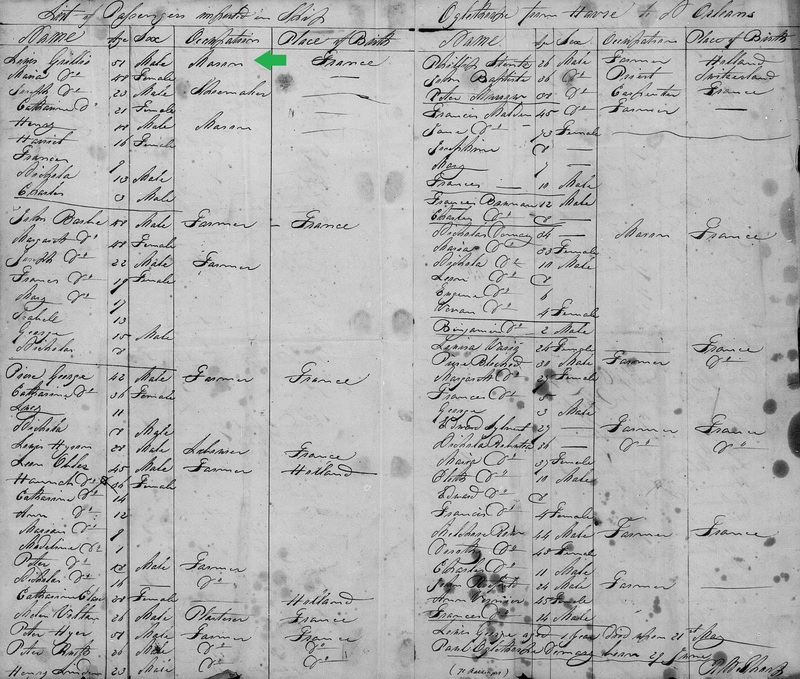 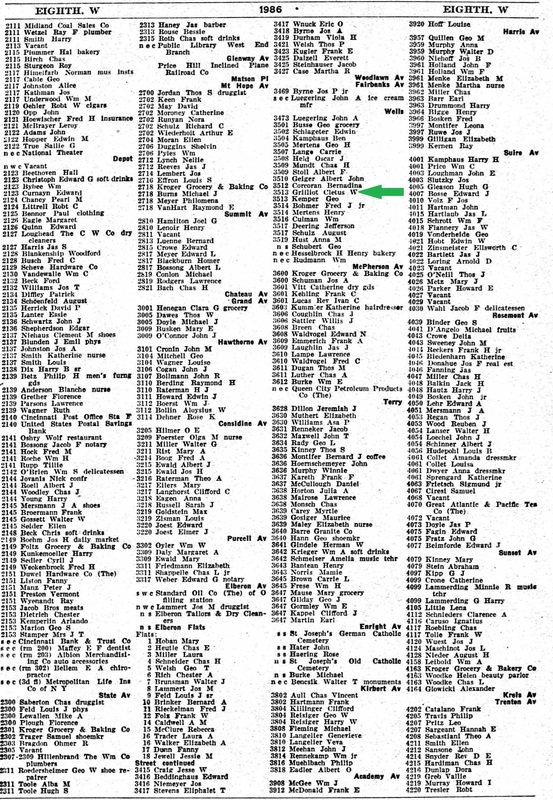 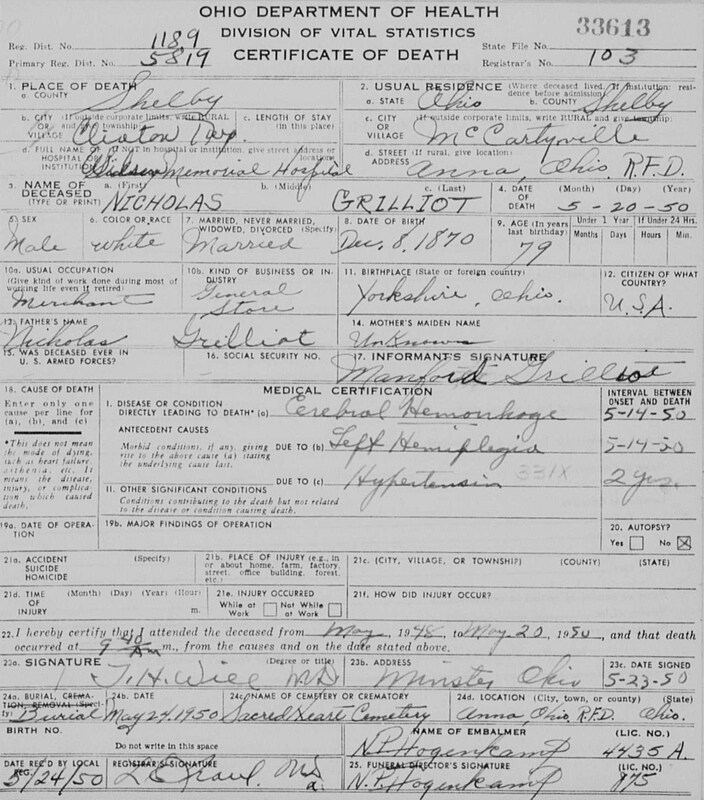 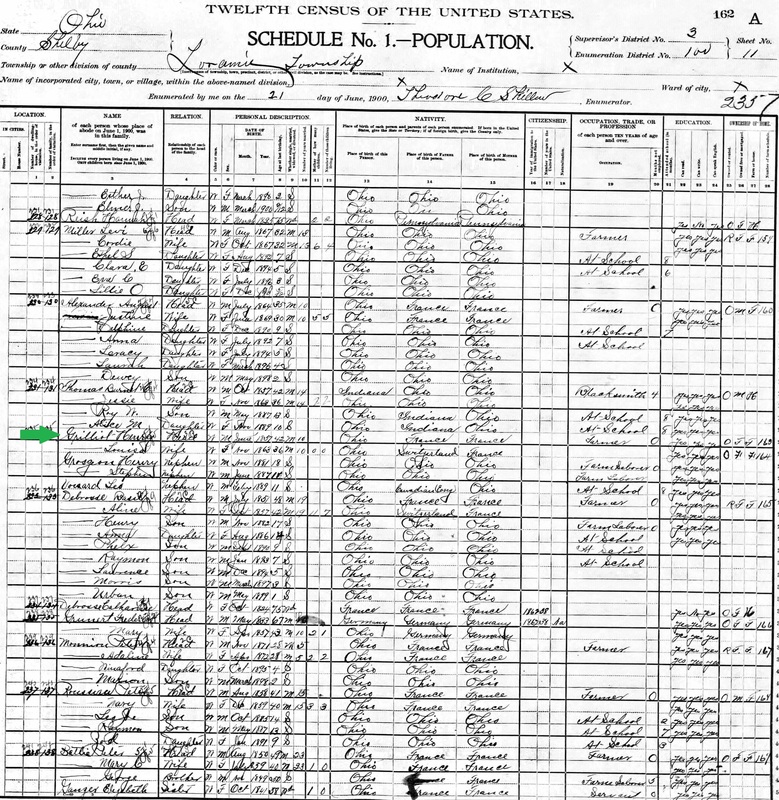 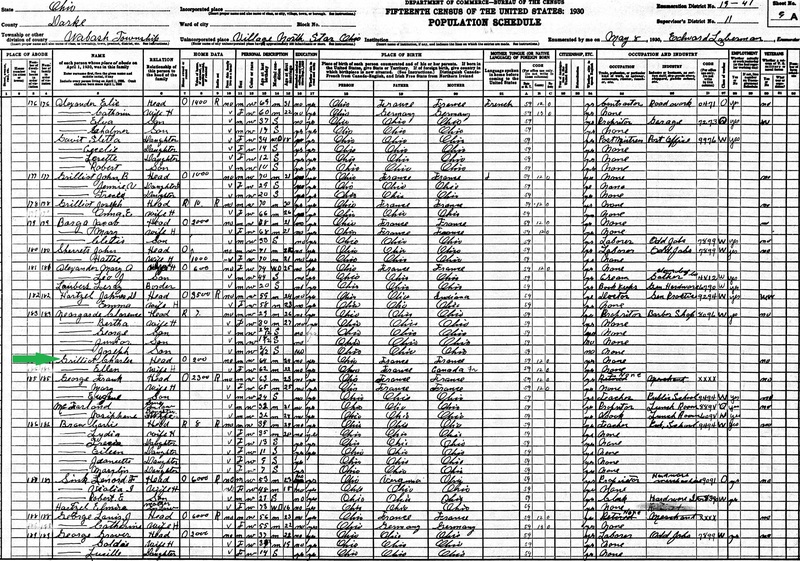 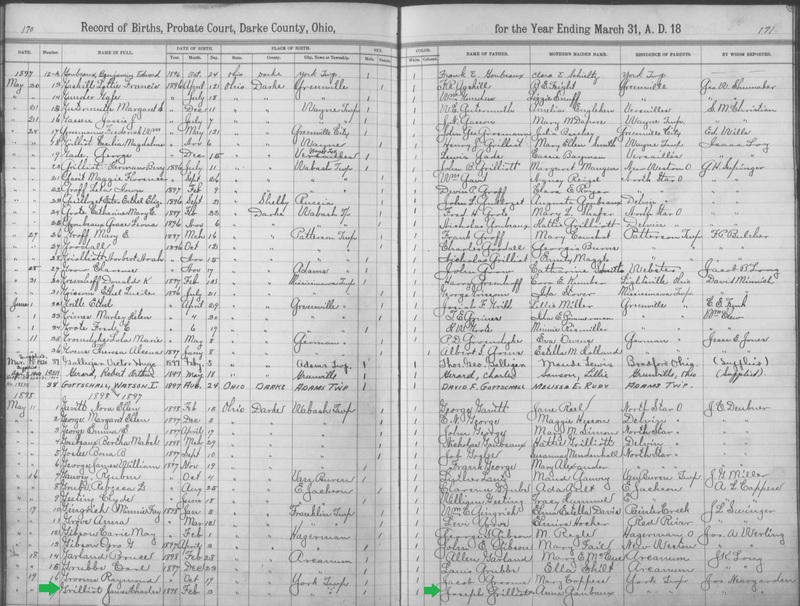 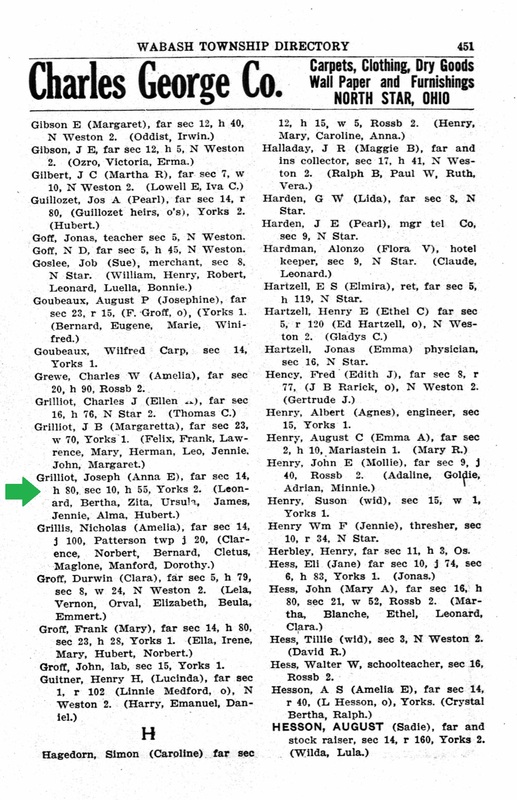 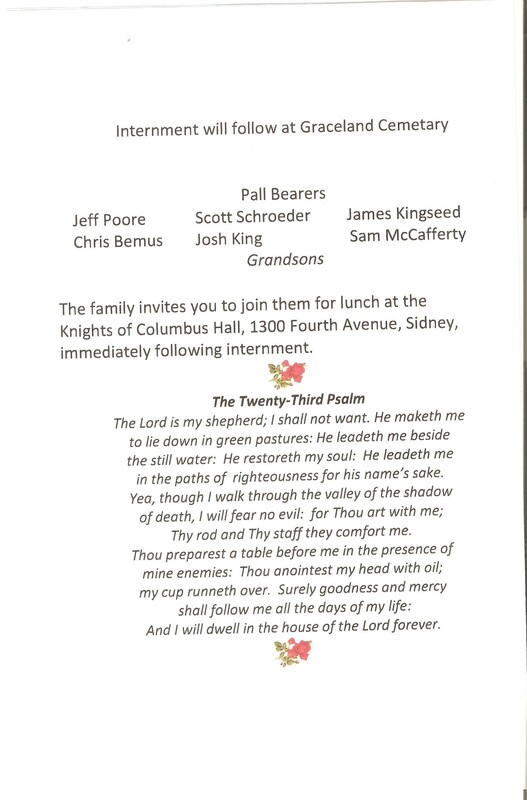 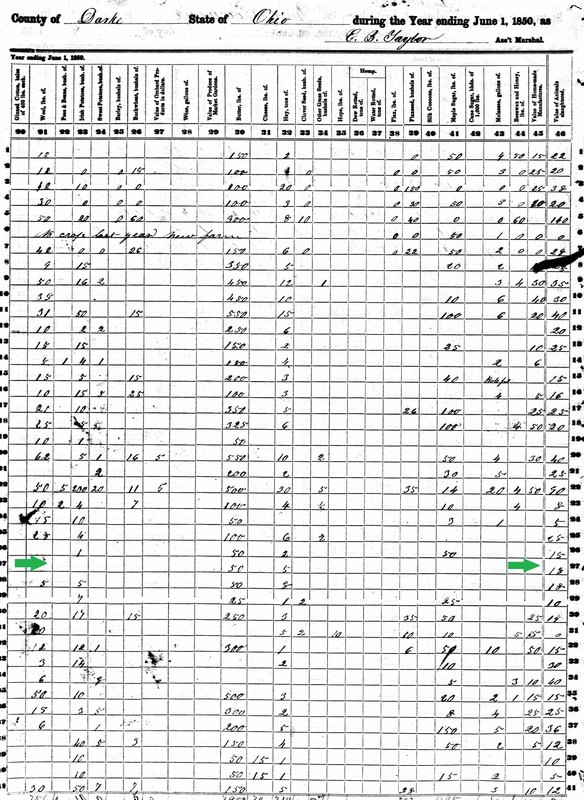 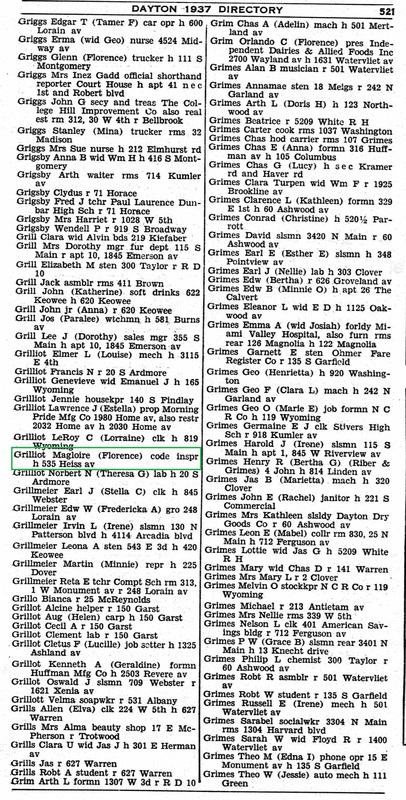 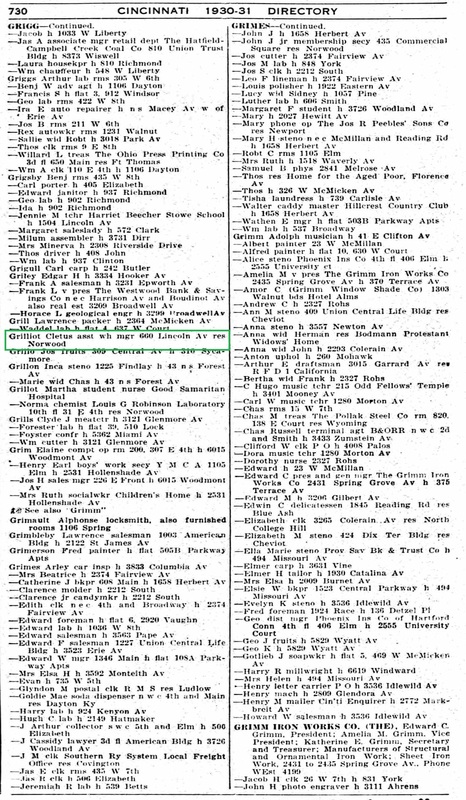 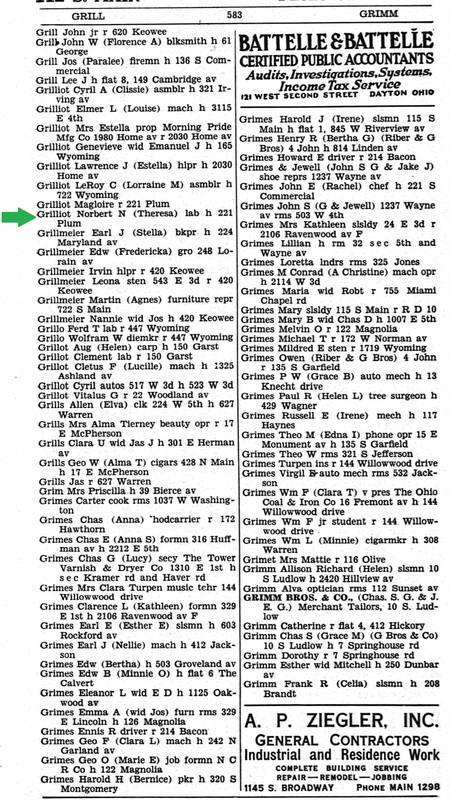 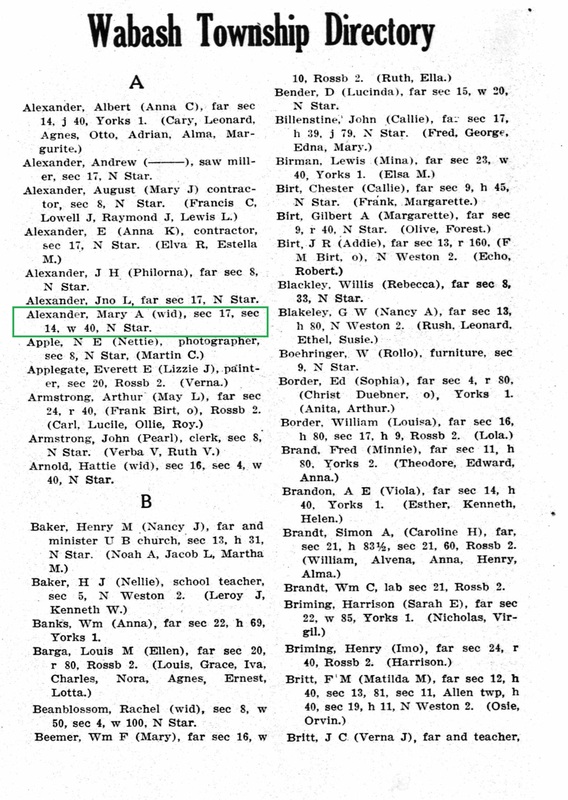 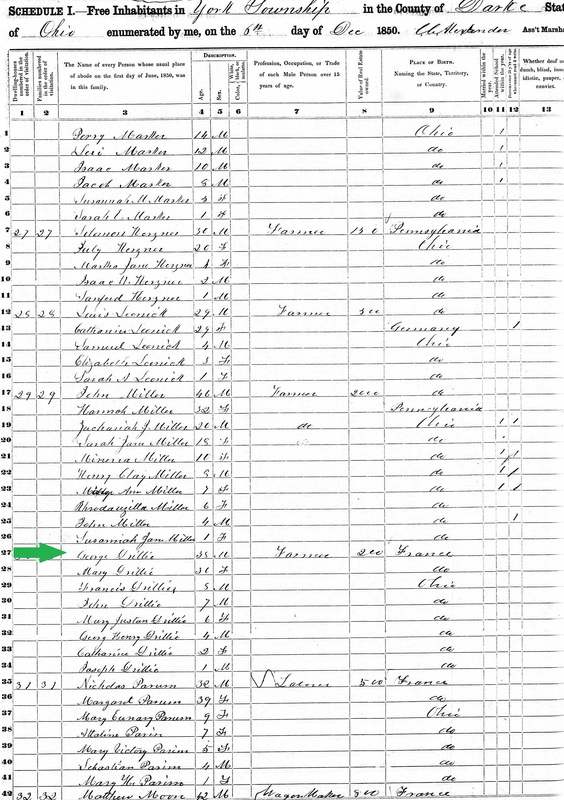 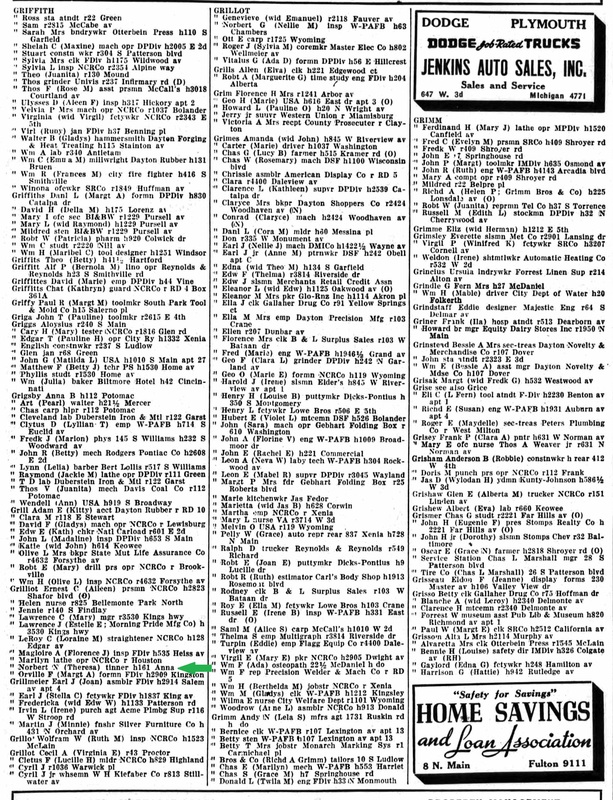 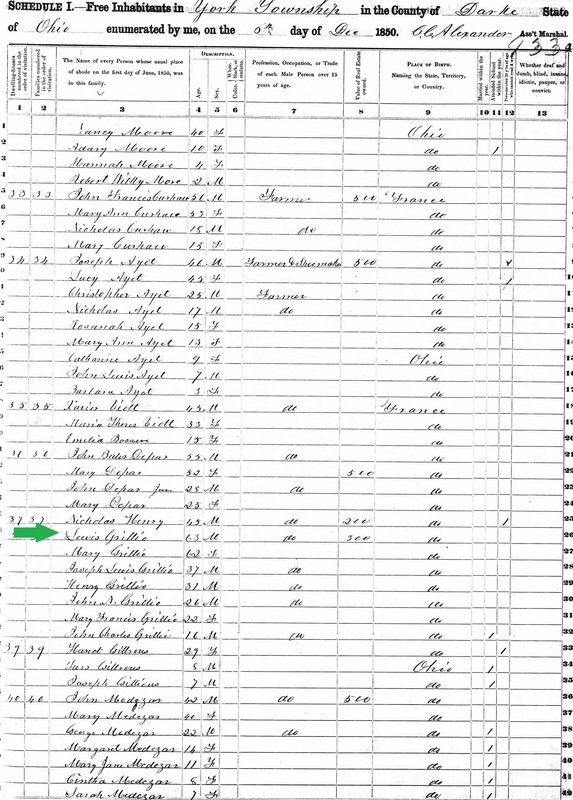 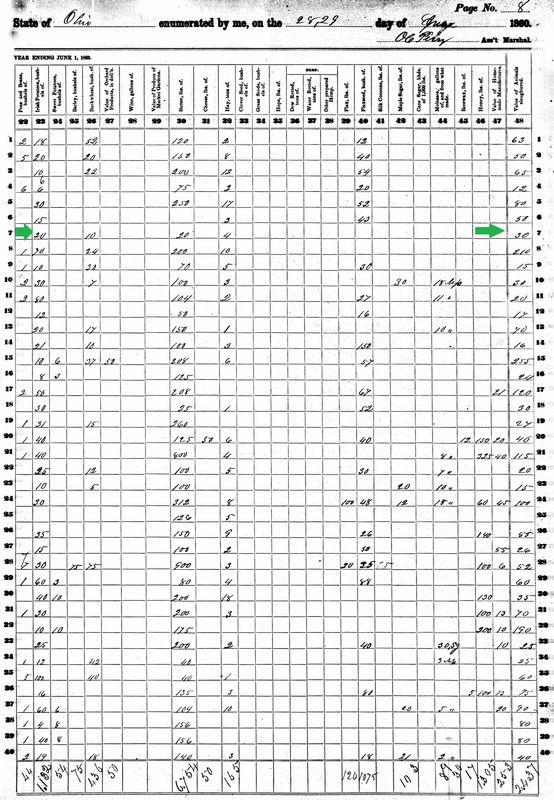 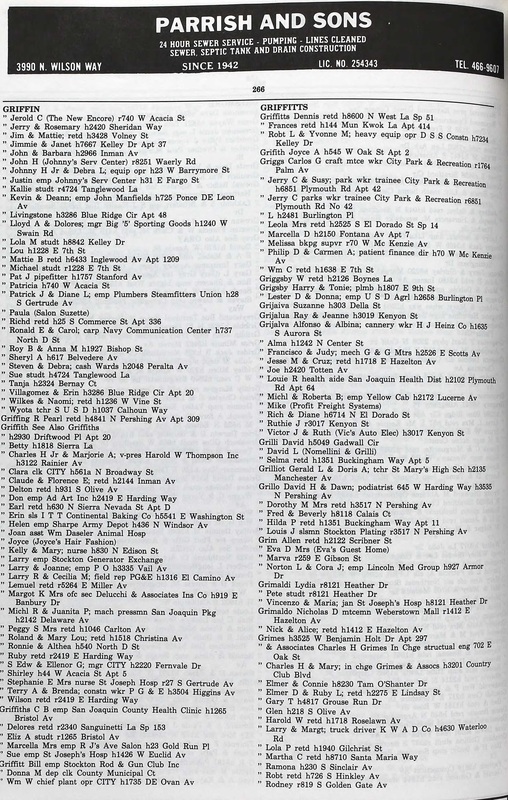 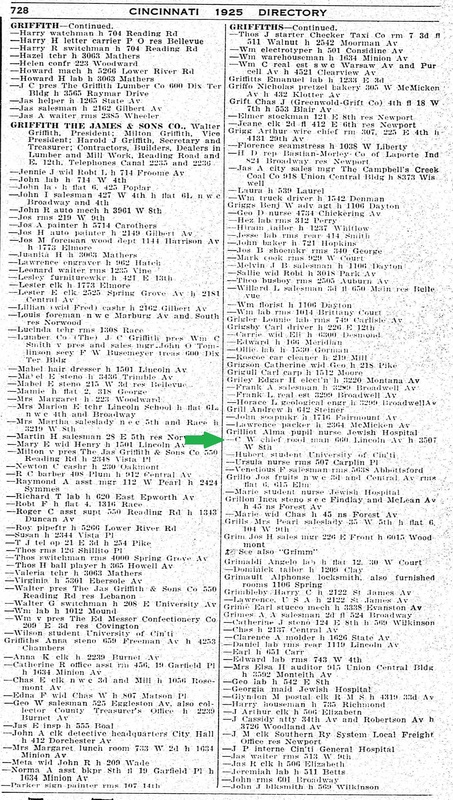 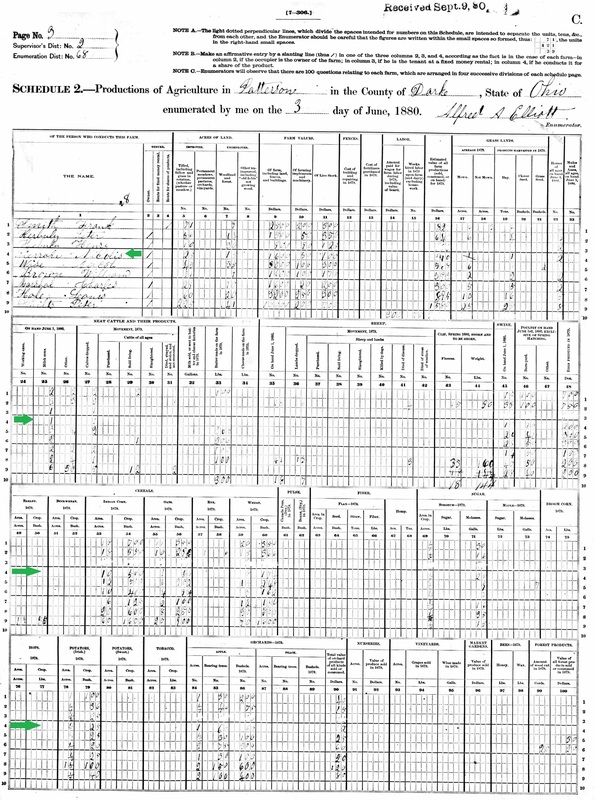 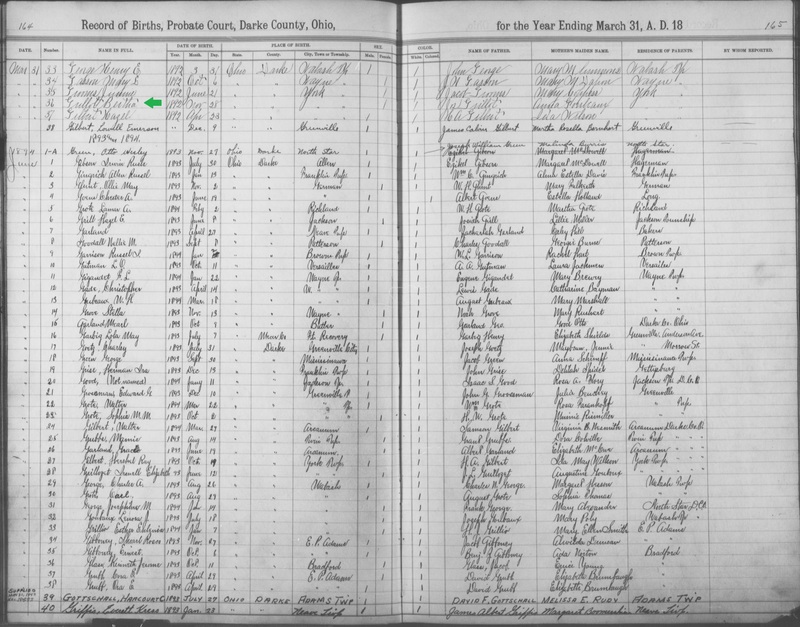 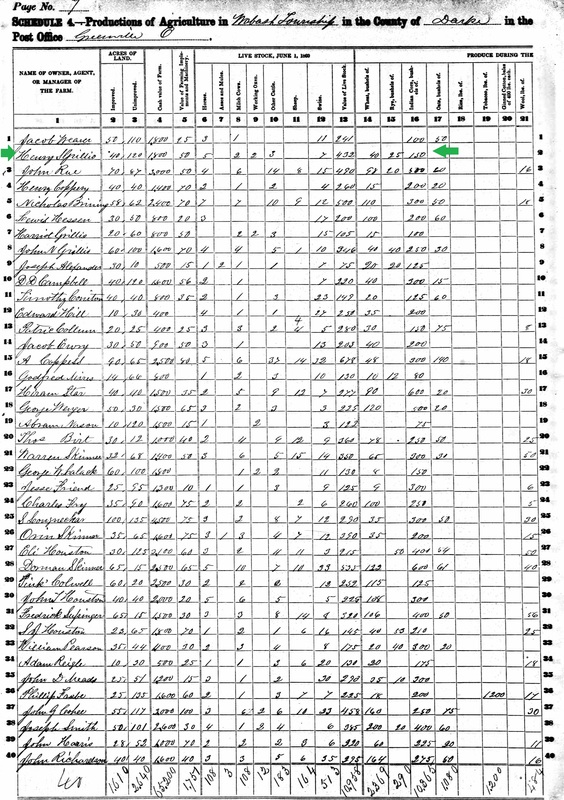 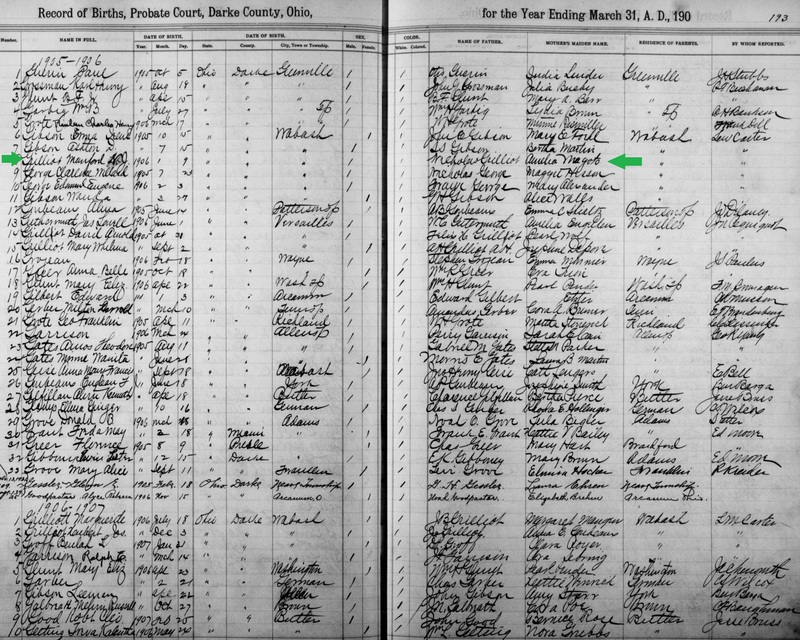 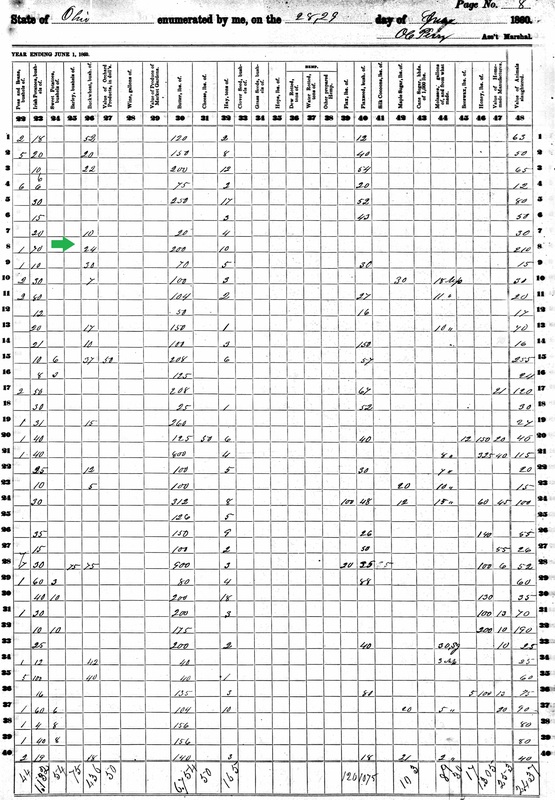 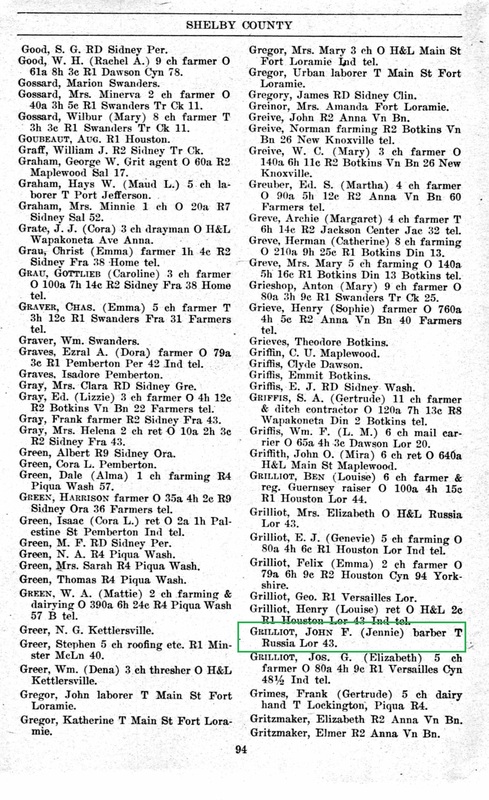 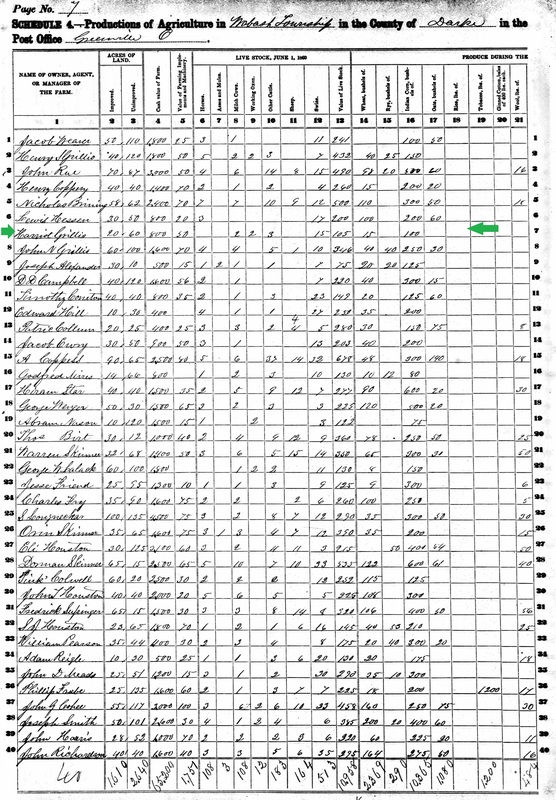 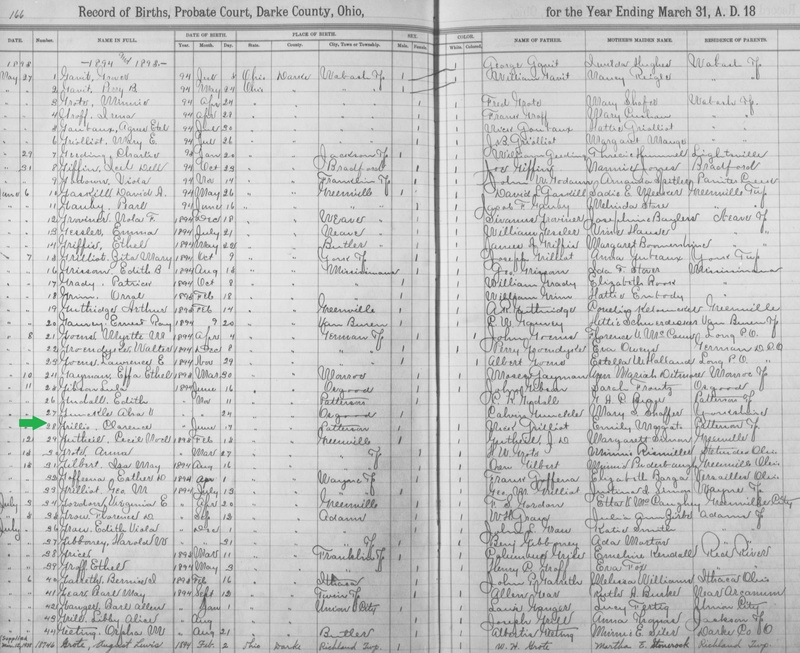 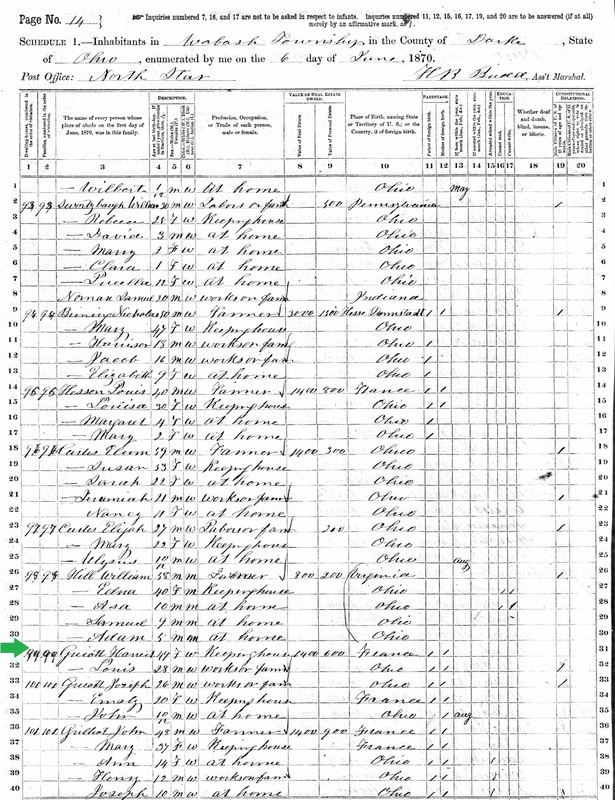 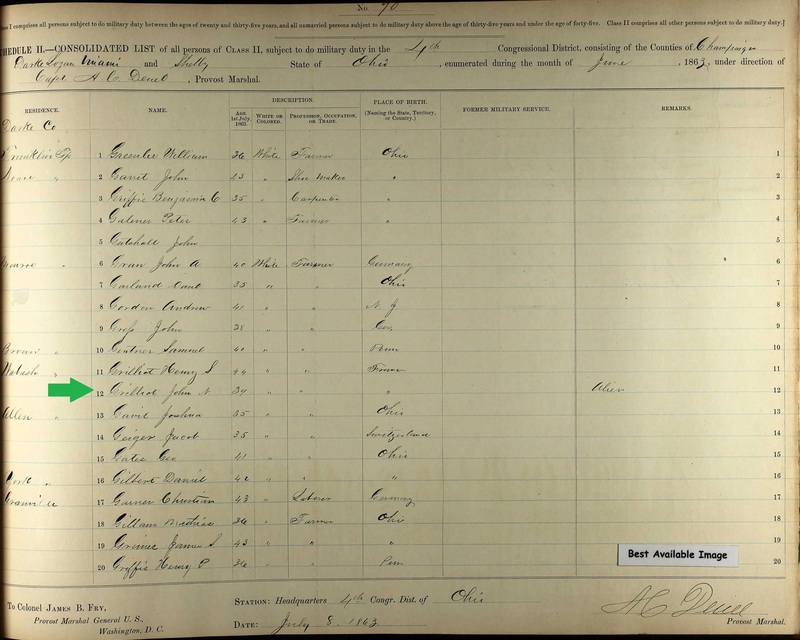 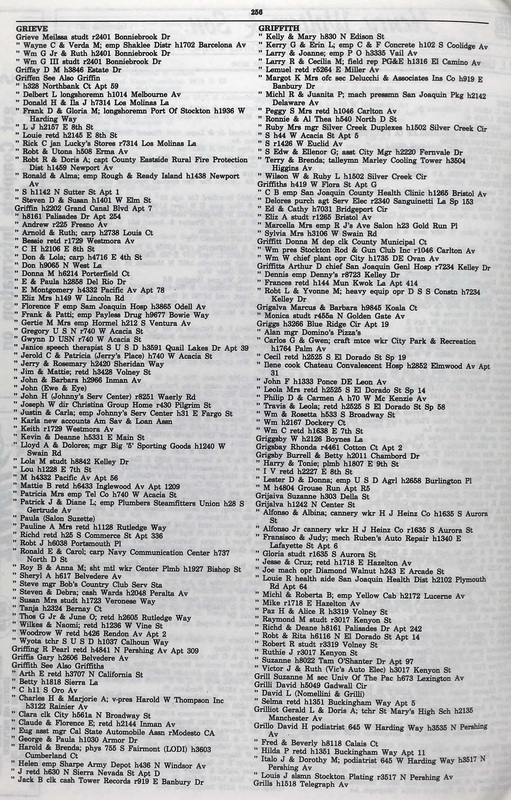 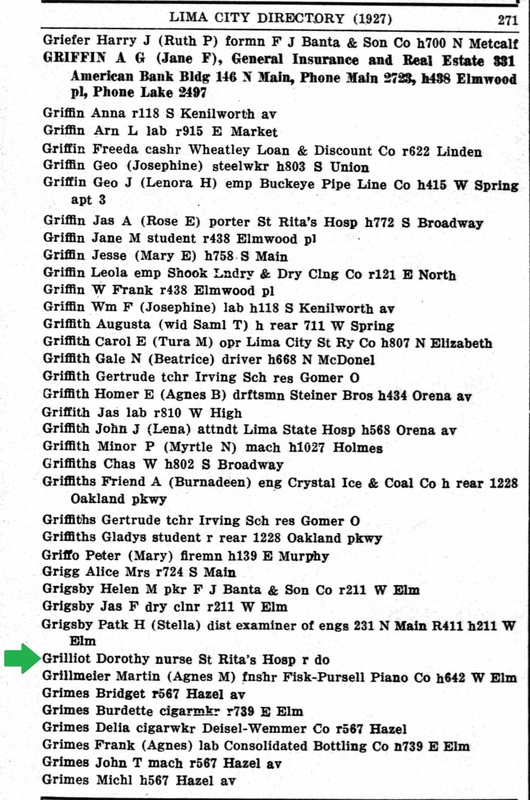 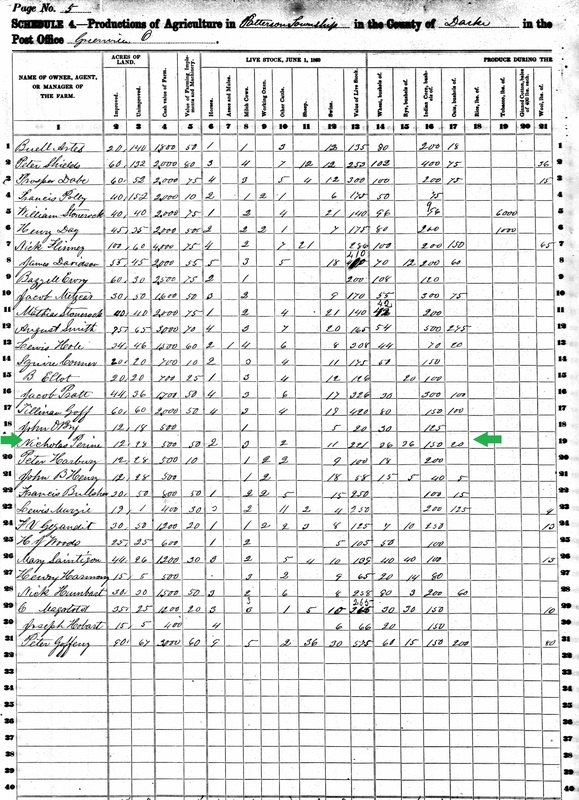 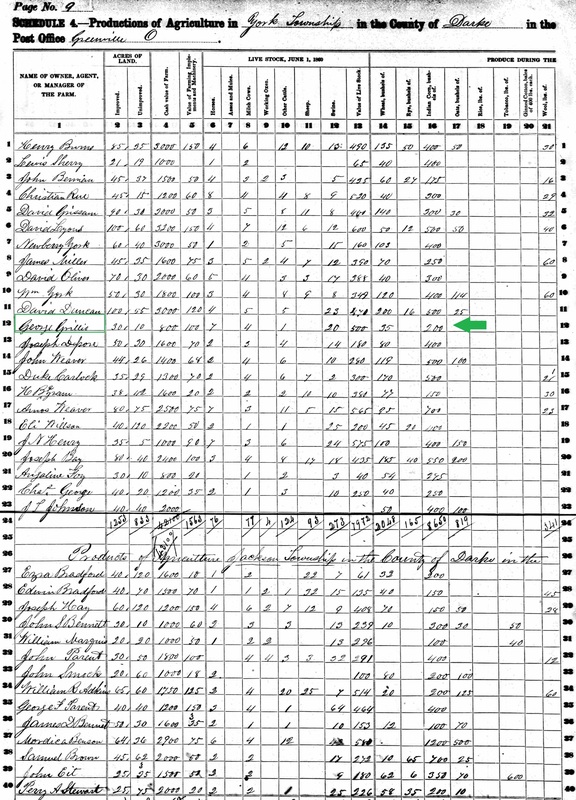 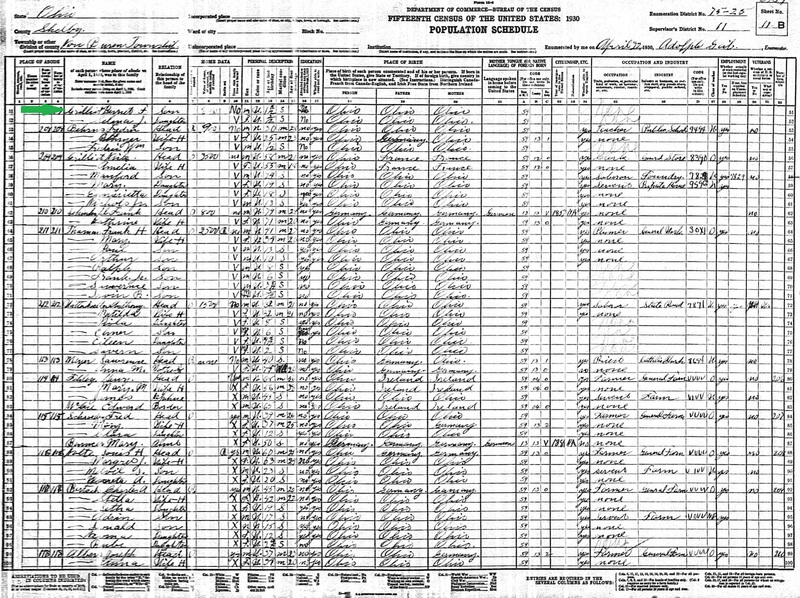 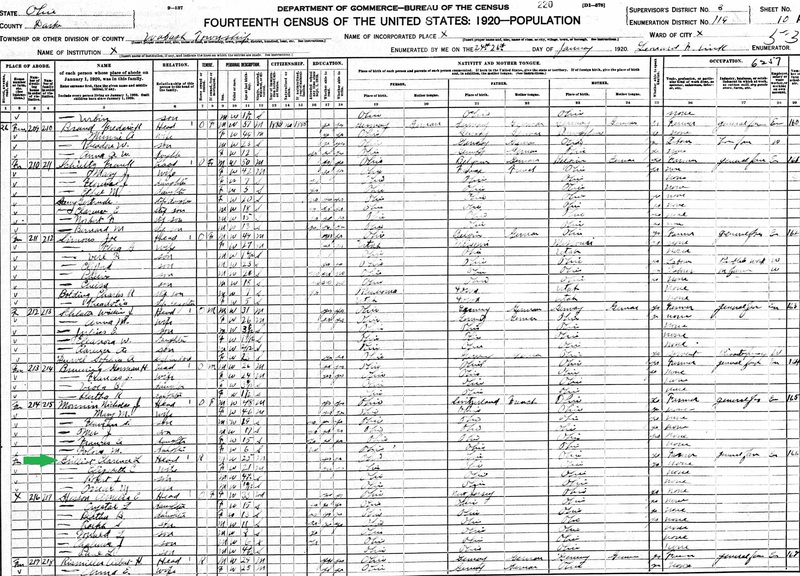 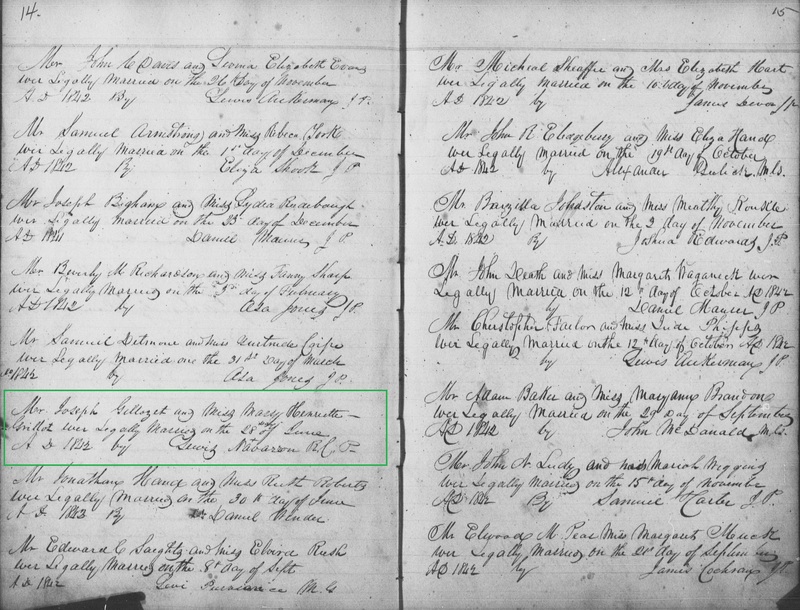 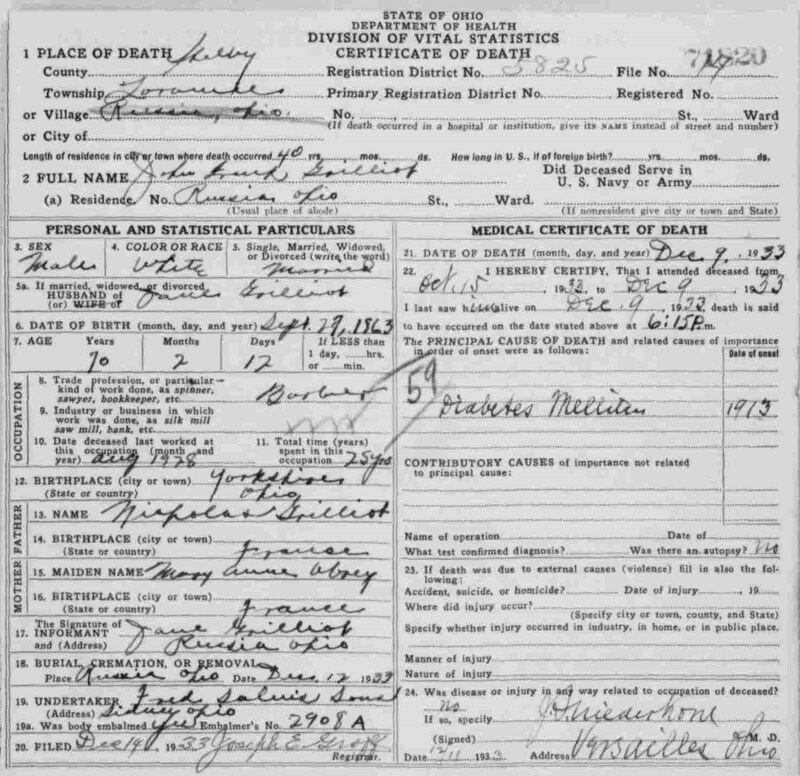 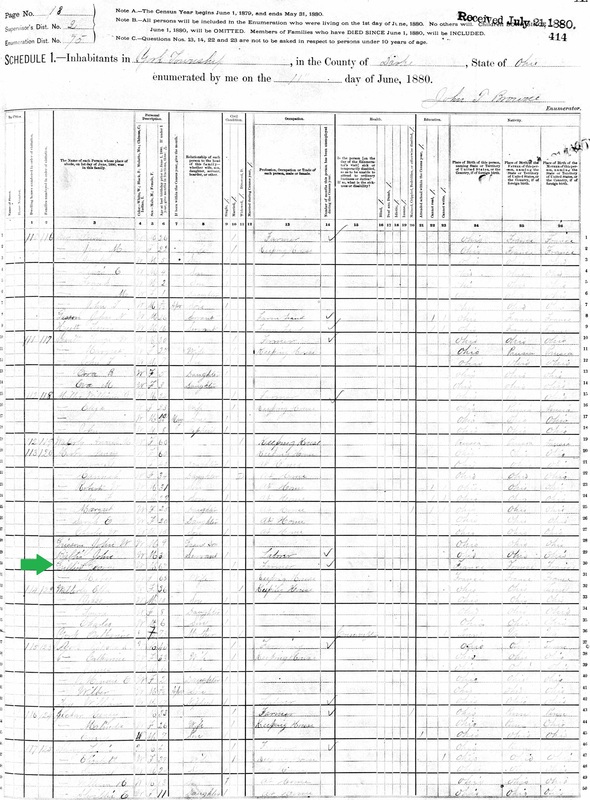 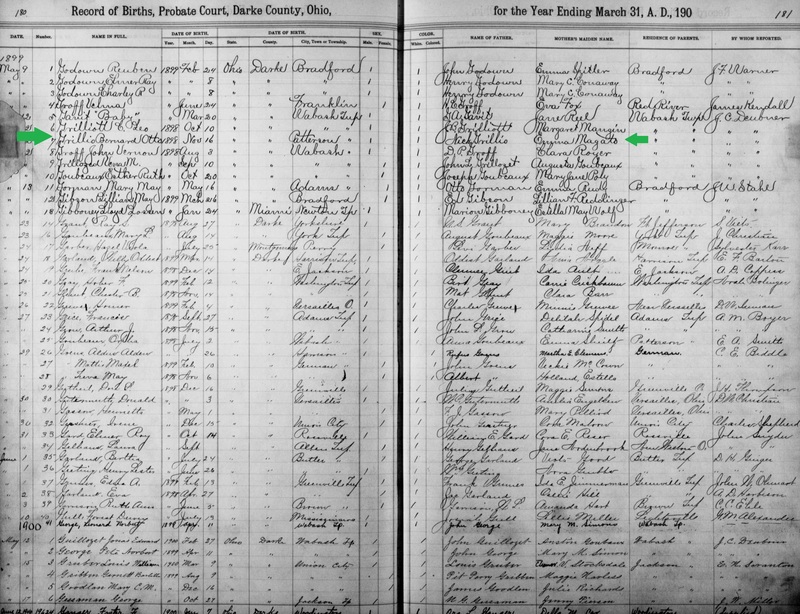 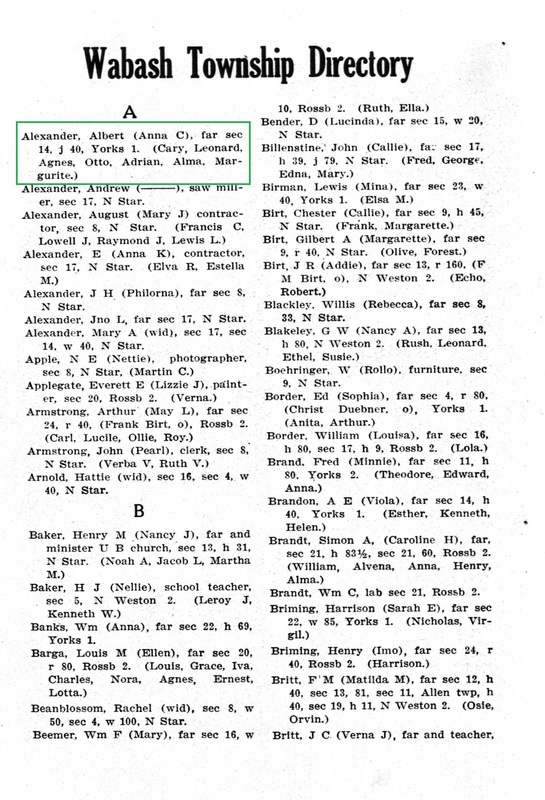 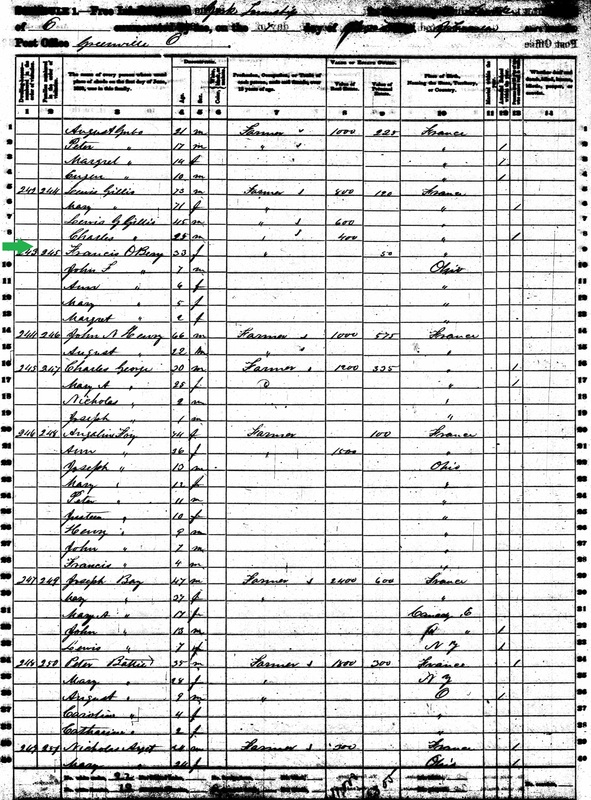 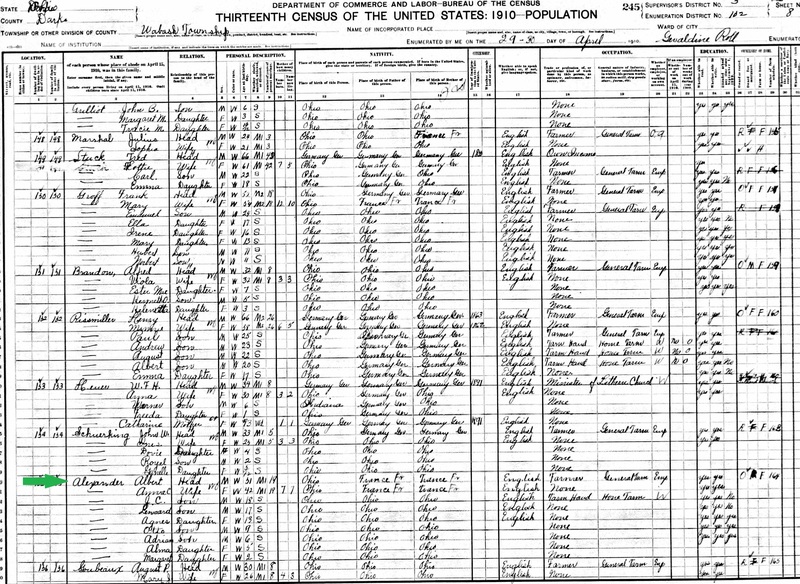 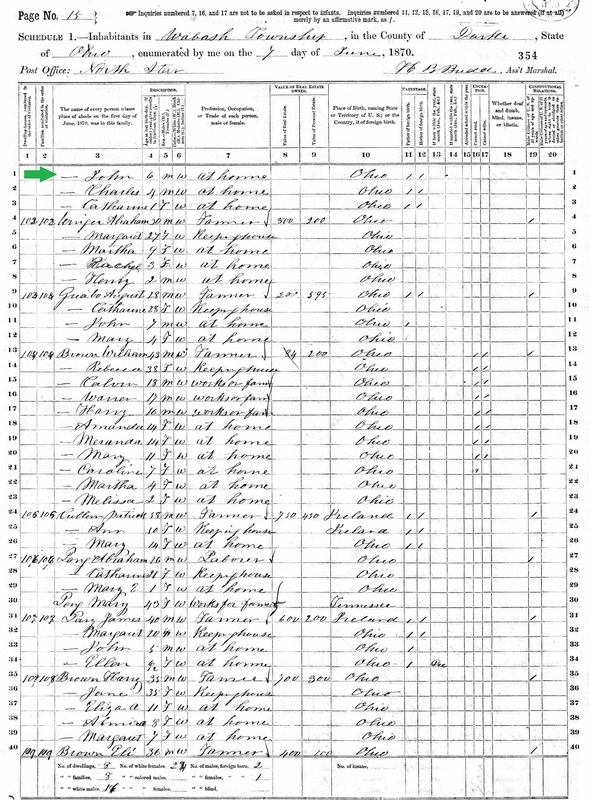 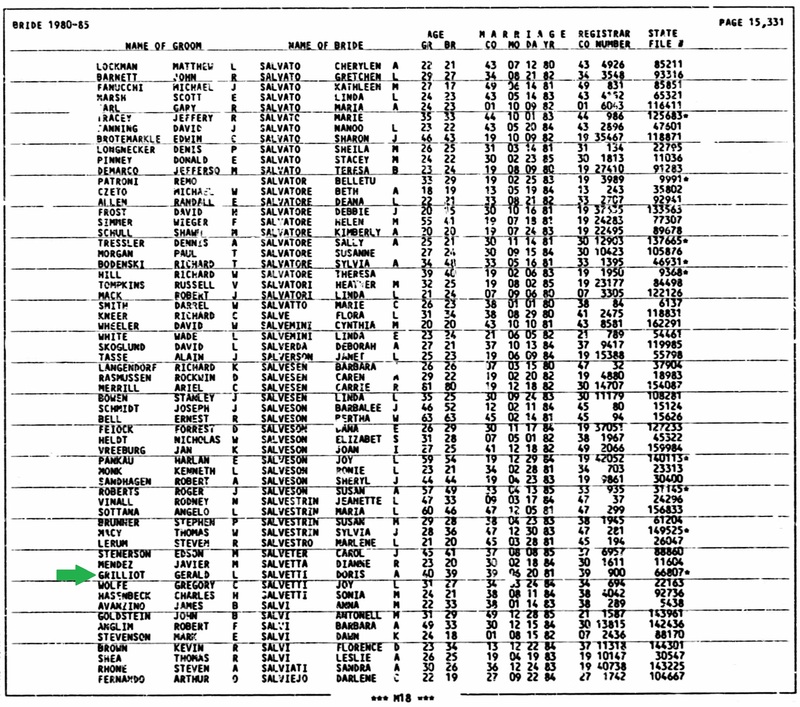 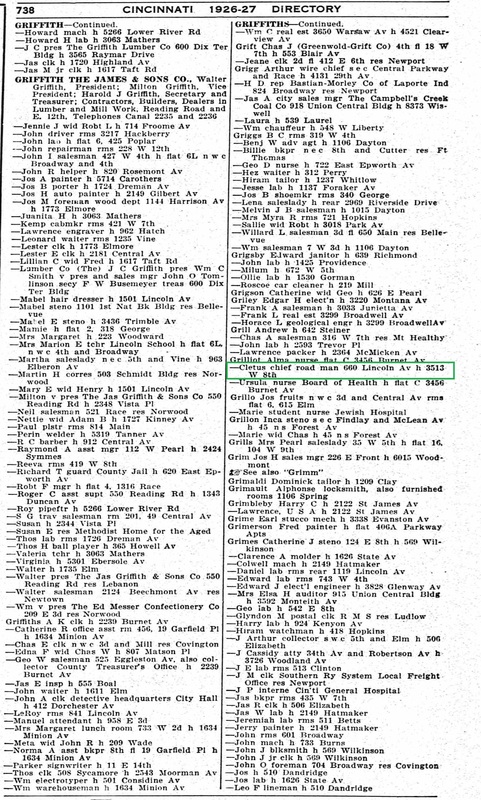 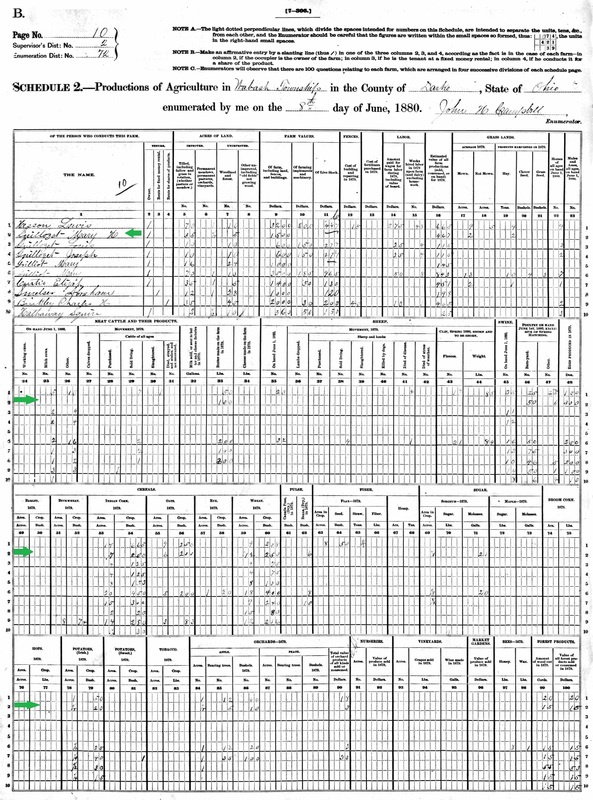 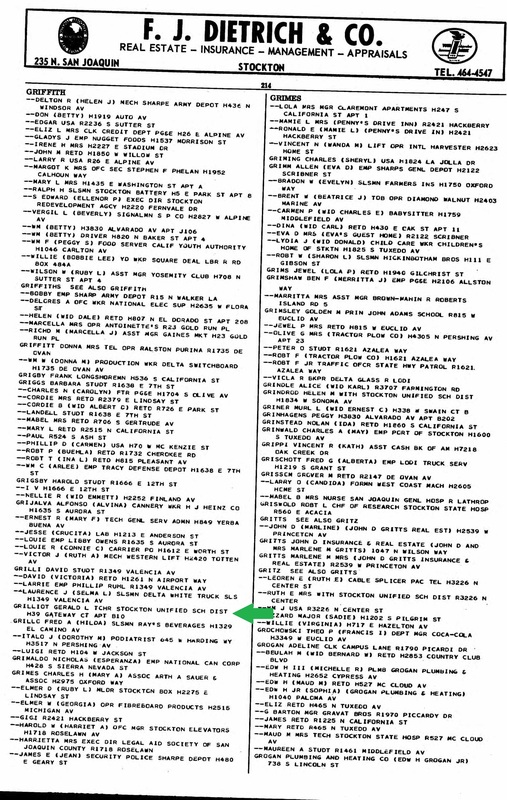 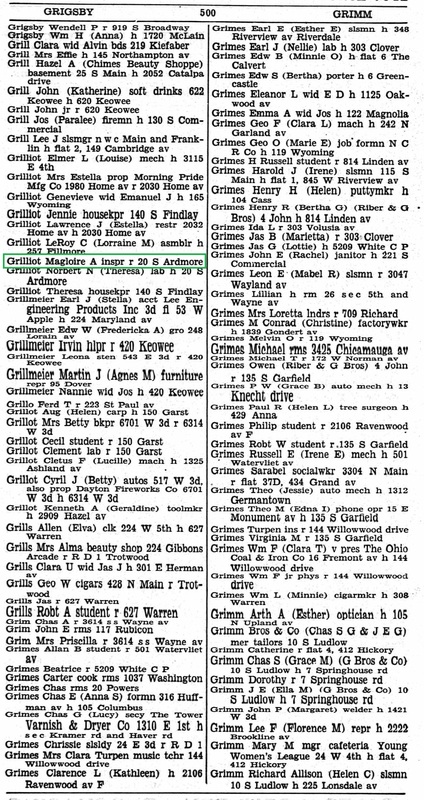 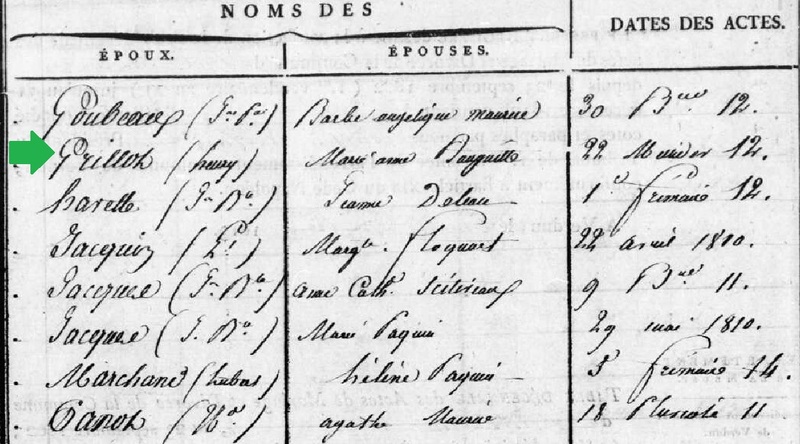 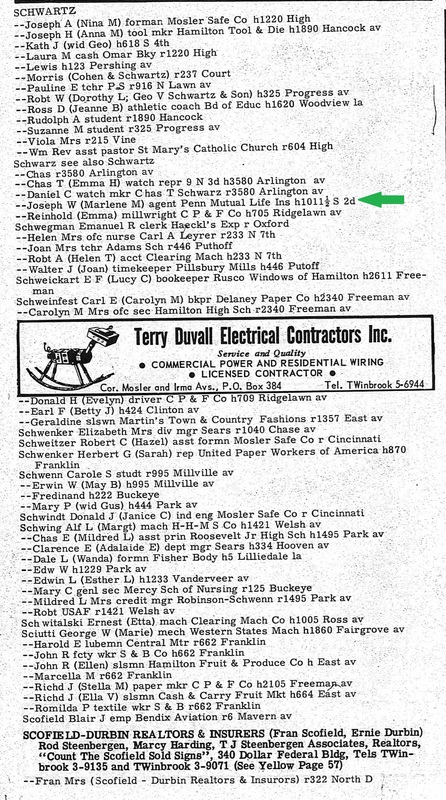 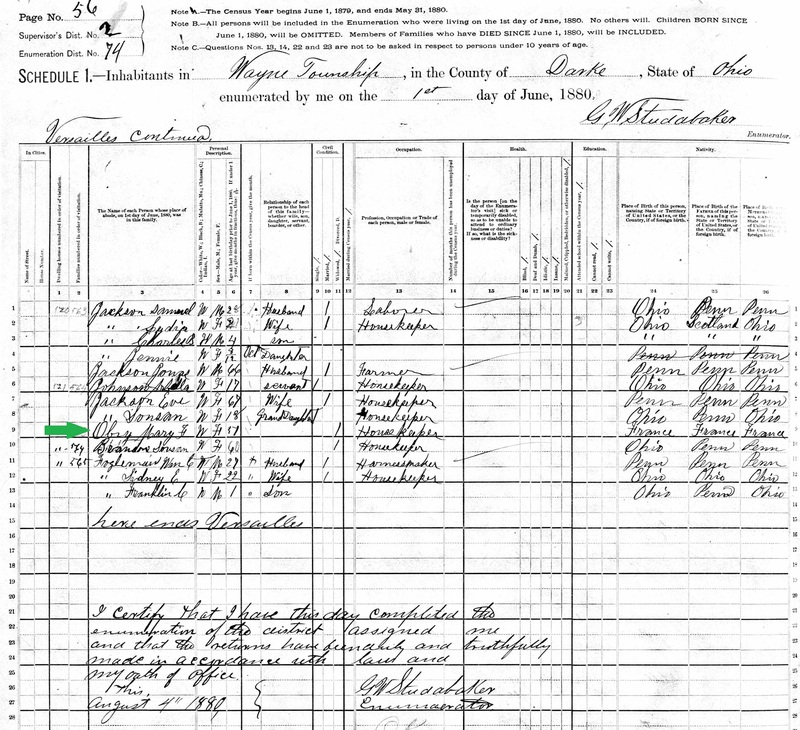 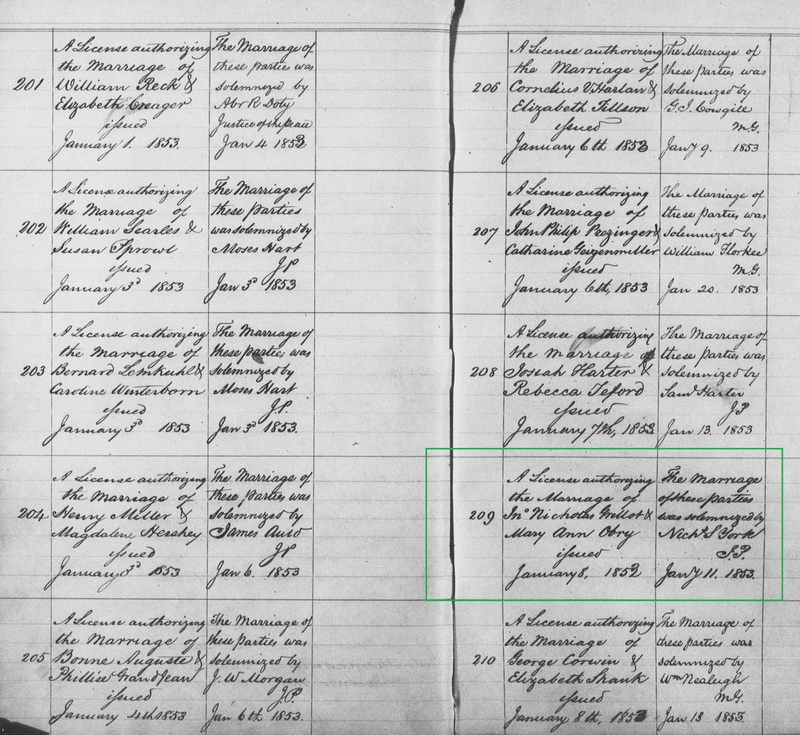 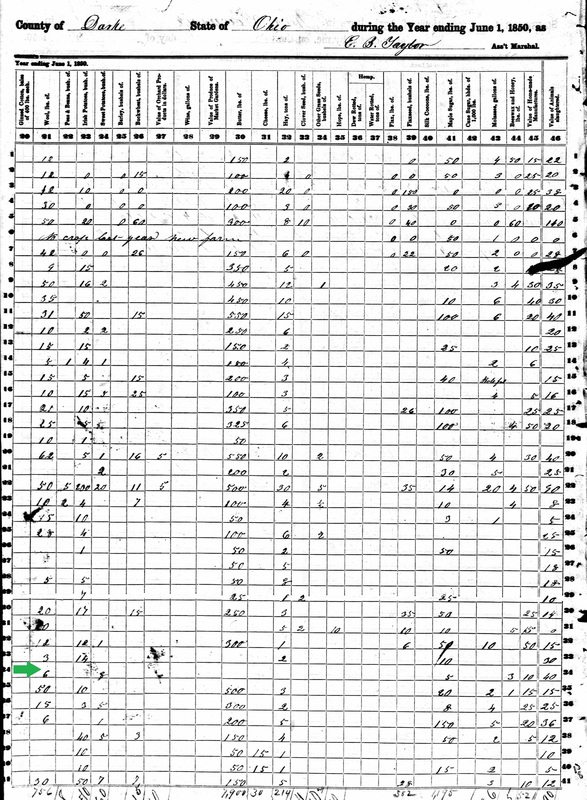 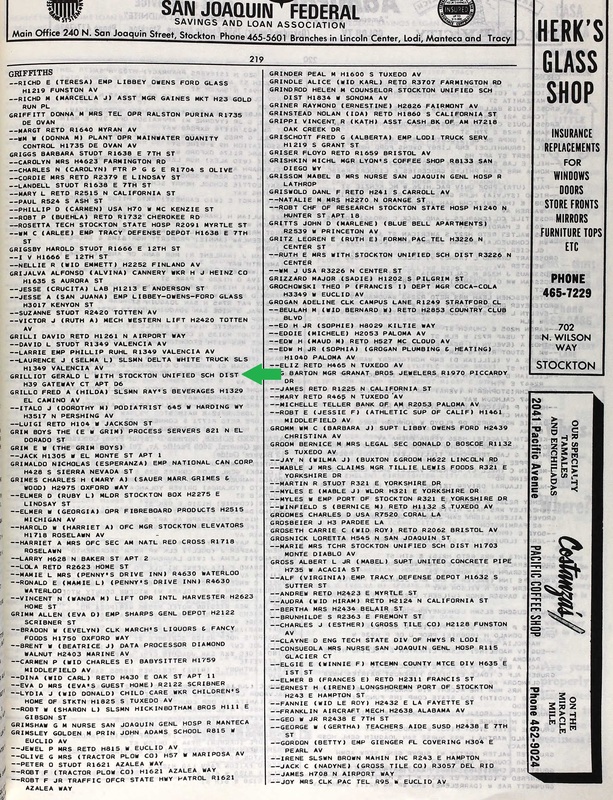 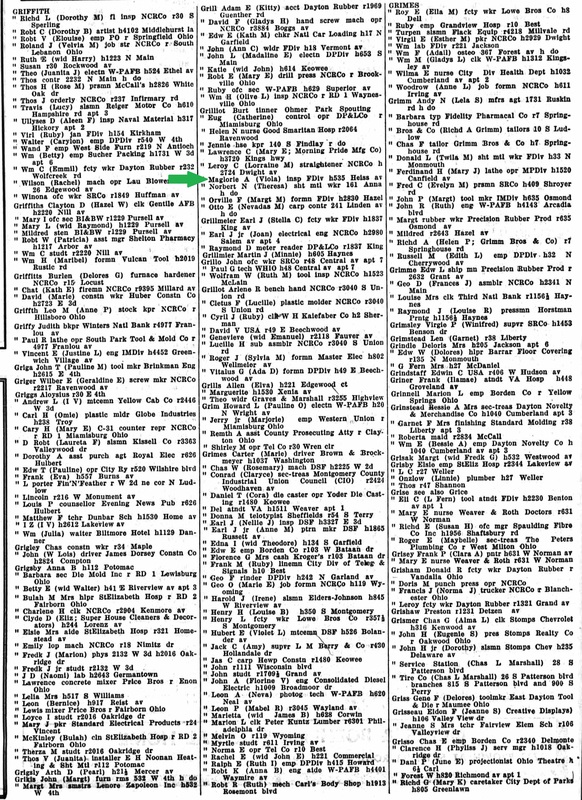 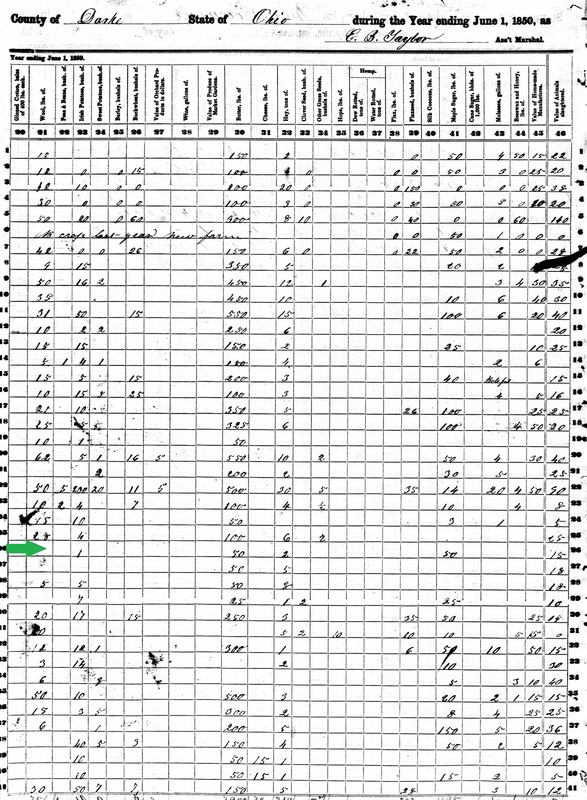 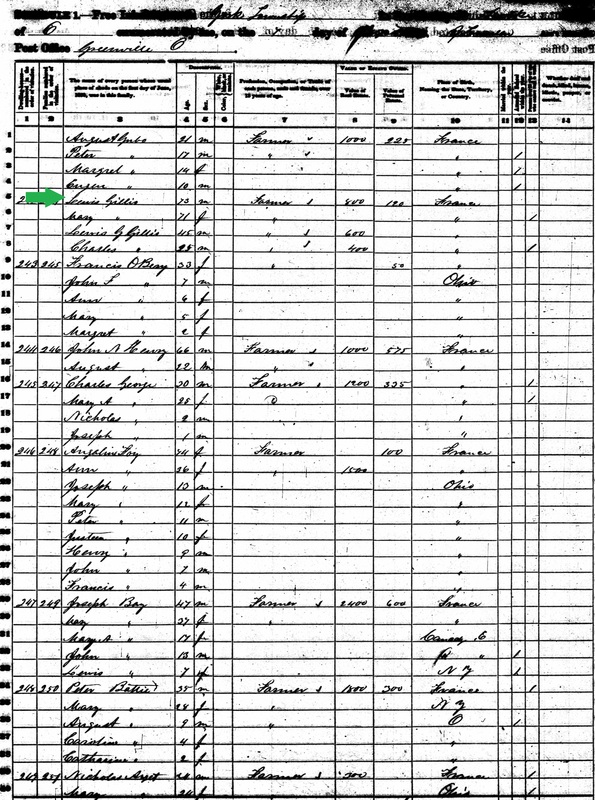 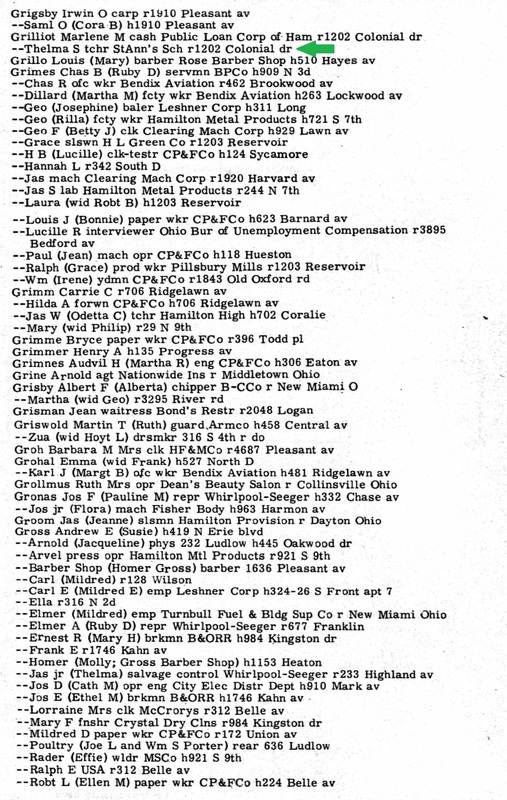 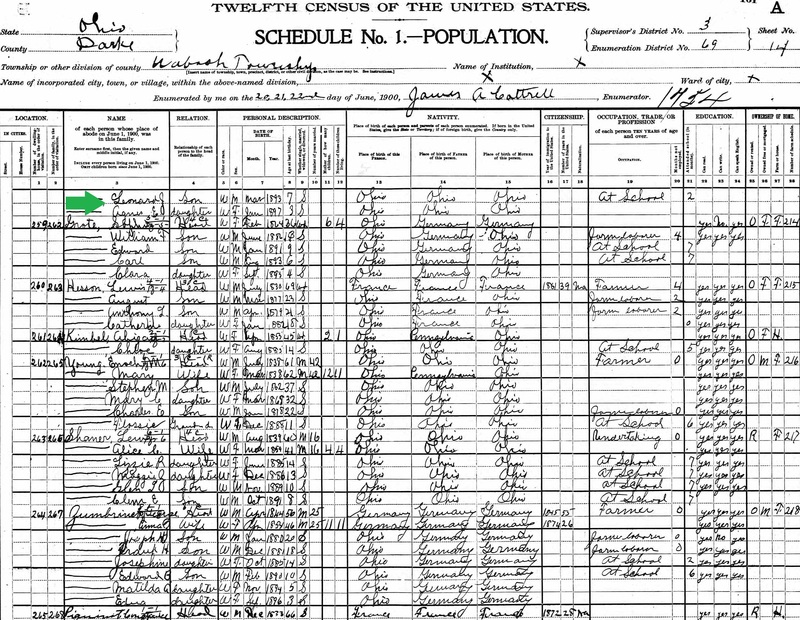 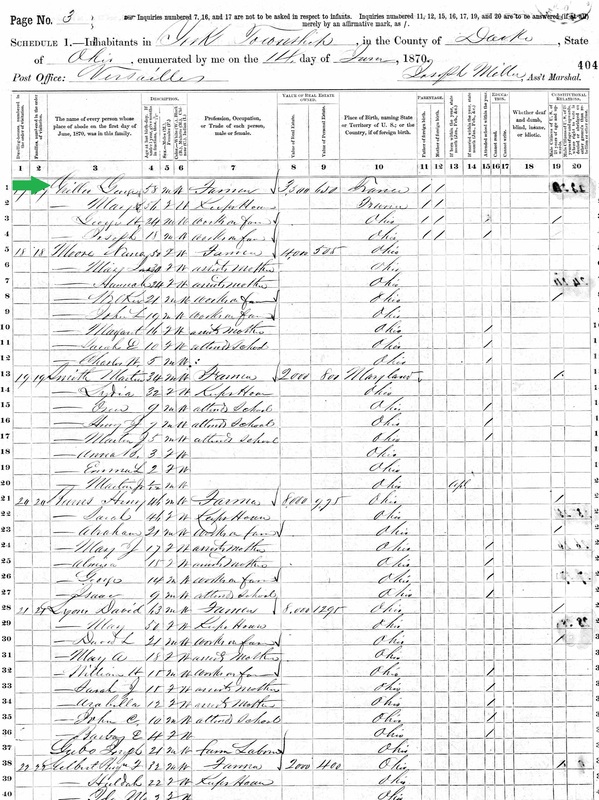 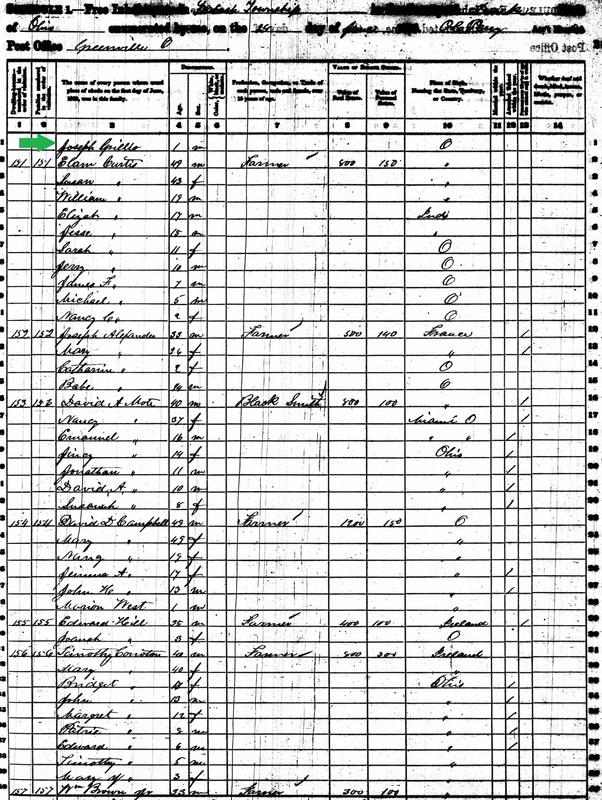 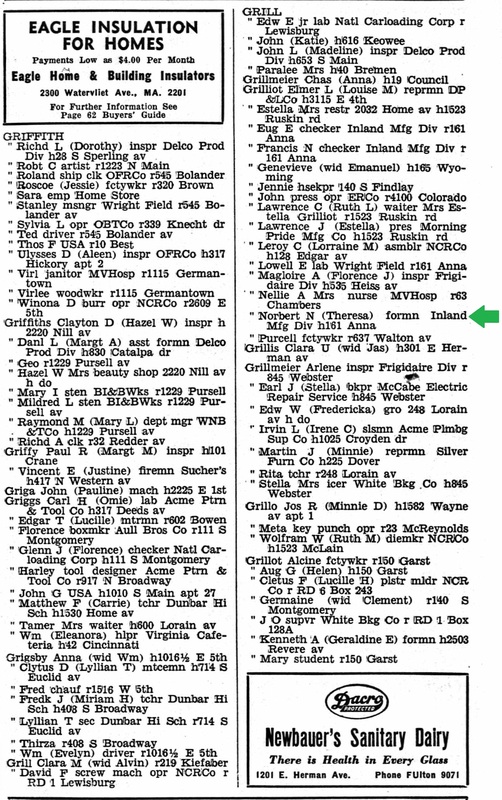 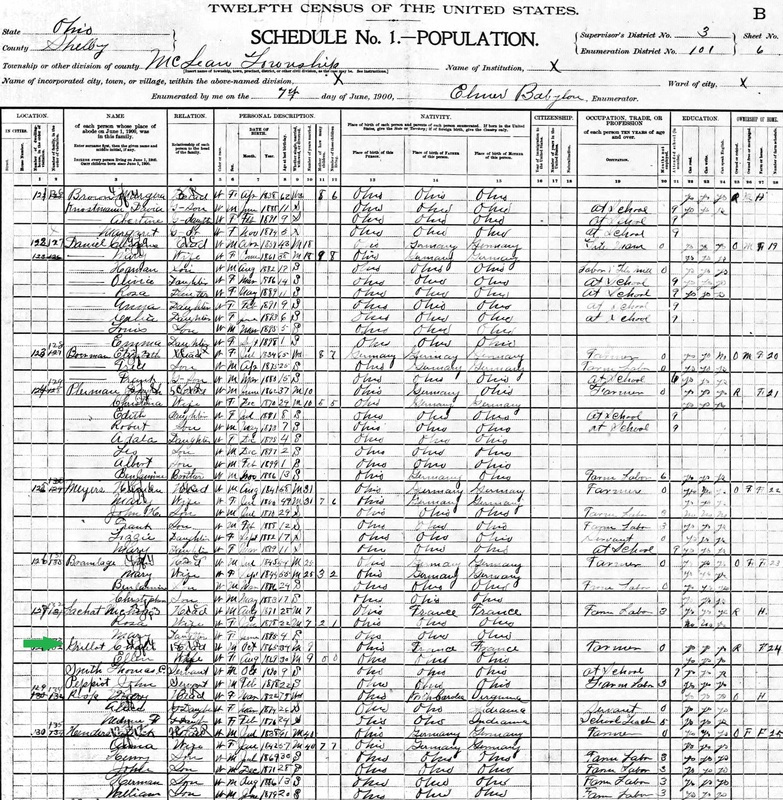 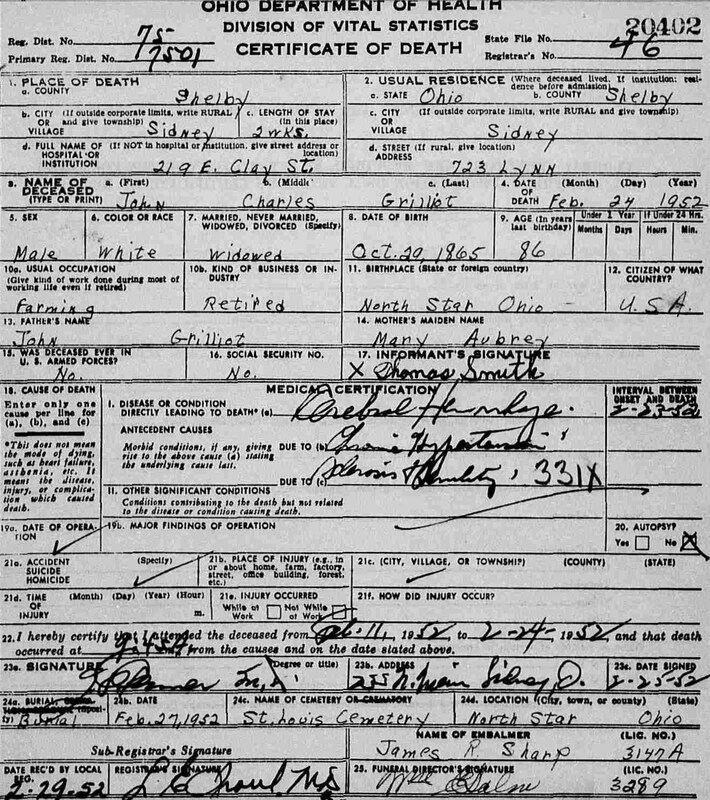 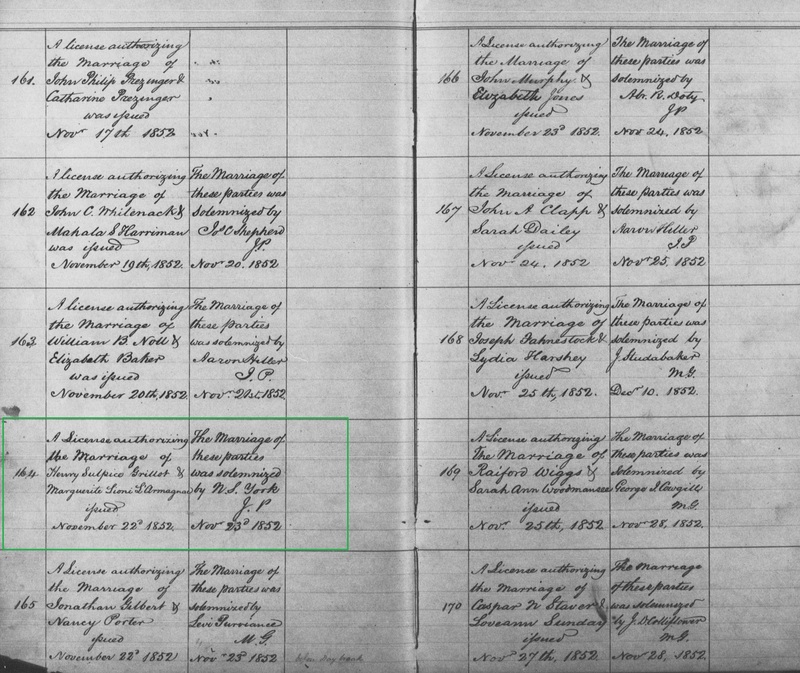 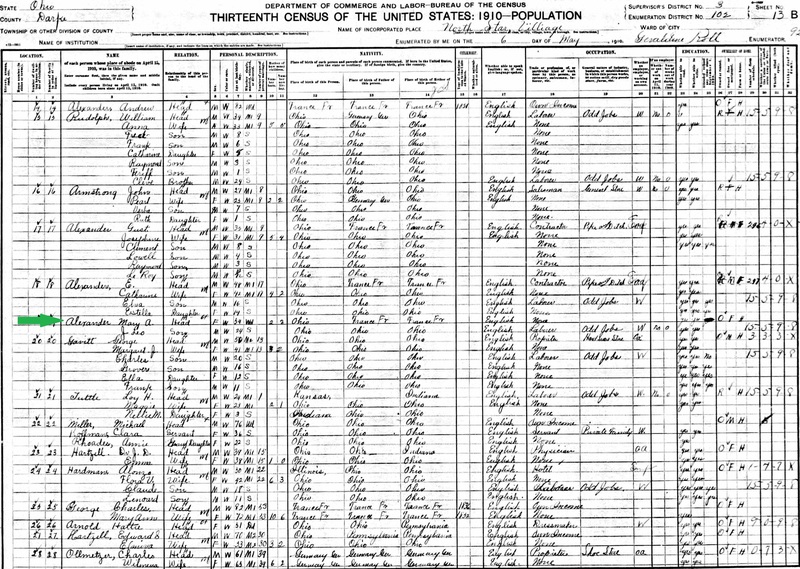 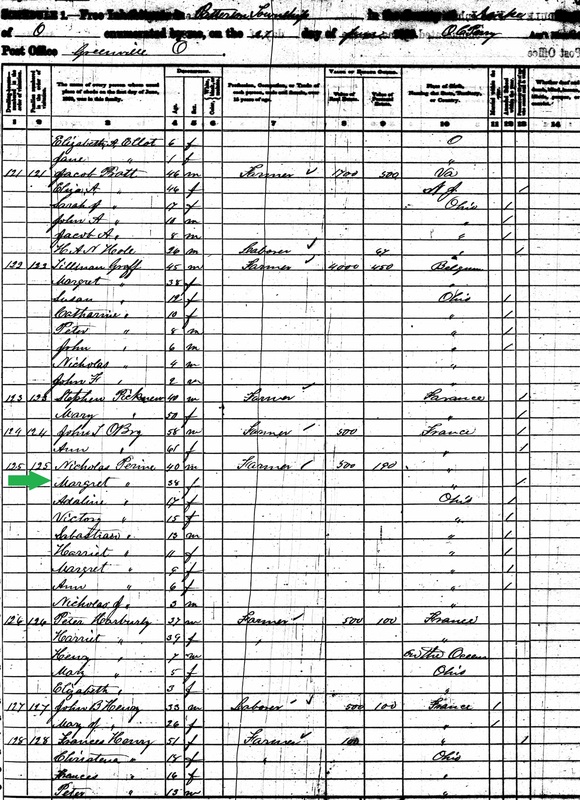 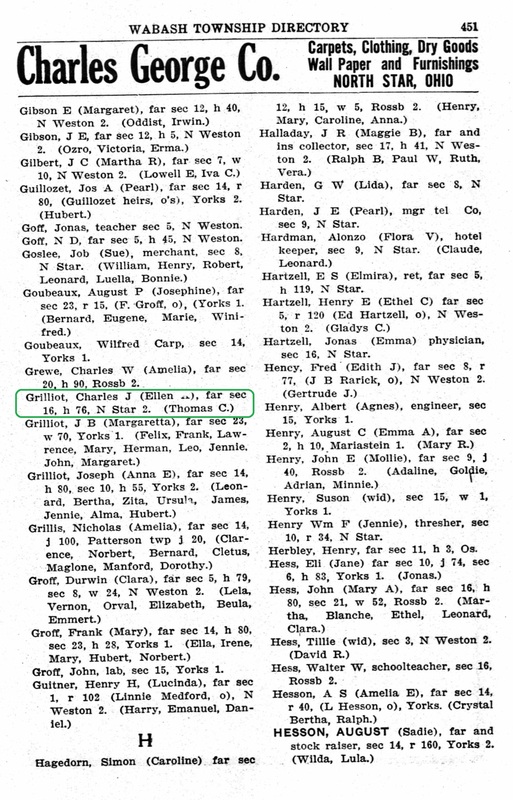 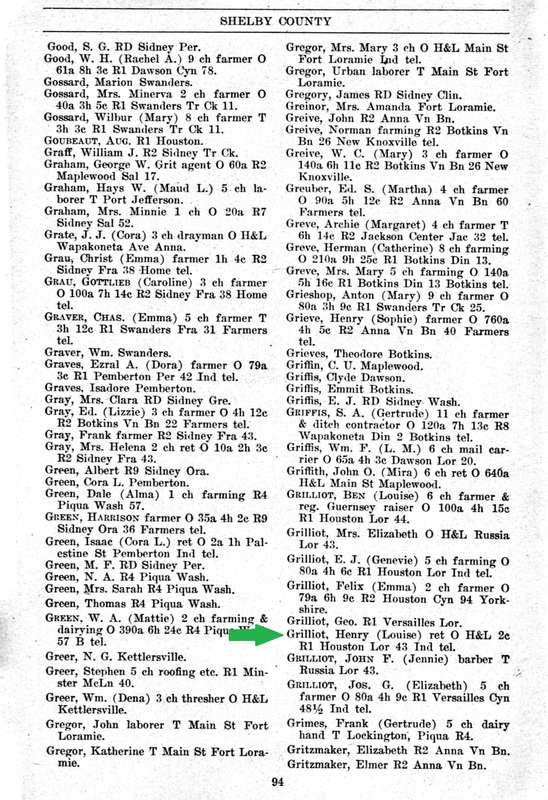 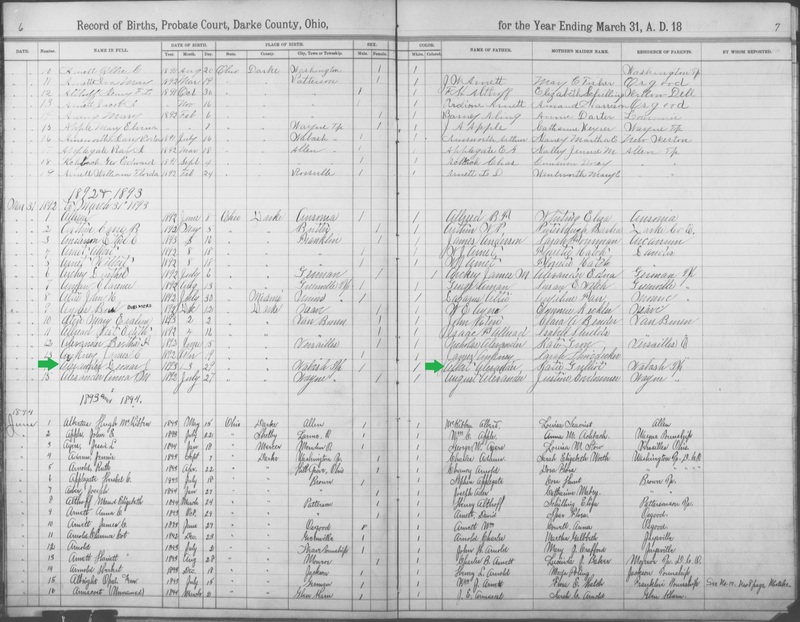 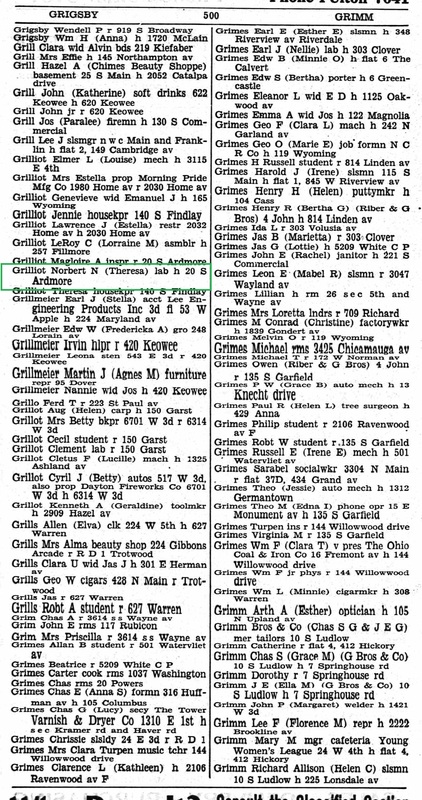 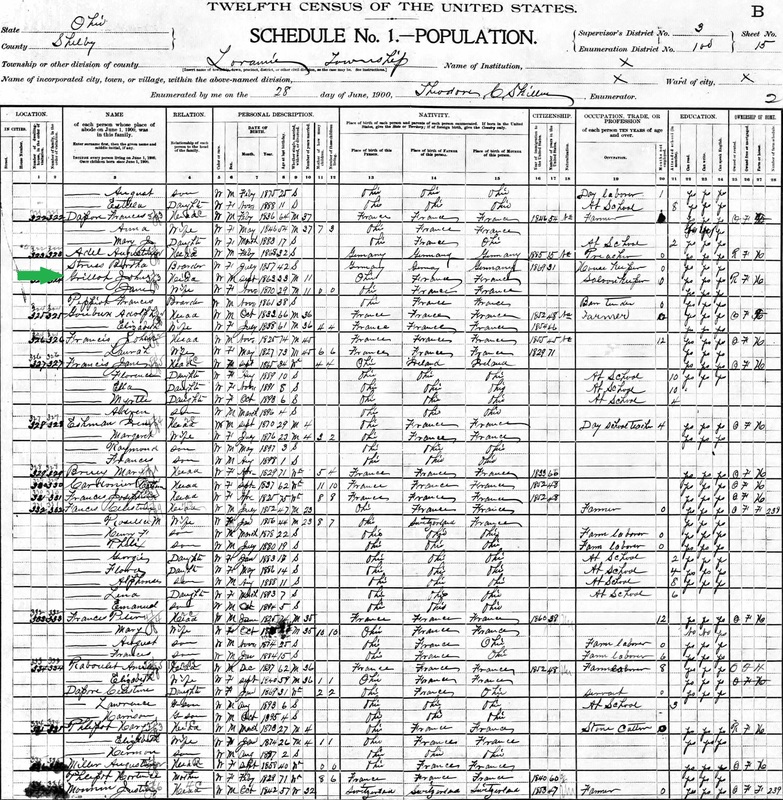 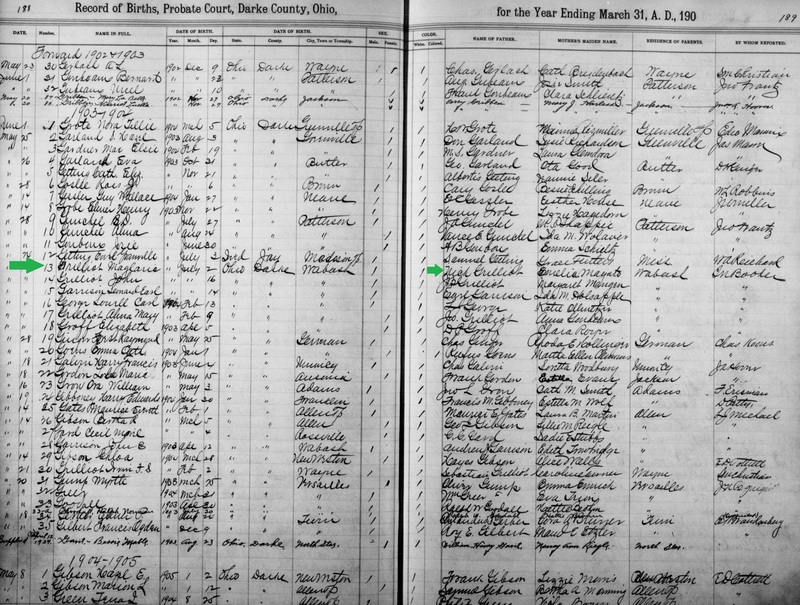 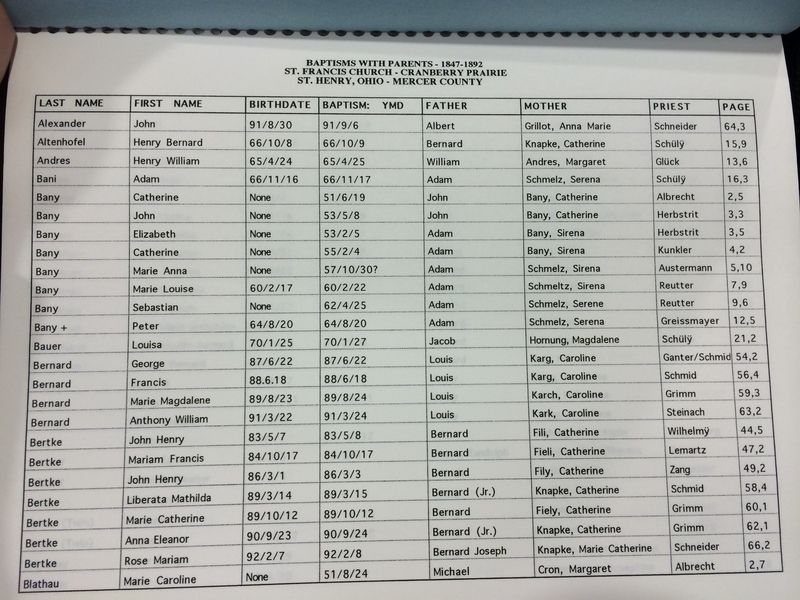 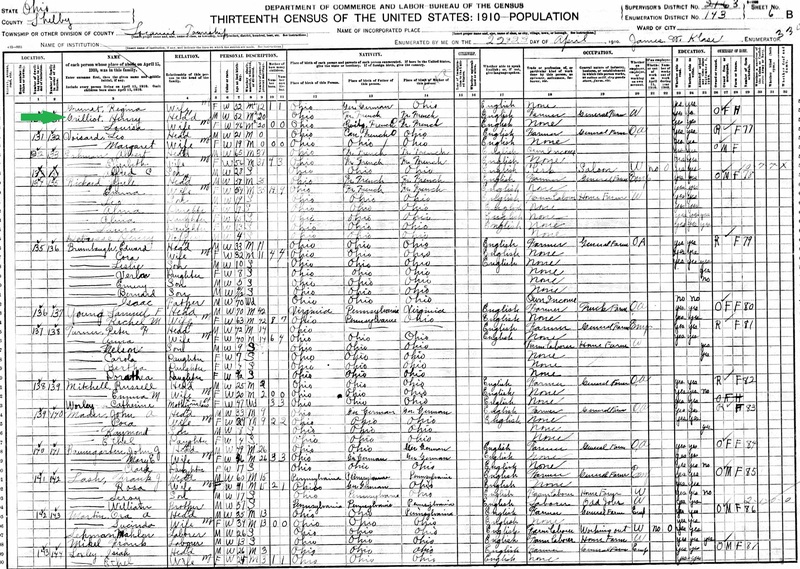 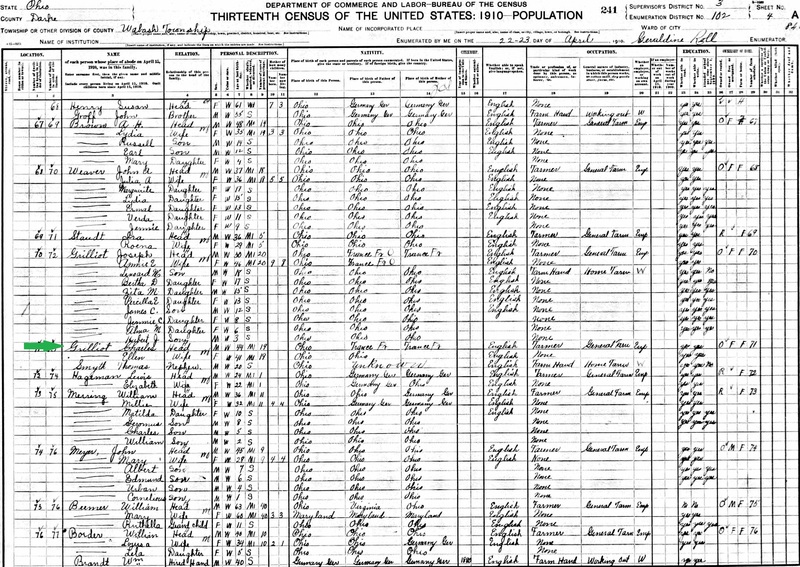 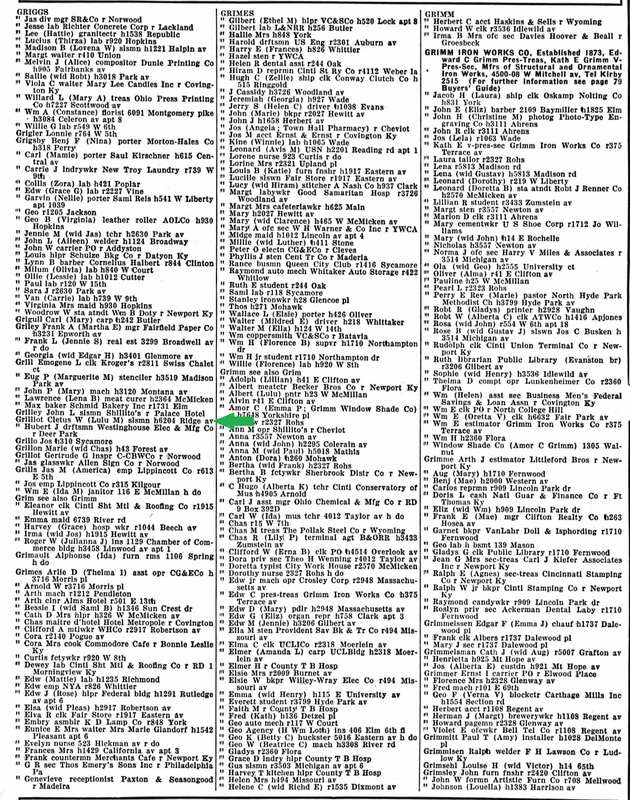 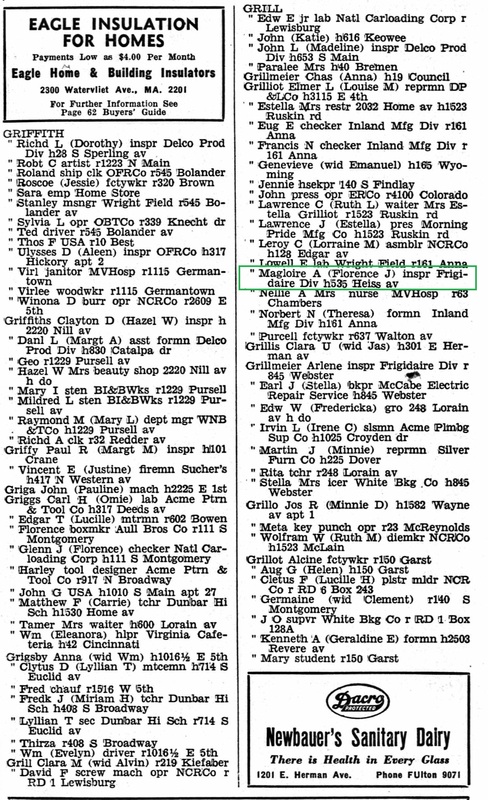 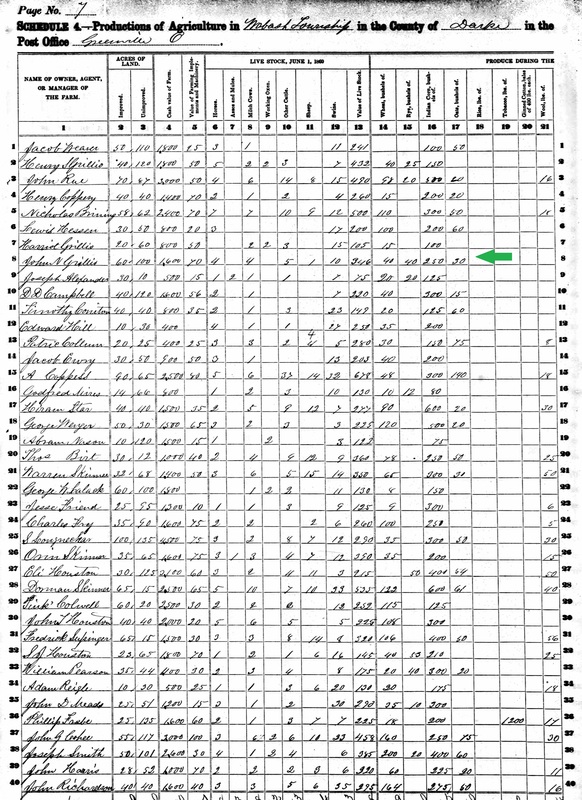 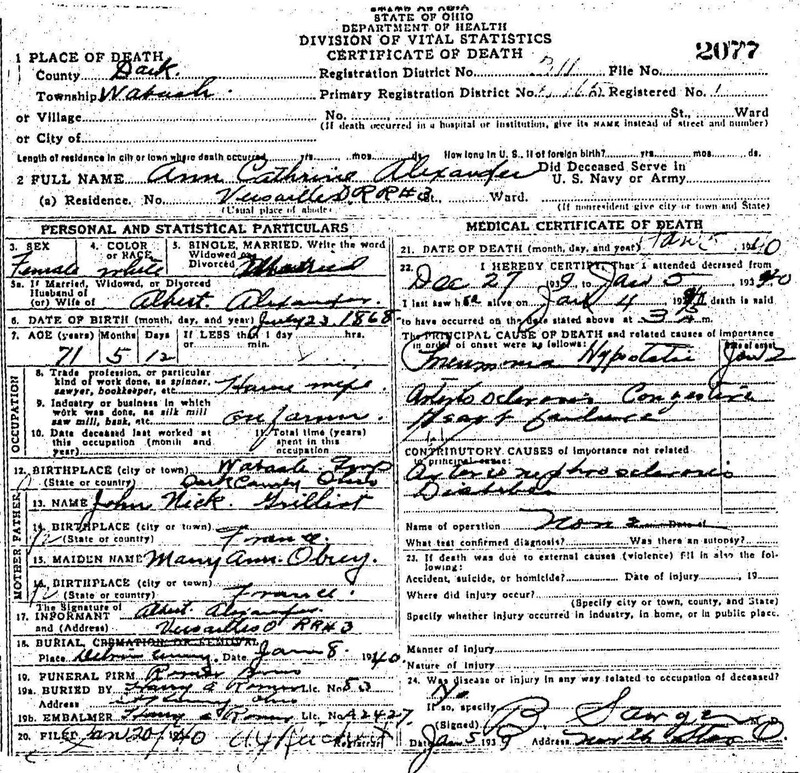 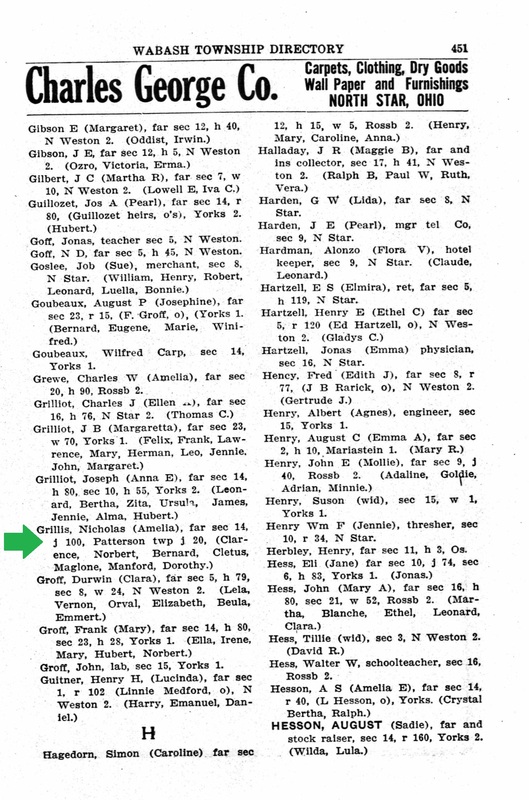 Individual listed in green with a * are direct ancestors of Naomi Grilliot. 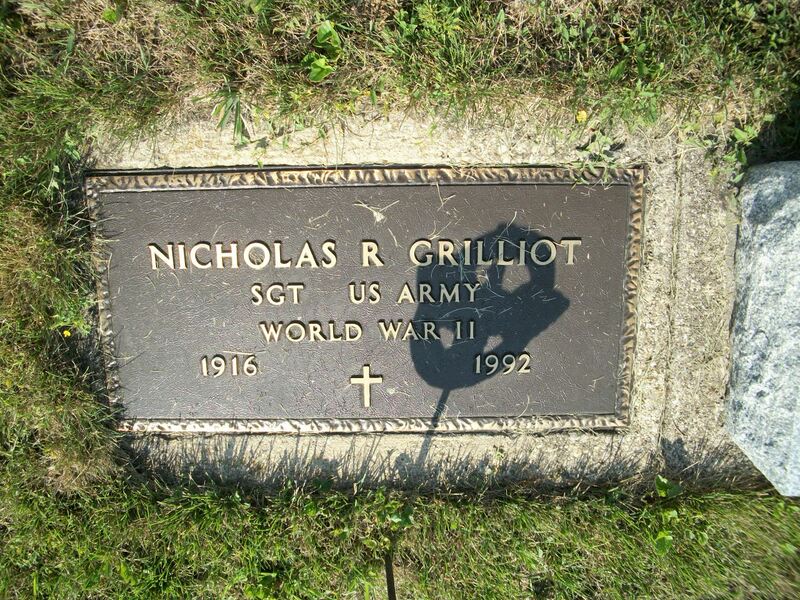 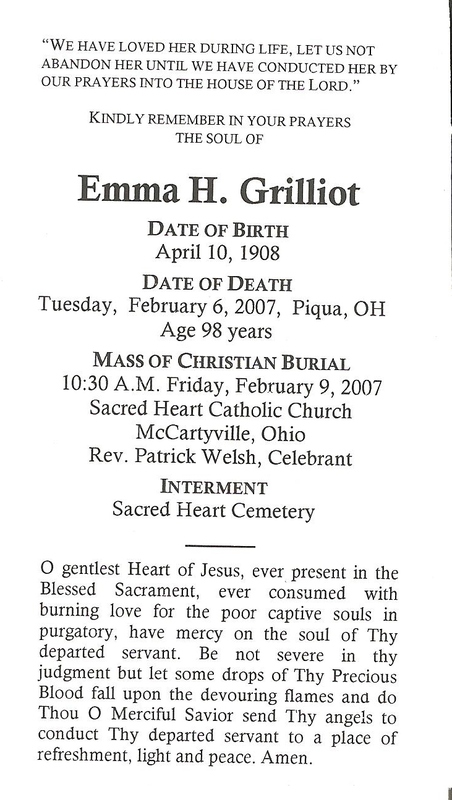 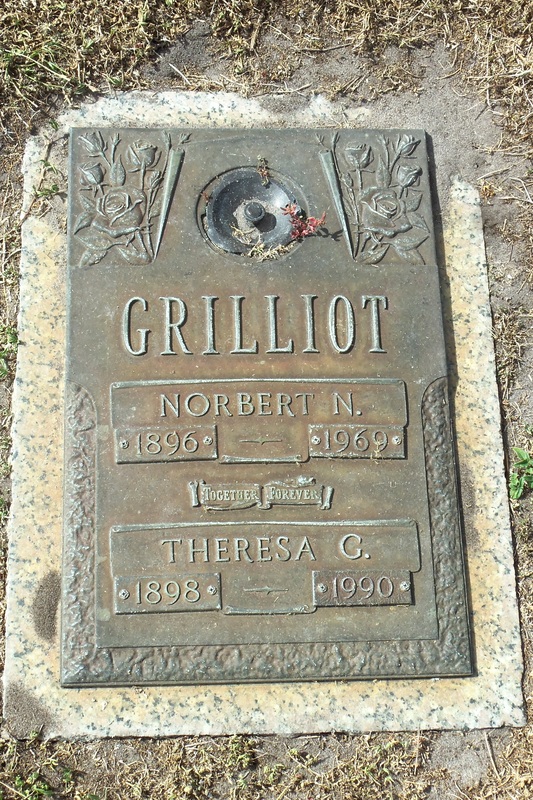 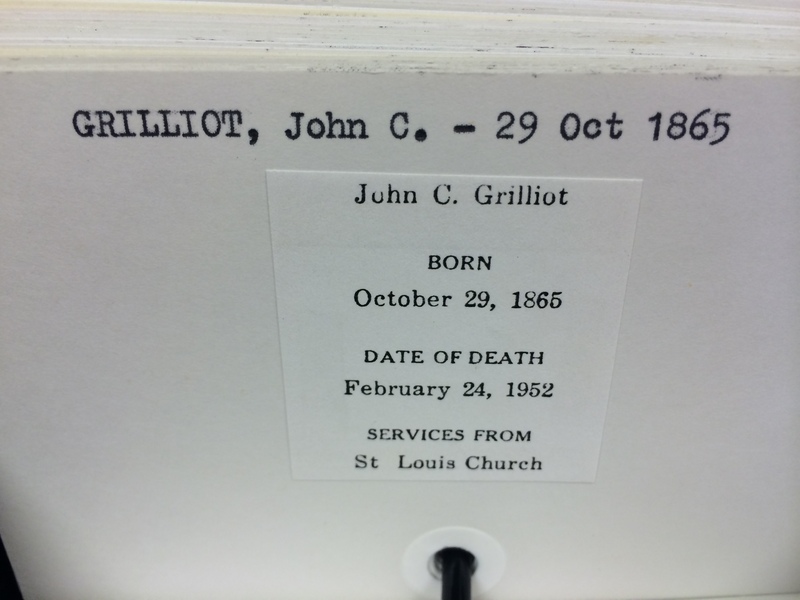 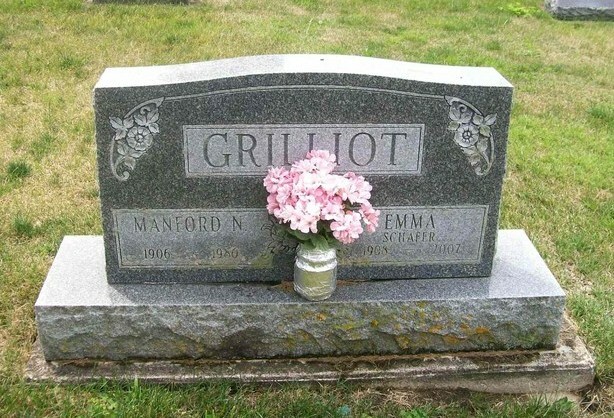 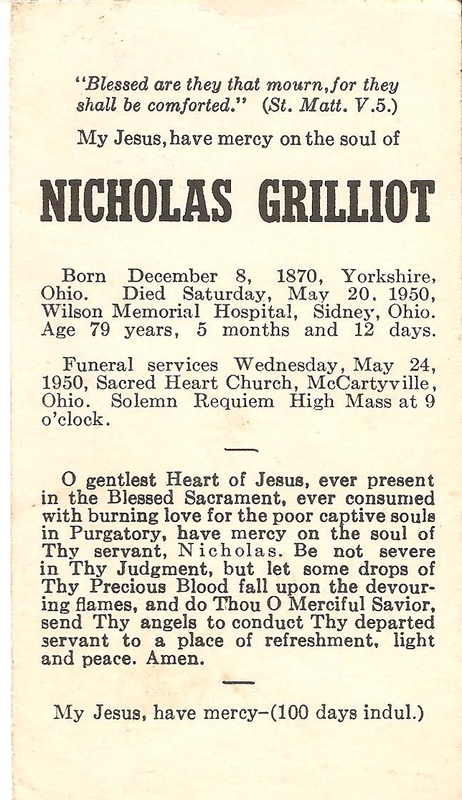 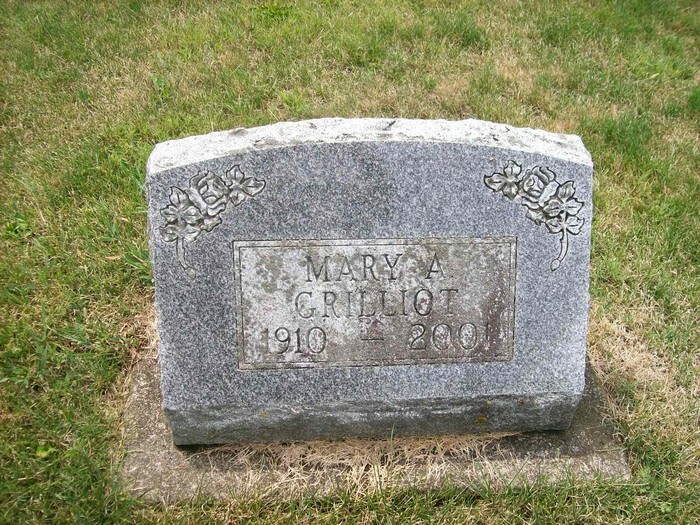 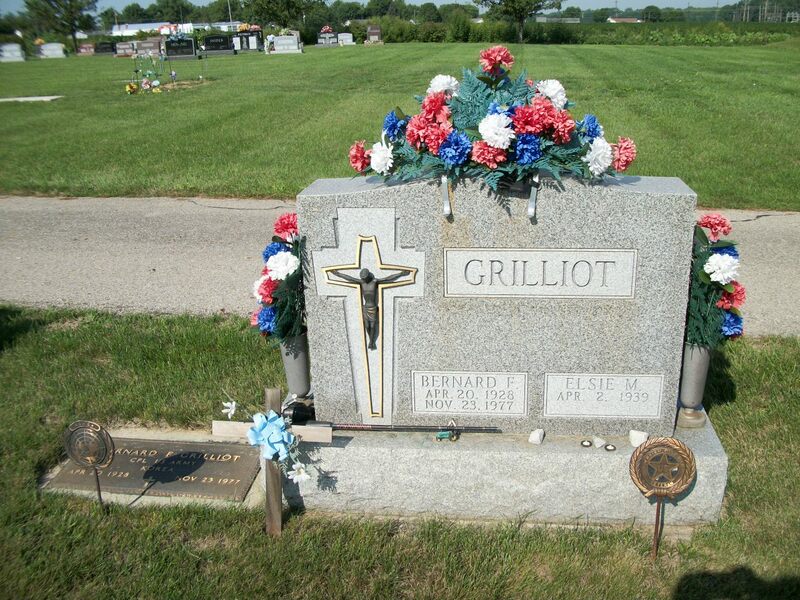 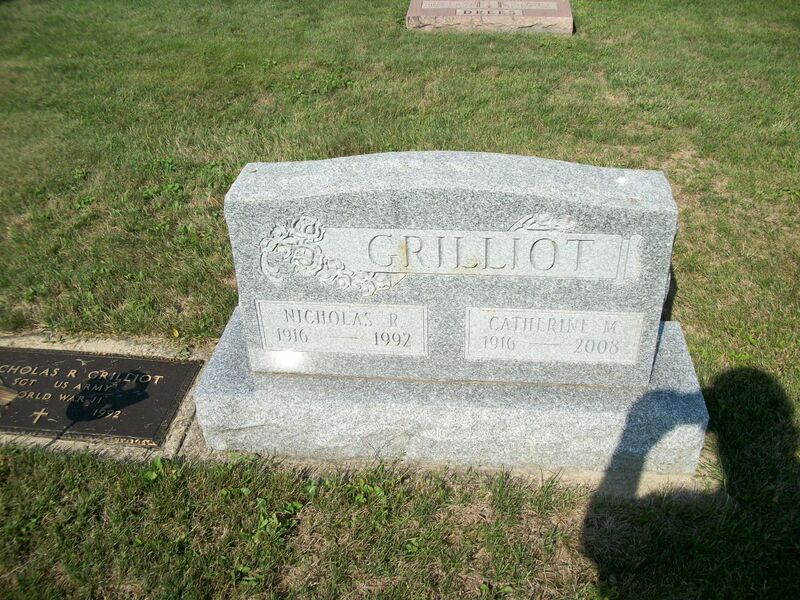 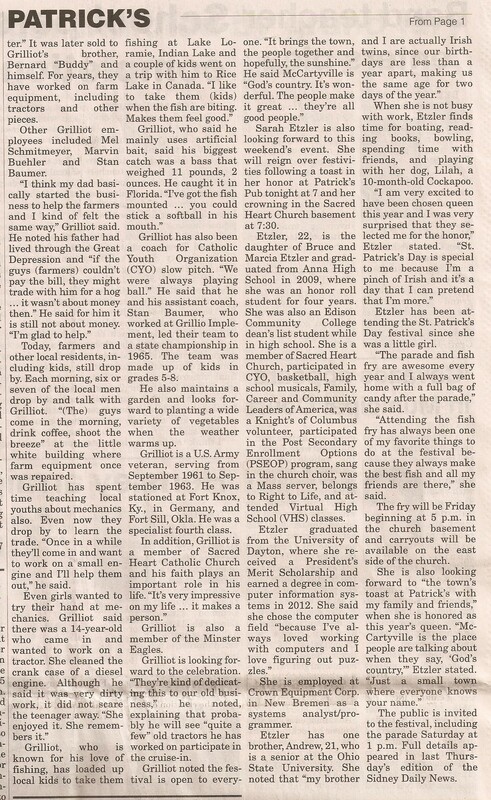 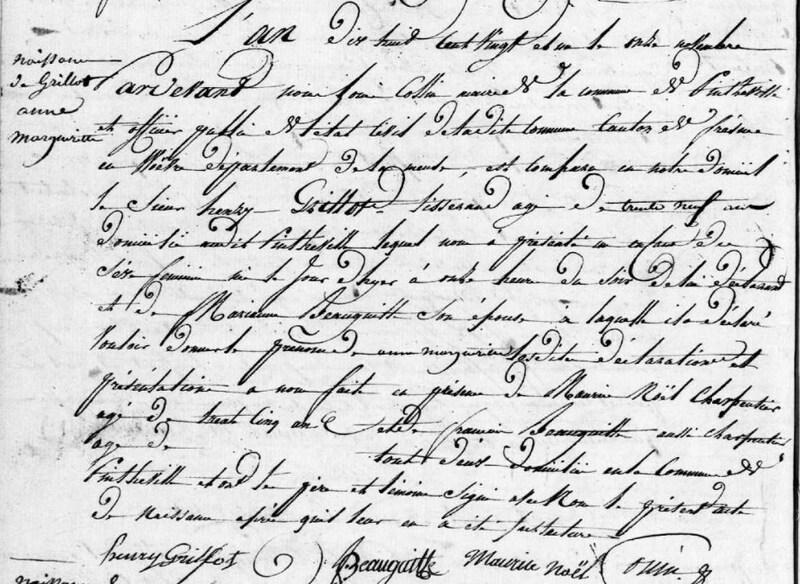 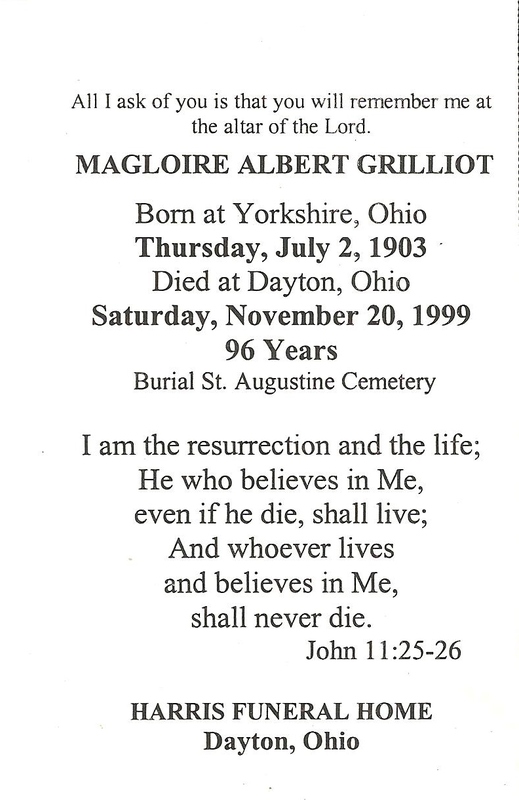 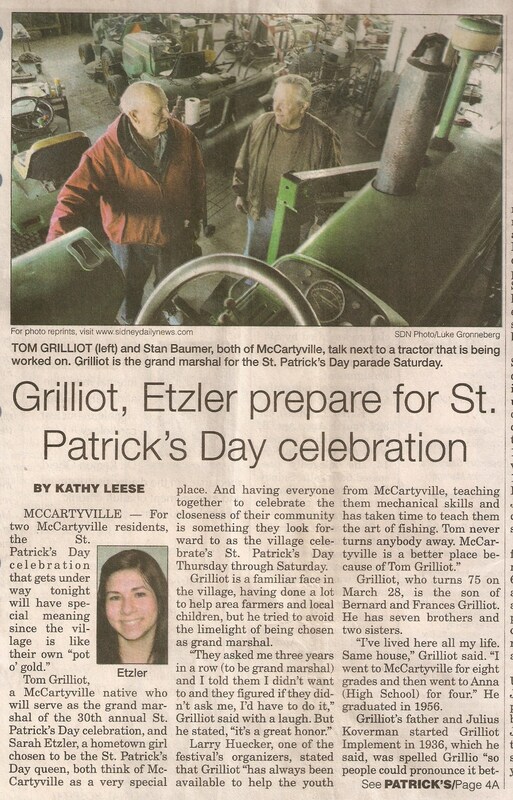 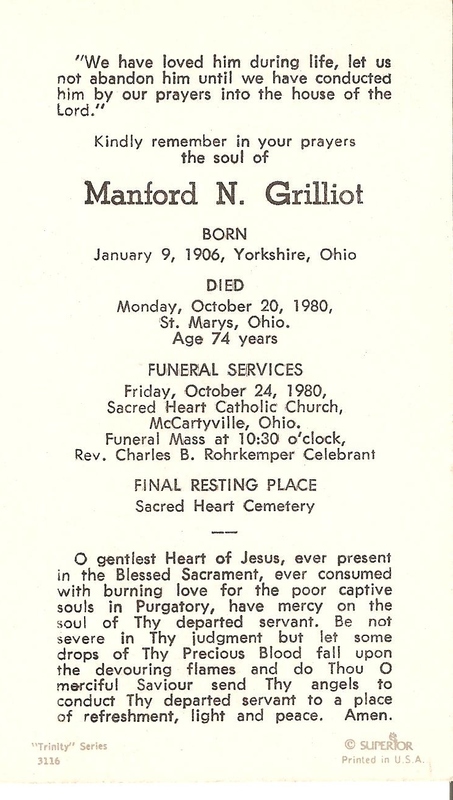 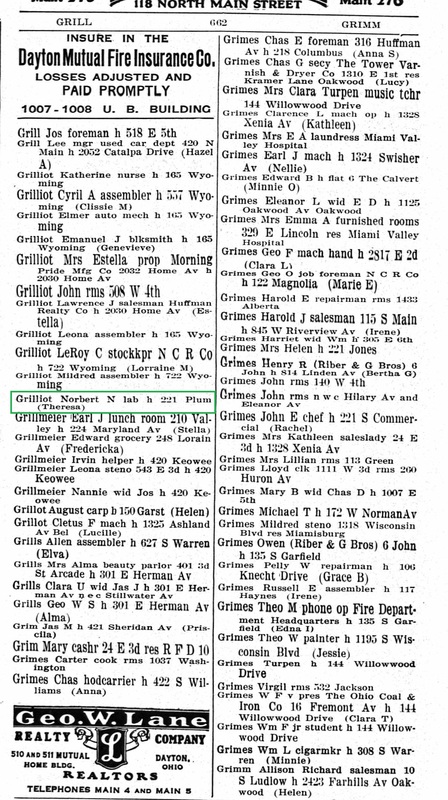 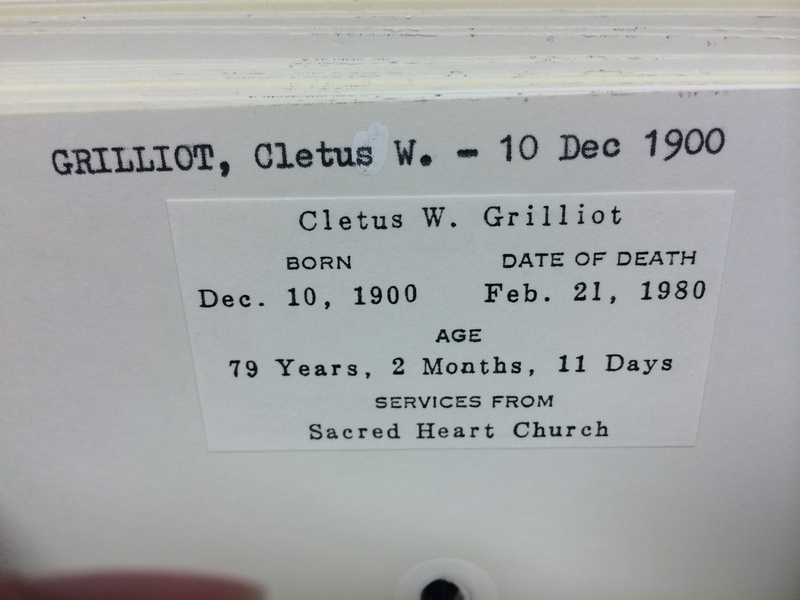 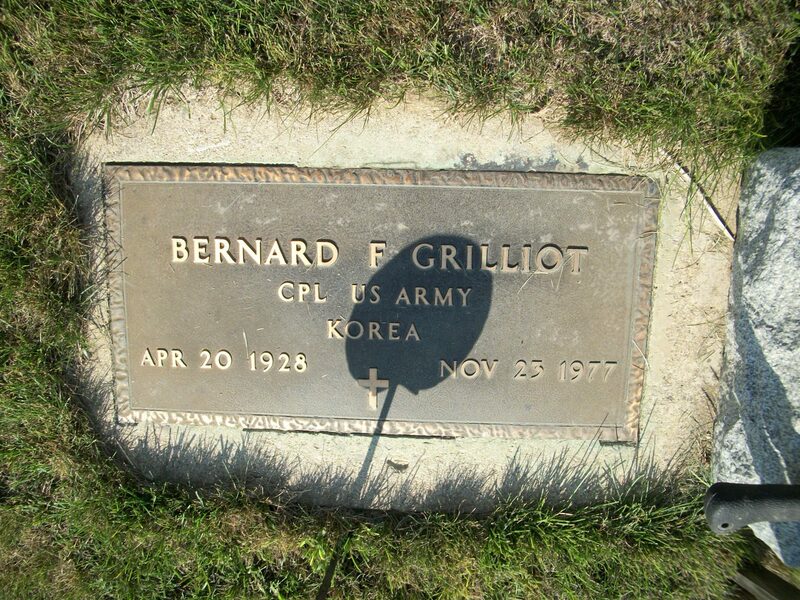 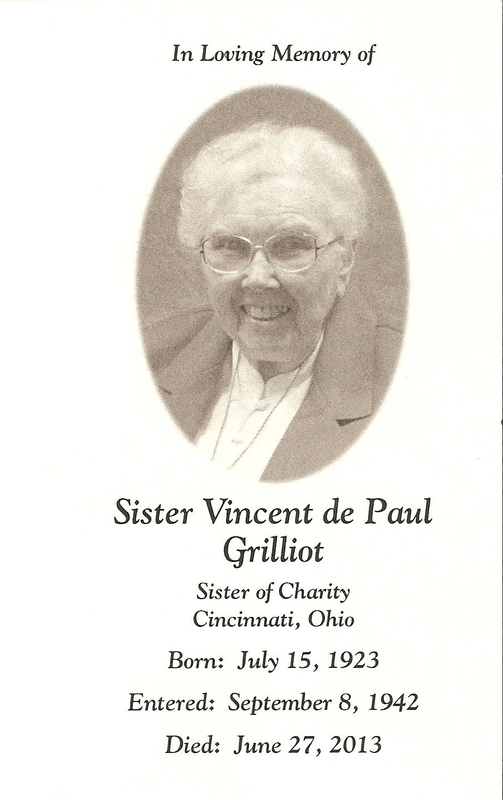 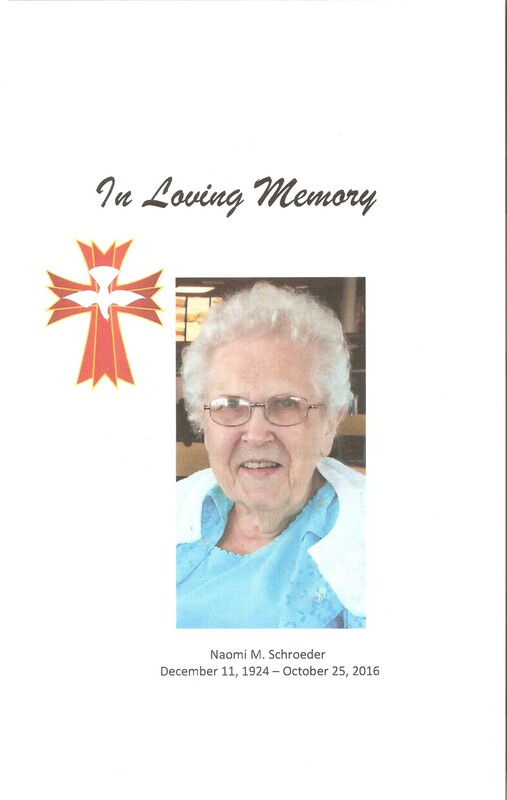 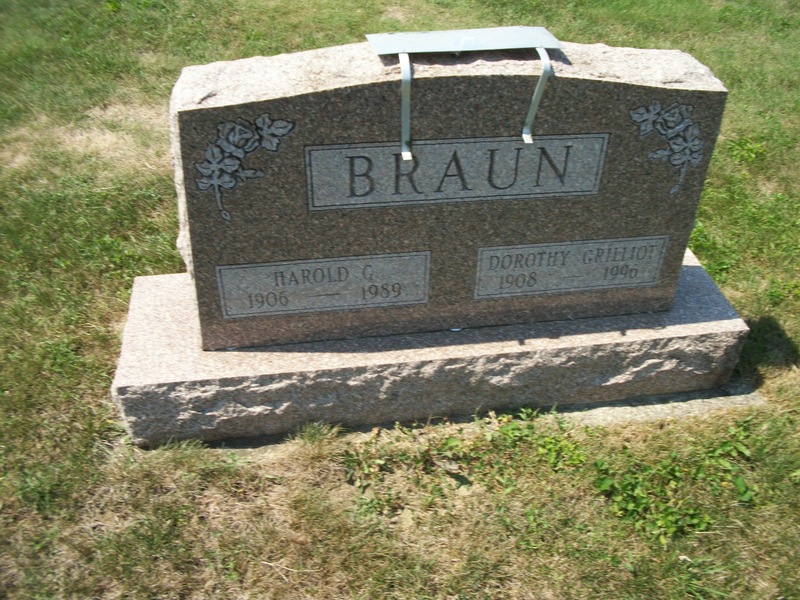 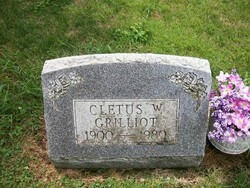 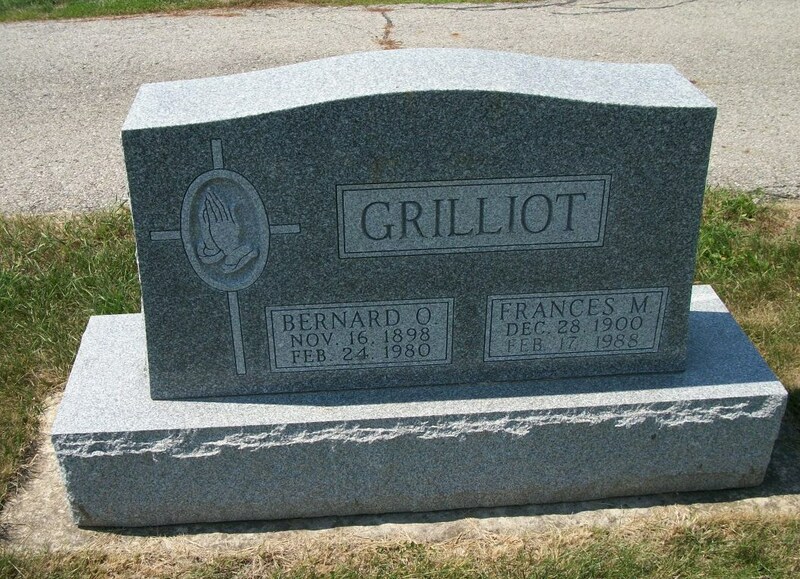 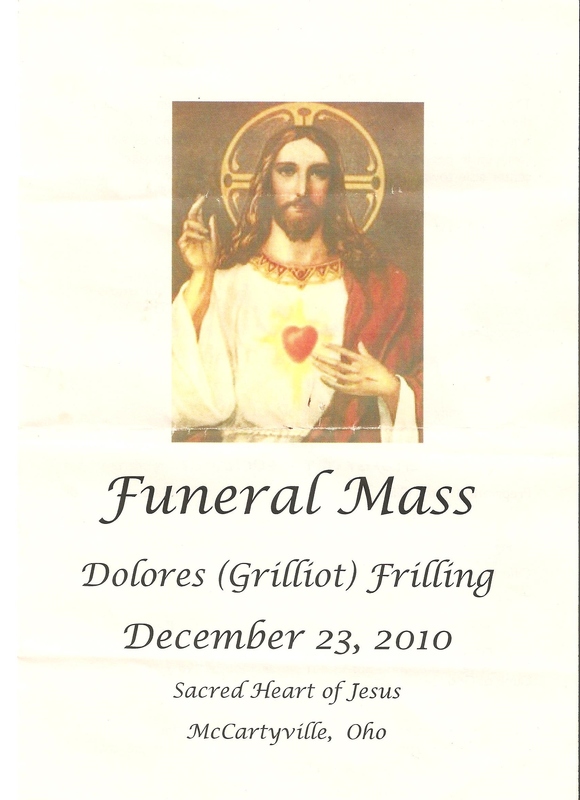 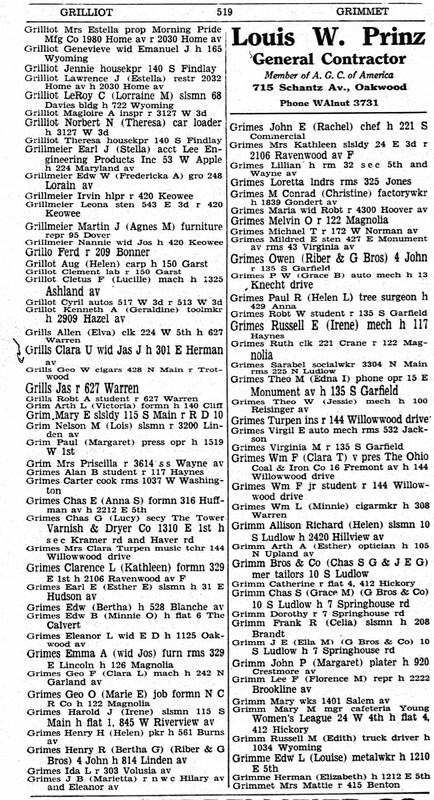 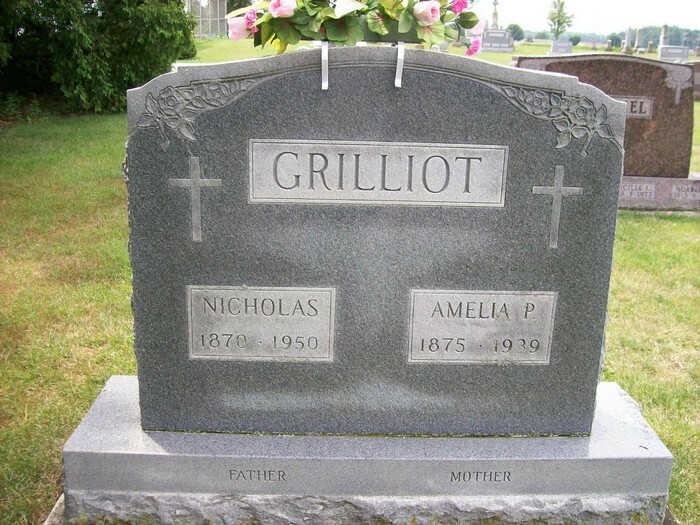 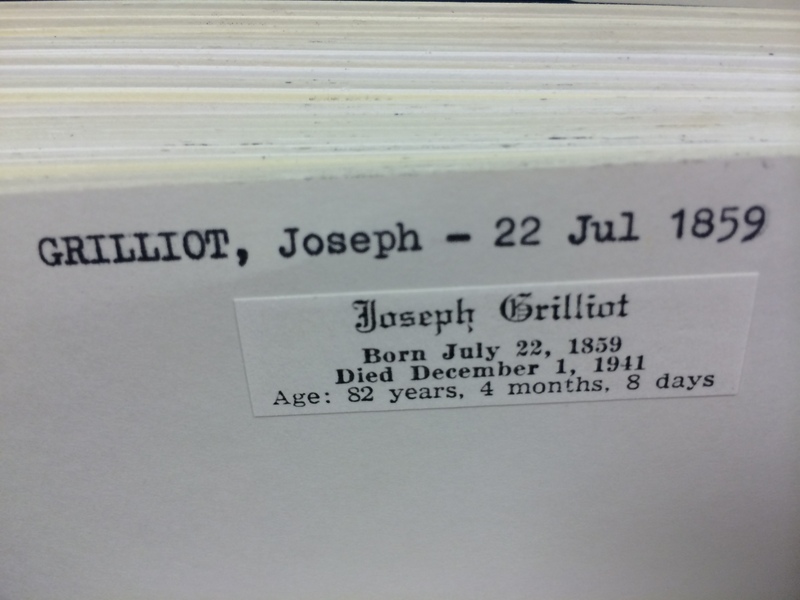 "Some time after coming to America, an error was made in the spelling of the name Grillot. 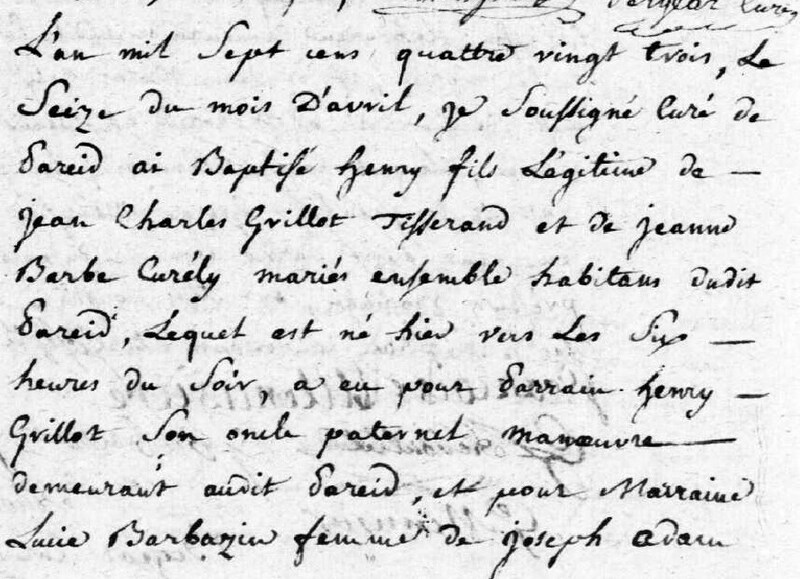 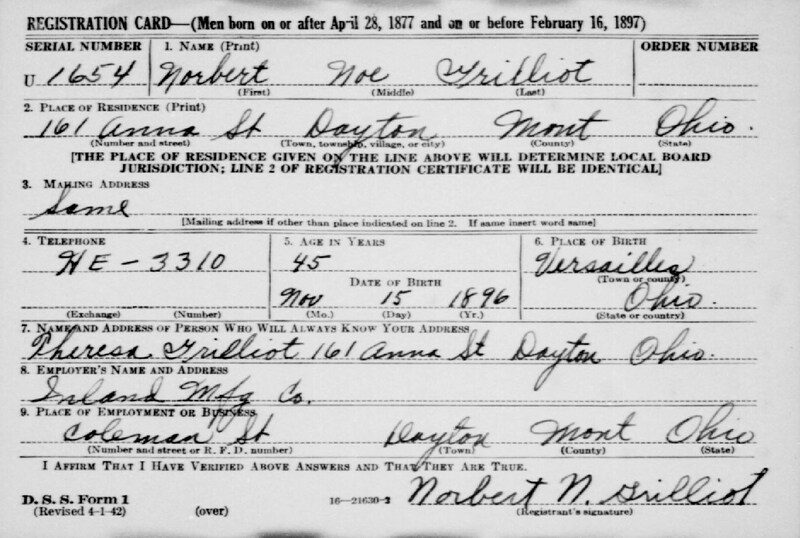 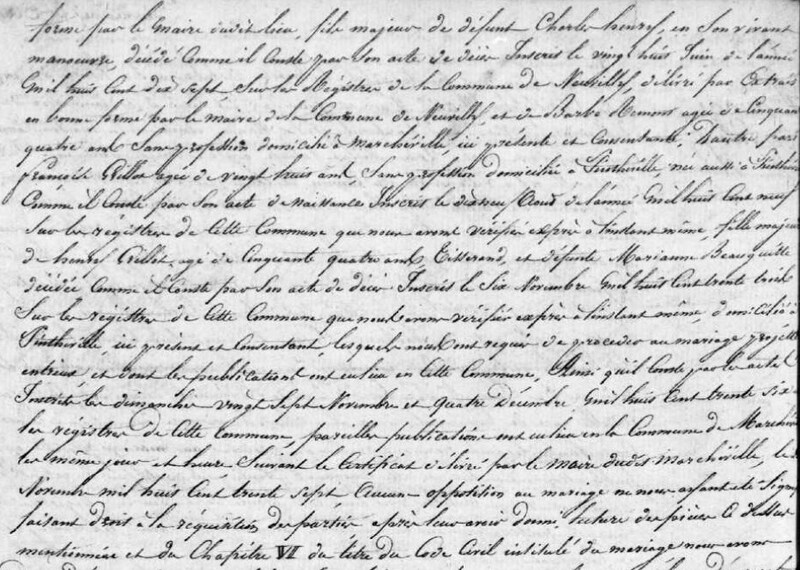 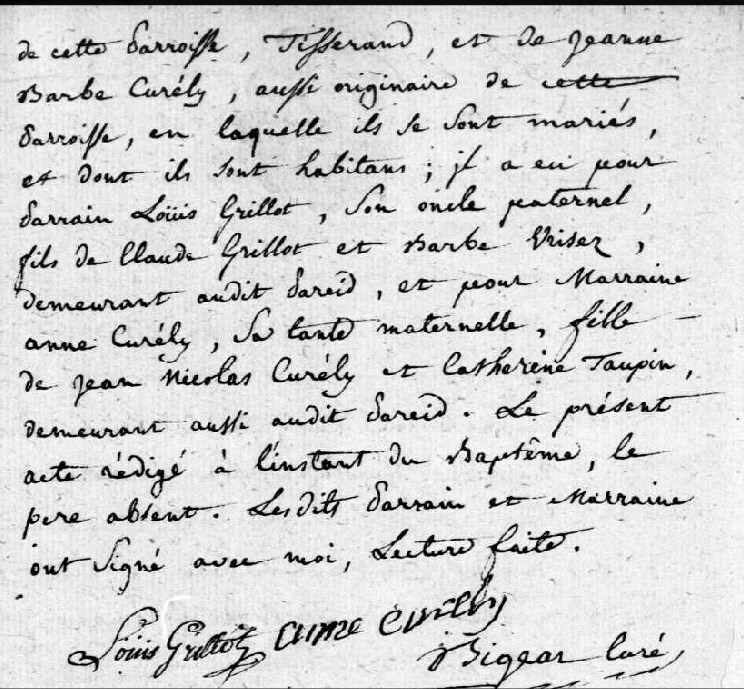 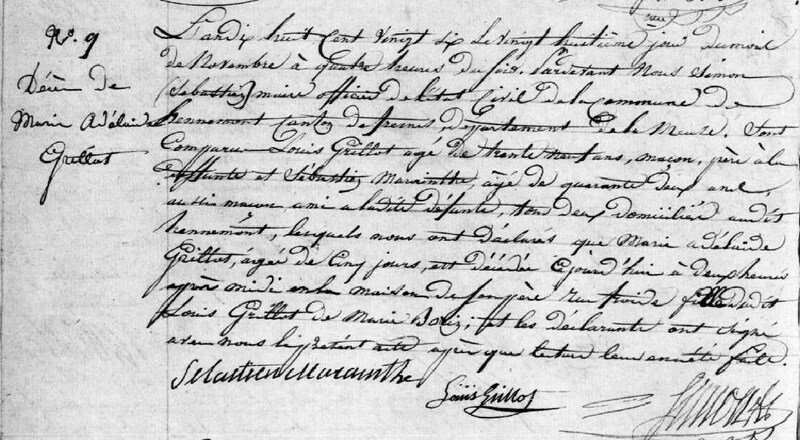 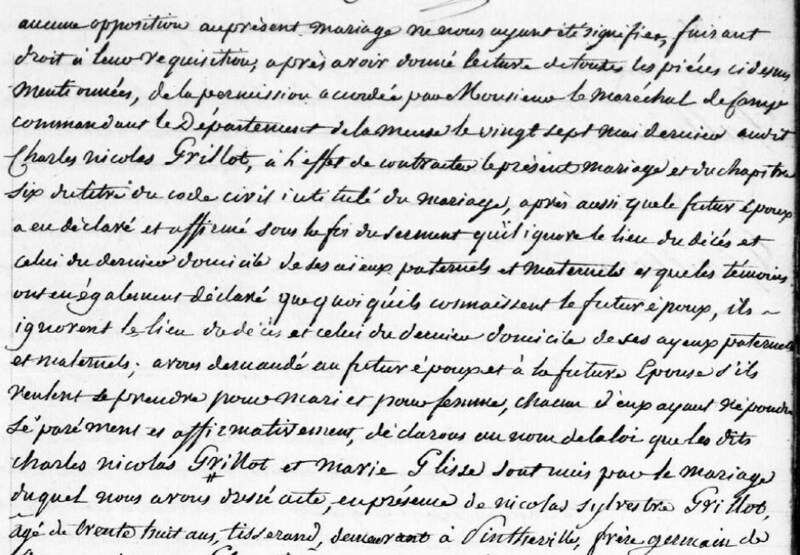 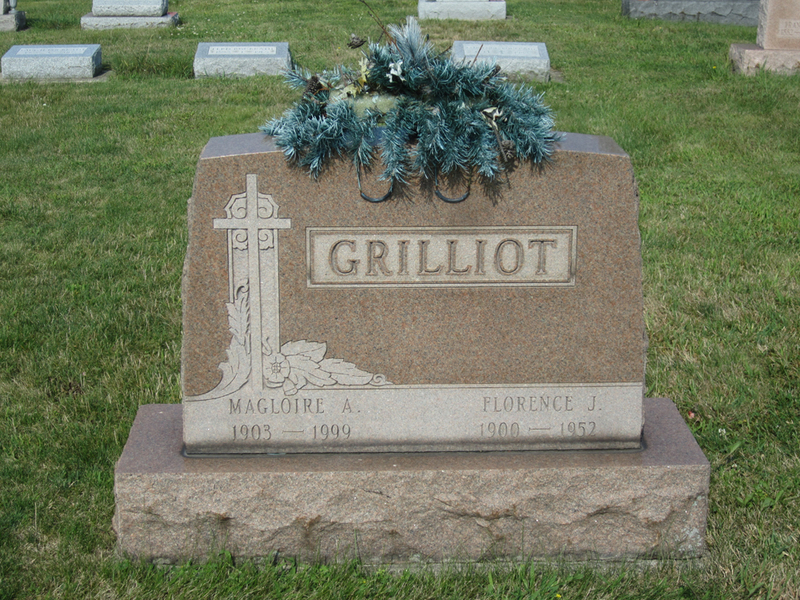 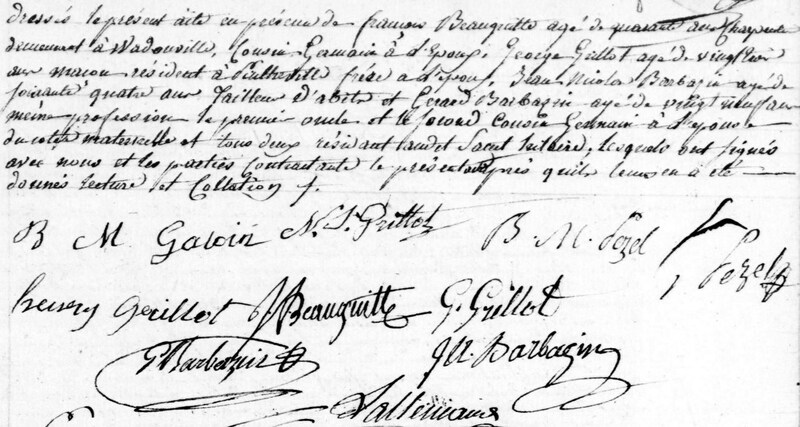 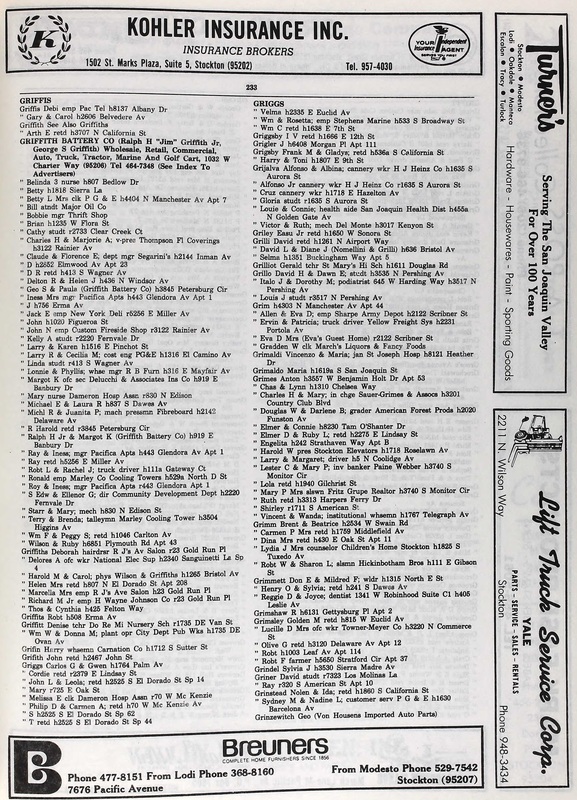 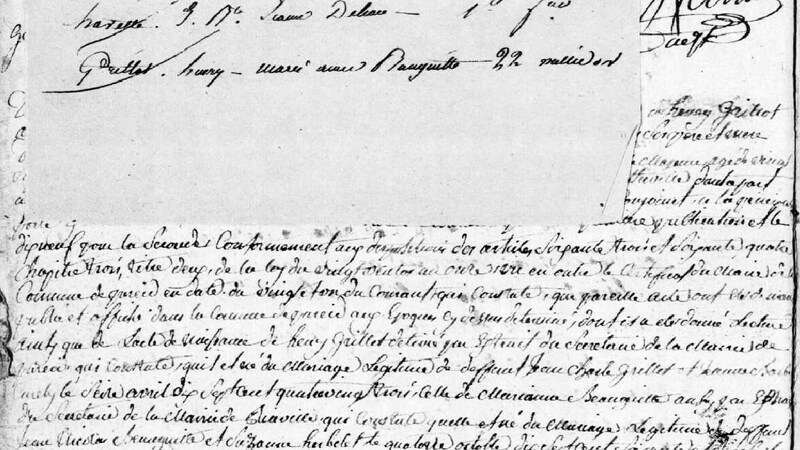 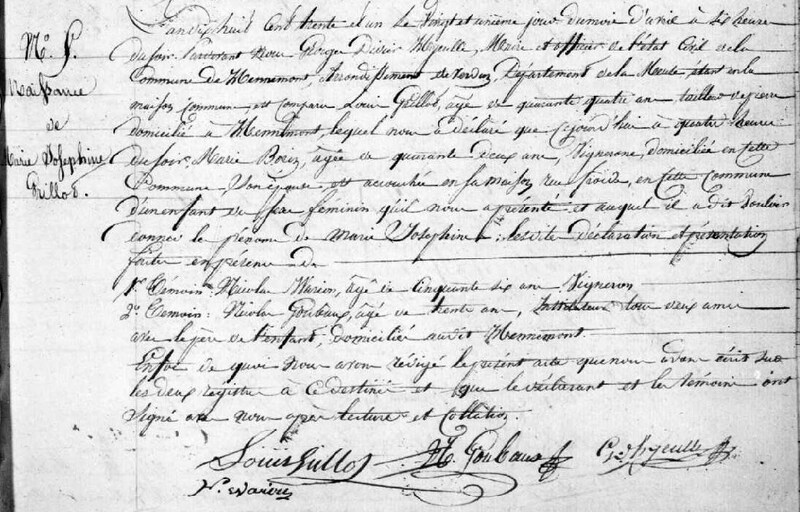 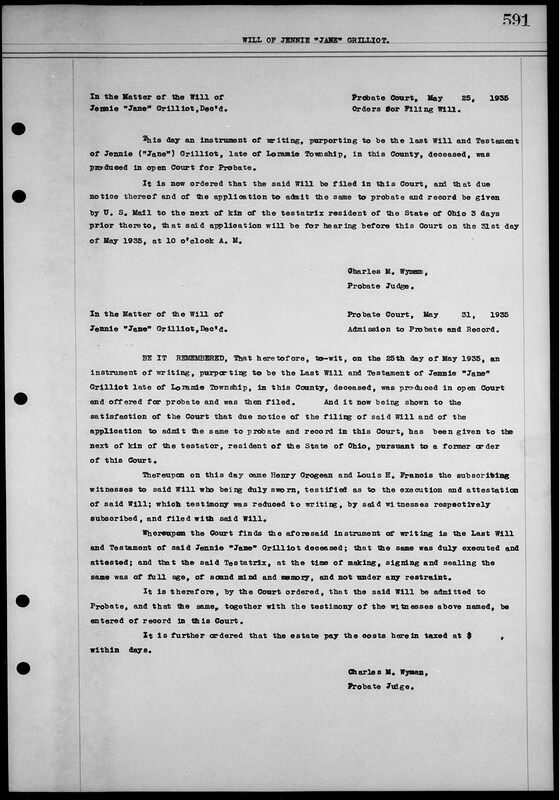 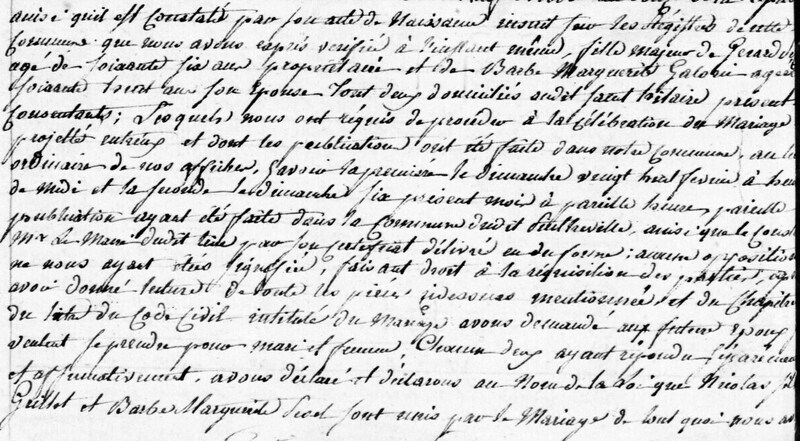 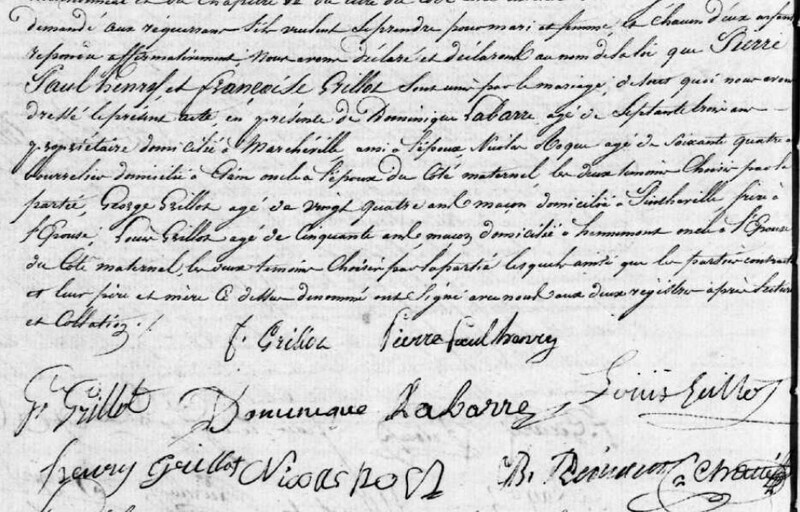 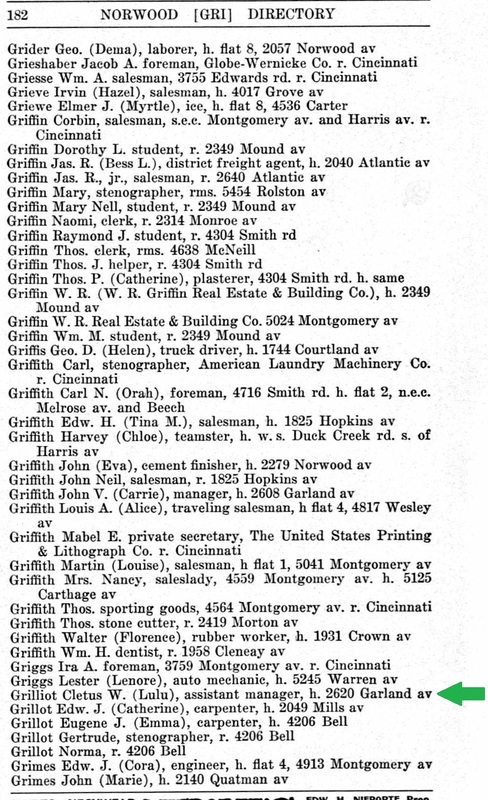 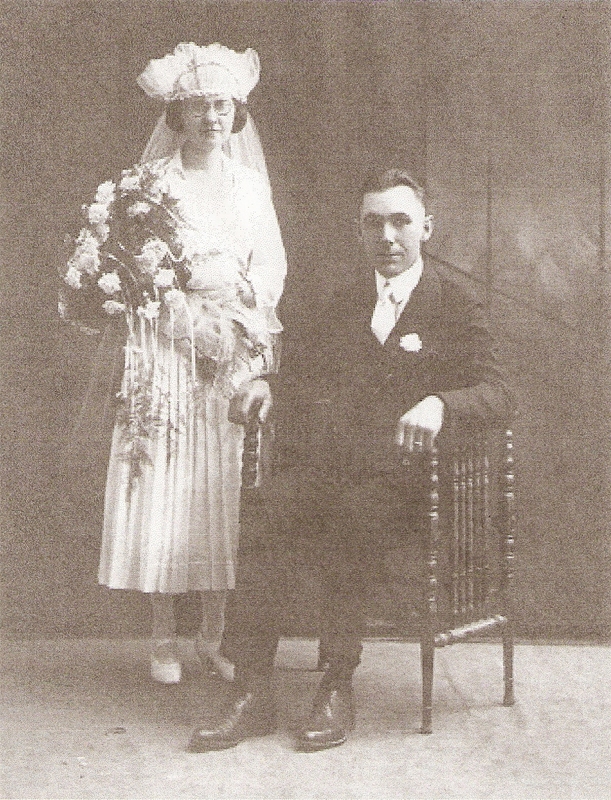 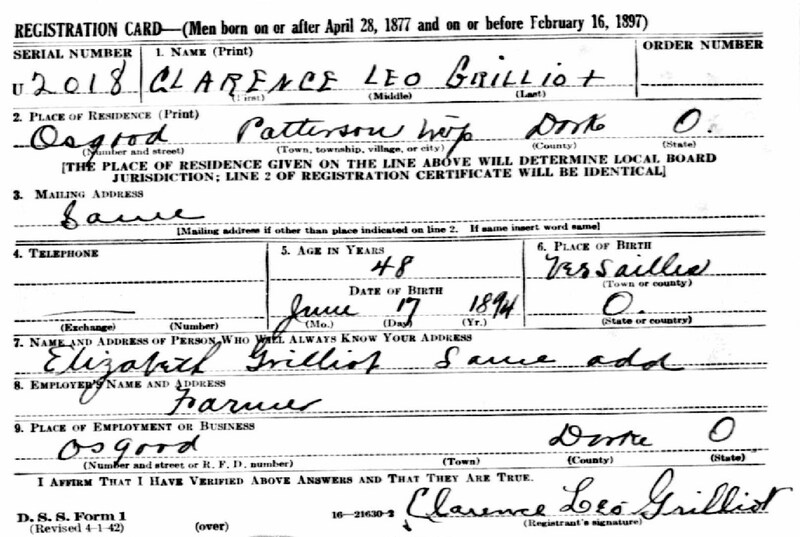 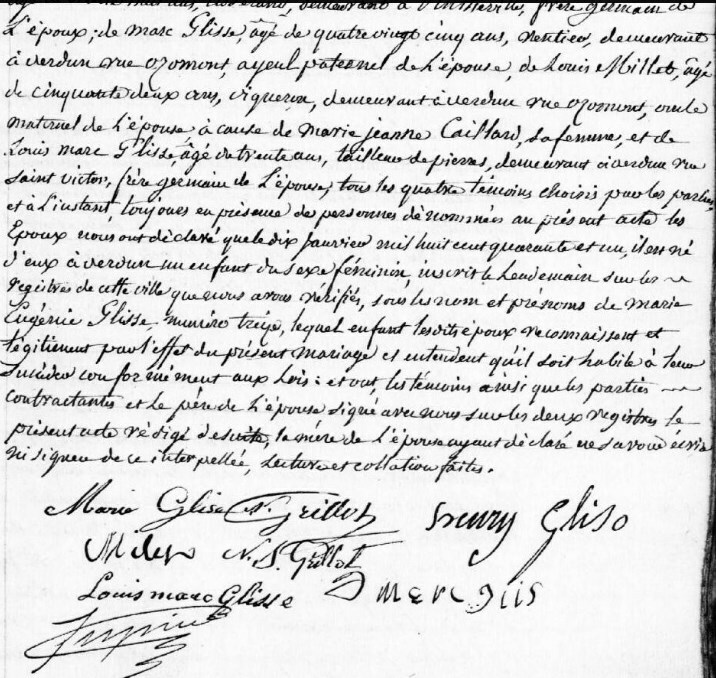 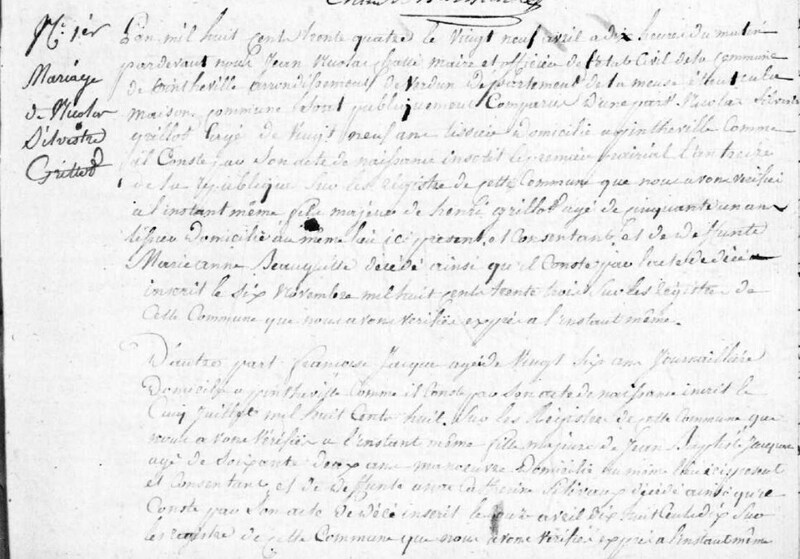 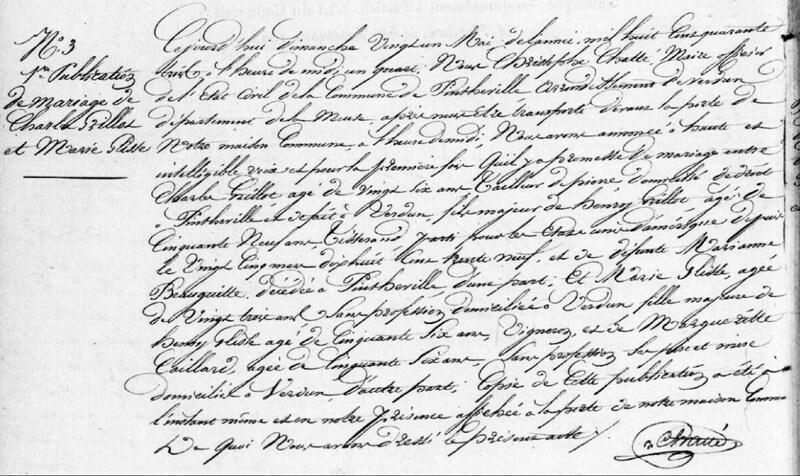 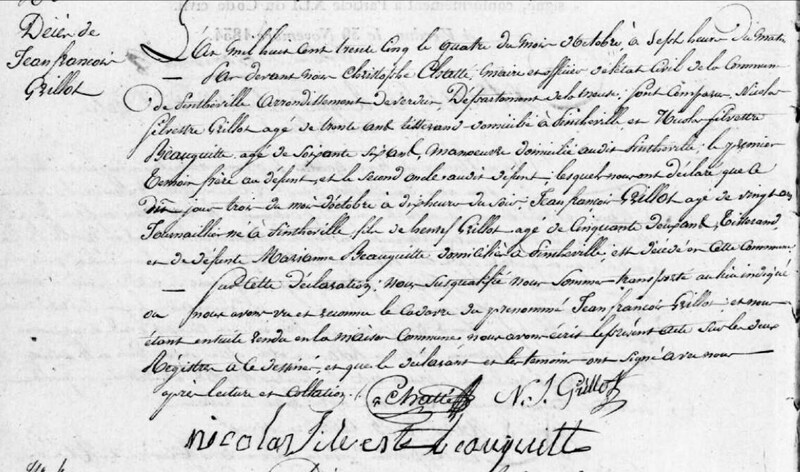 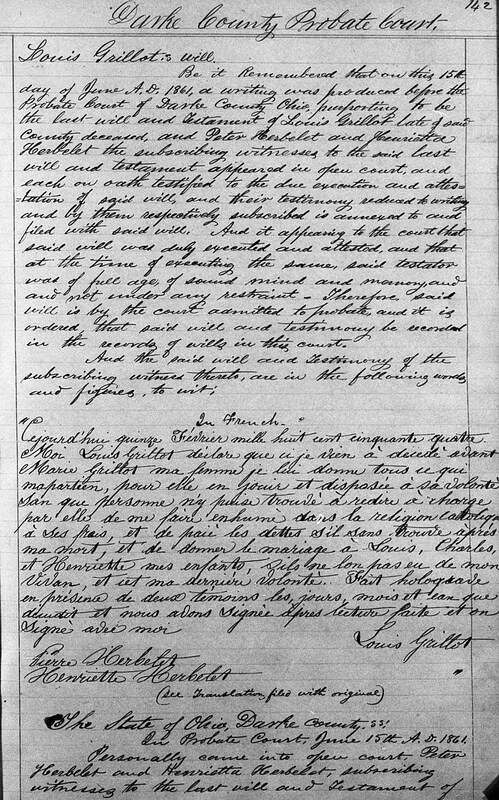 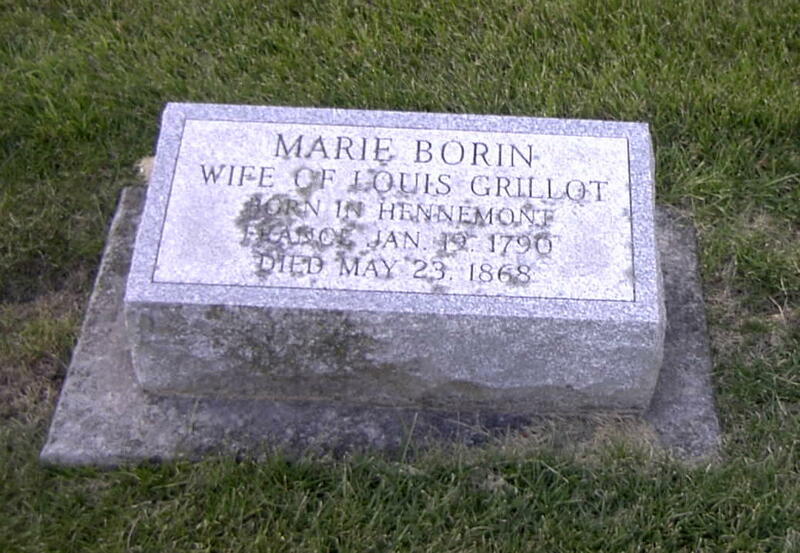 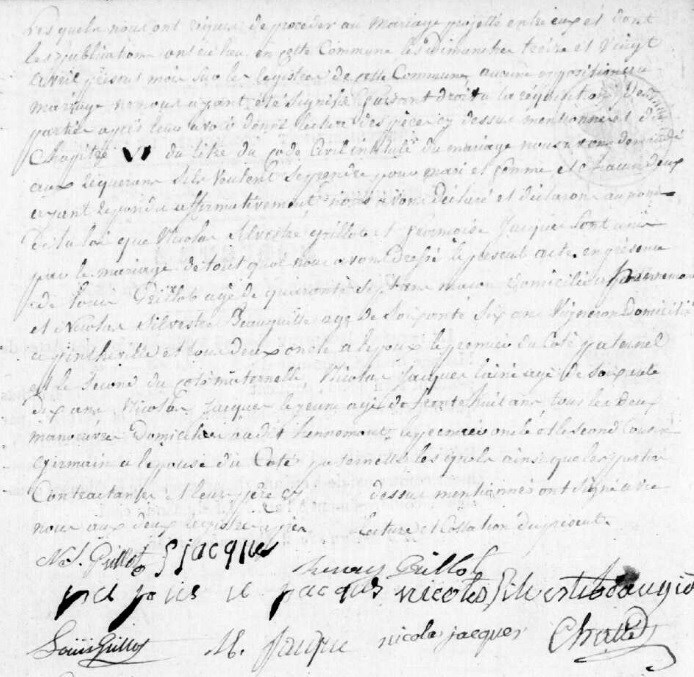 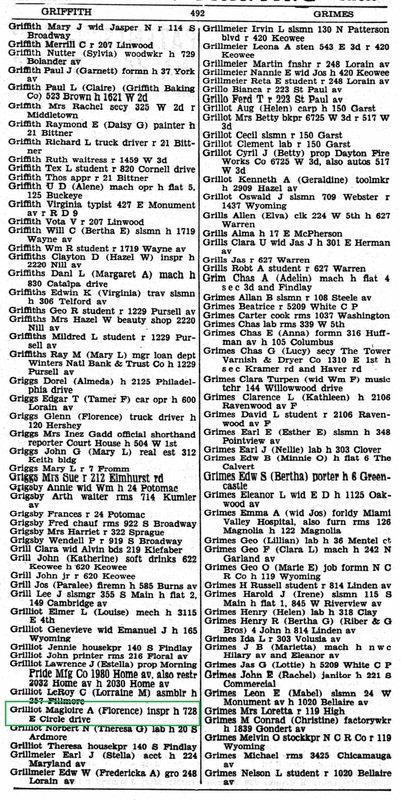 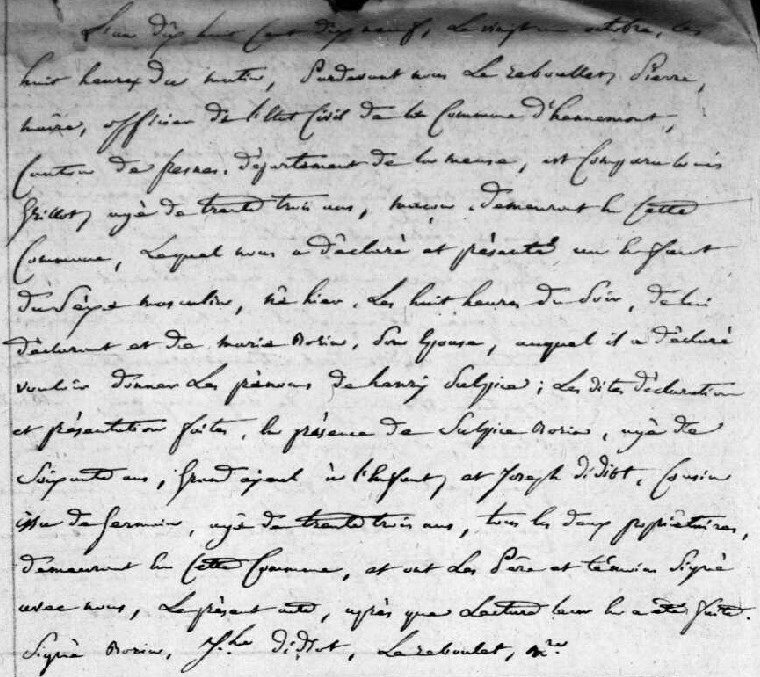 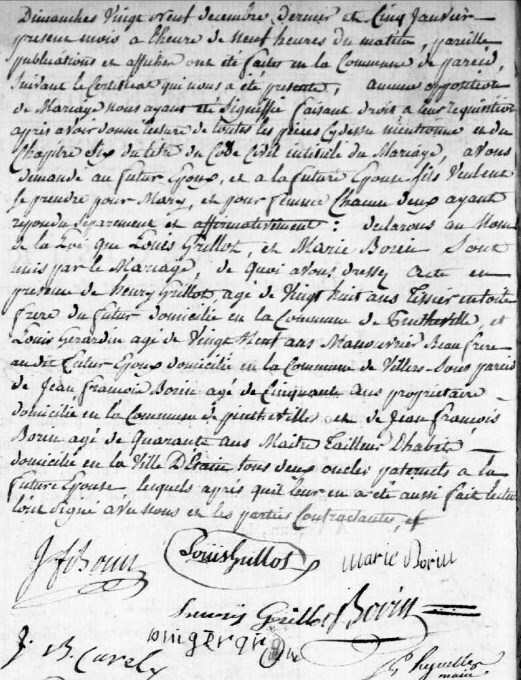 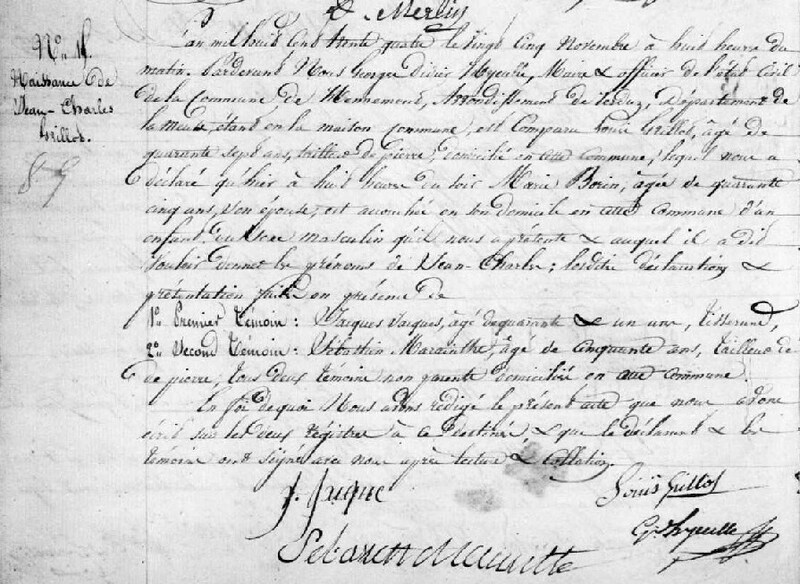 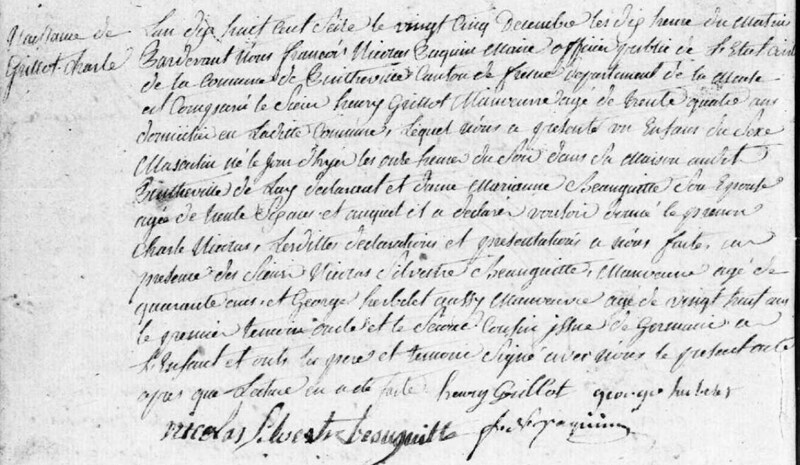 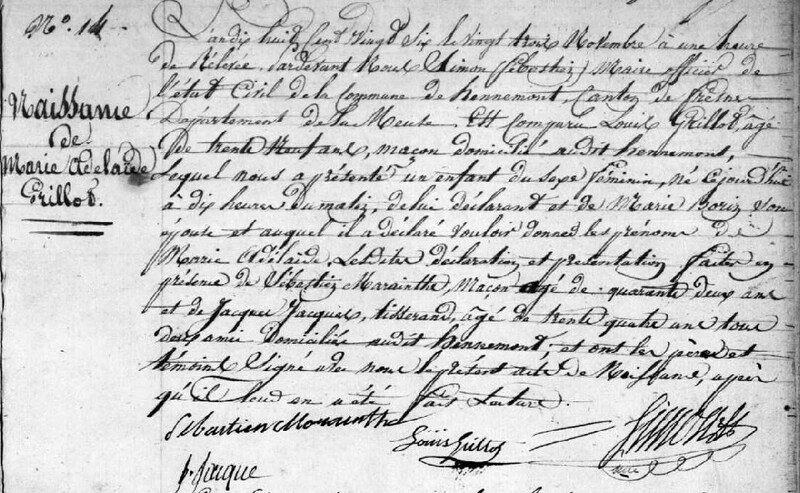 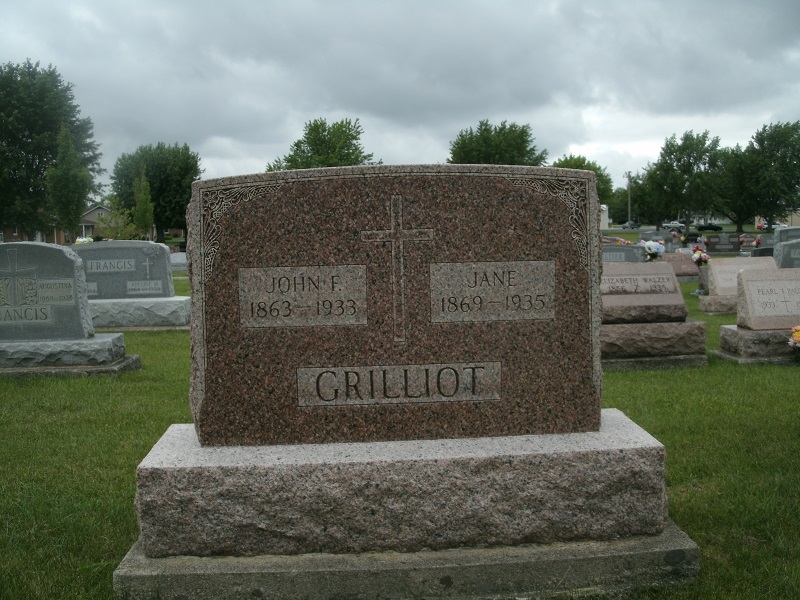 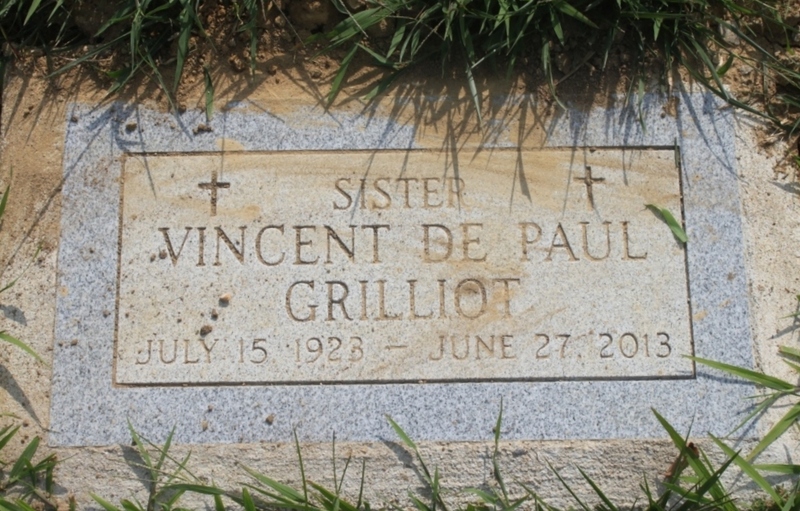 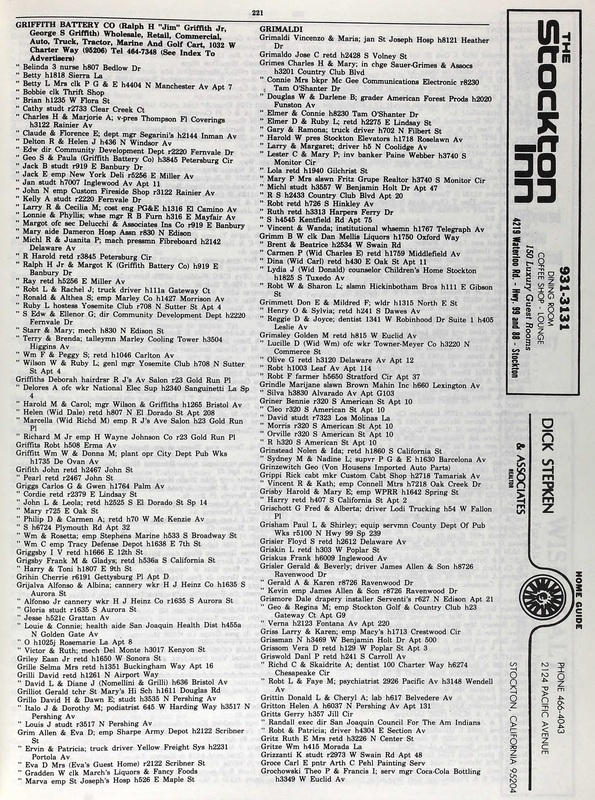 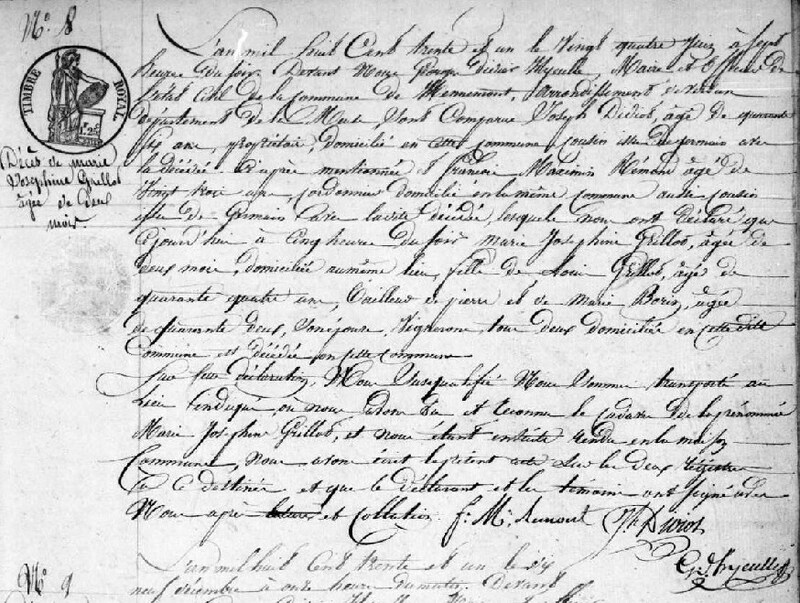 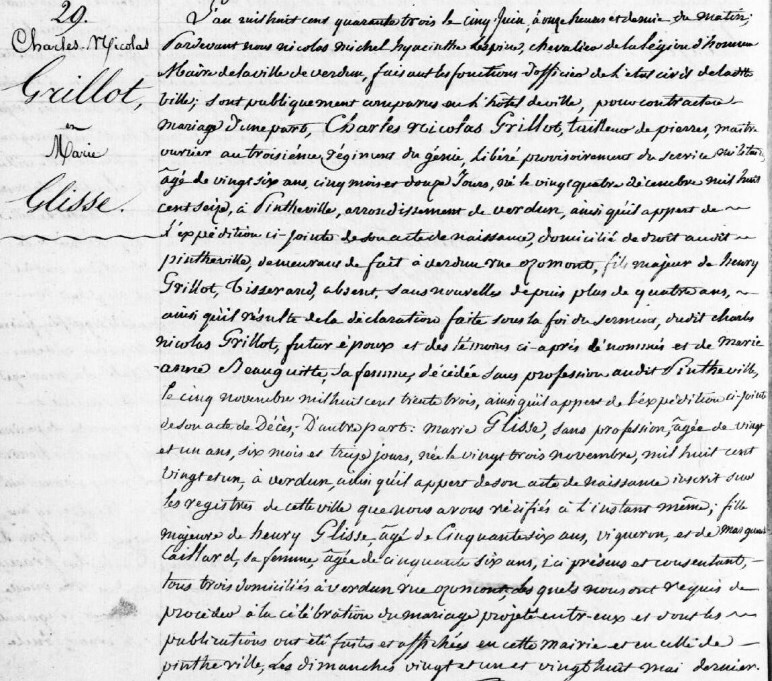 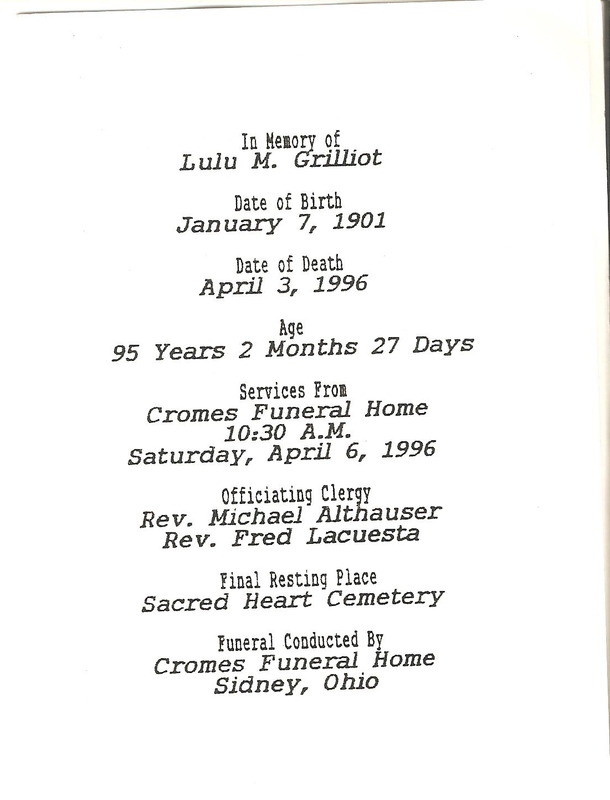 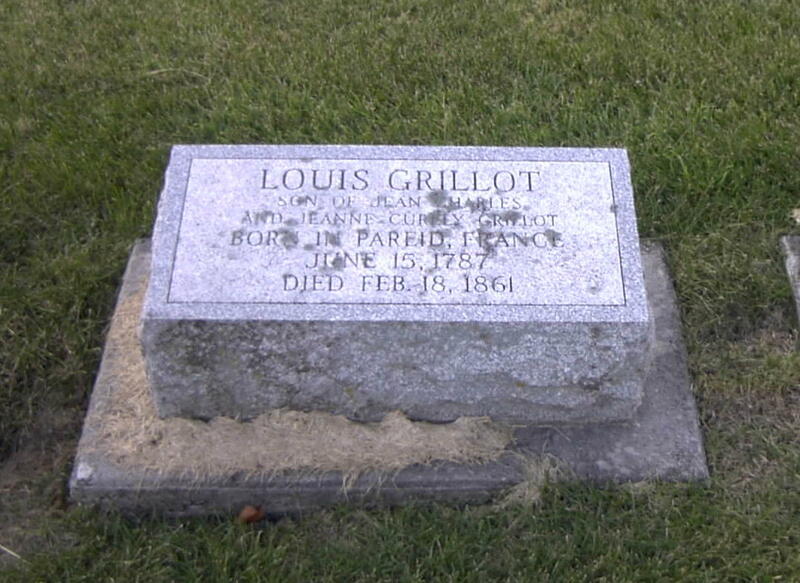 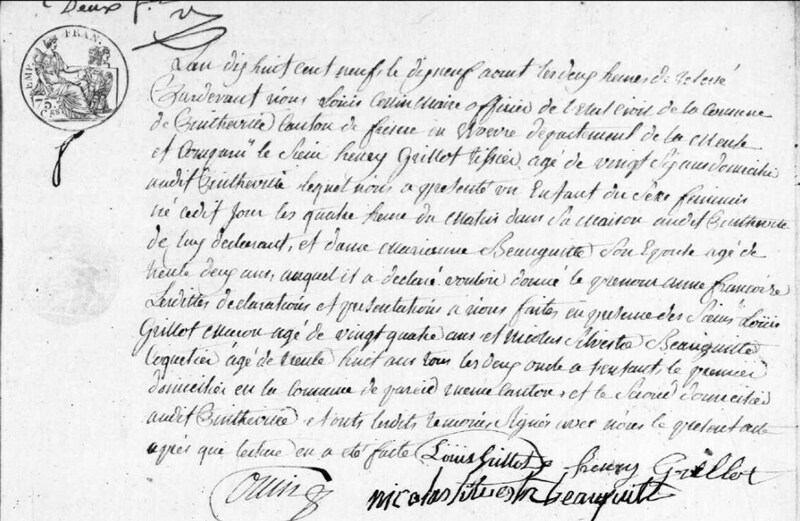 An extra 'i' was added (Grilliot) on some legal documents of Louis Grillot's, and that branch of the family continued spelling it that way. 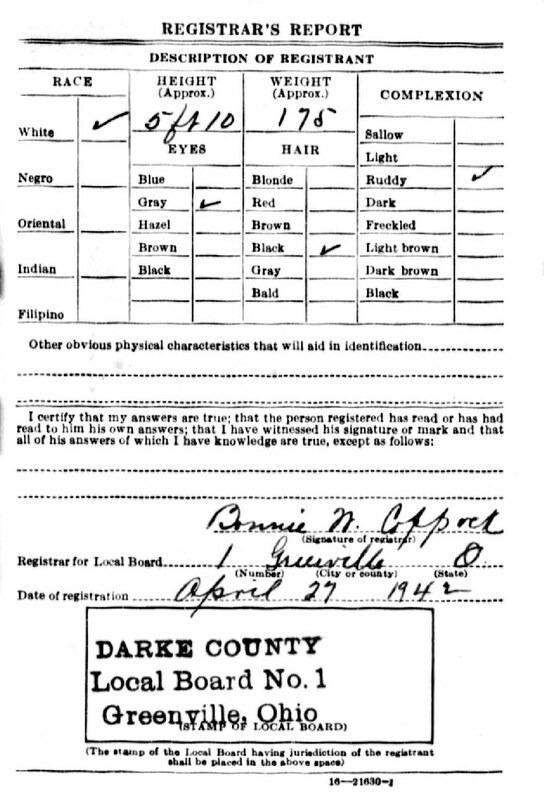 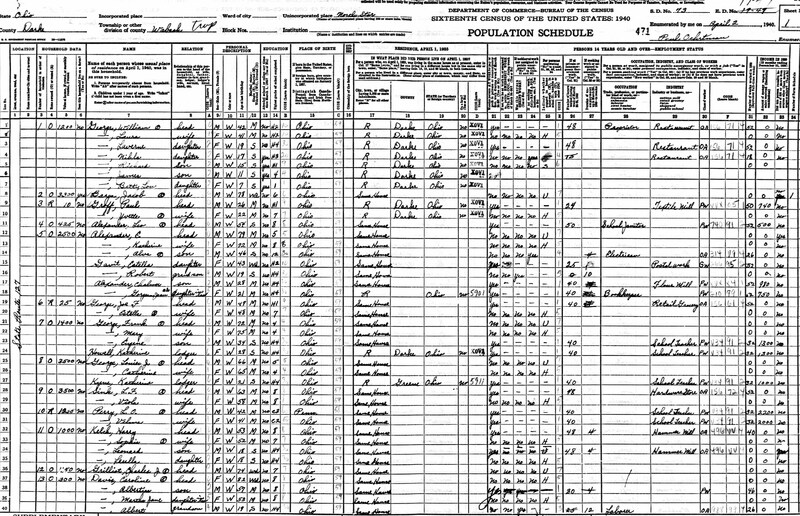 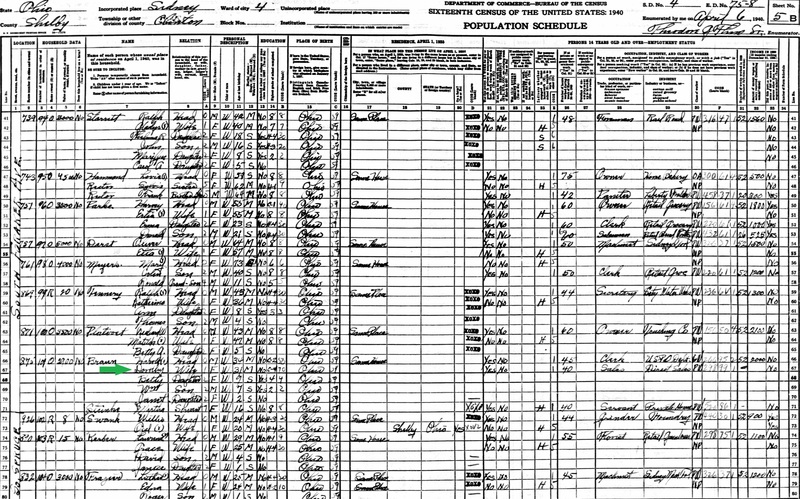 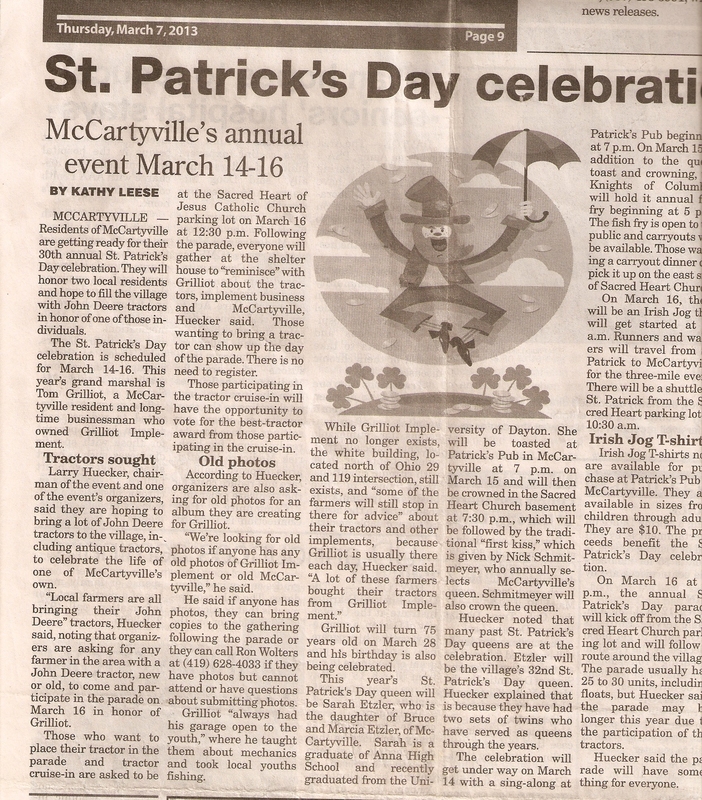 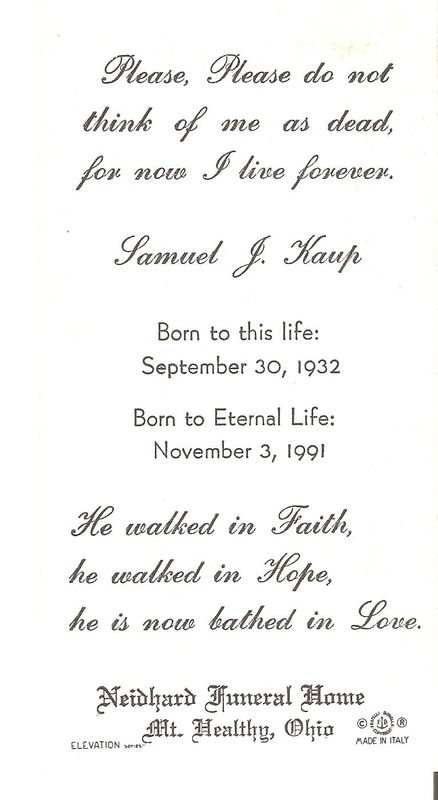 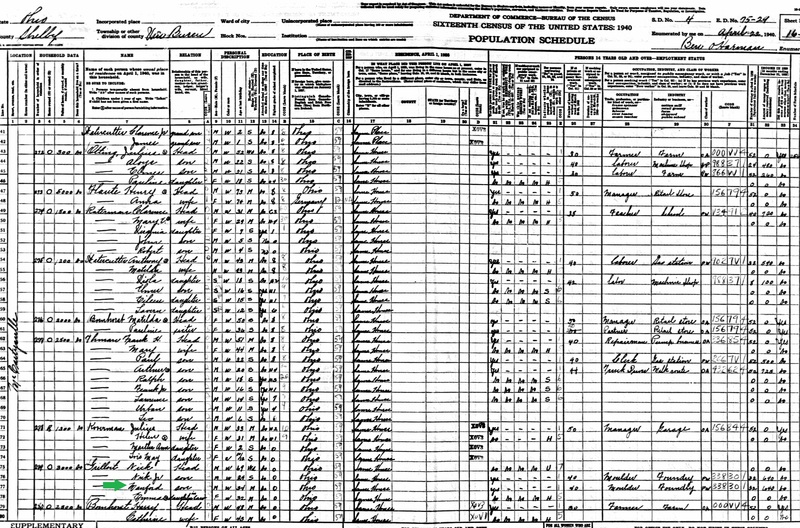 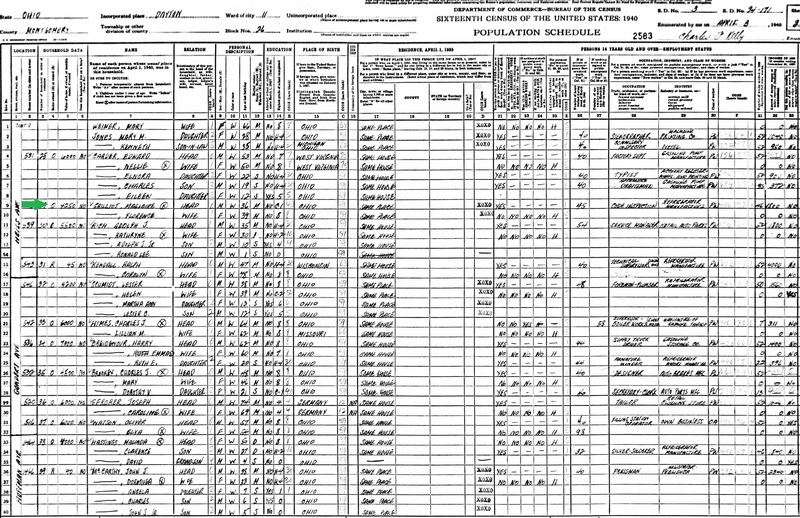 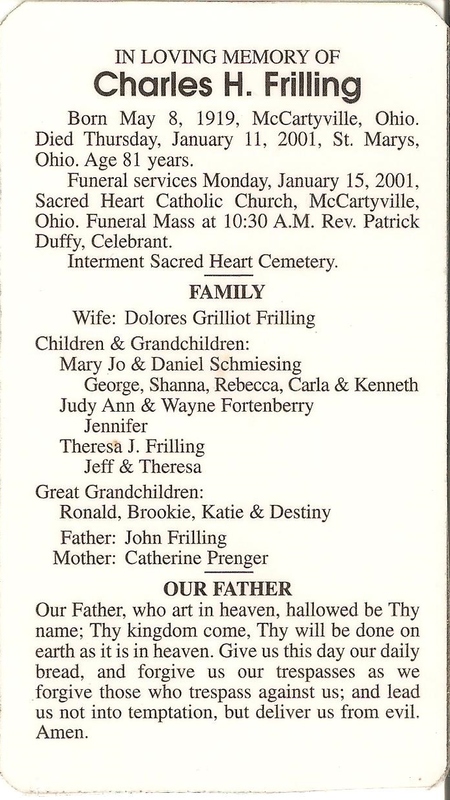 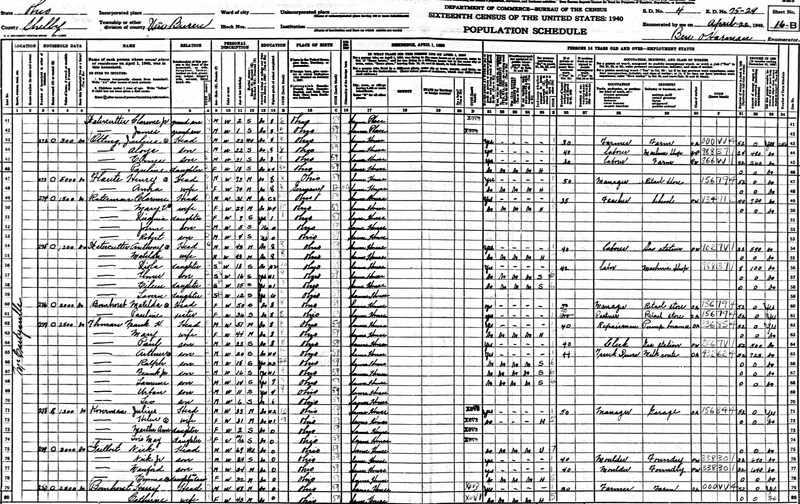 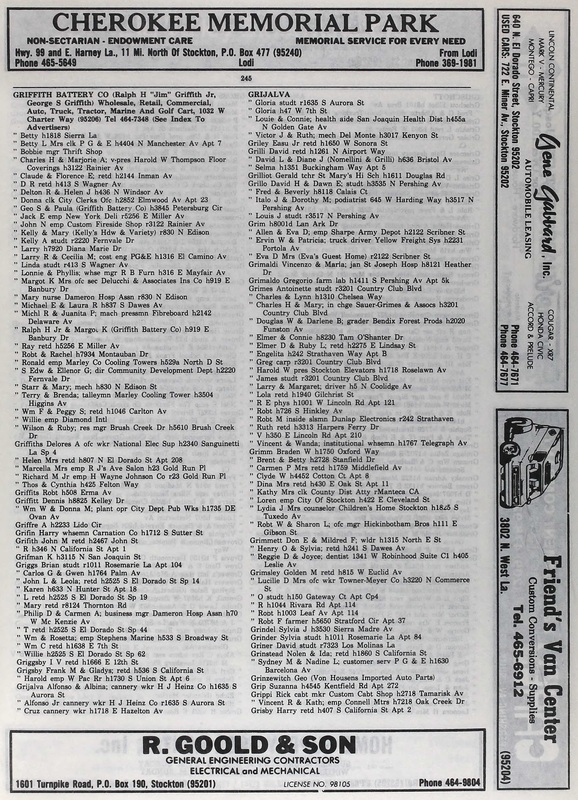 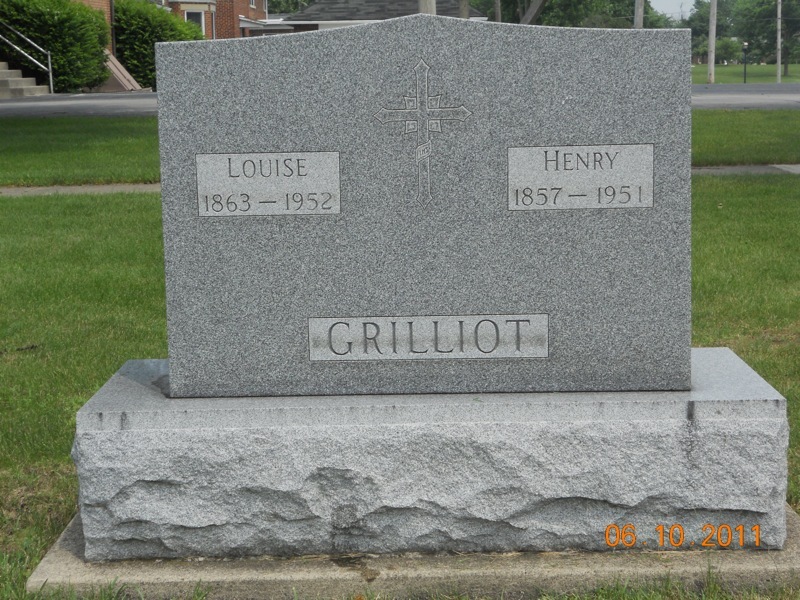 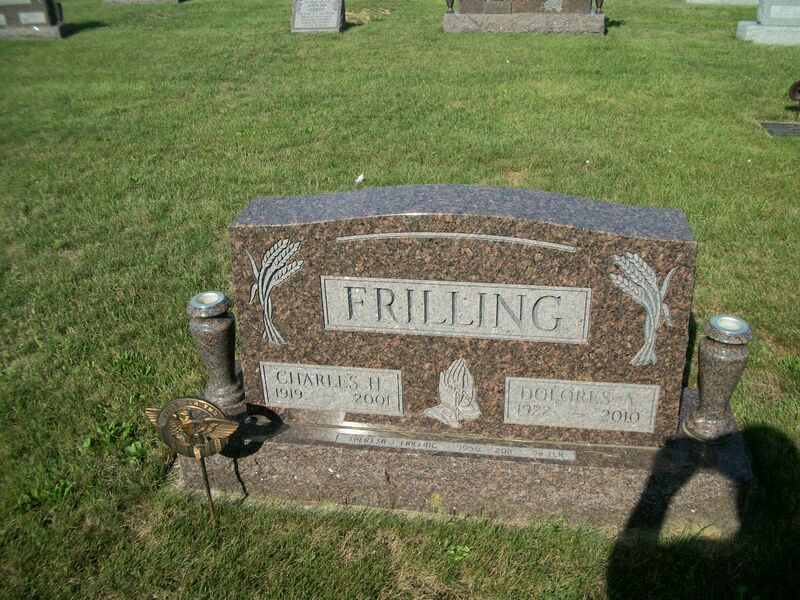 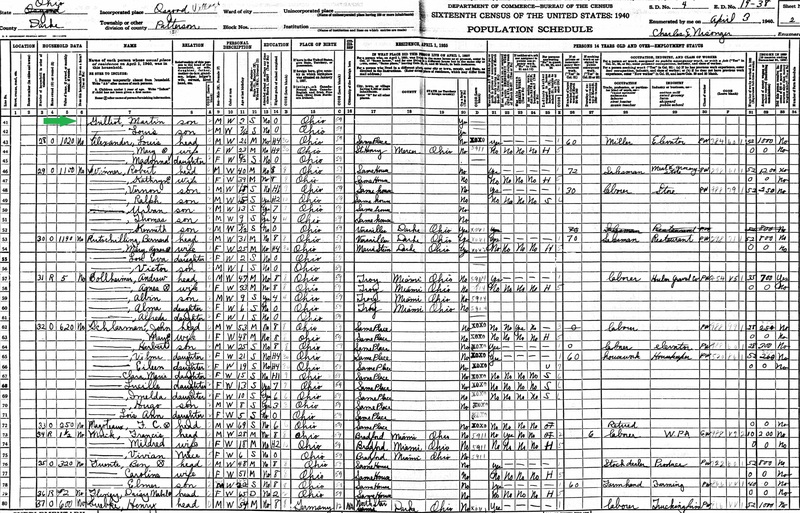 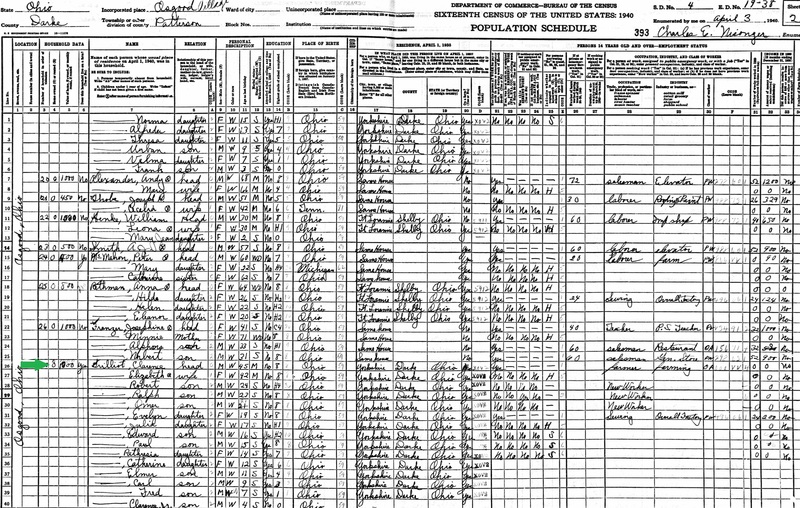 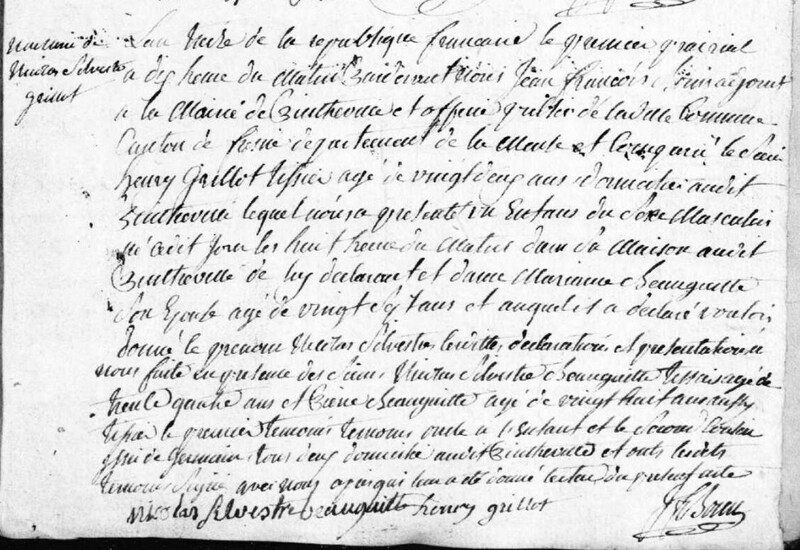 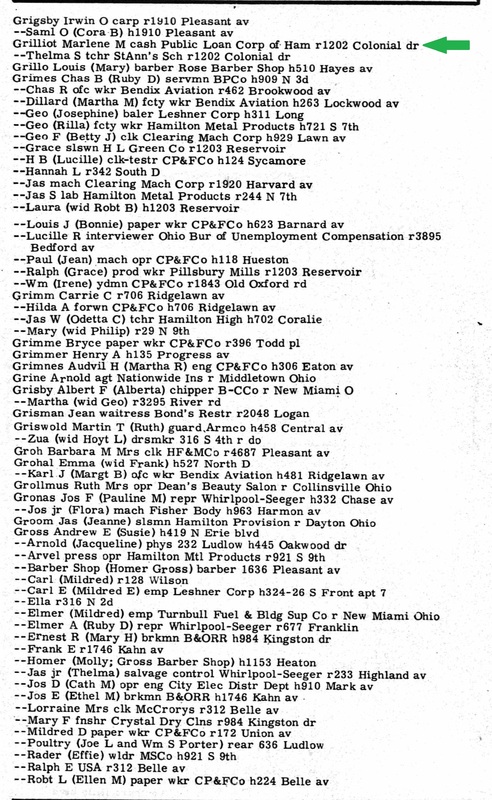 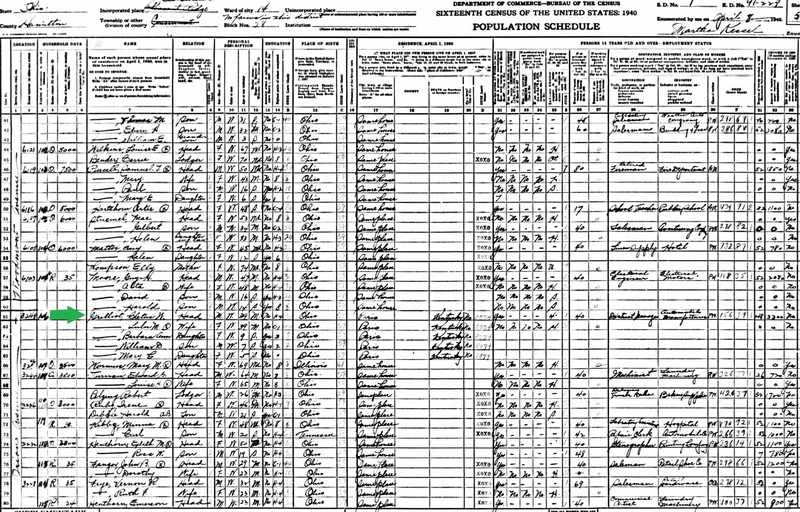 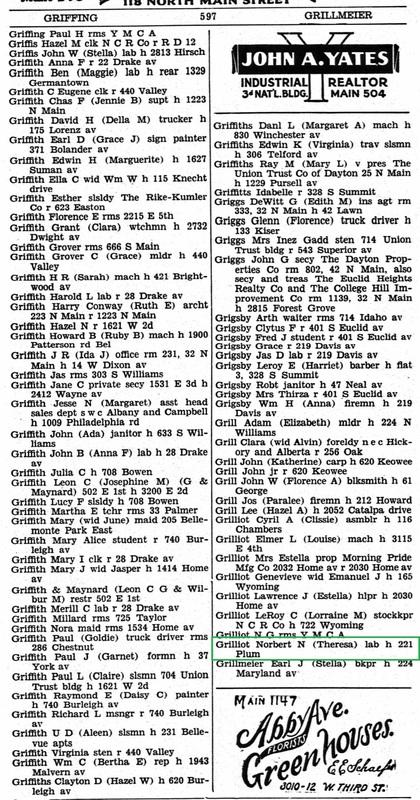 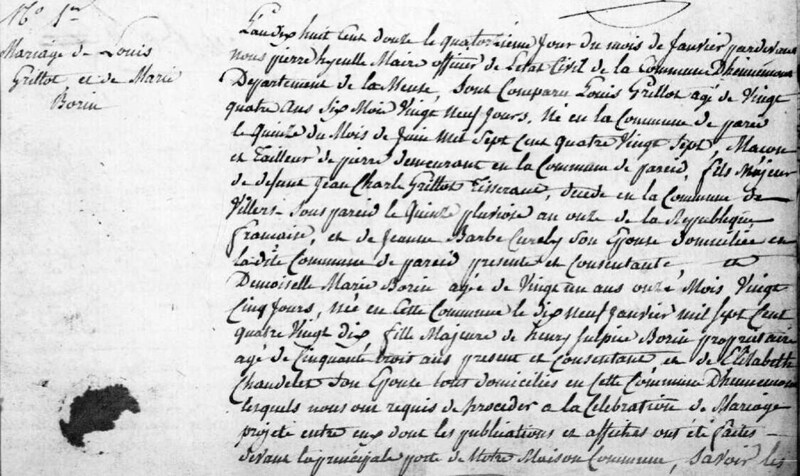 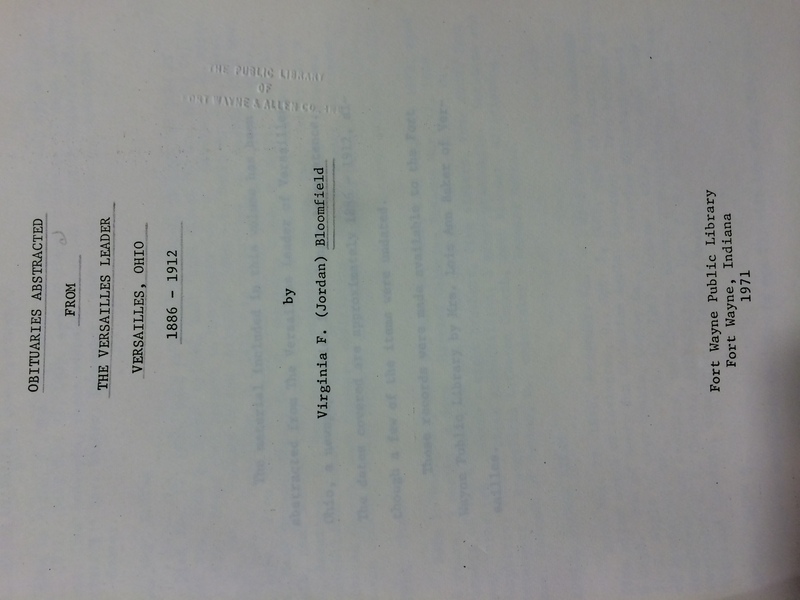 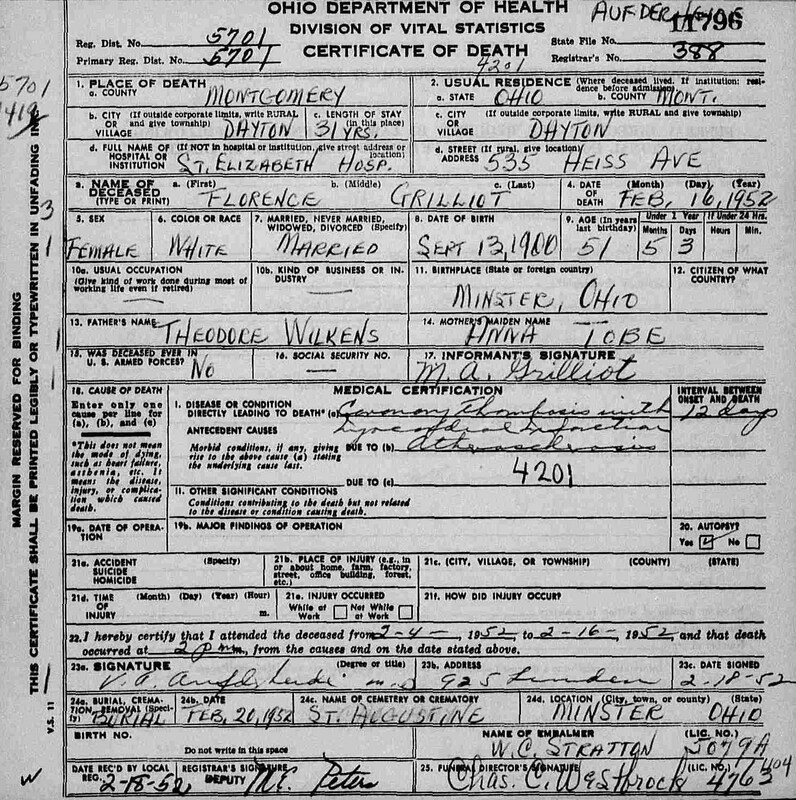 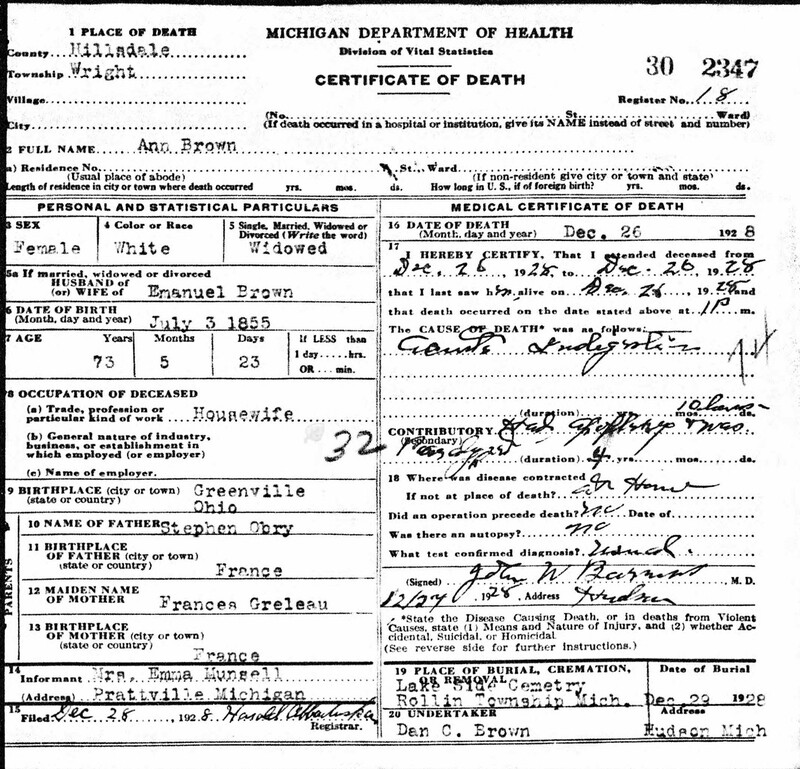 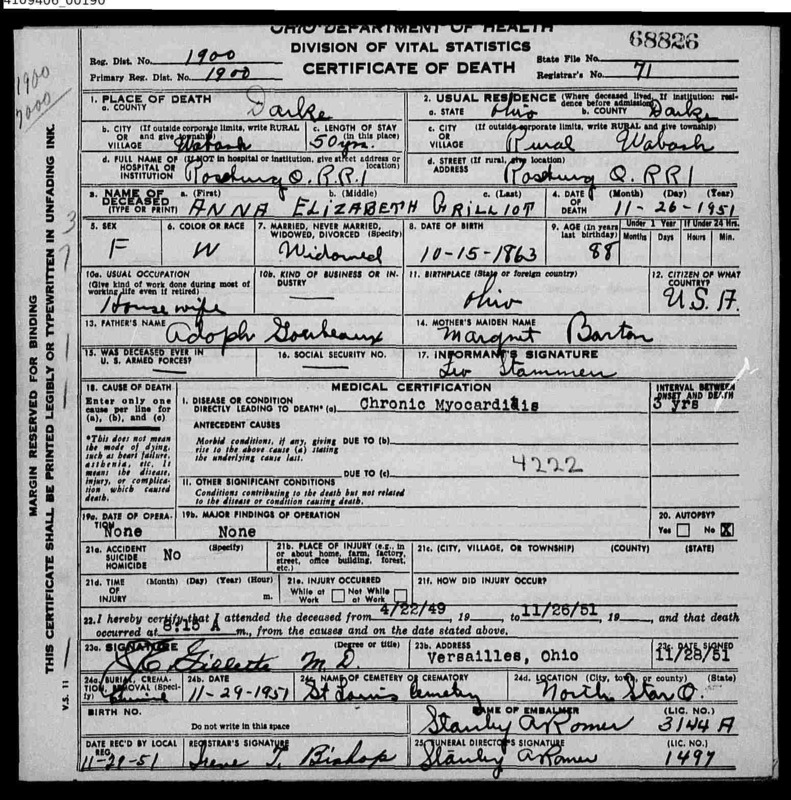 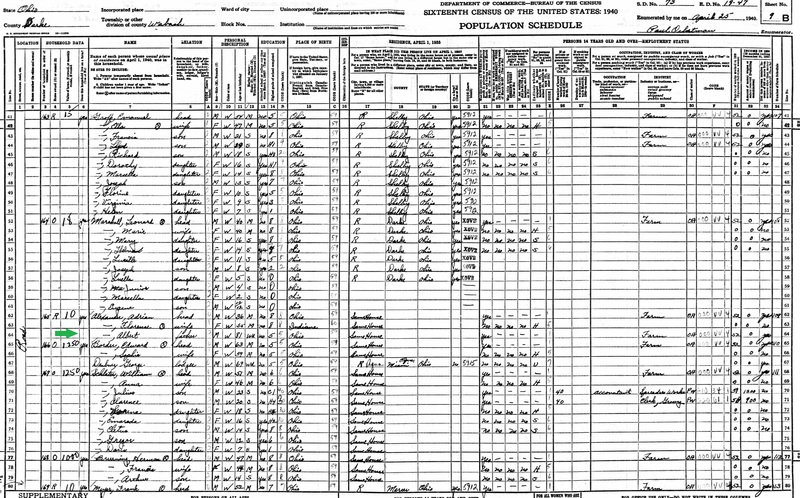 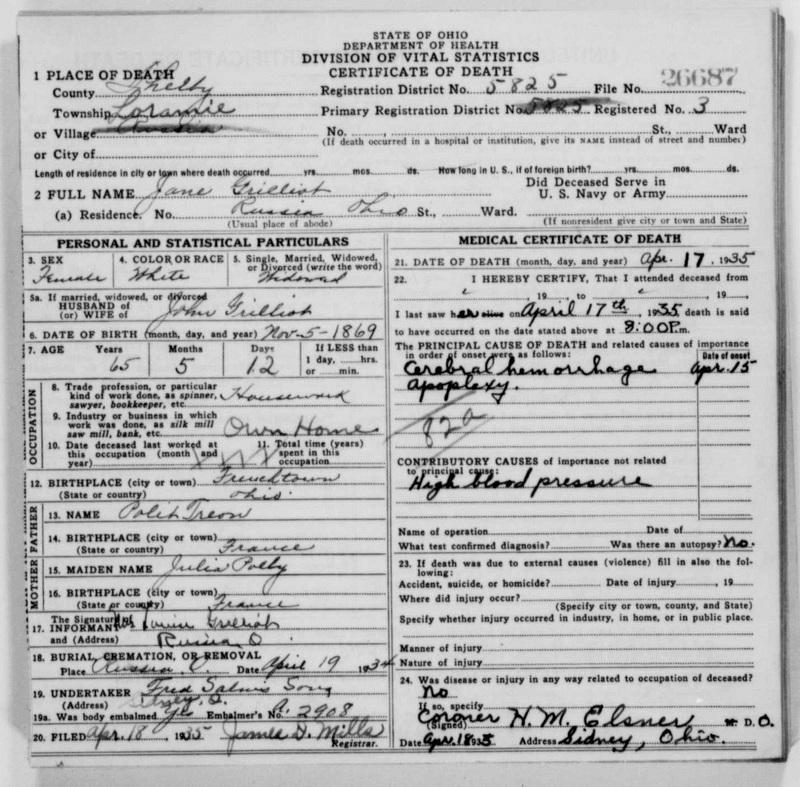 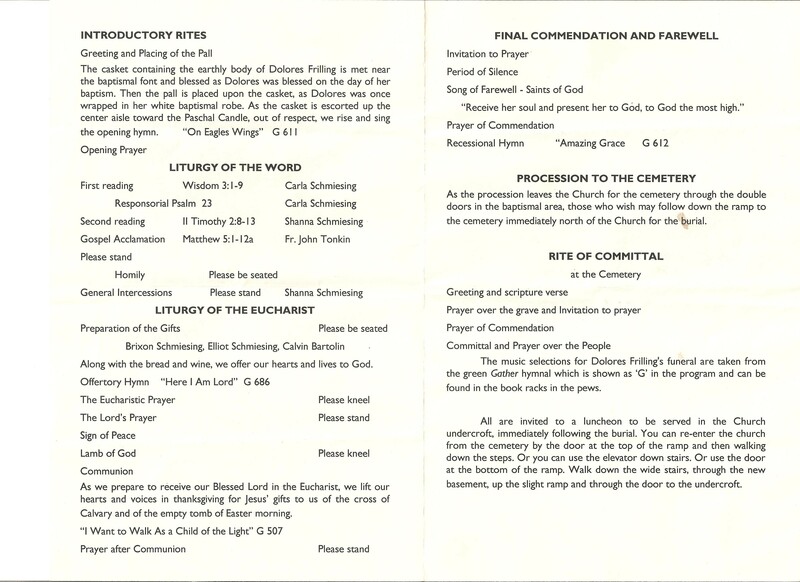 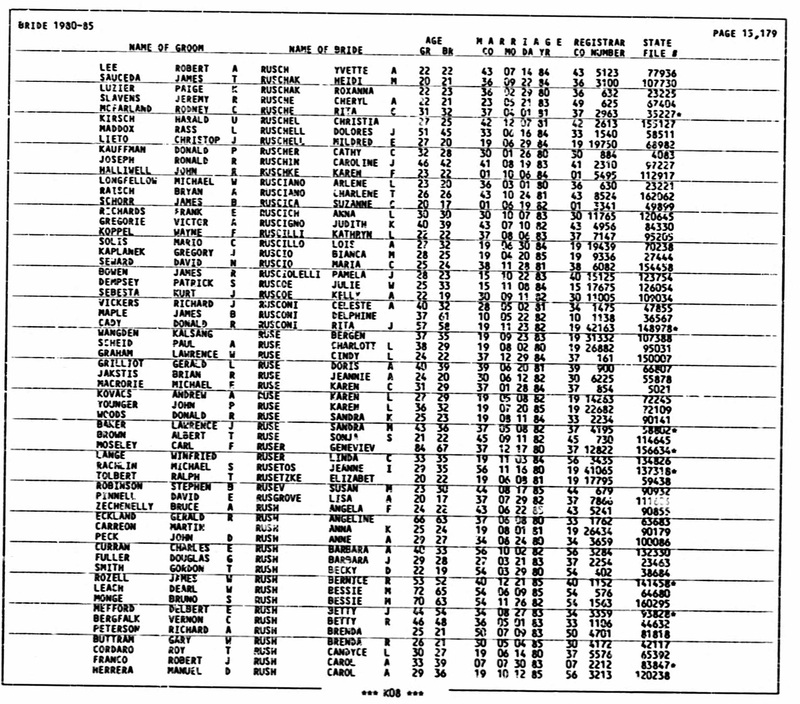 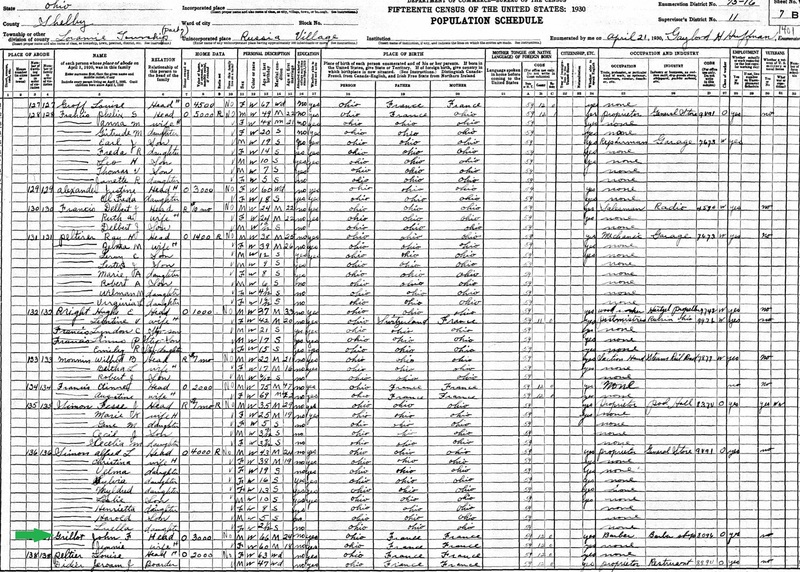 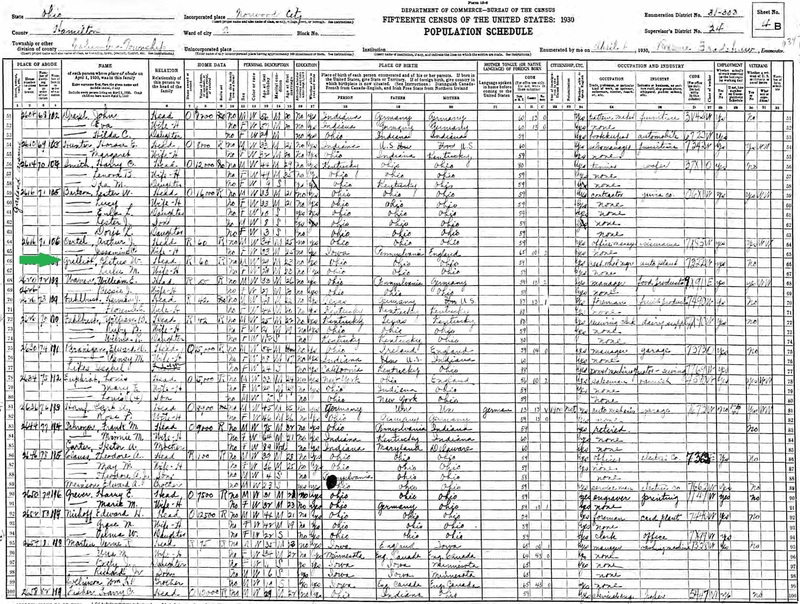 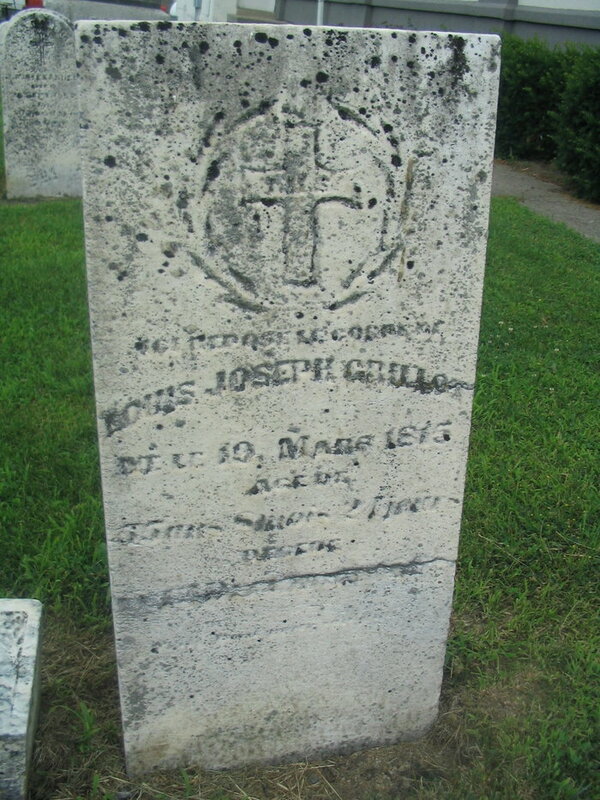 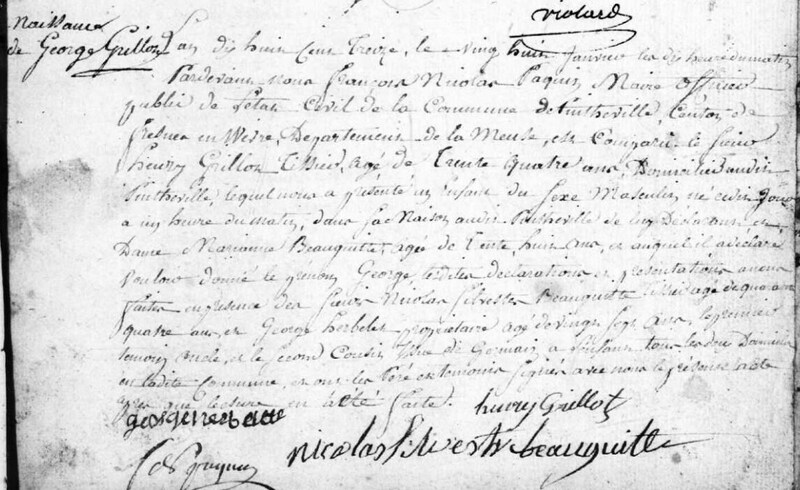 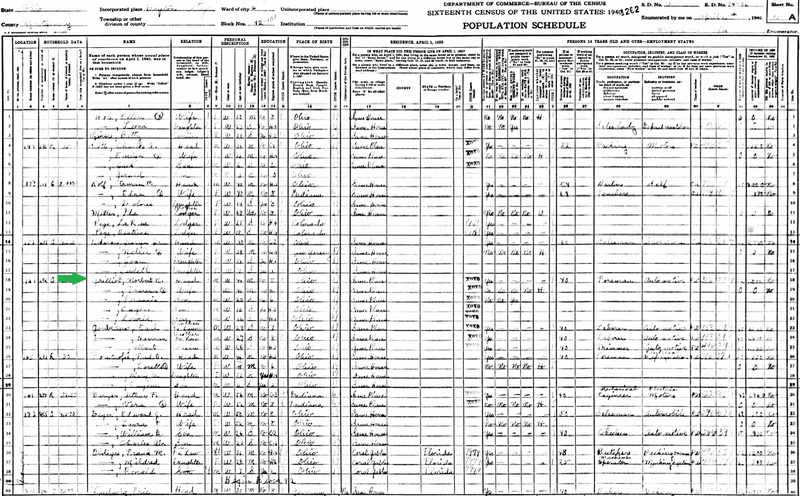 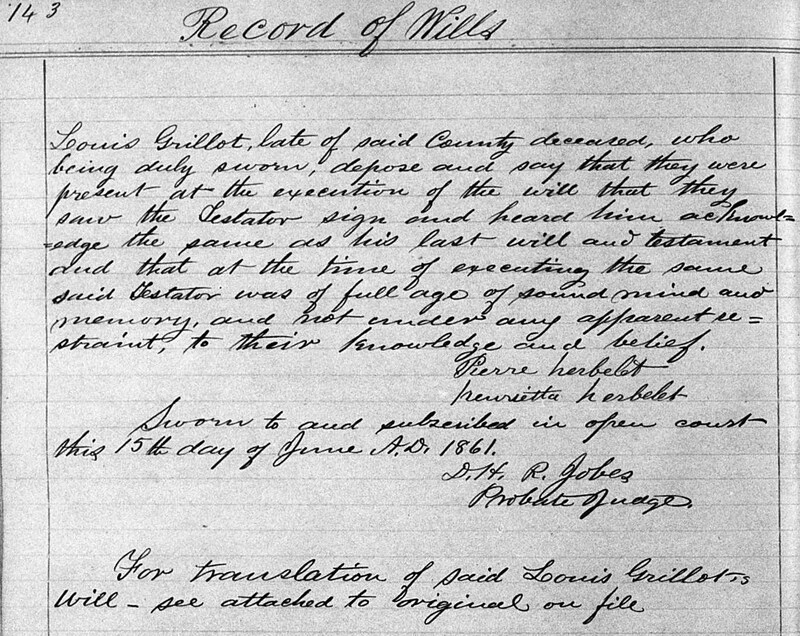 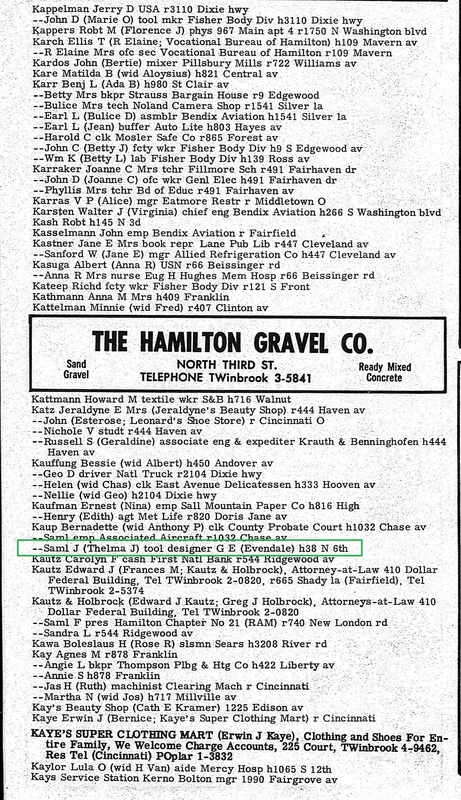 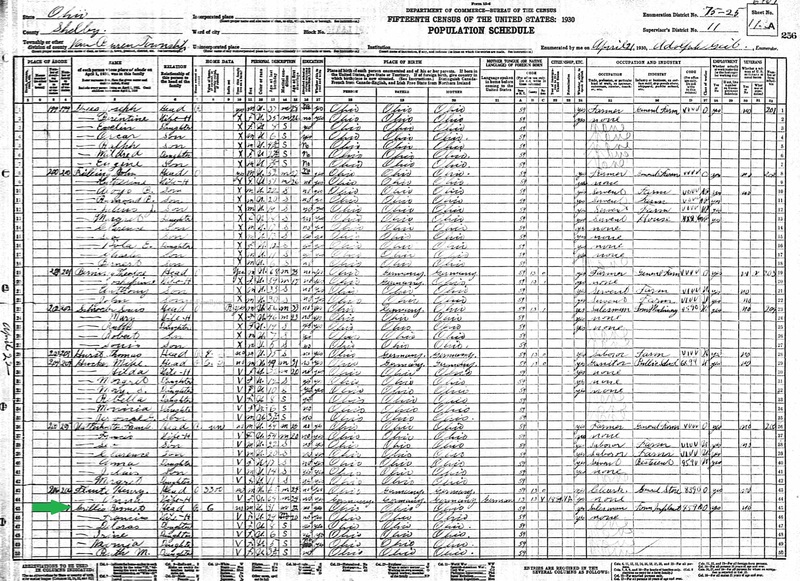 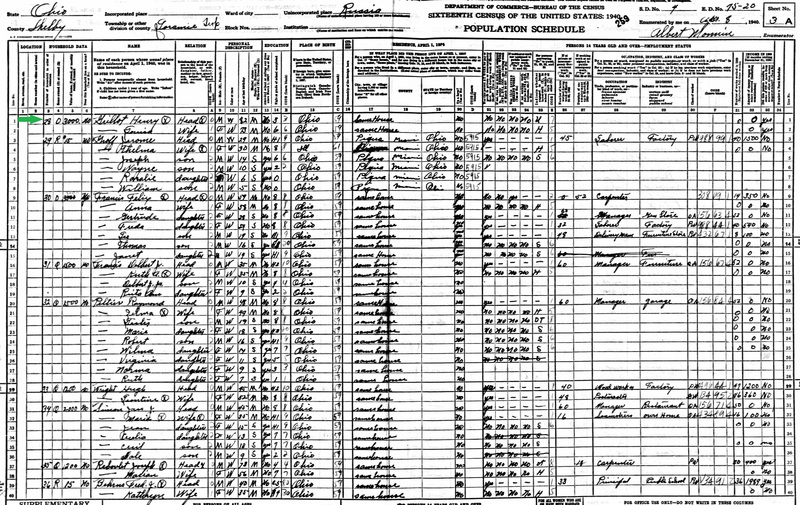 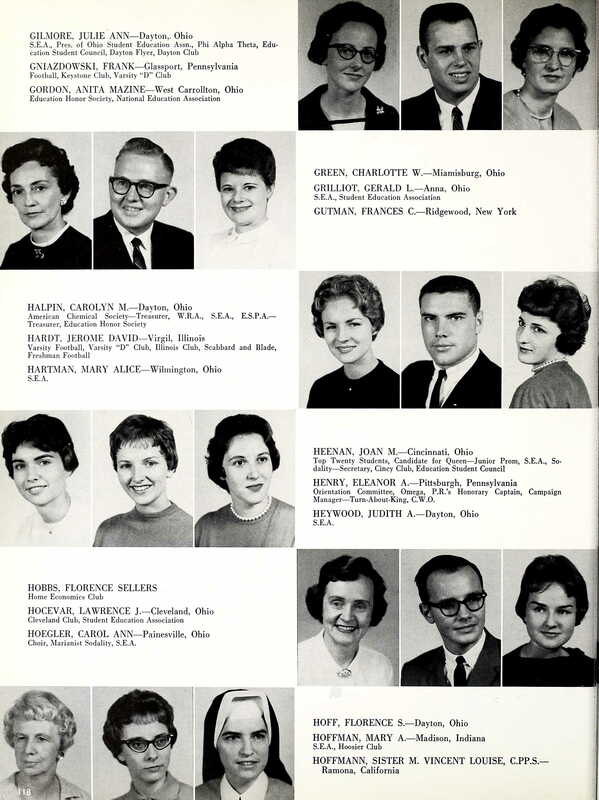 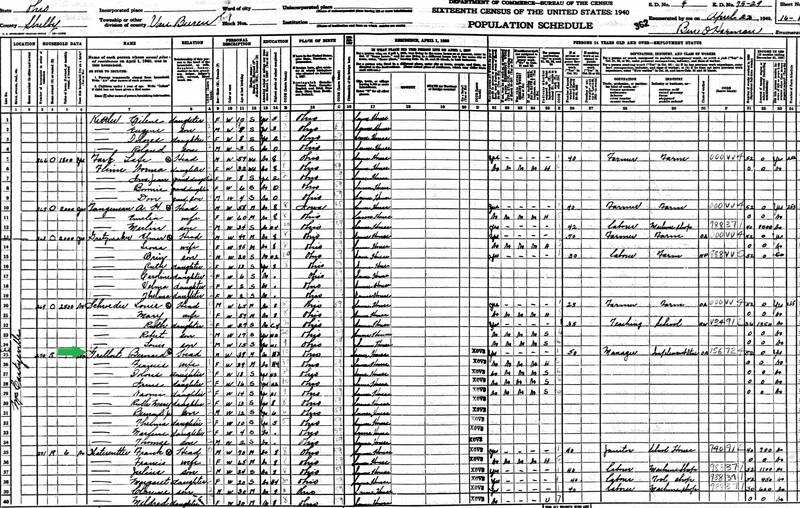 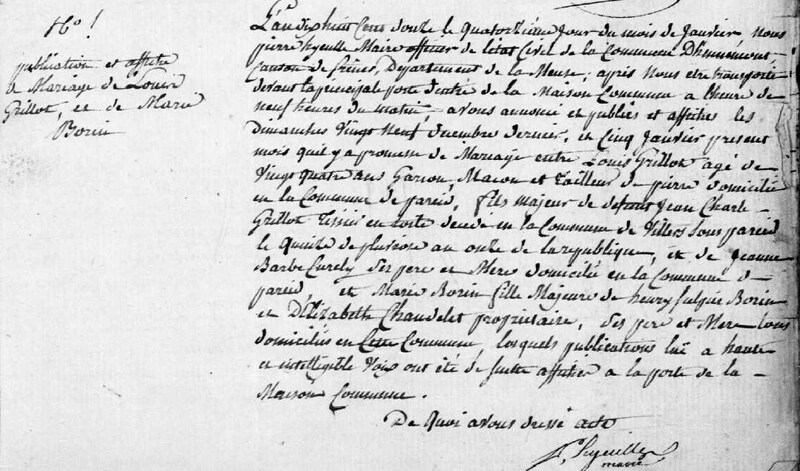 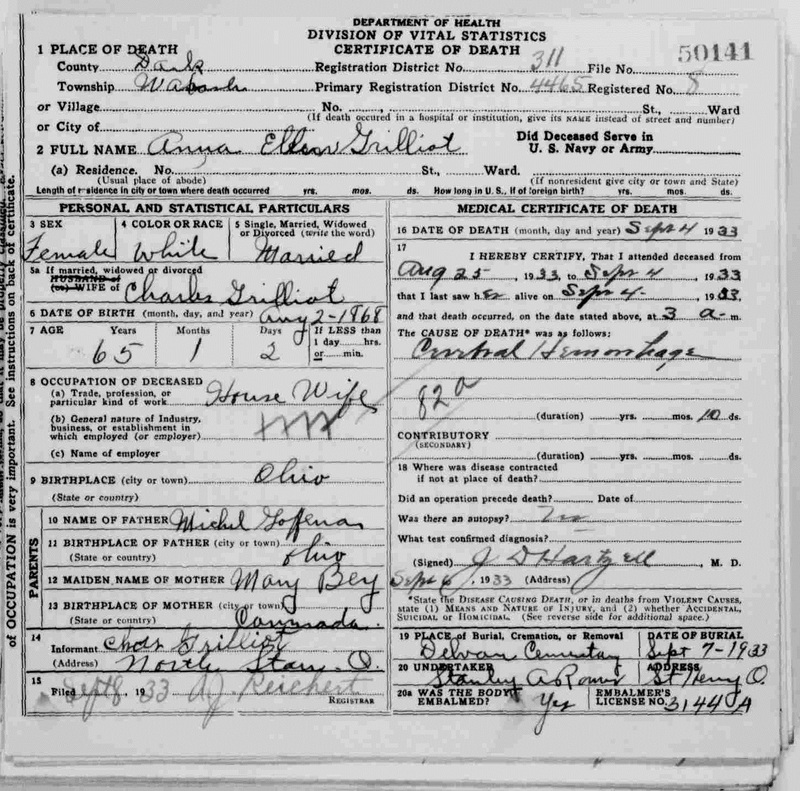 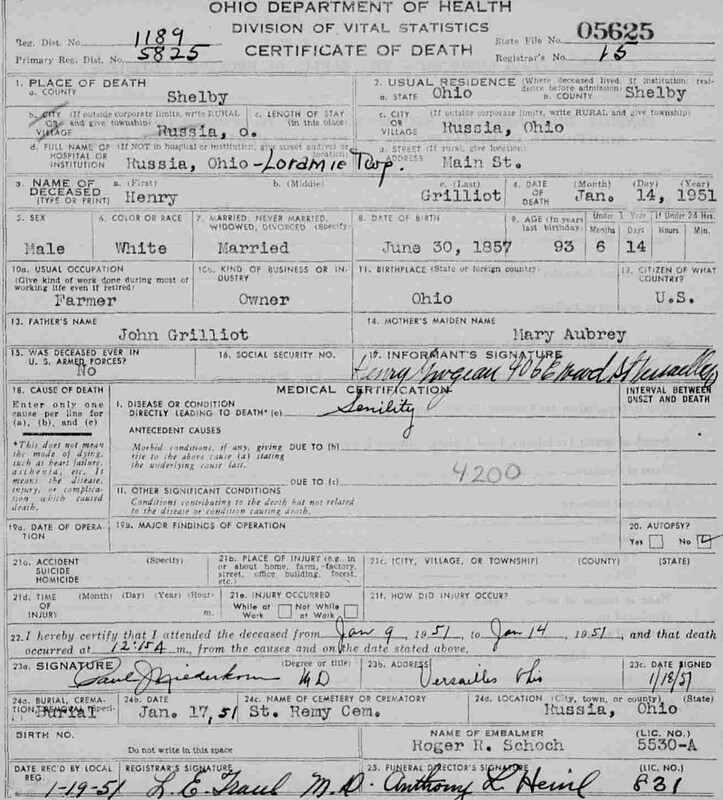 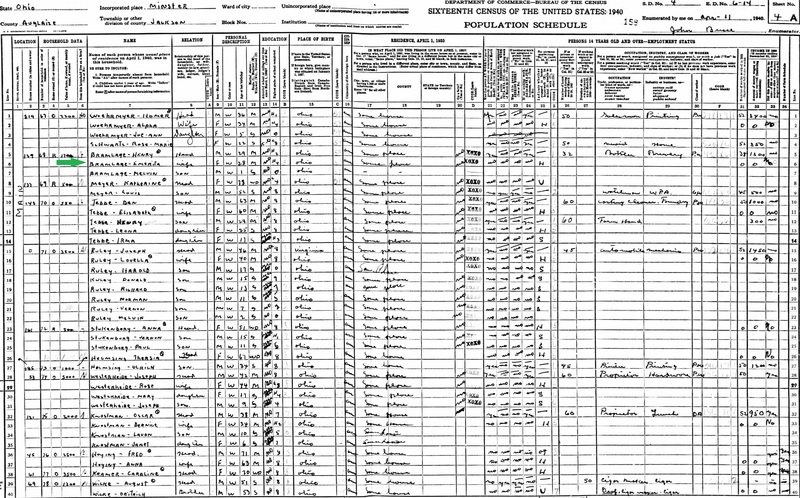 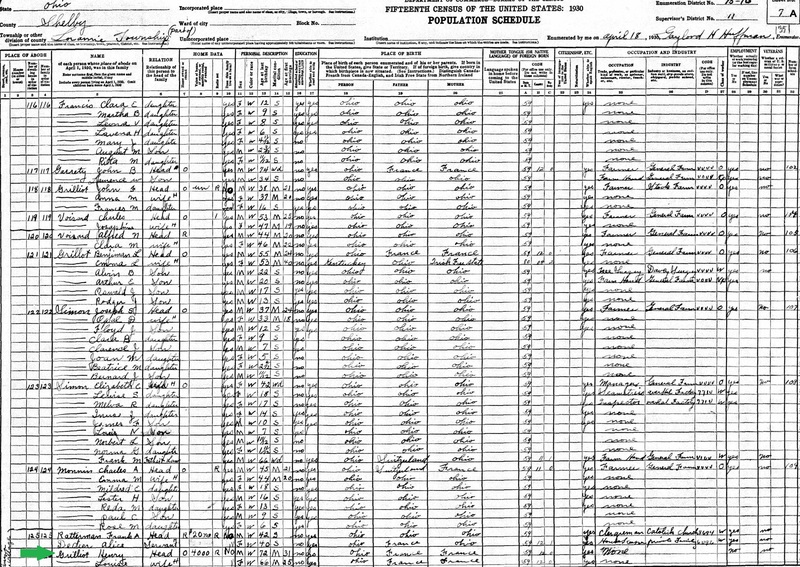 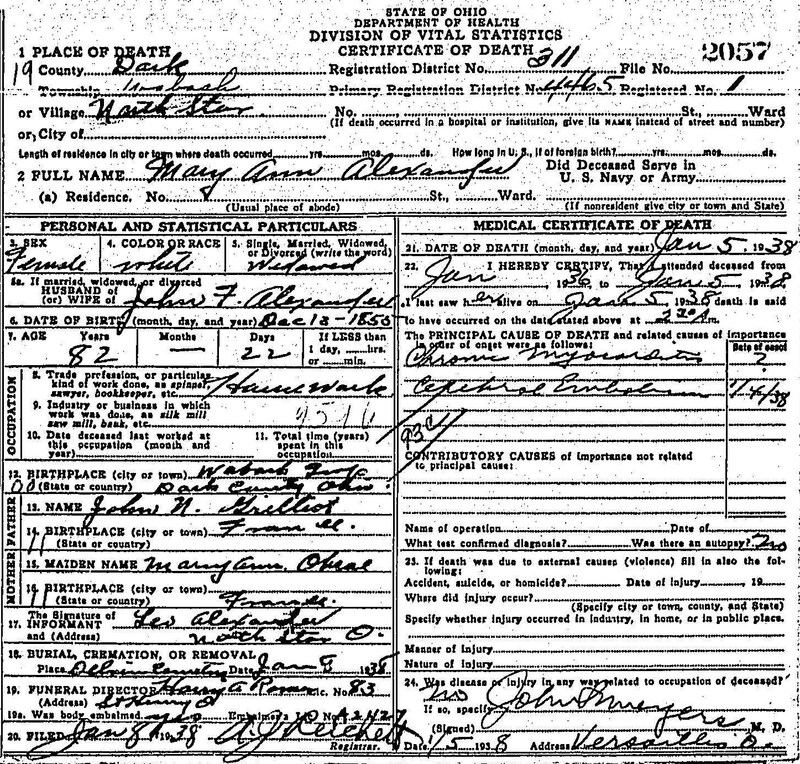 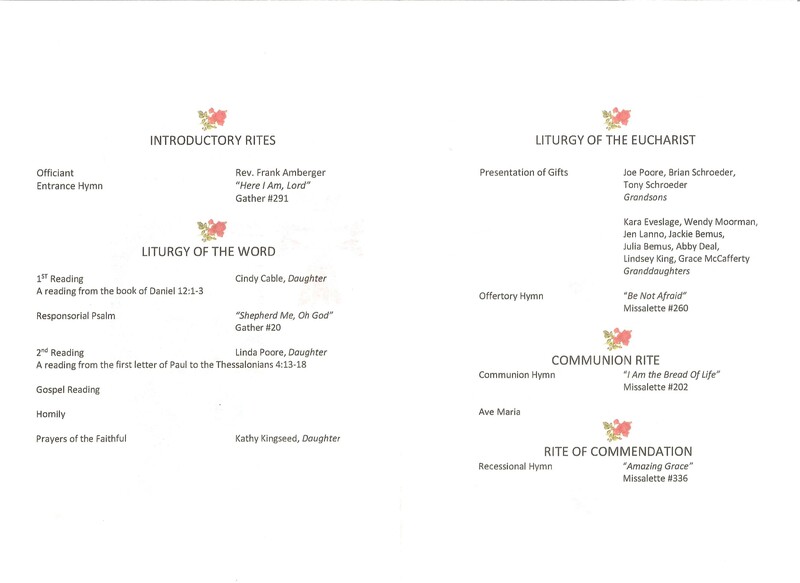 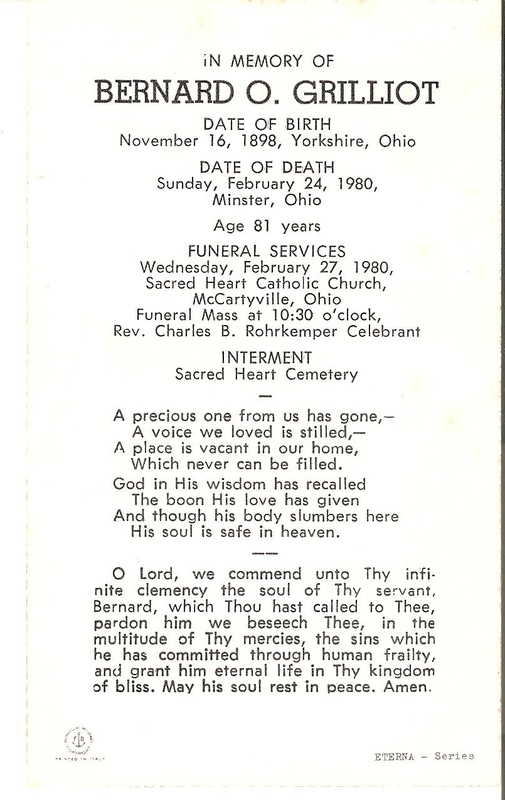 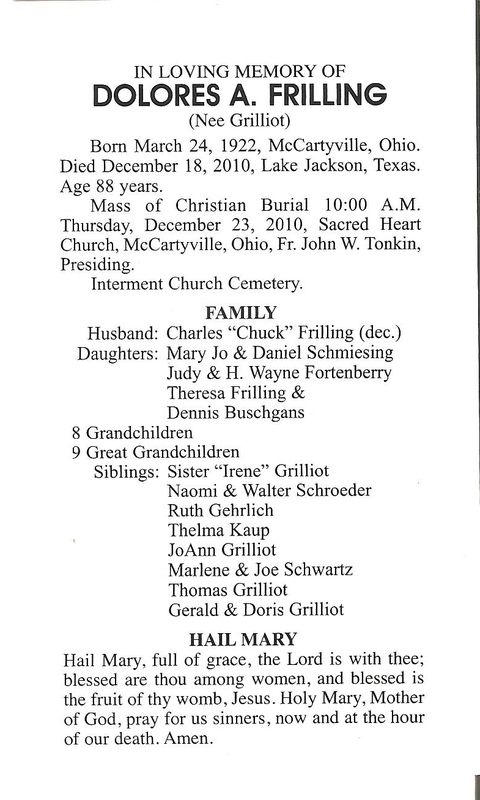 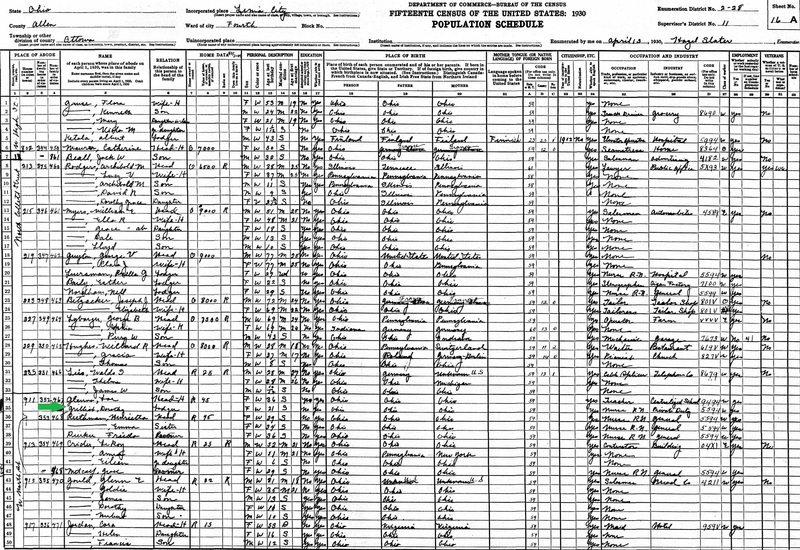 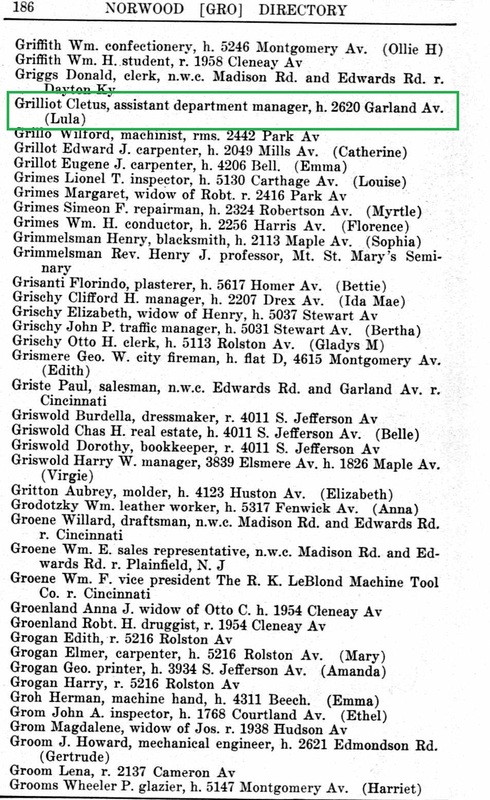 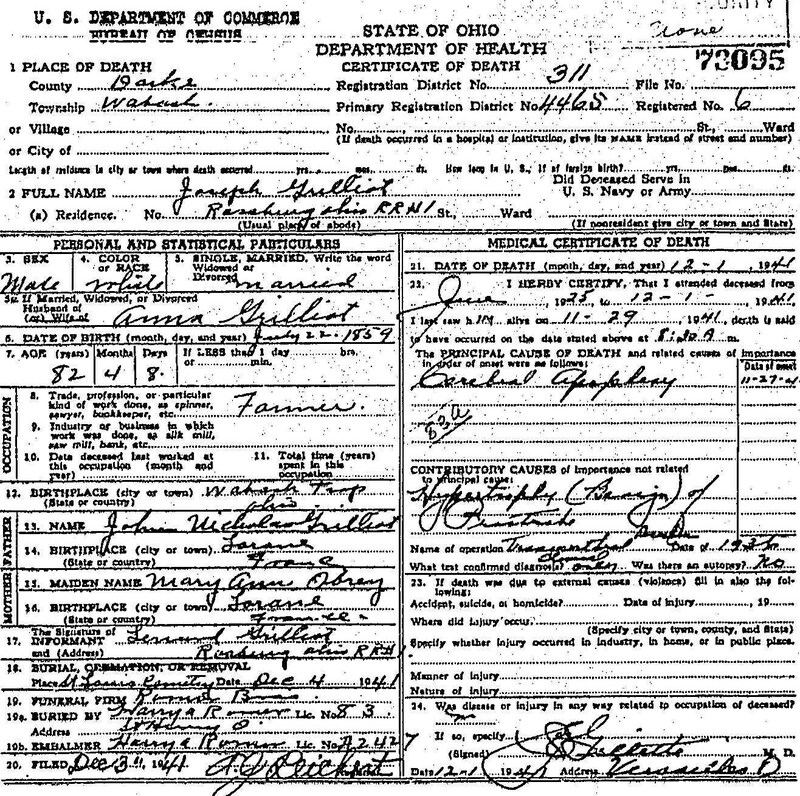 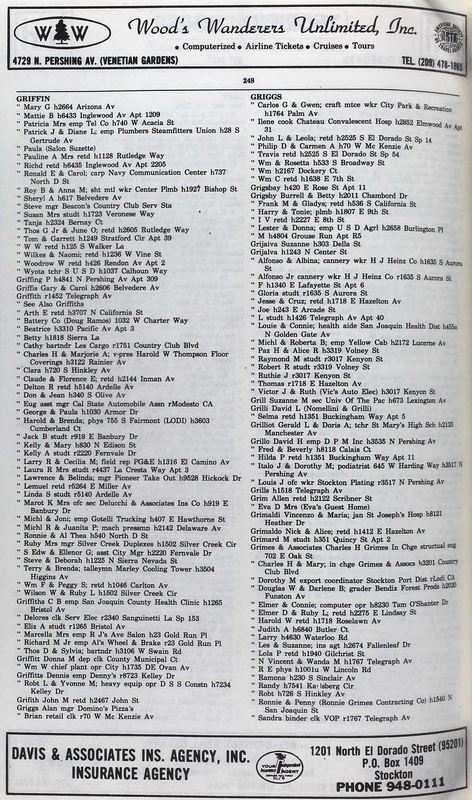 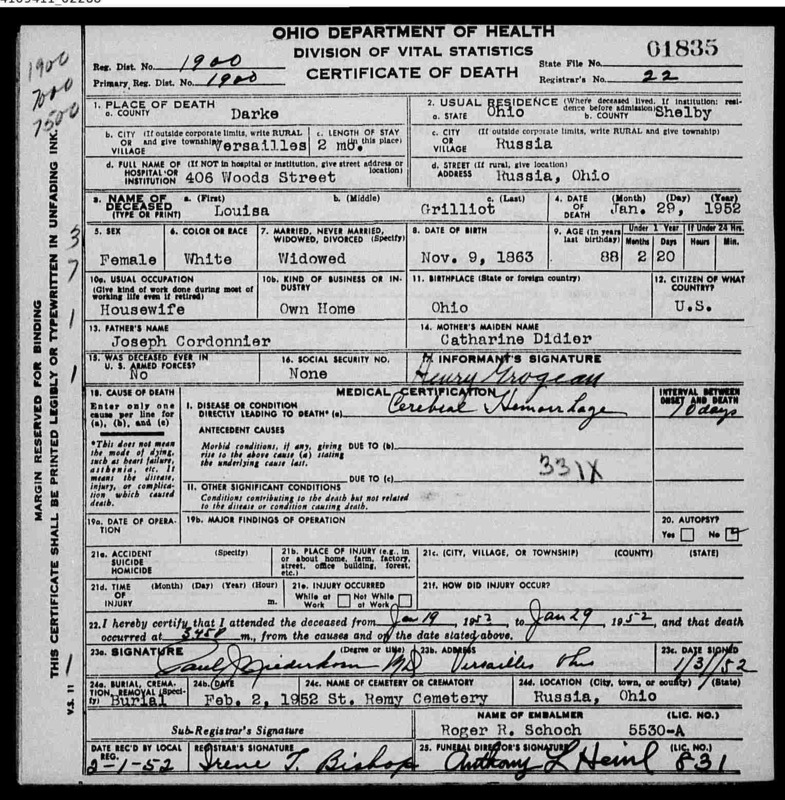 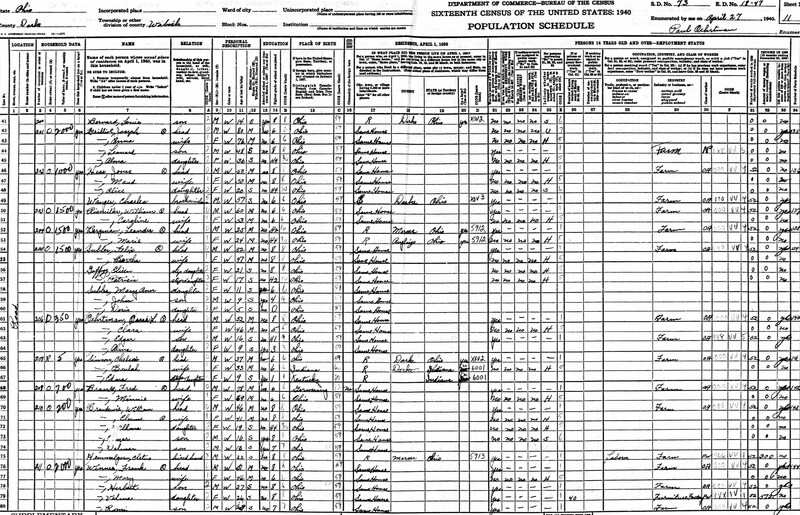 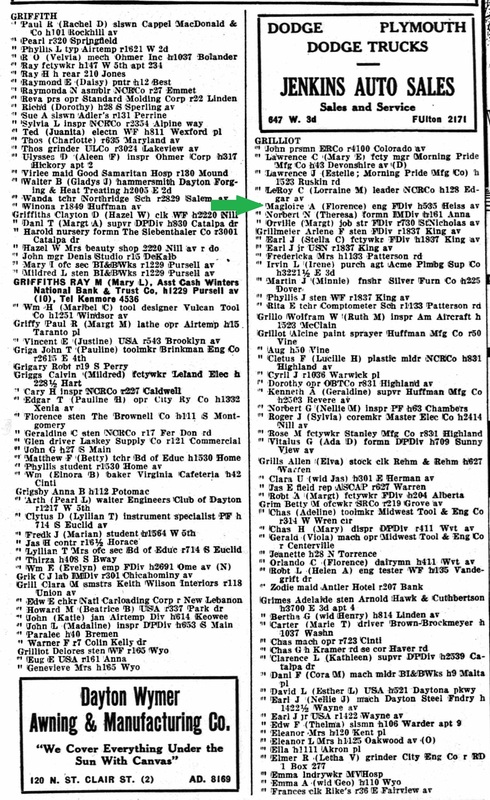 So, all of the Grillot's who use the original spelling are descendants of Henry (Louis' brother), as his son George was the only son to carry on that spelling of the name." 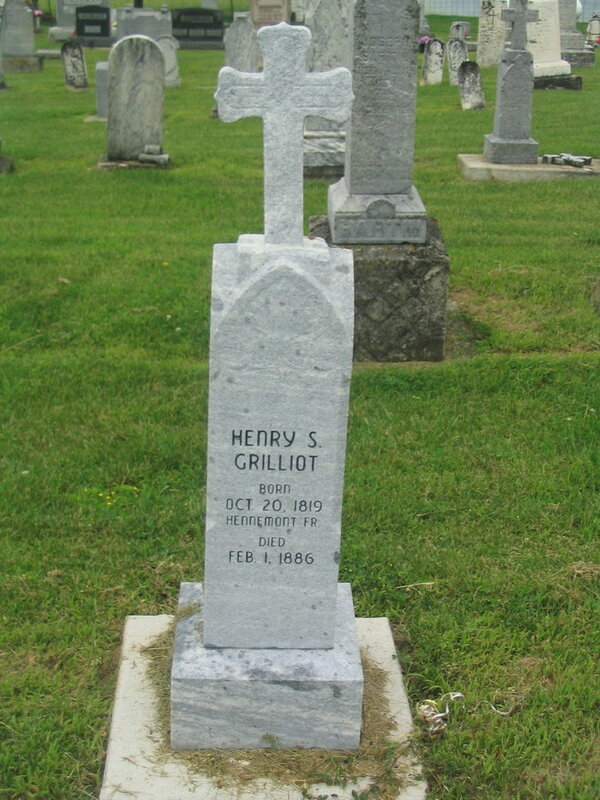 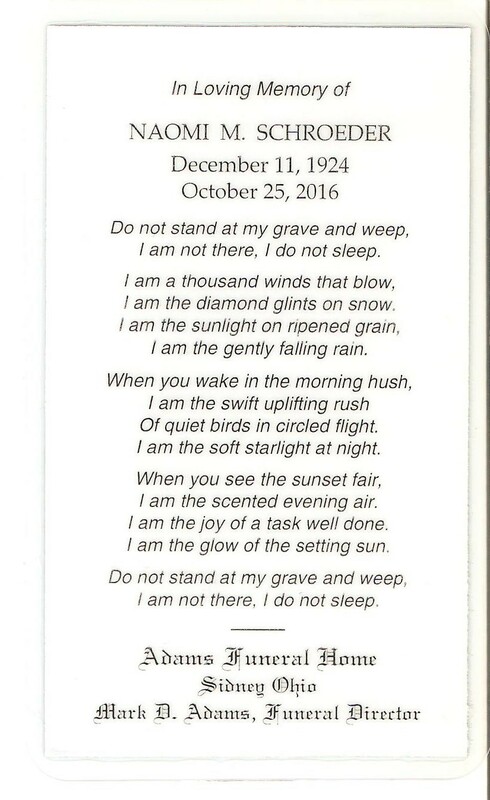 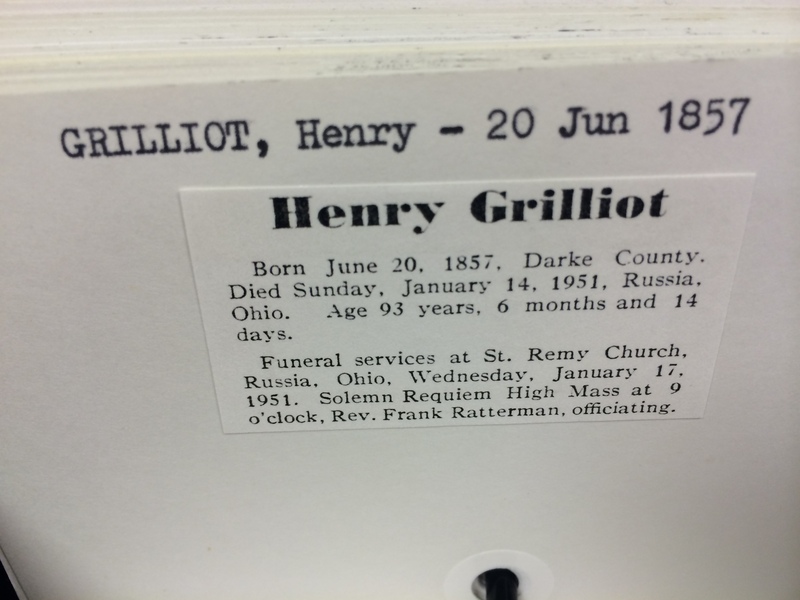 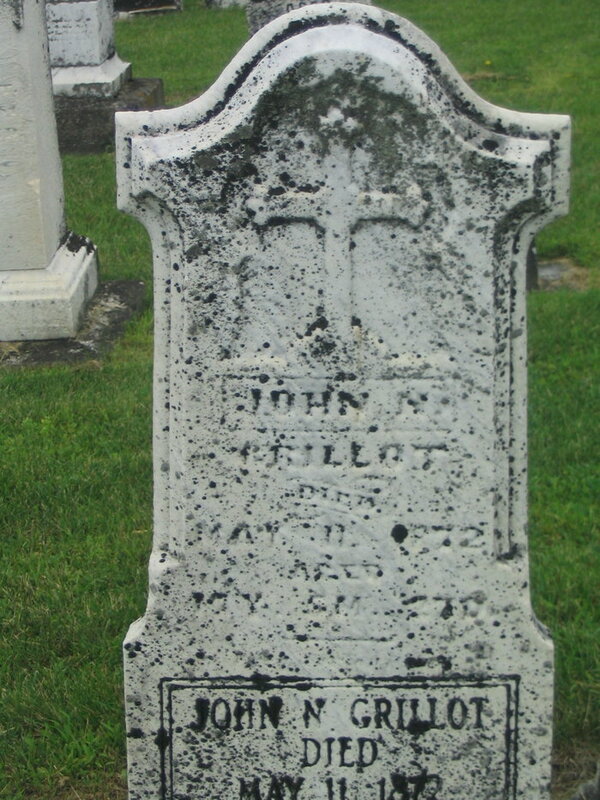 Henry Grilliot b. 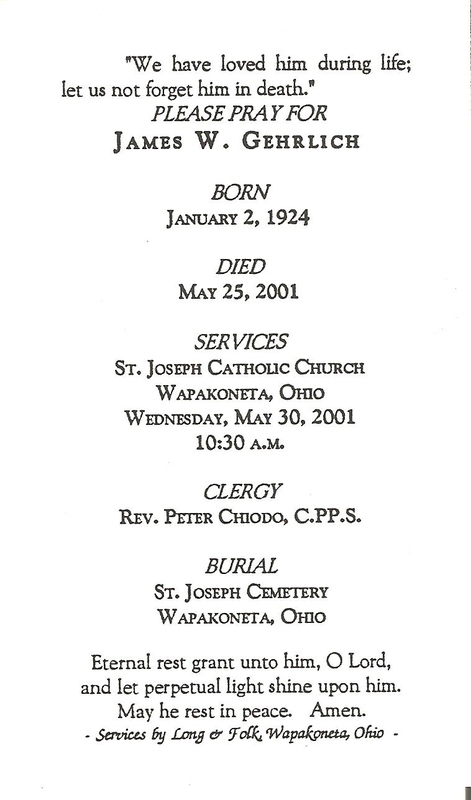 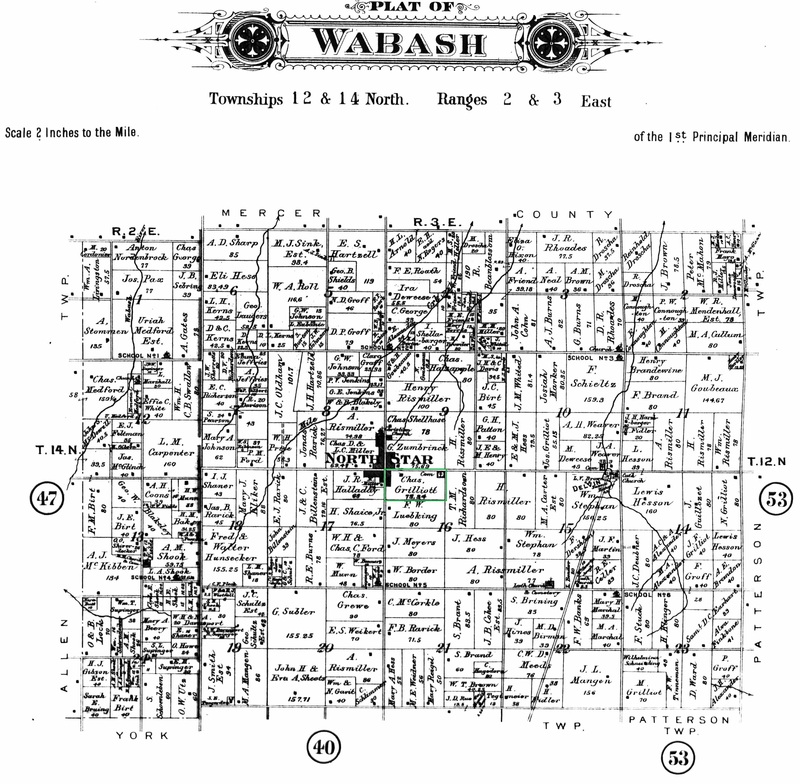 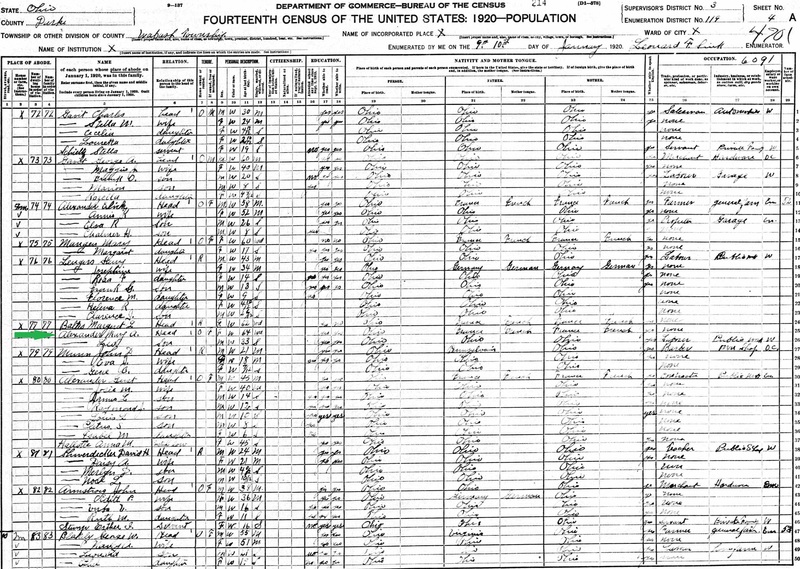 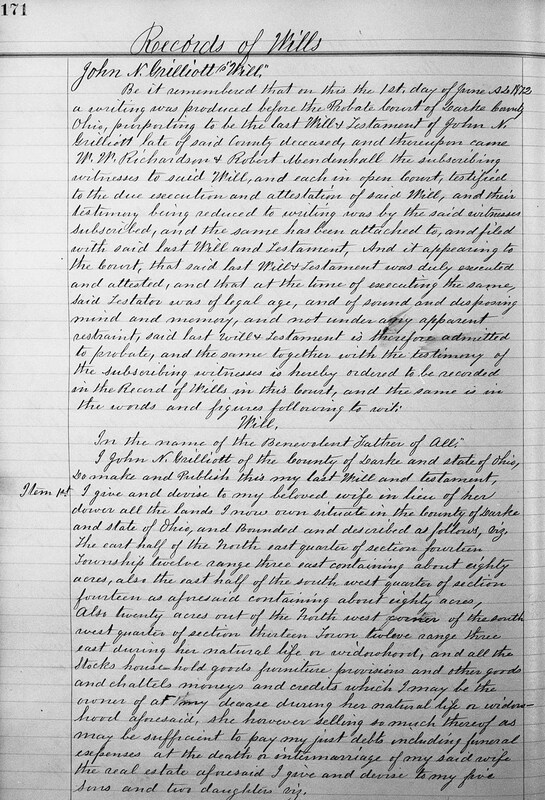 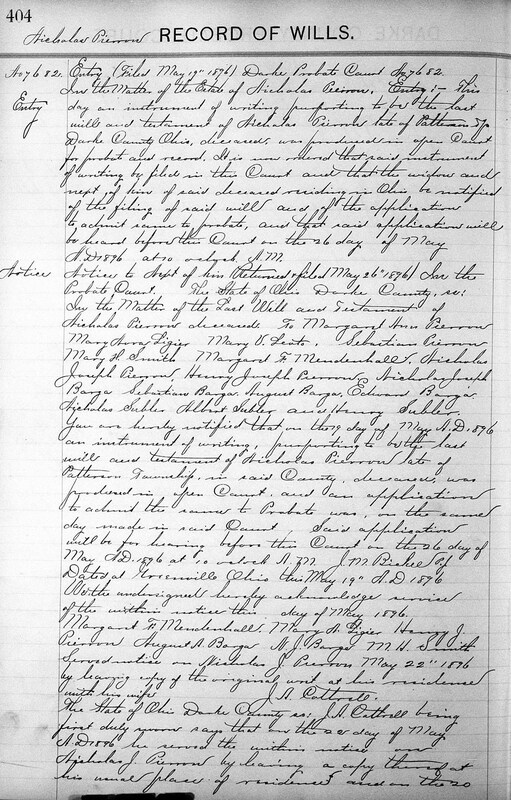 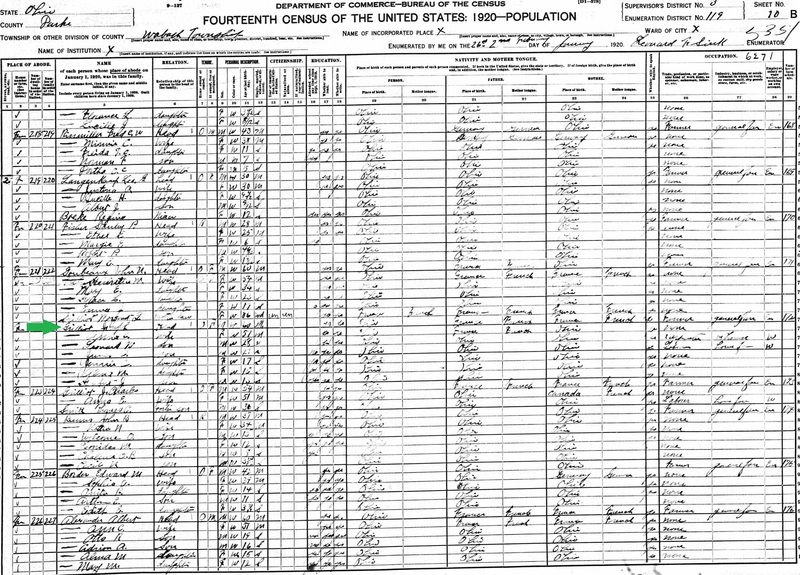 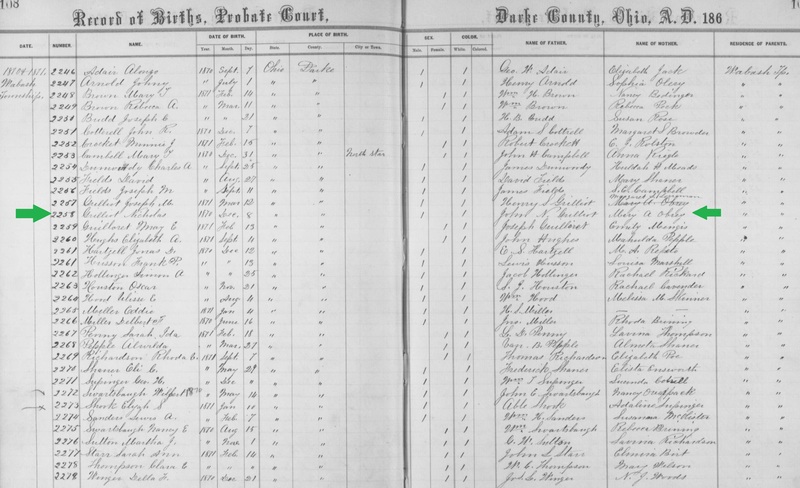 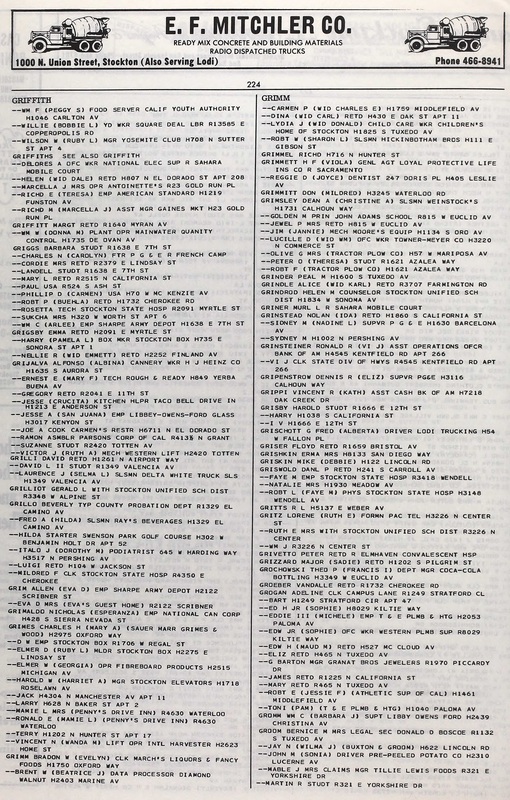 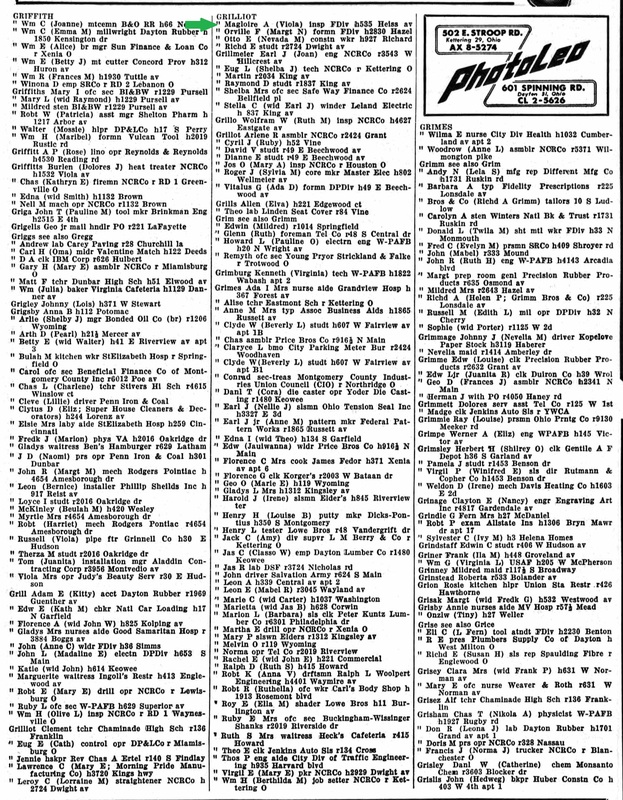 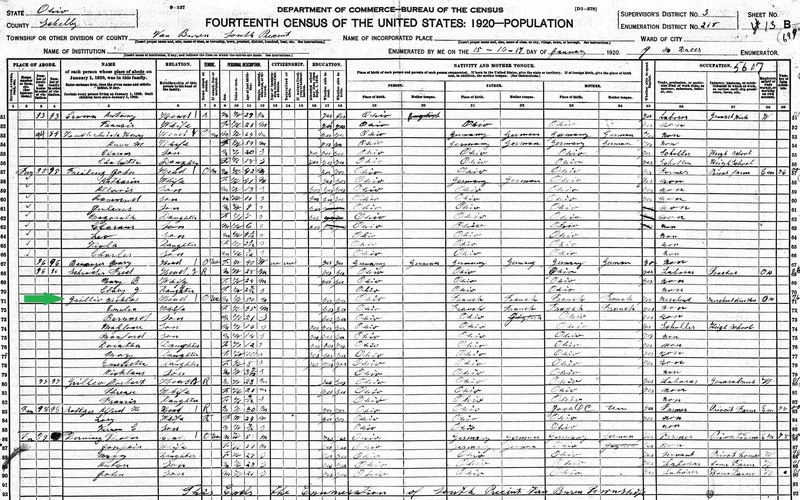 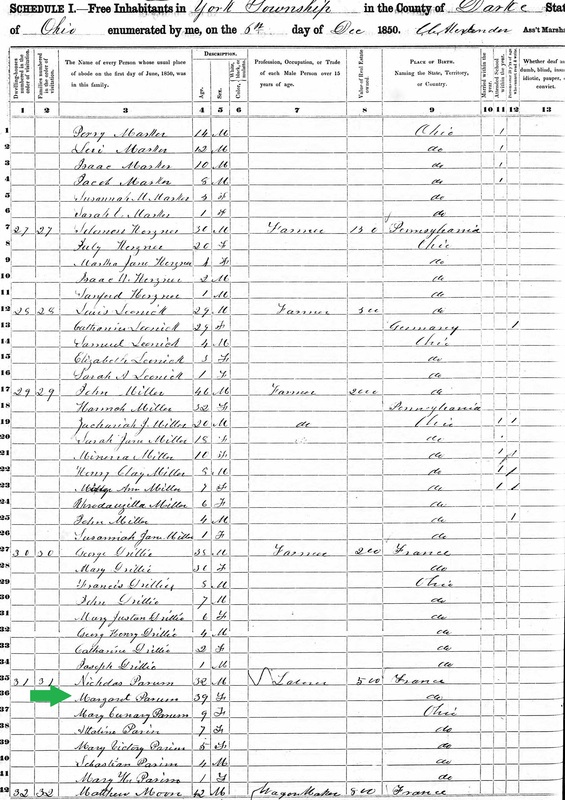 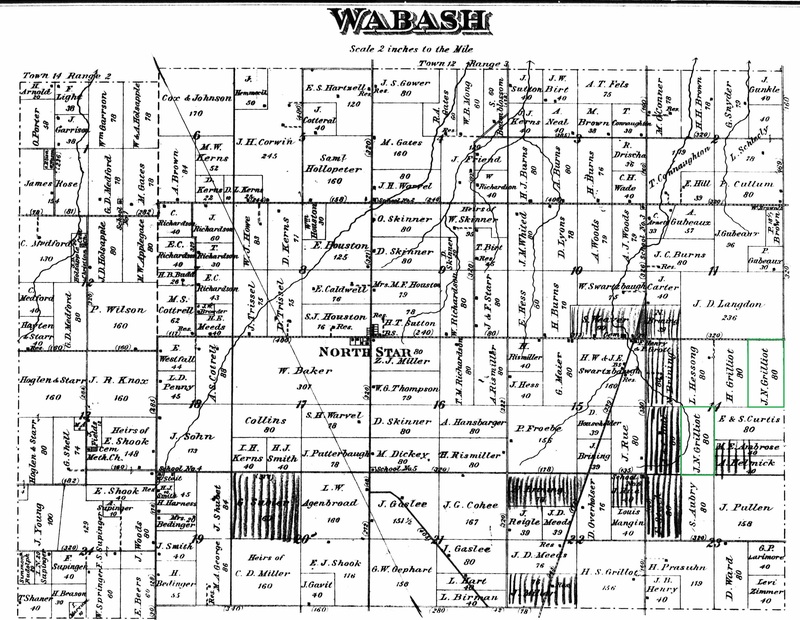 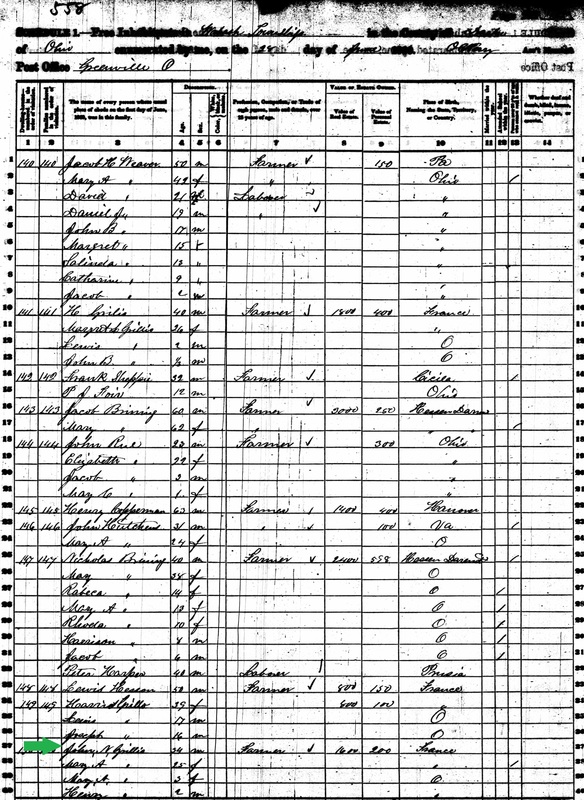 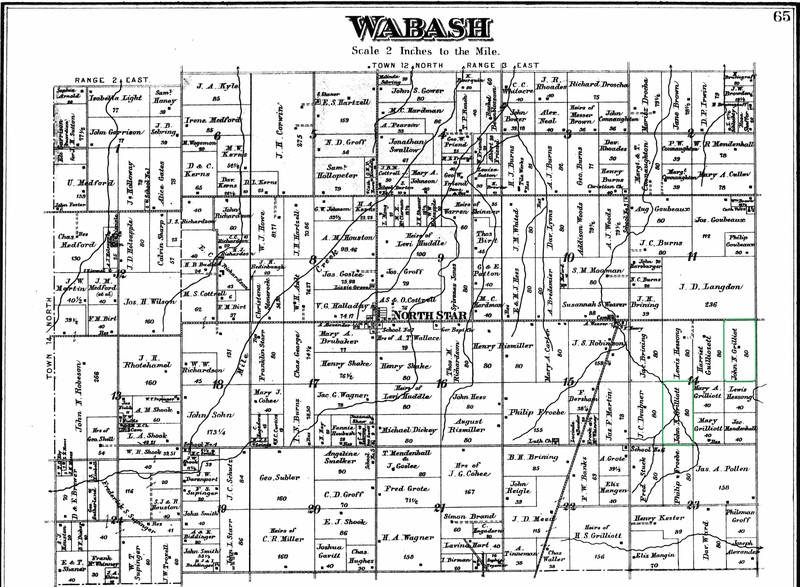 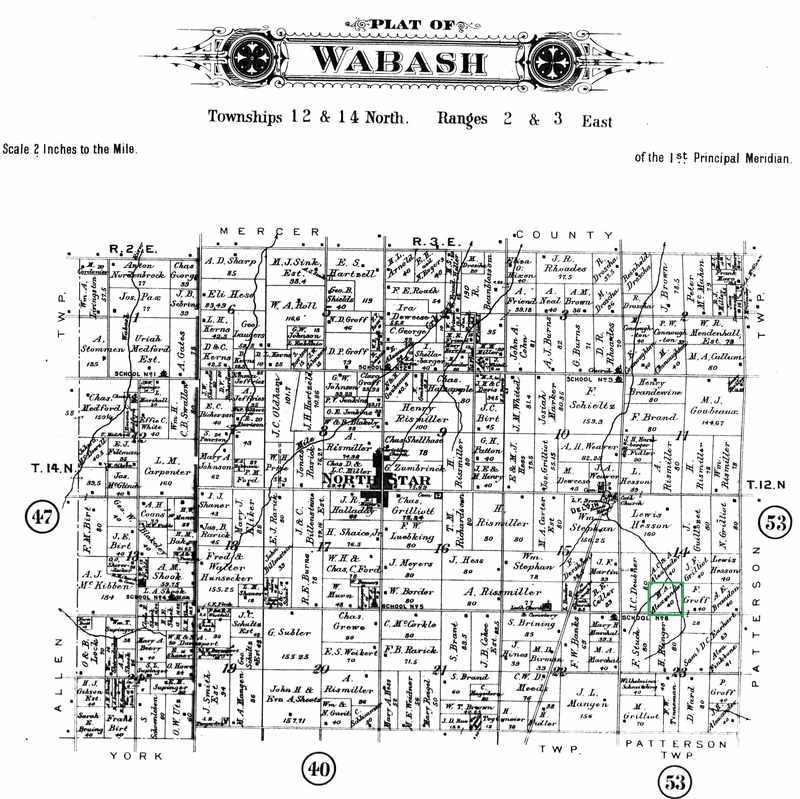 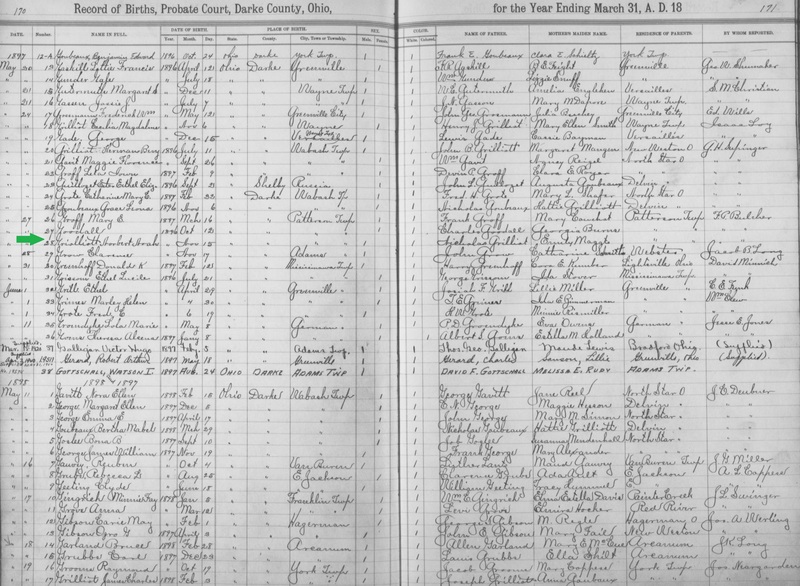 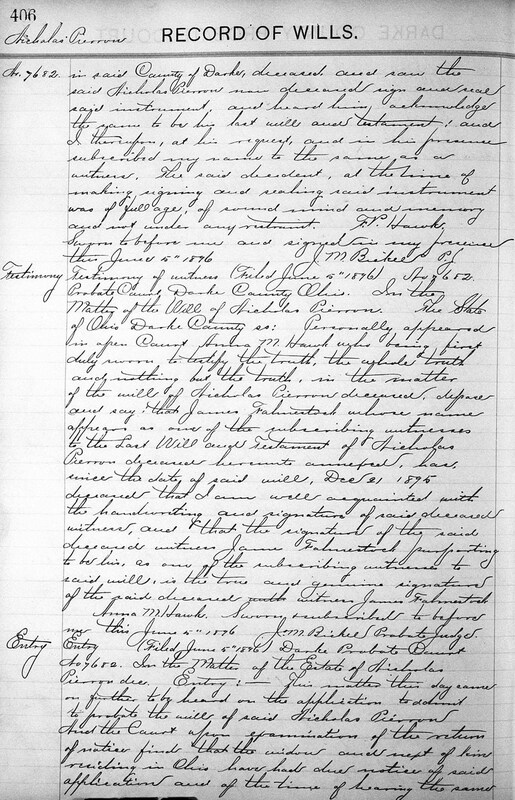 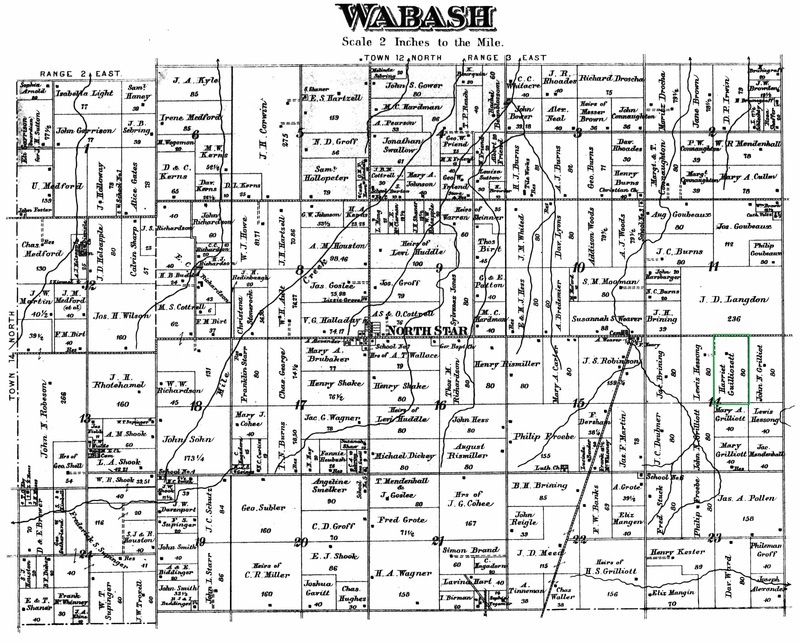 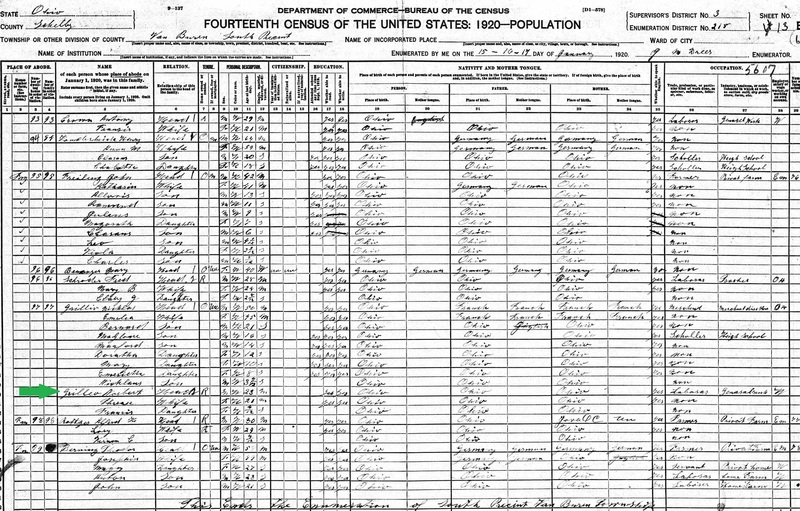 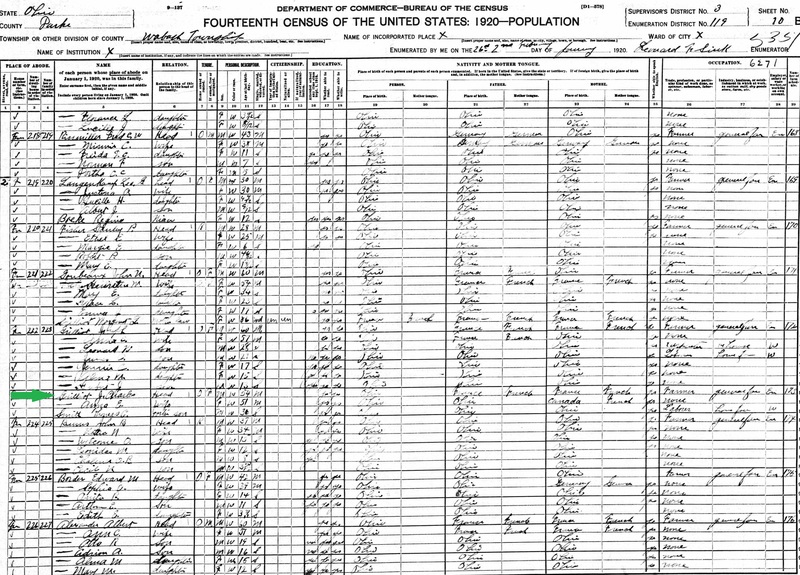 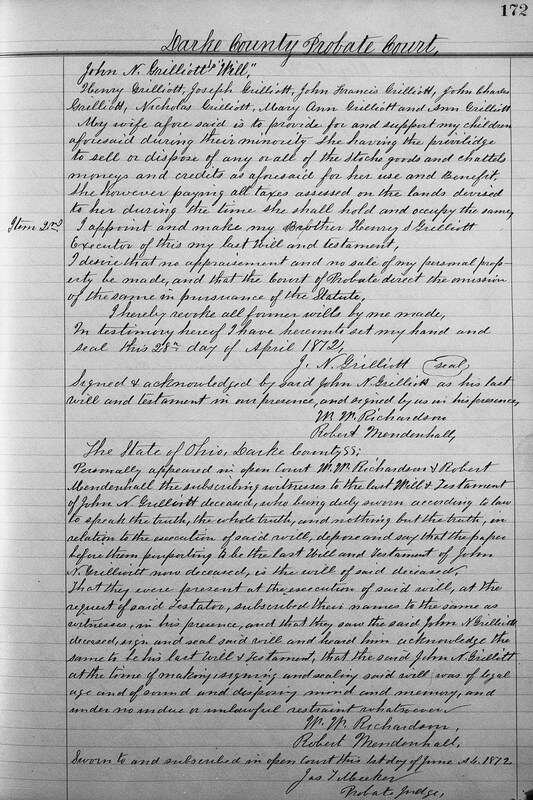 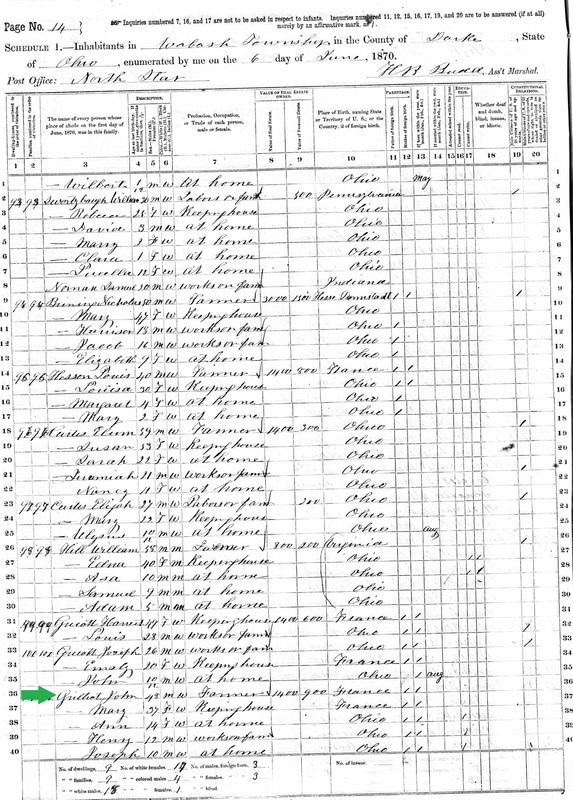 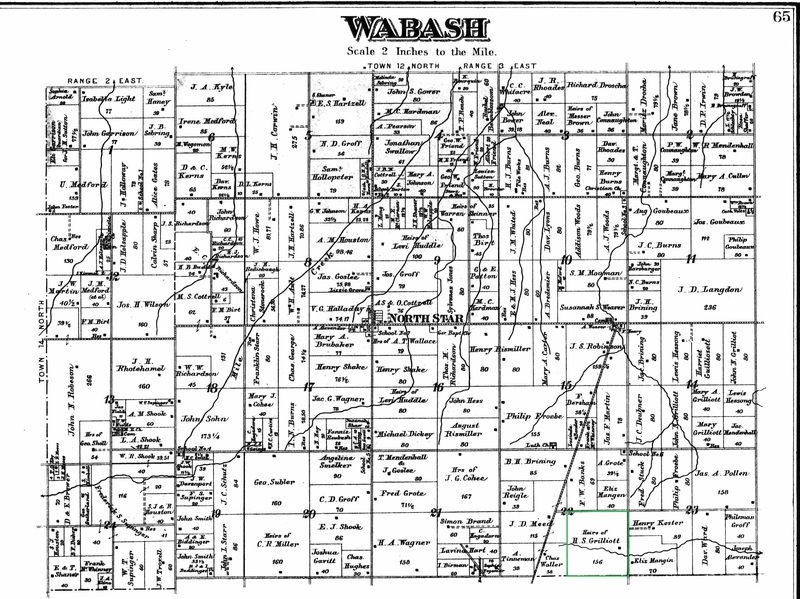 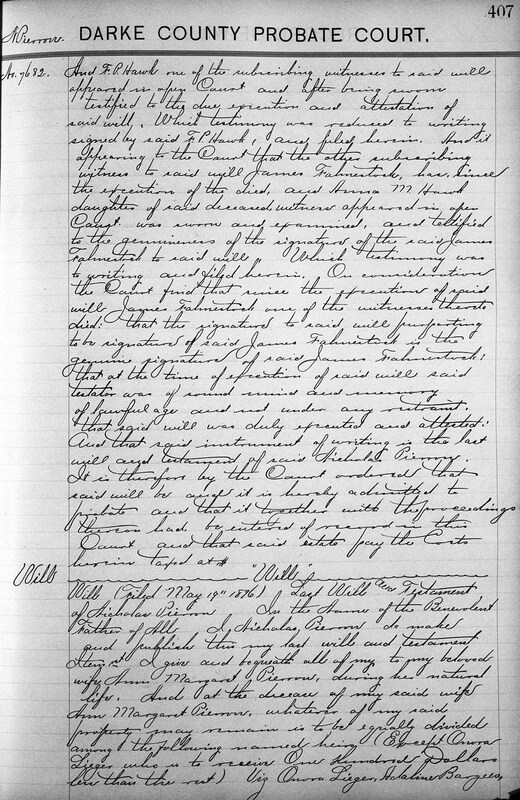 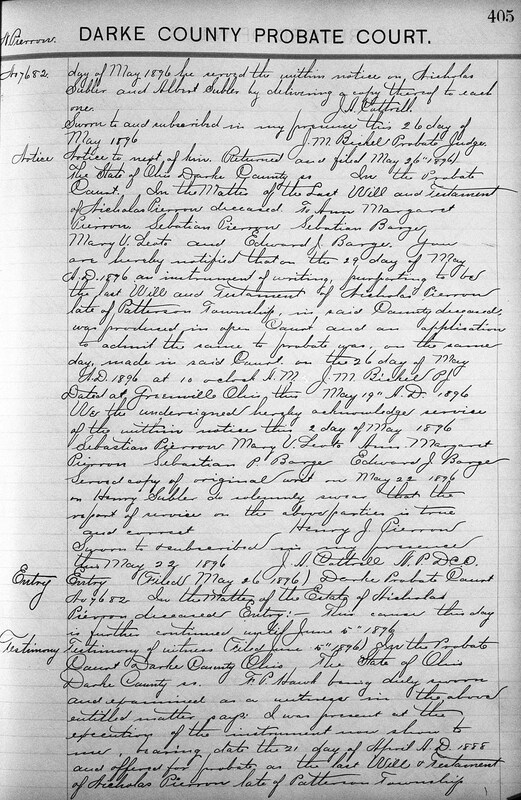 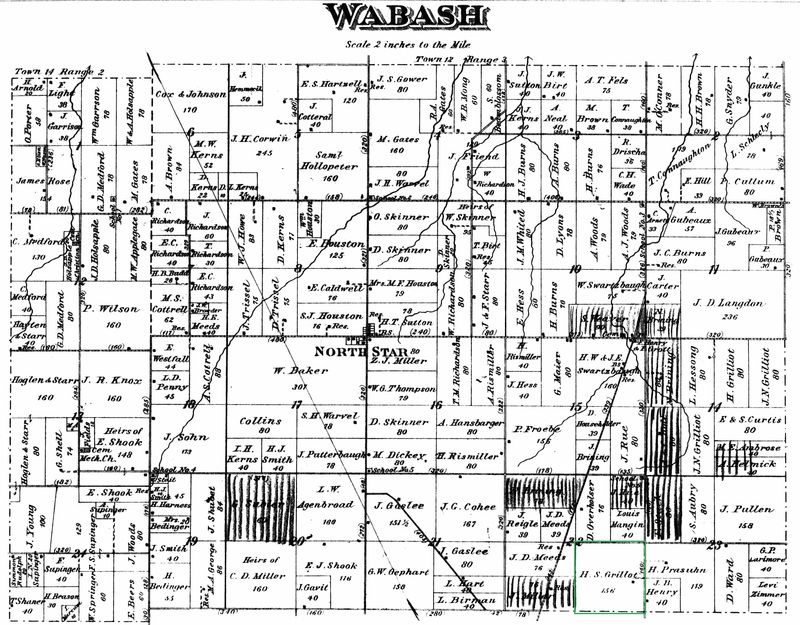 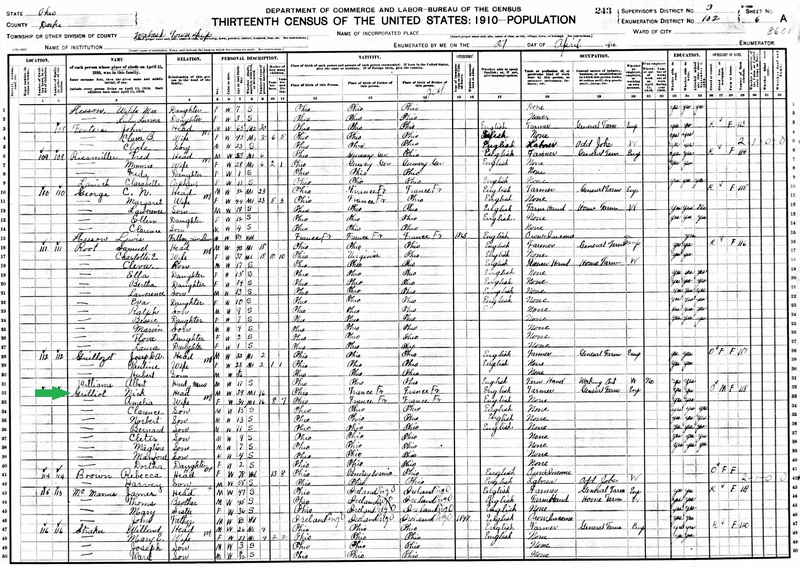 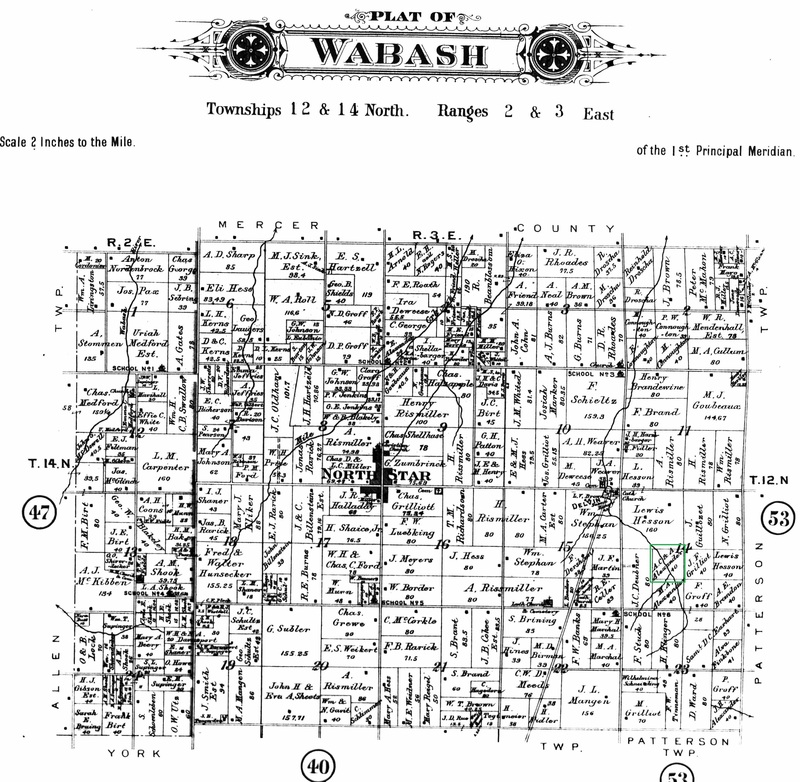 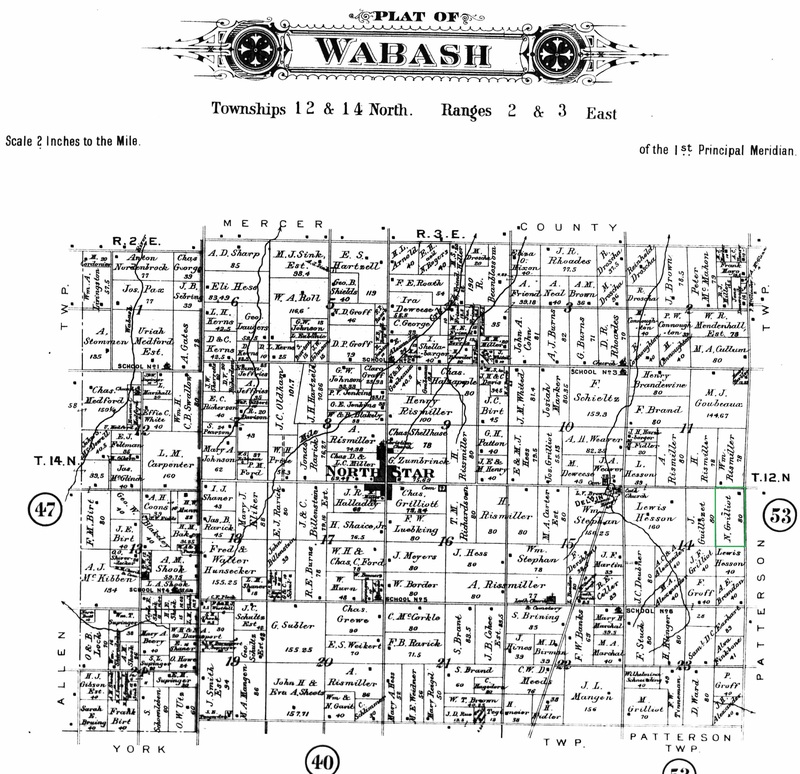 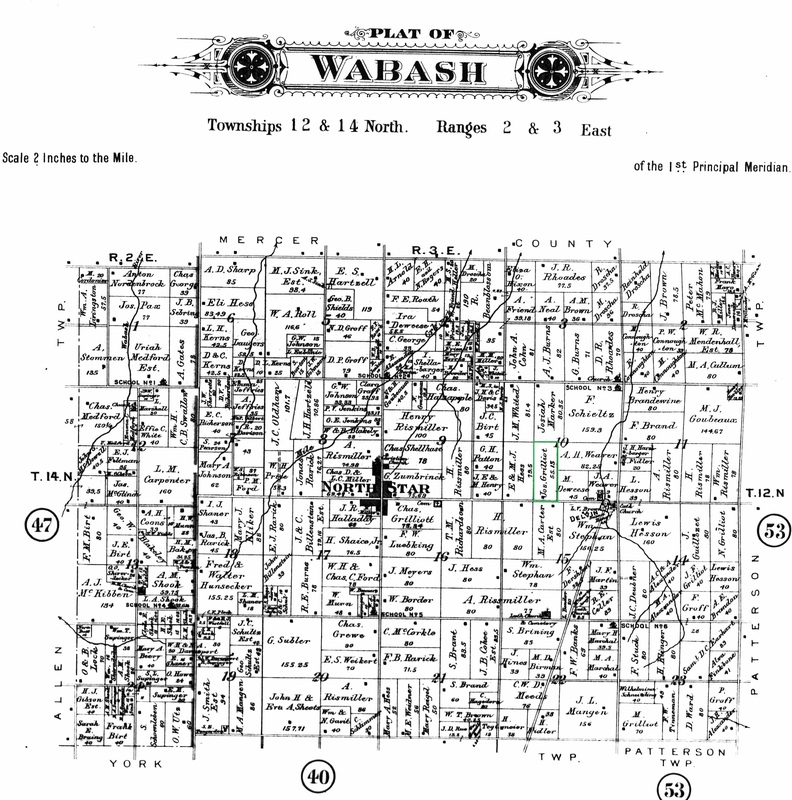 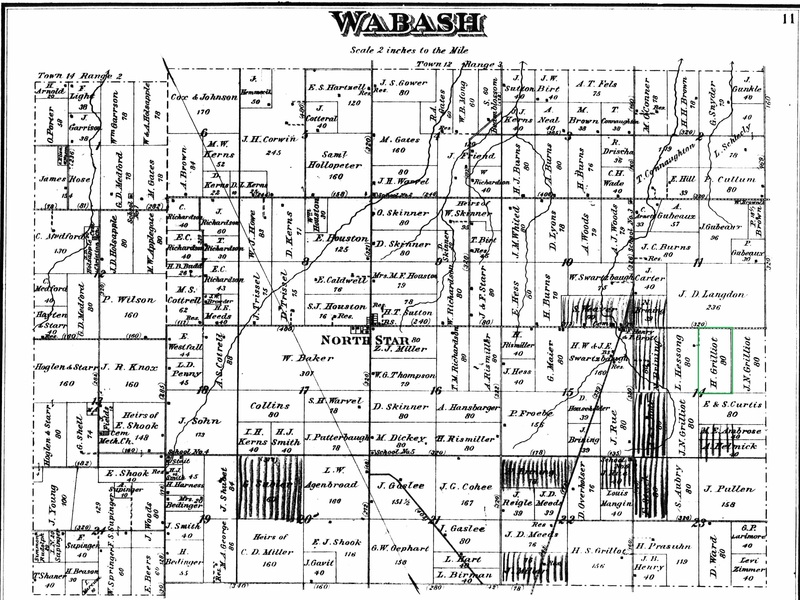 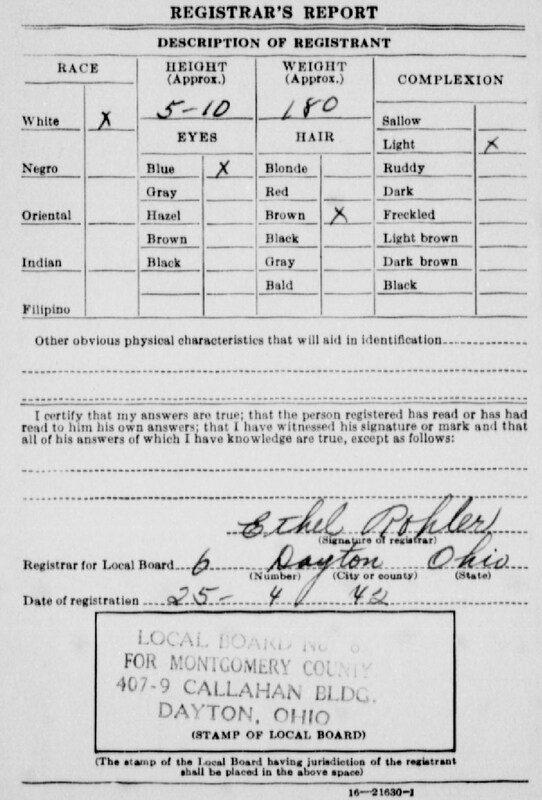 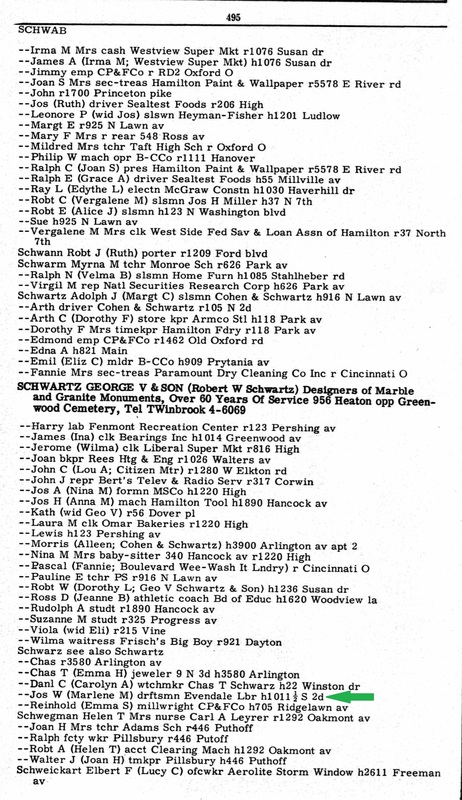 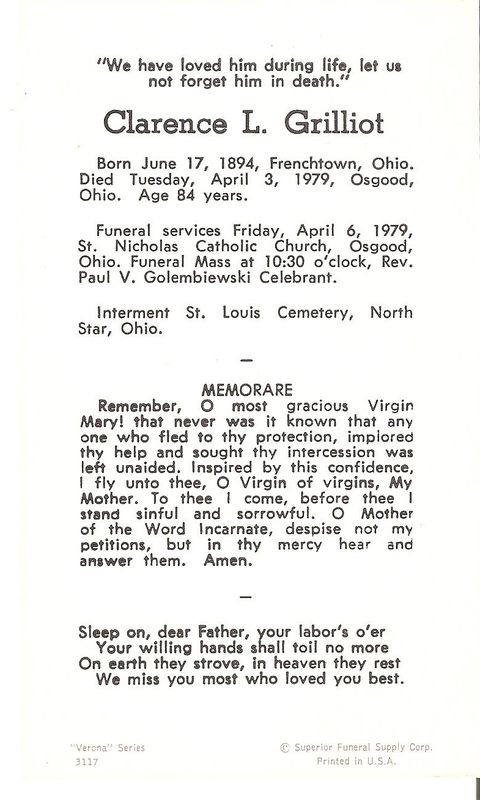 20 Jun 1857 Wabash Twp, Darke, OH m1. 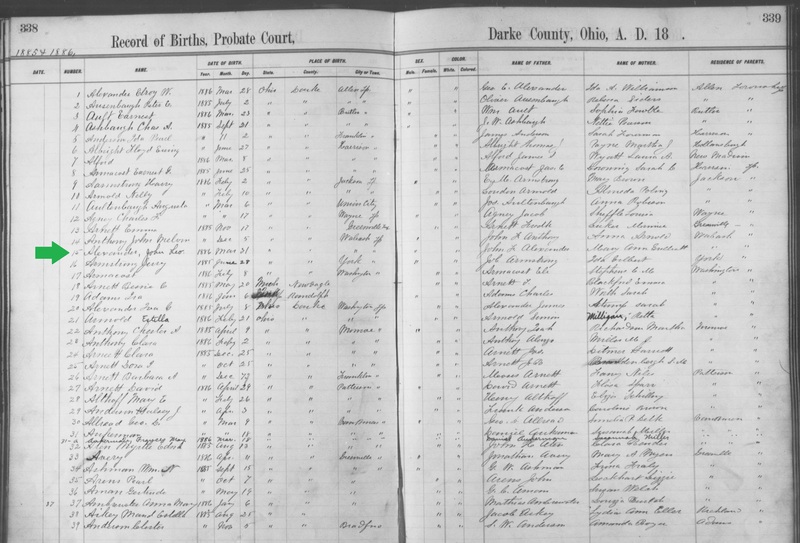 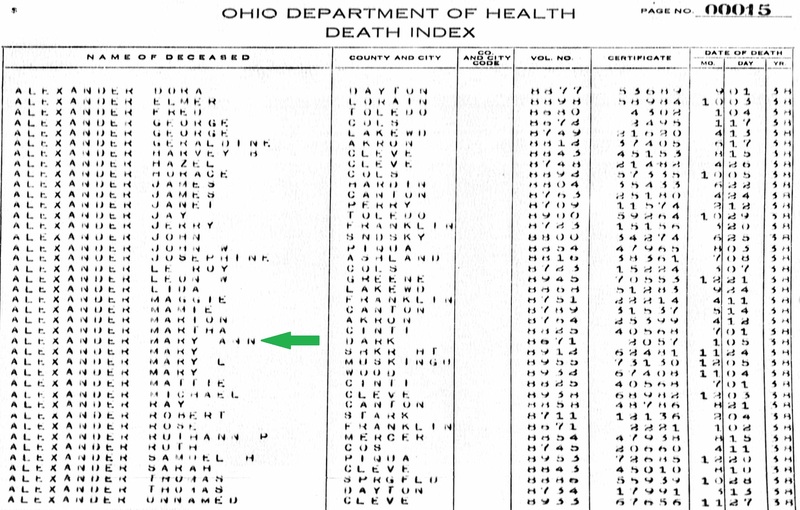 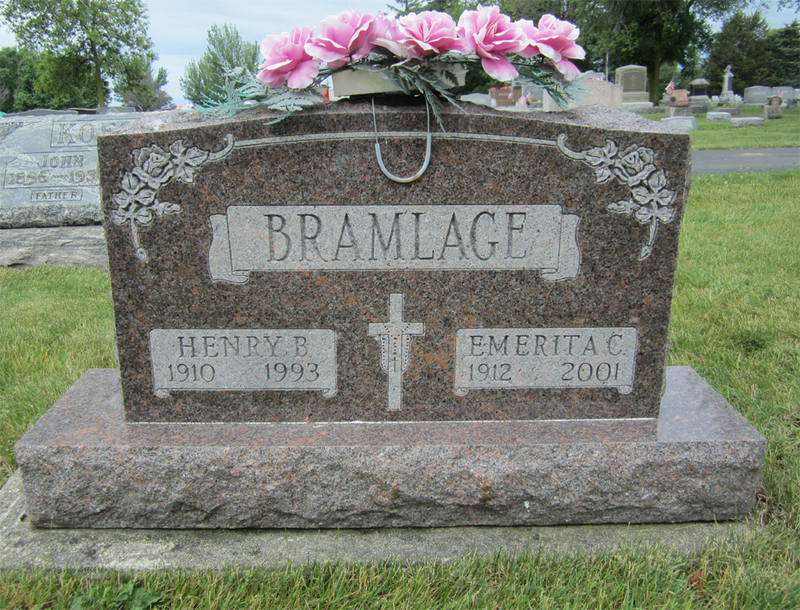 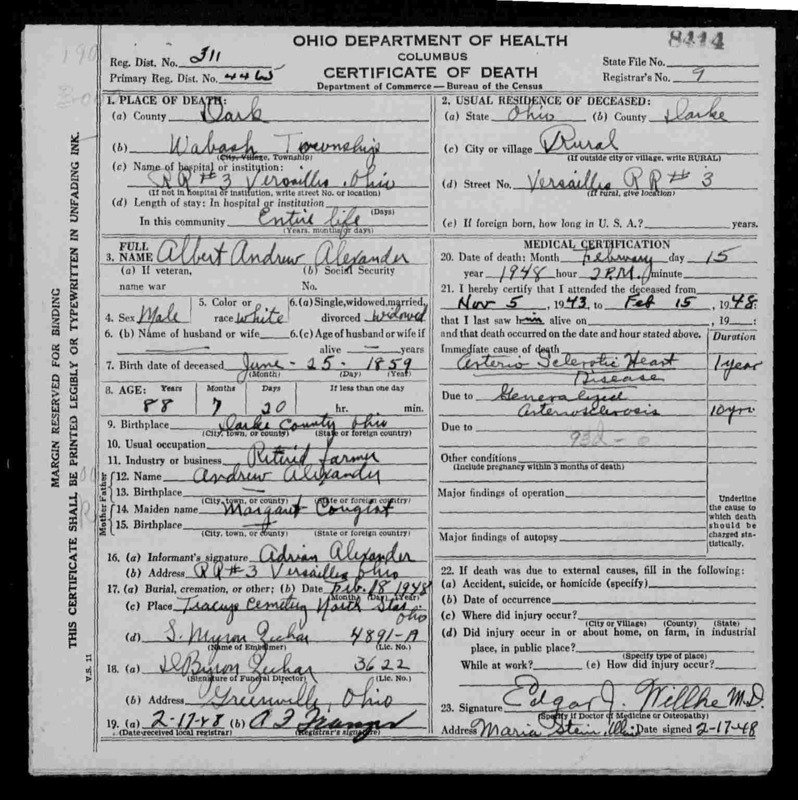 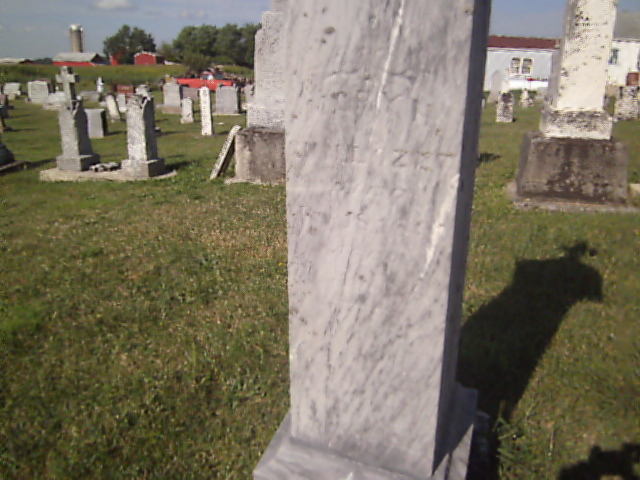 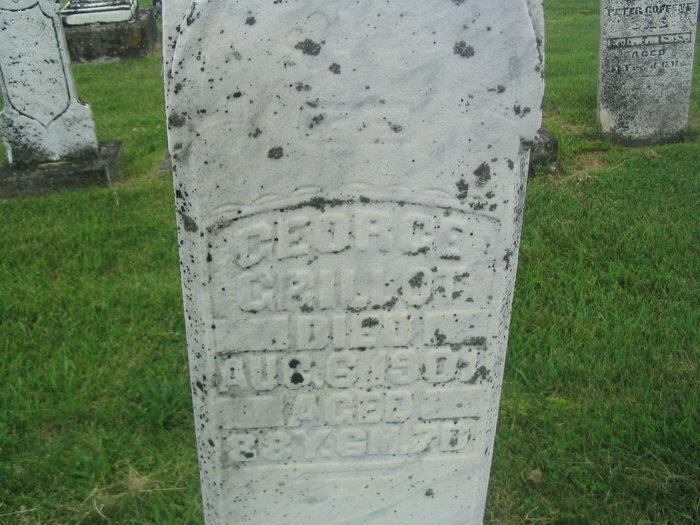 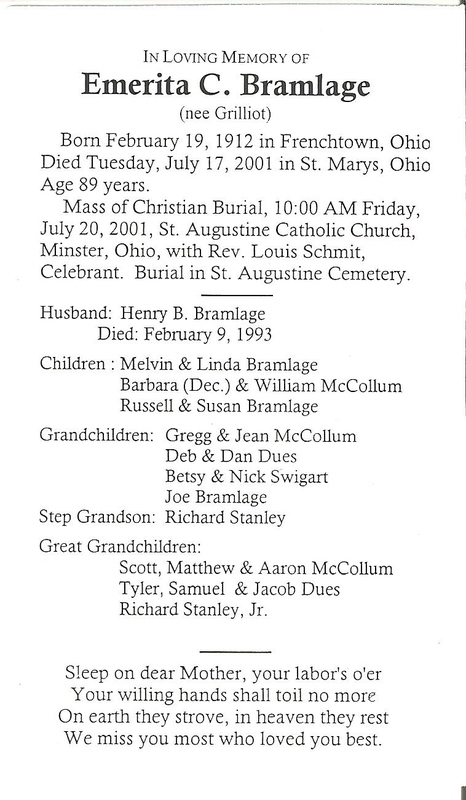 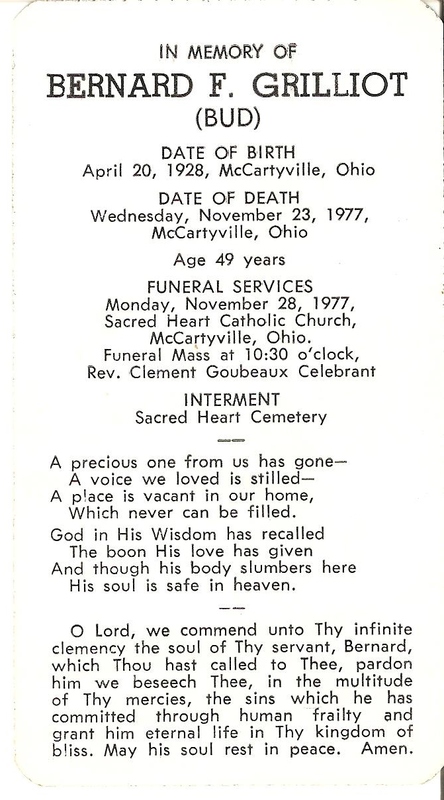 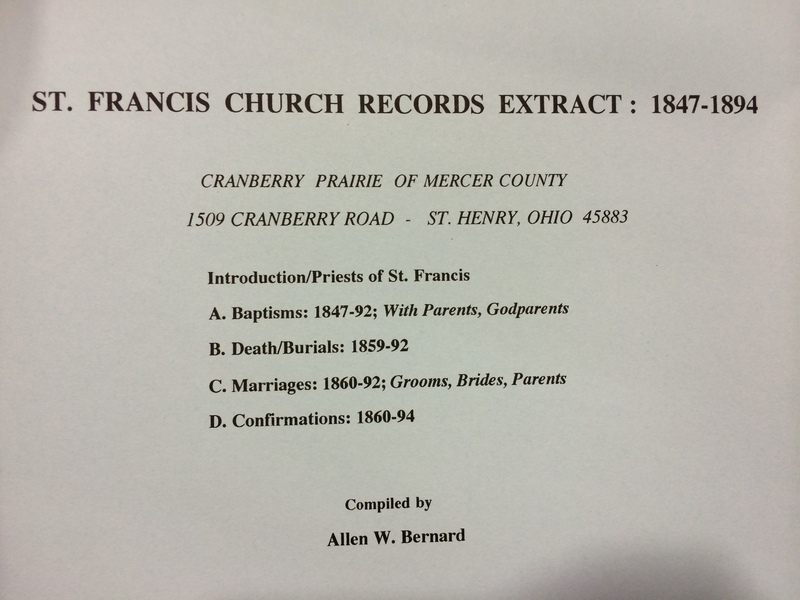 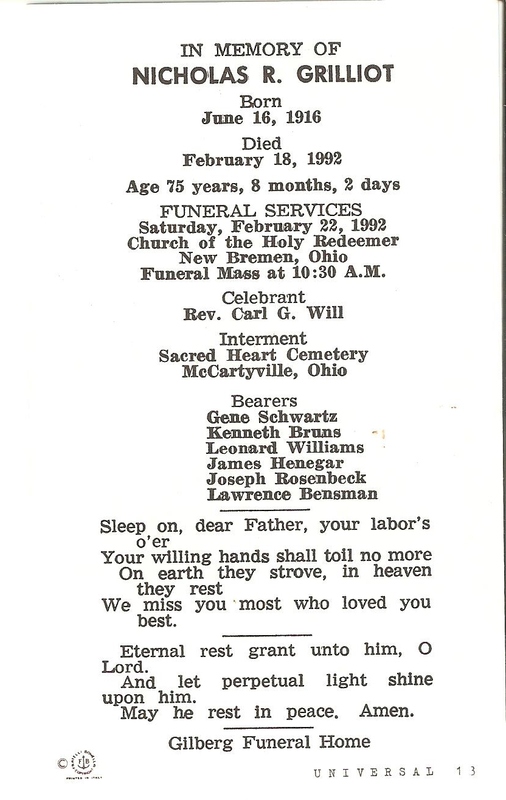 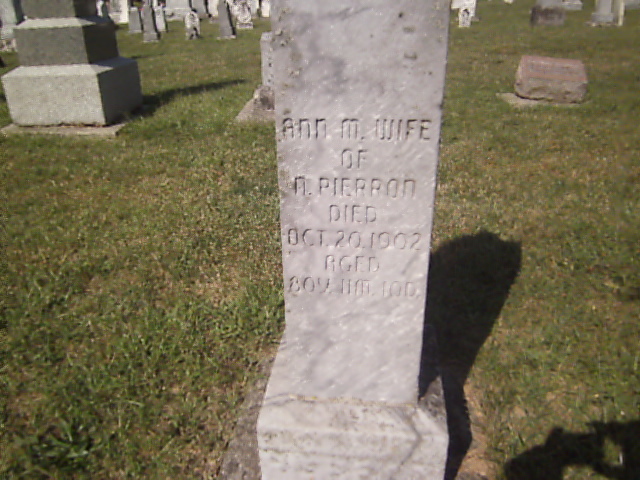 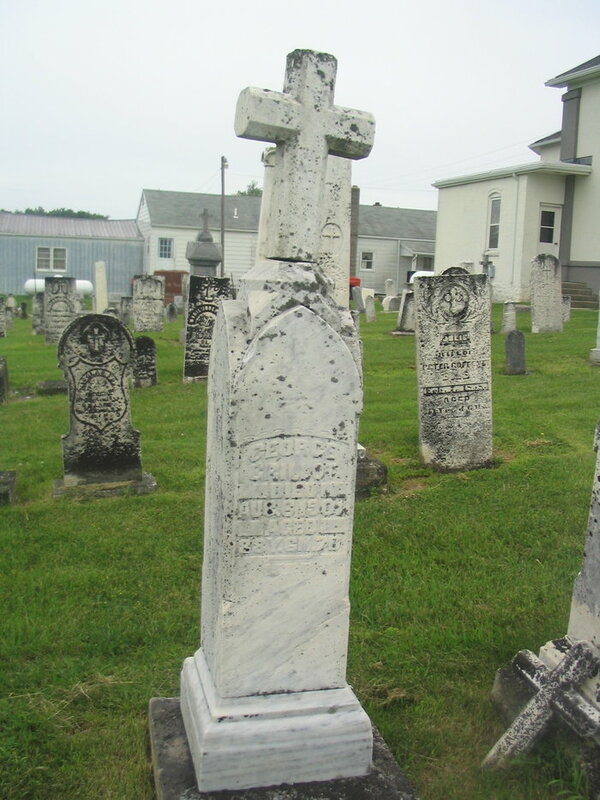 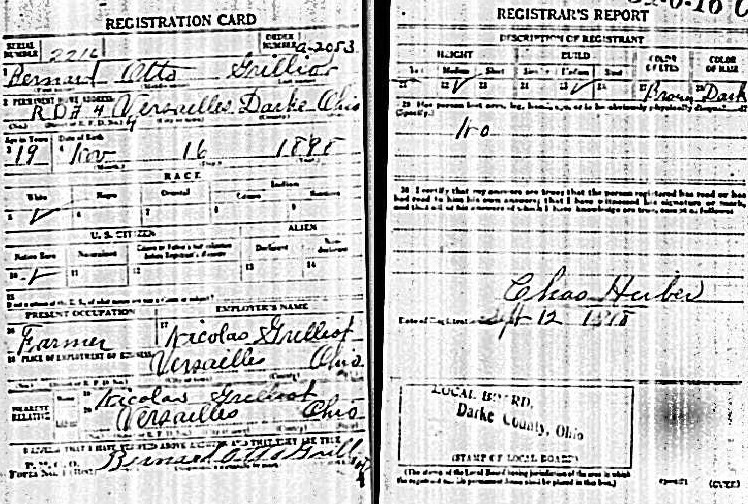 30 Aug 1881 Darke Co. m2. 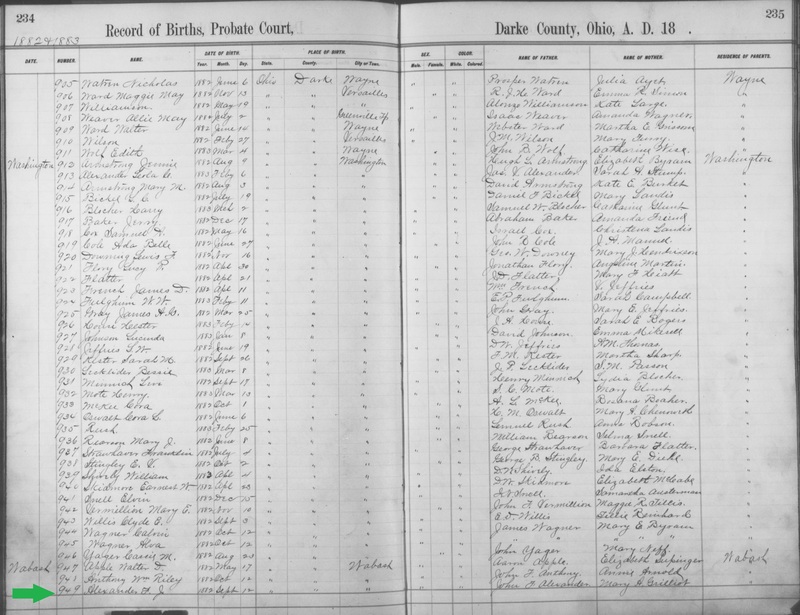 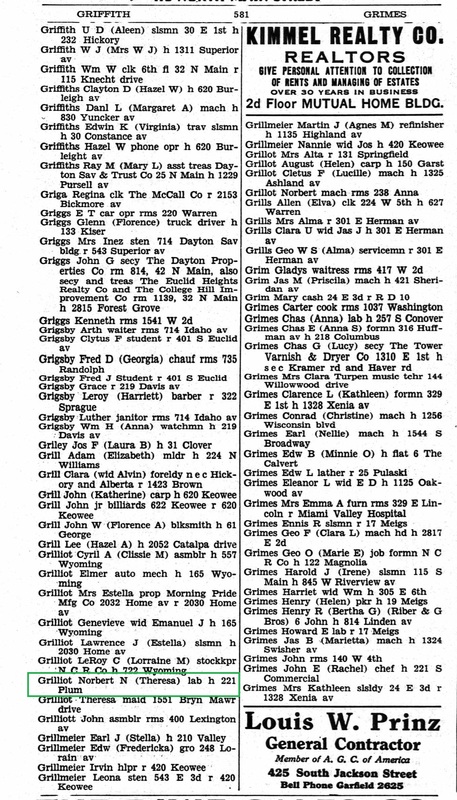 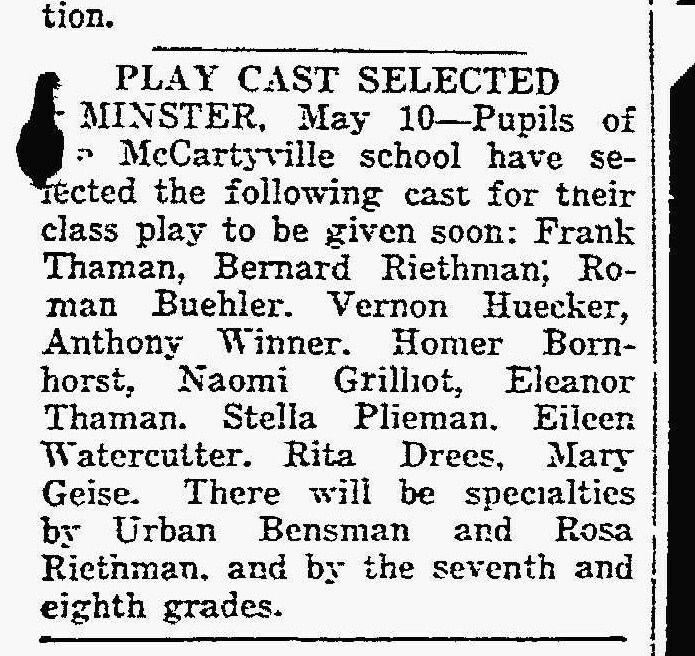 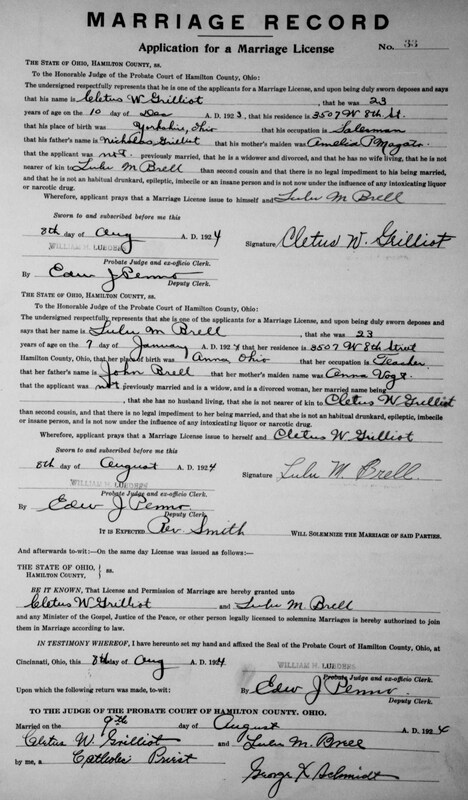 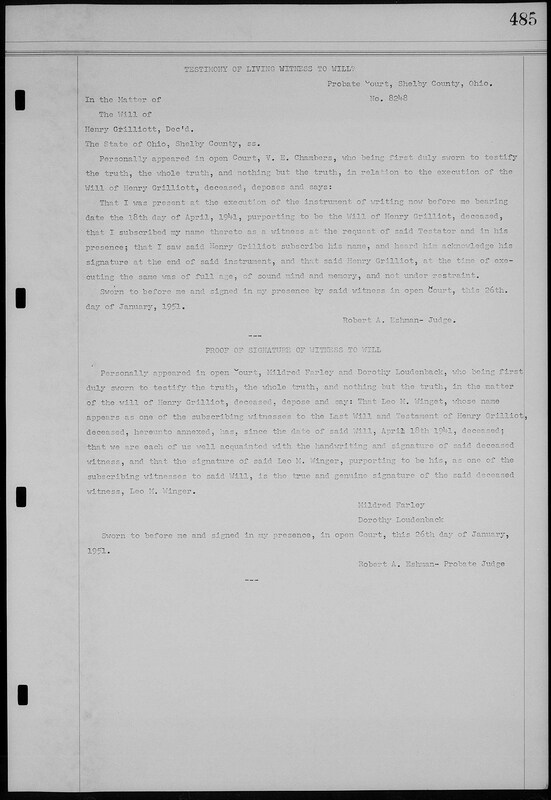 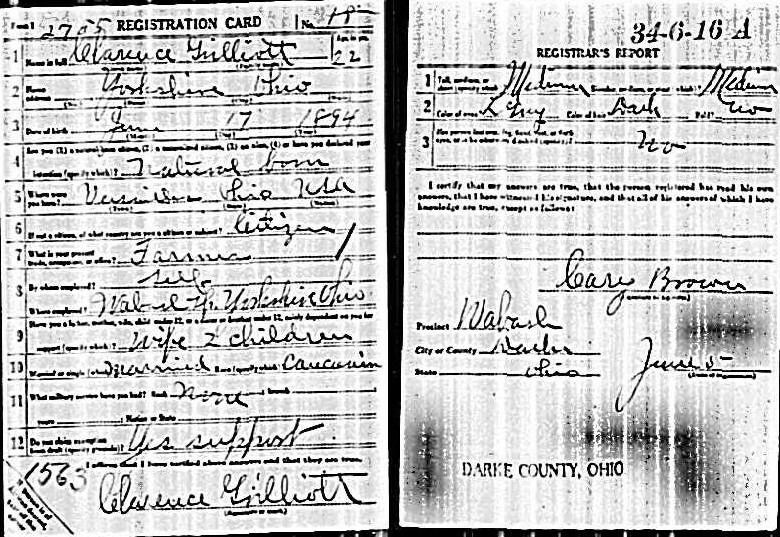 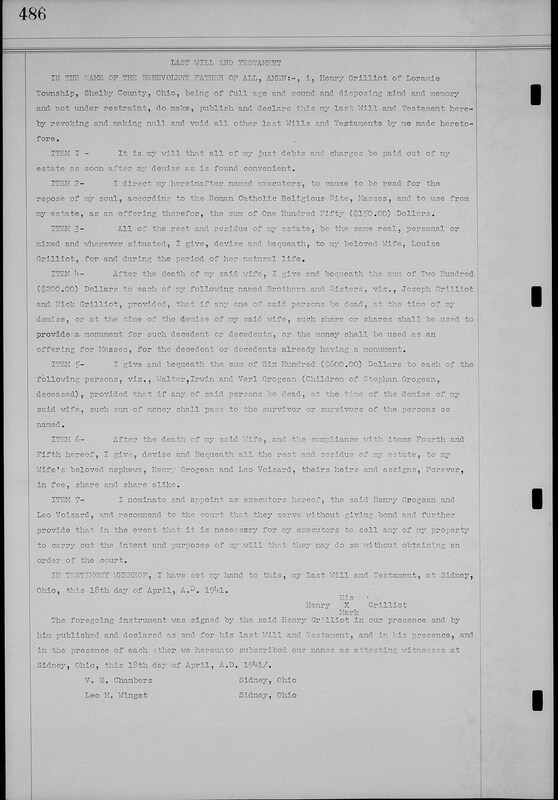 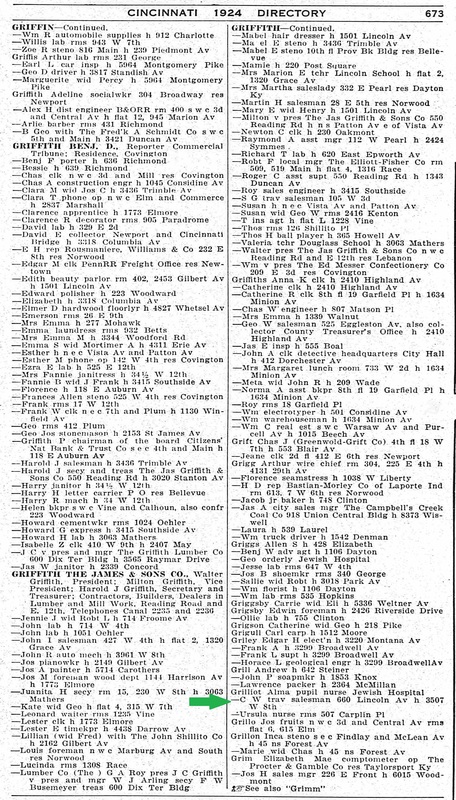 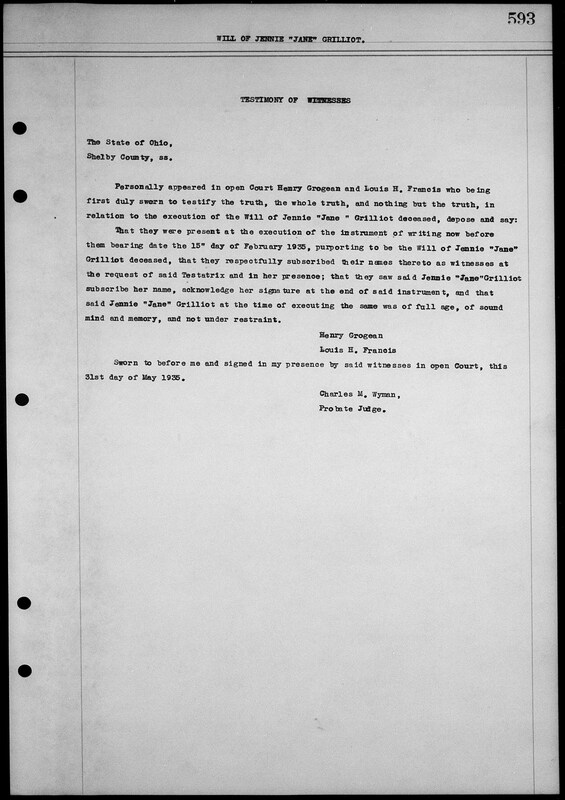 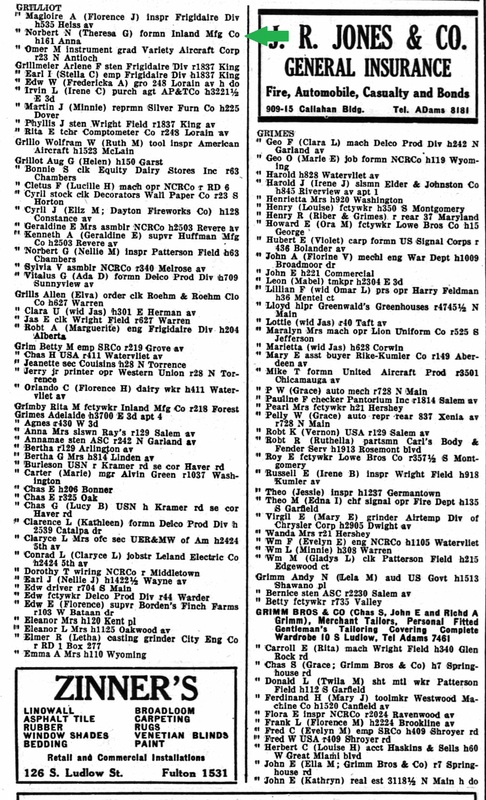 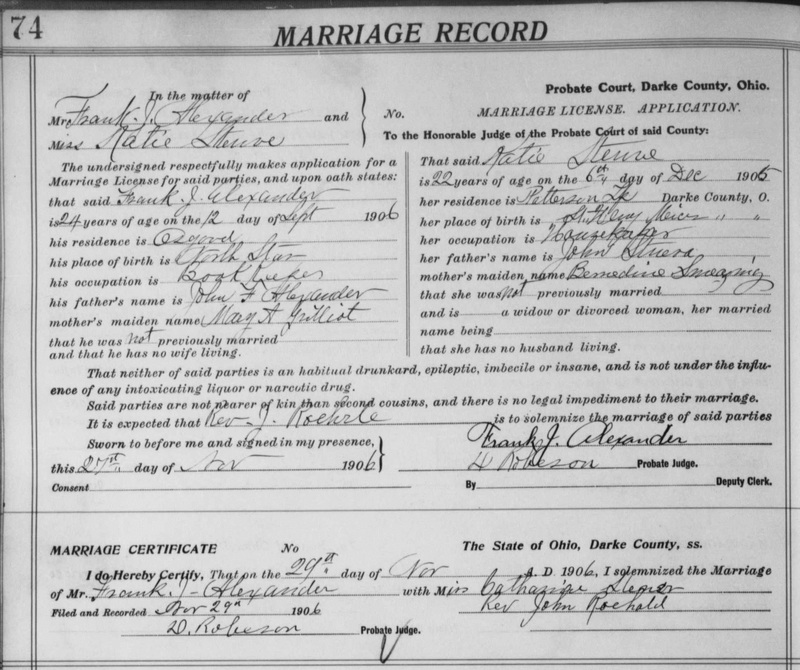 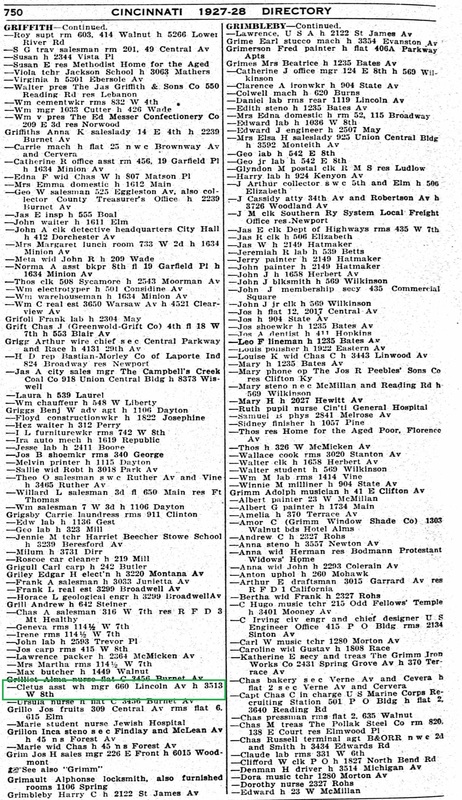 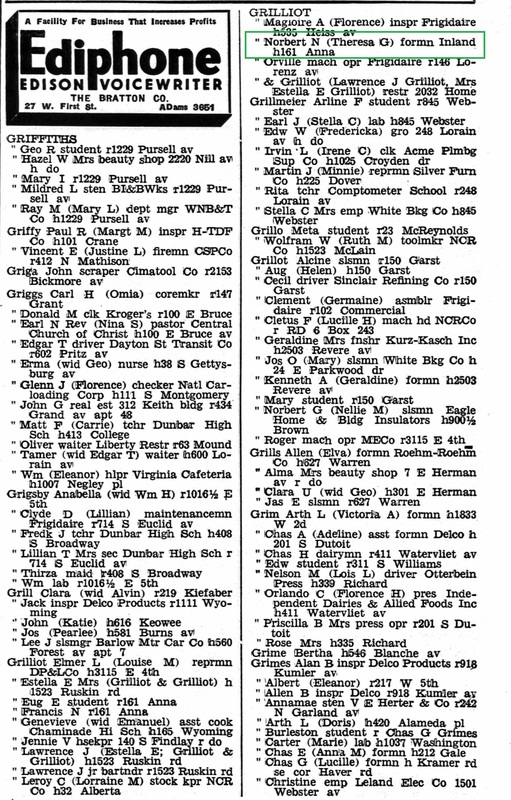 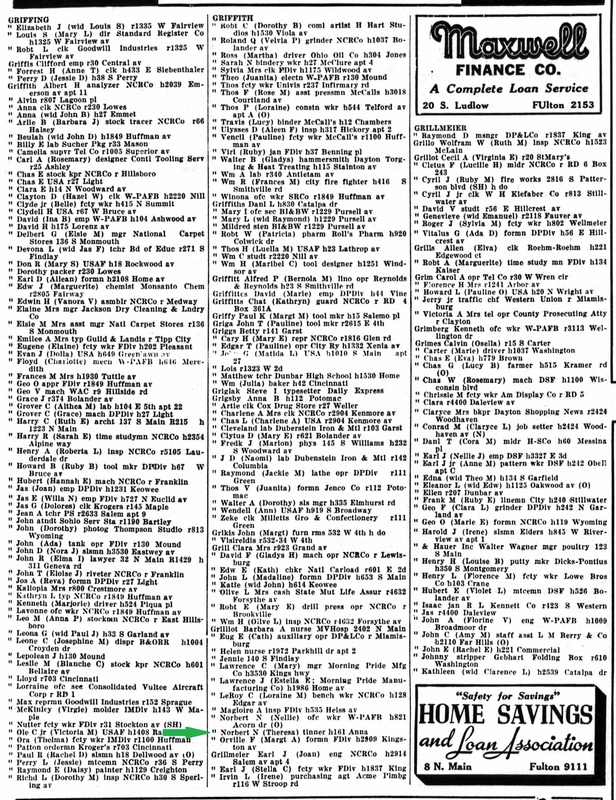 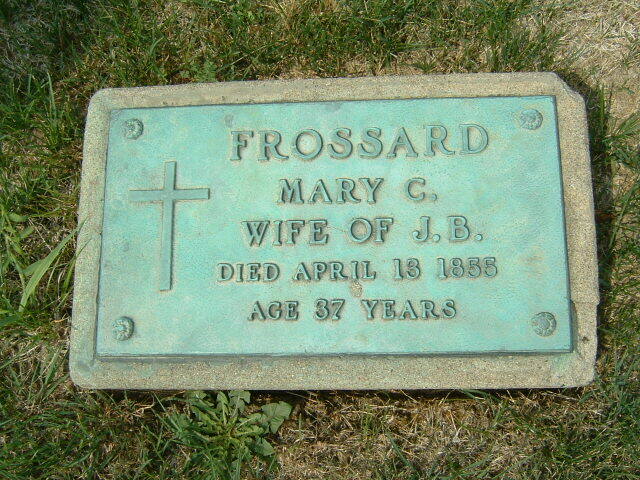 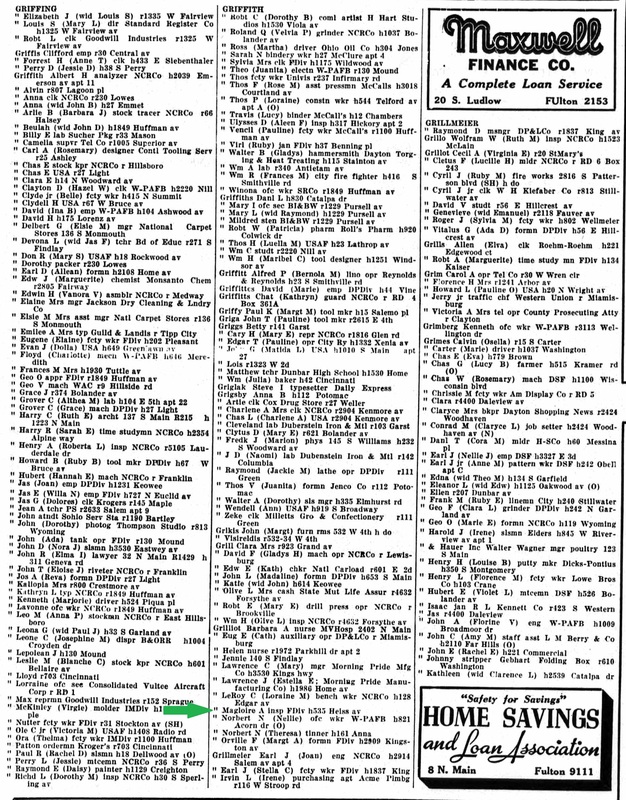 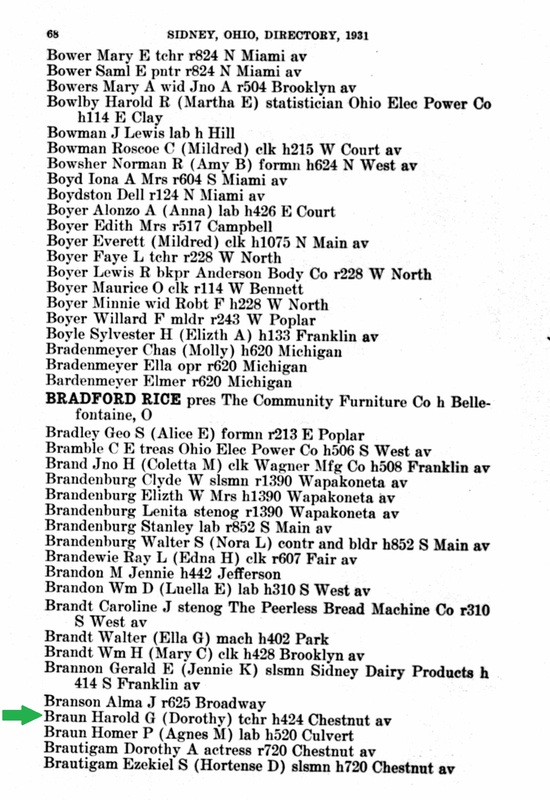 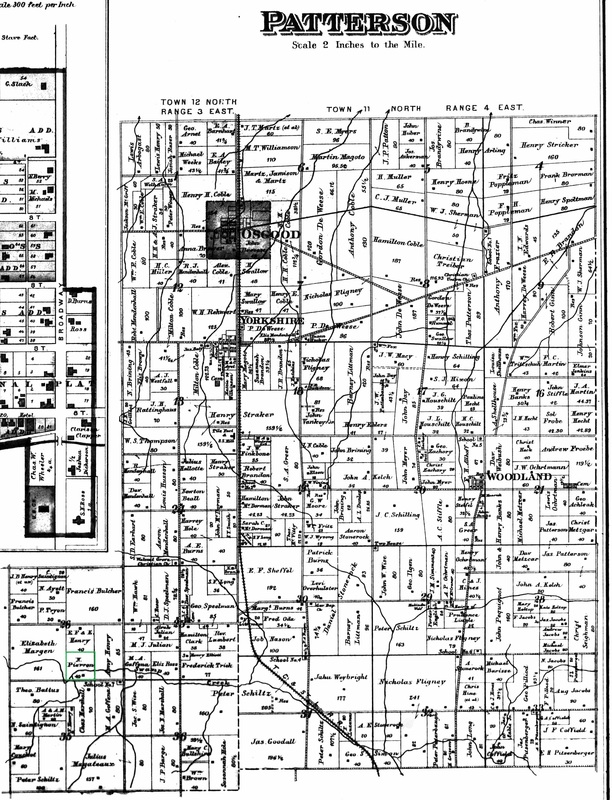 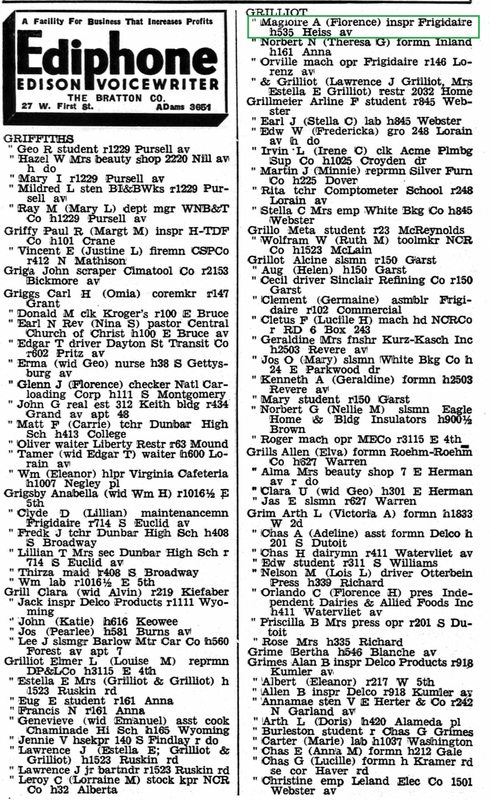 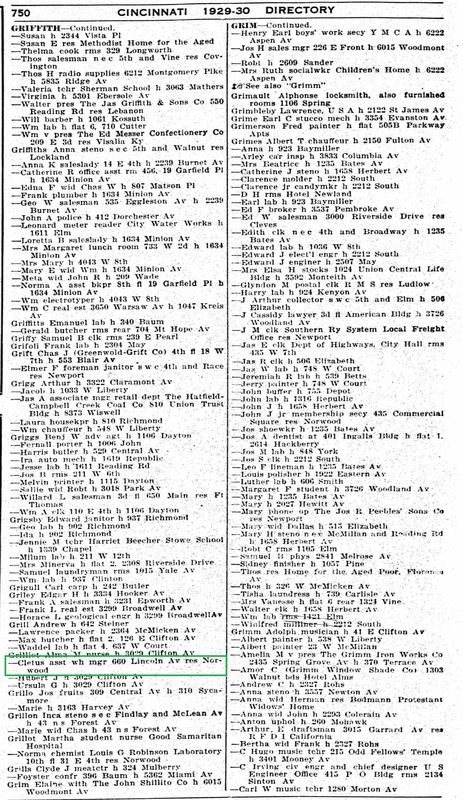 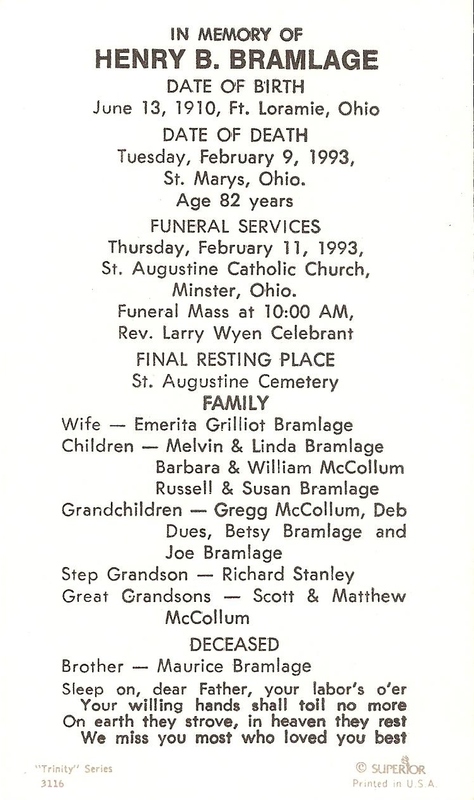 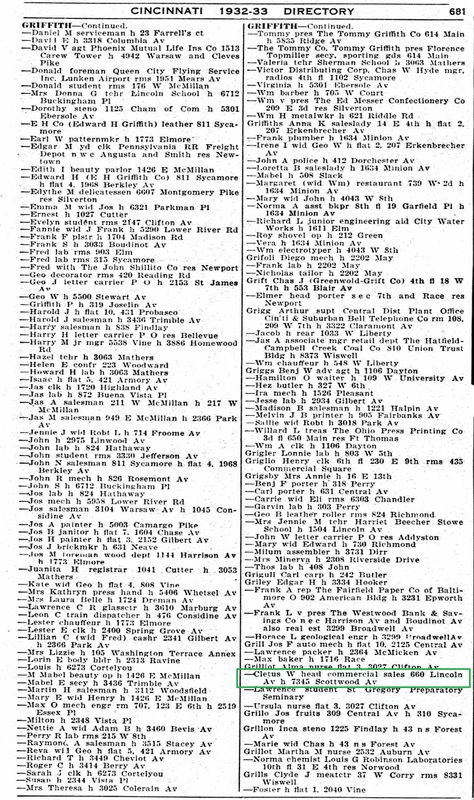 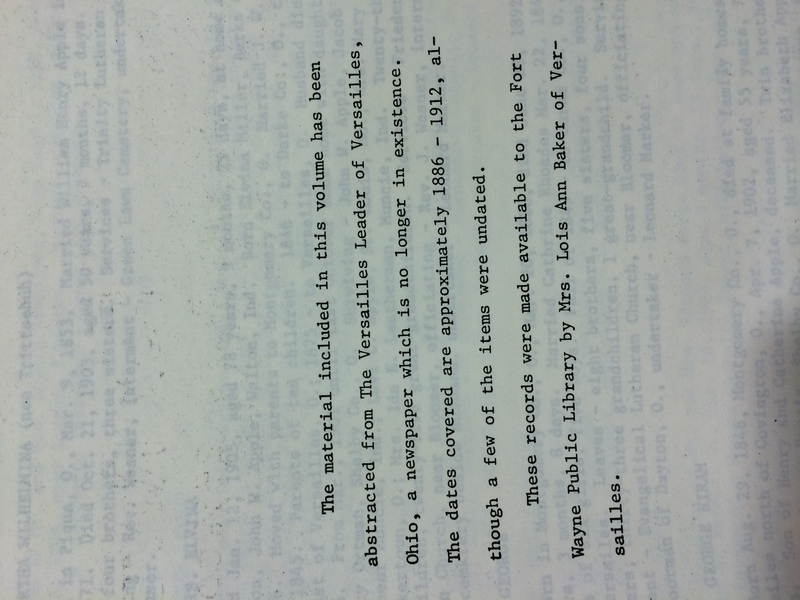 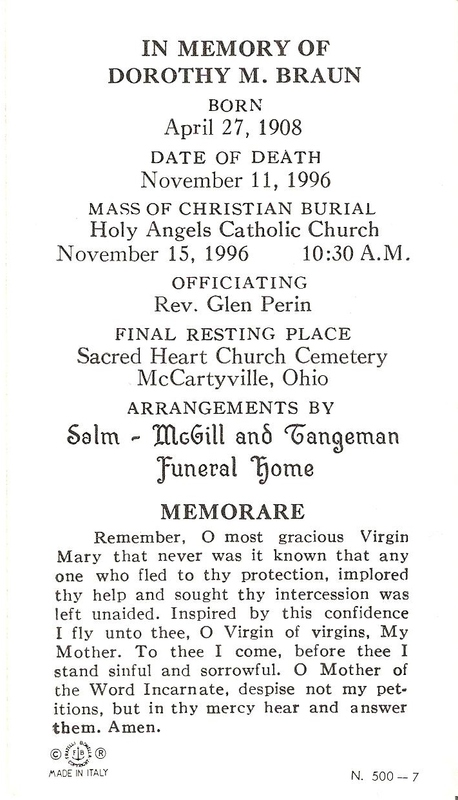 17 Sep 1889 Darke Co.